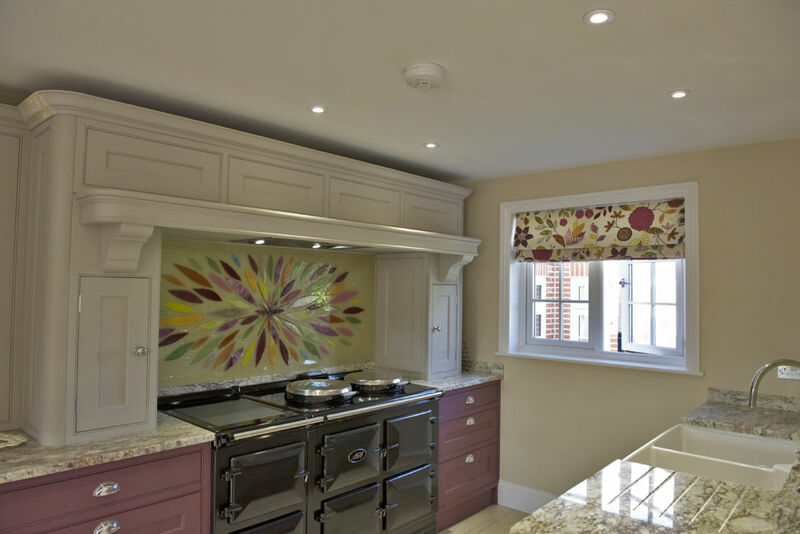 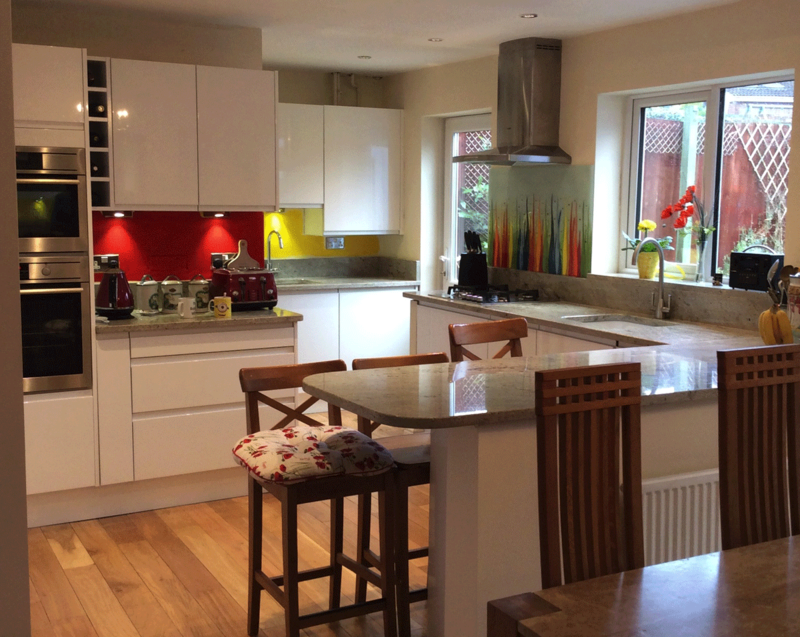 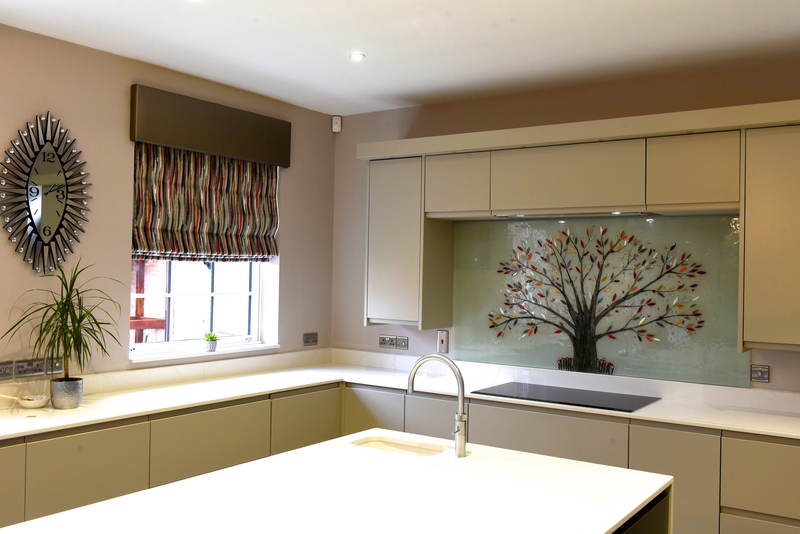 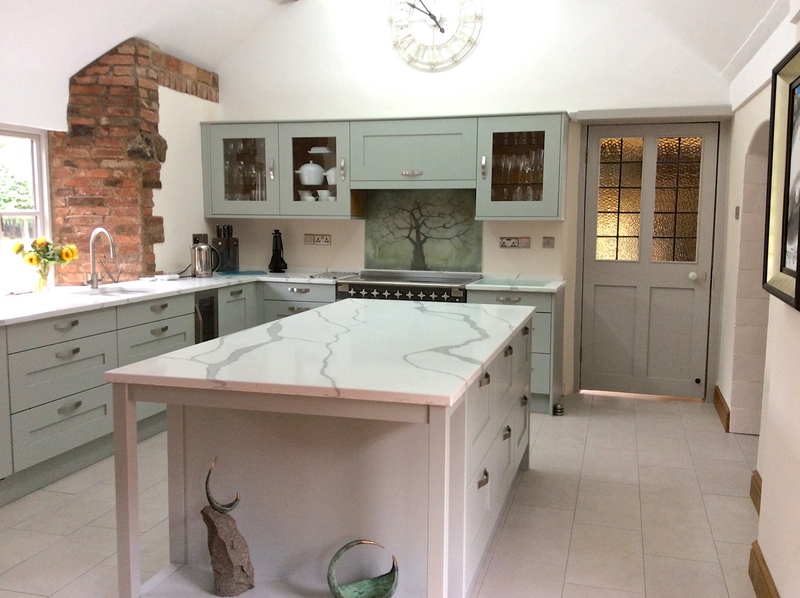 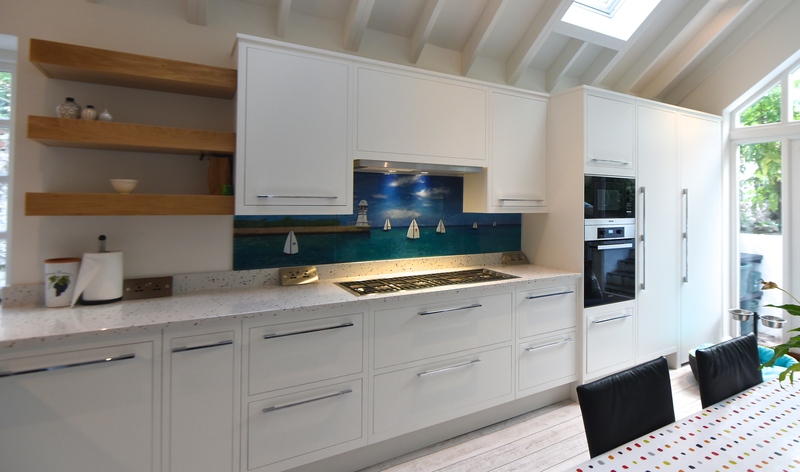 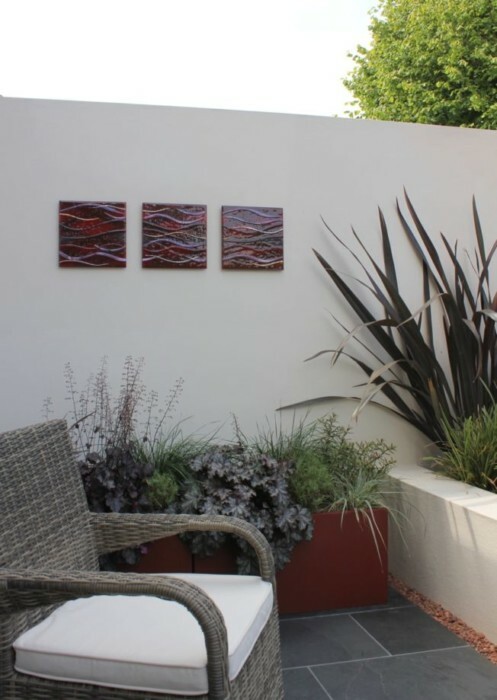 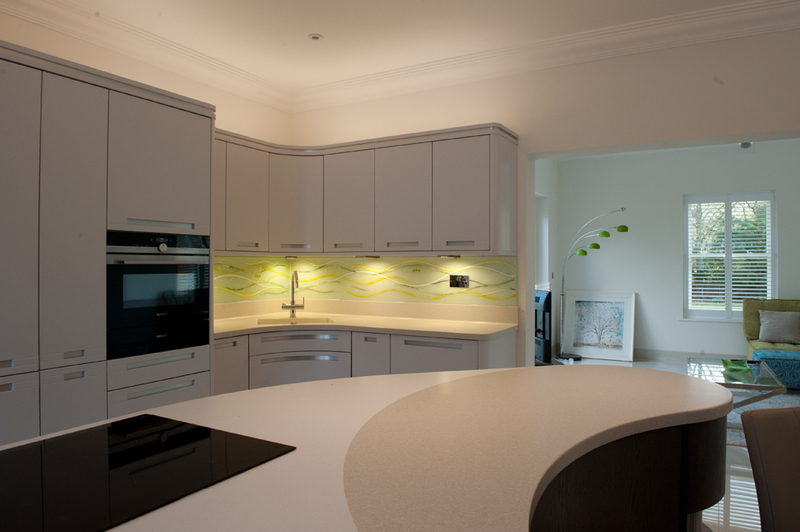 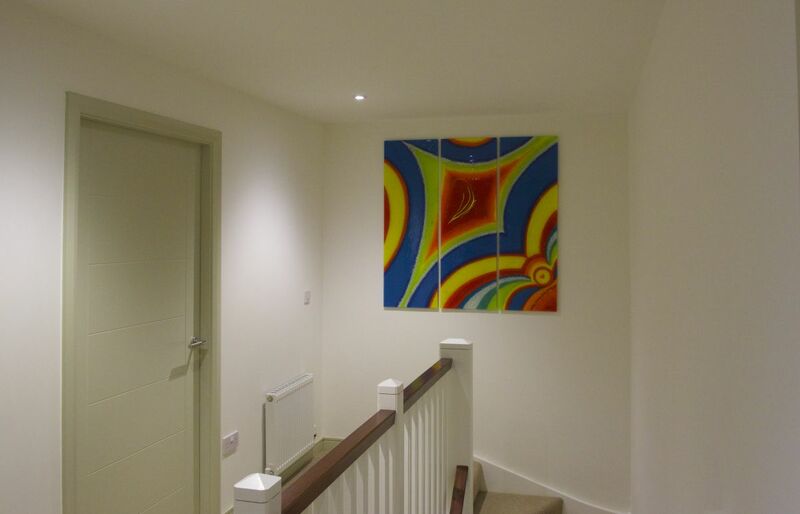 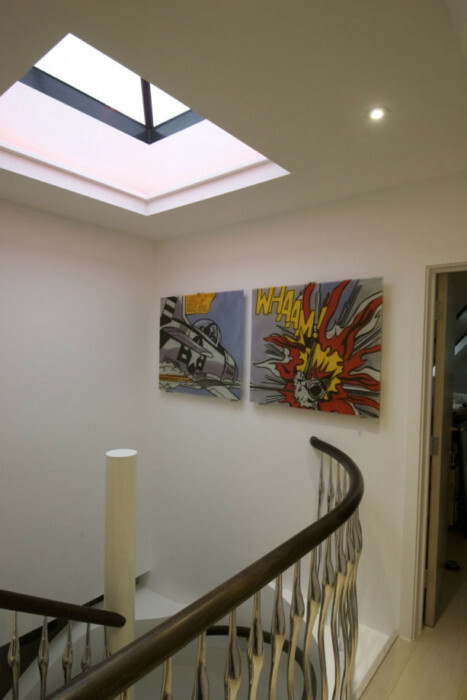 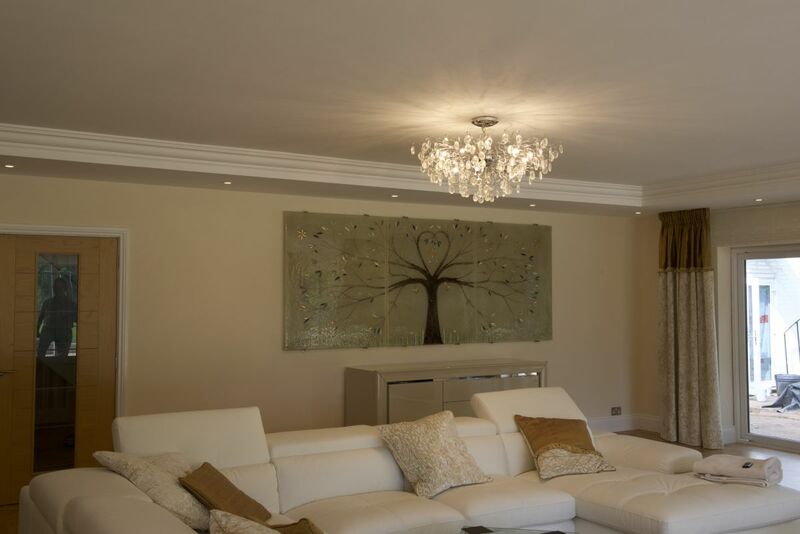 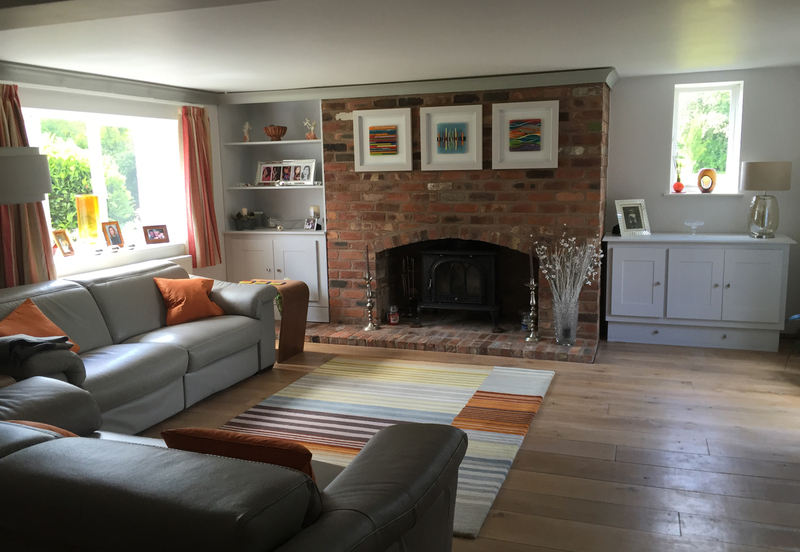 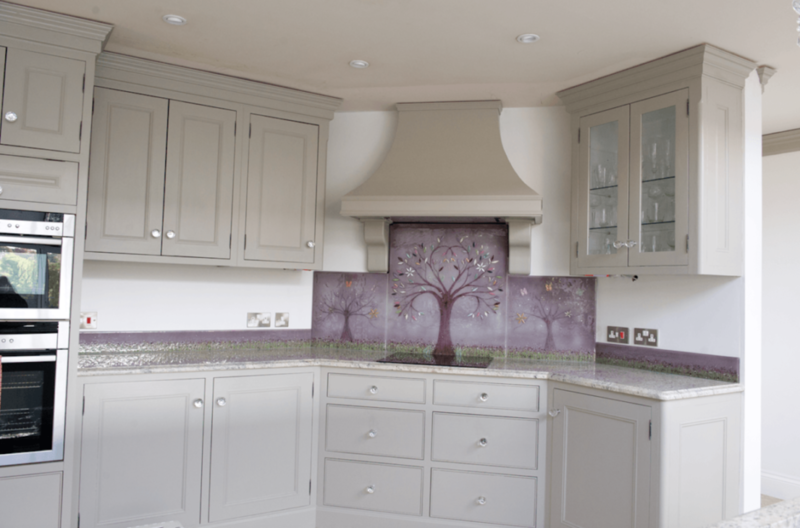 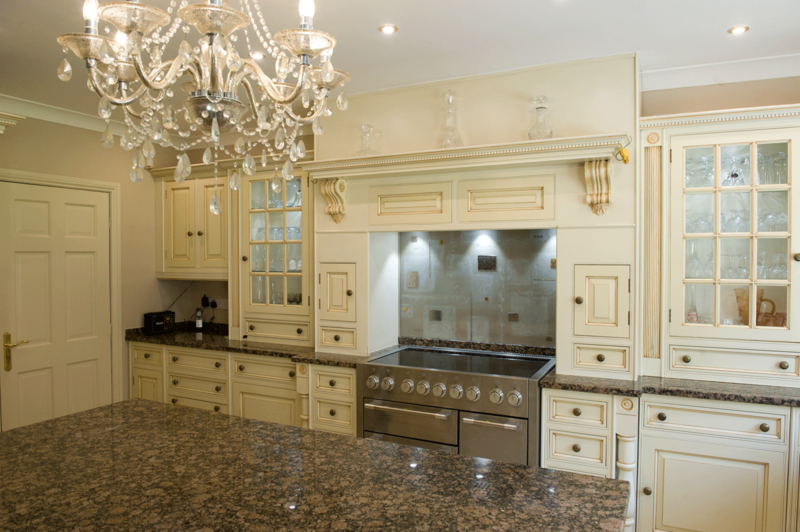 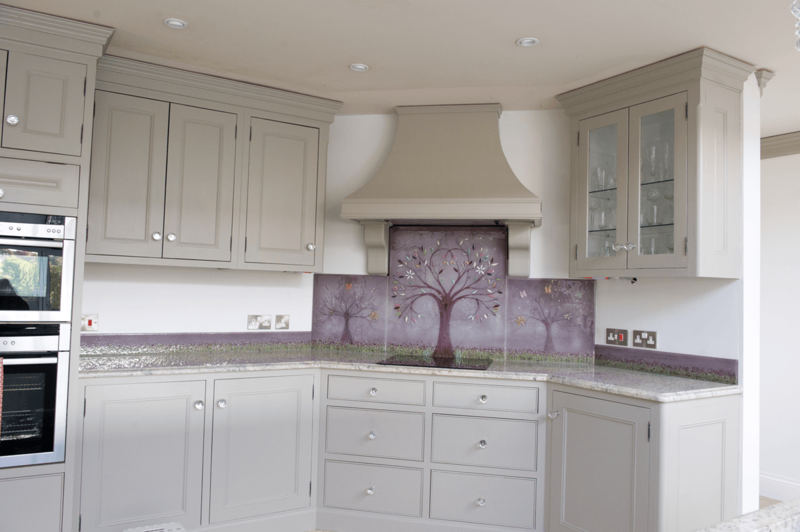 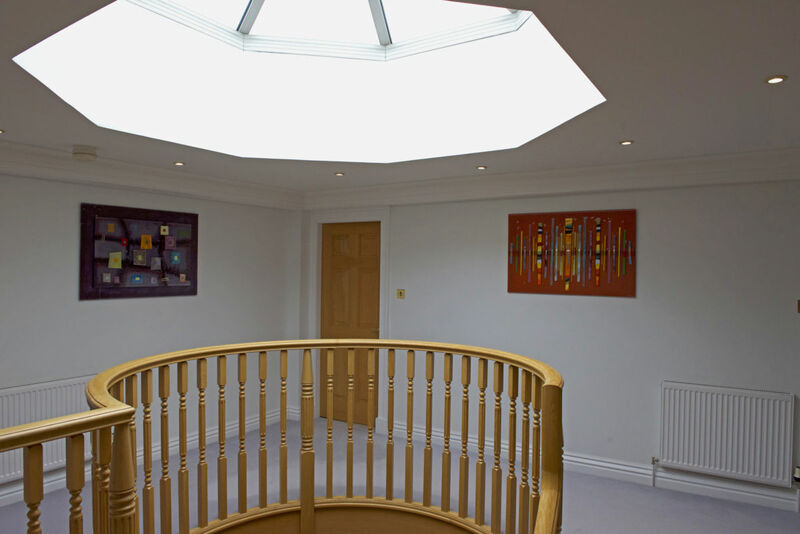 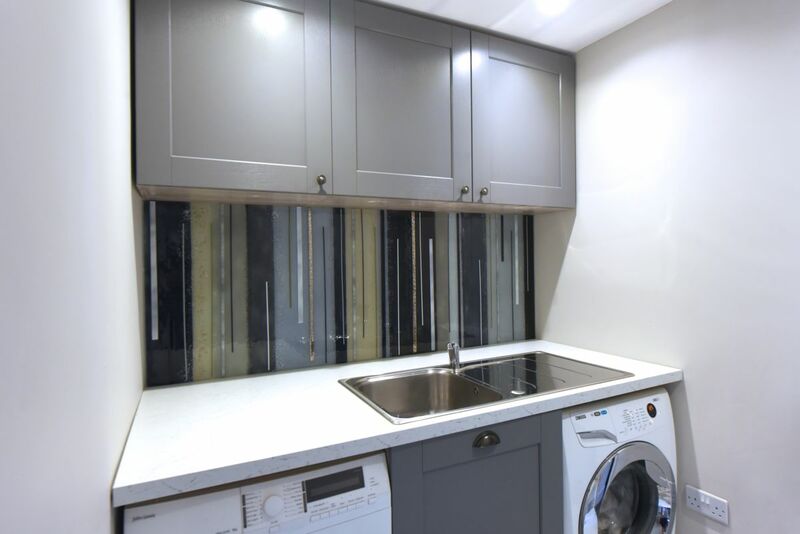 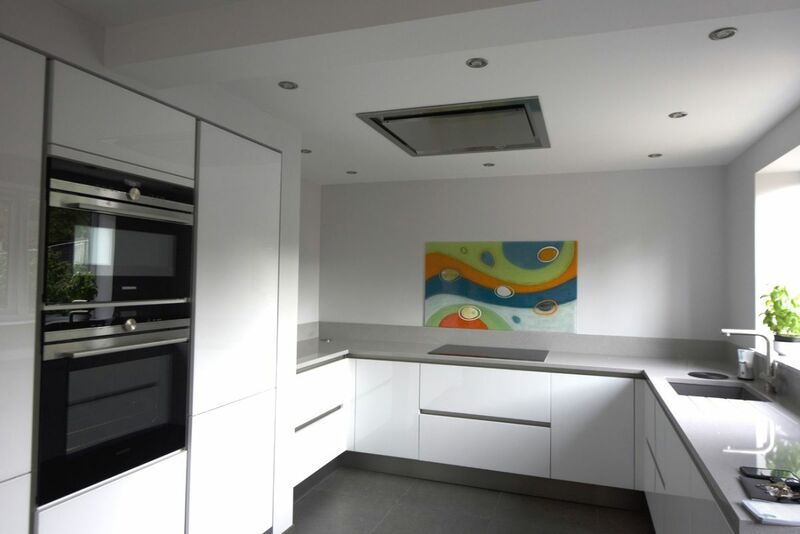 Here’s a fairly recent pick from our portfolio, delivered to a lovely property in Ickenham, London. 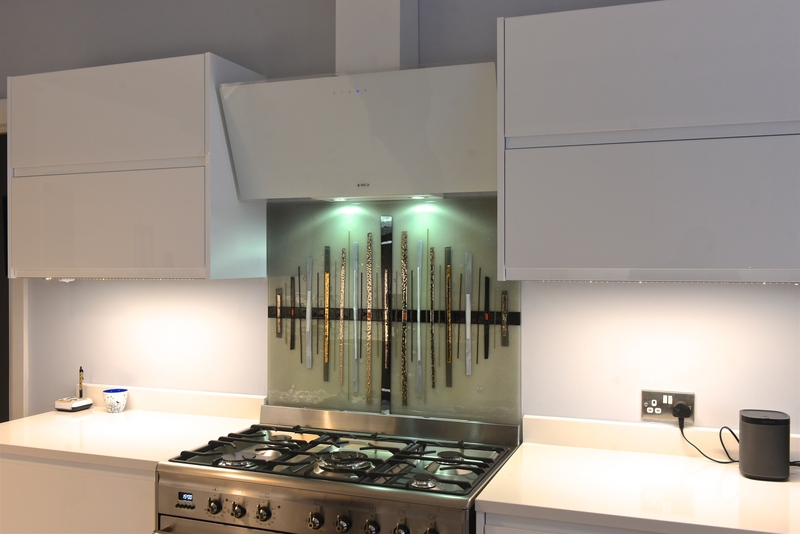 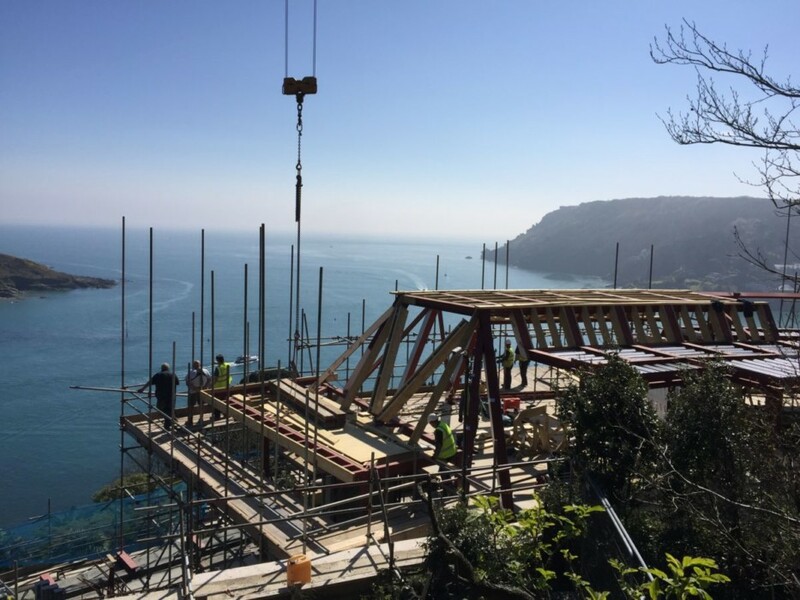 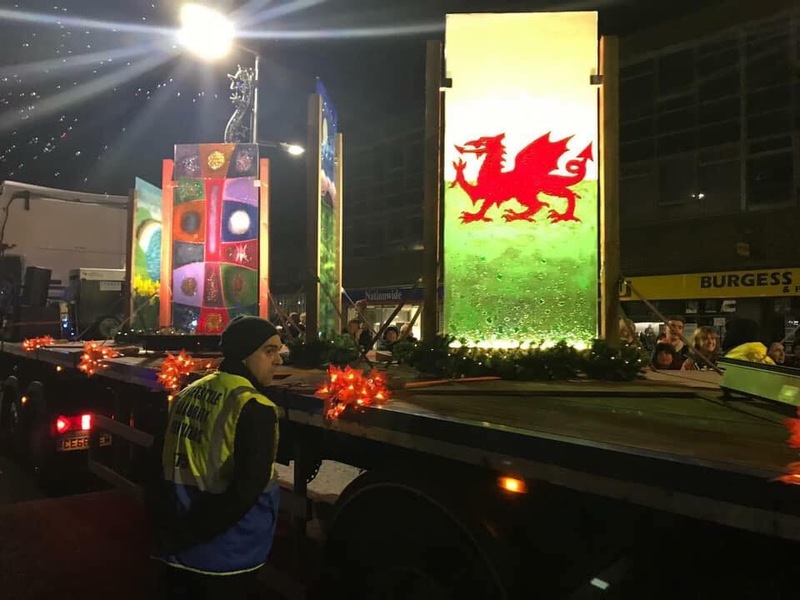 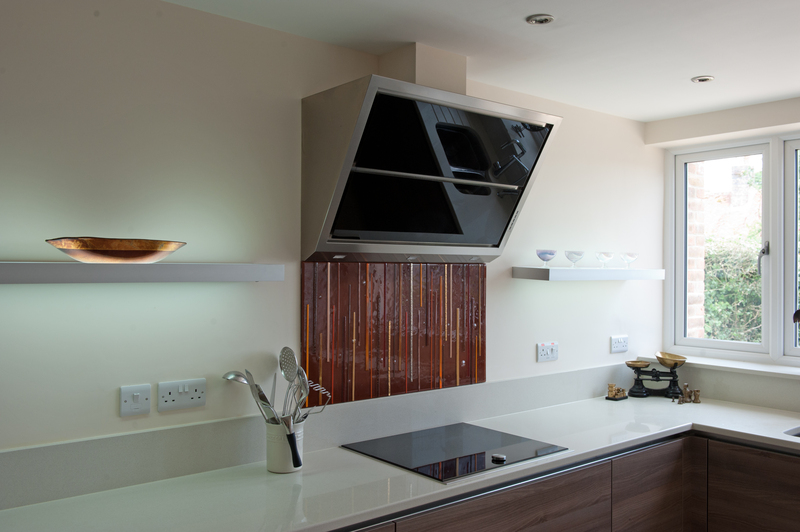 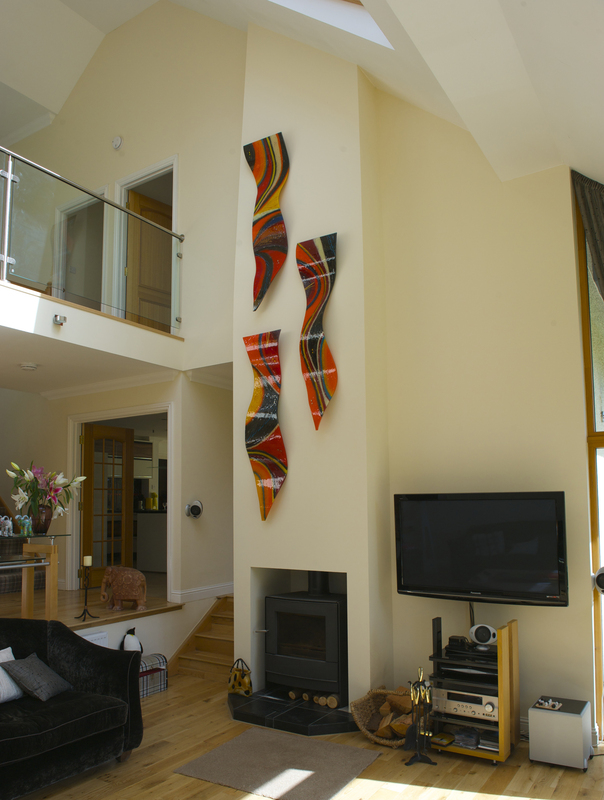 It stands out even now due to a very inspired, unique design put forward by the client, which was a pleasure to make and an even greater pleasure to see put in place. 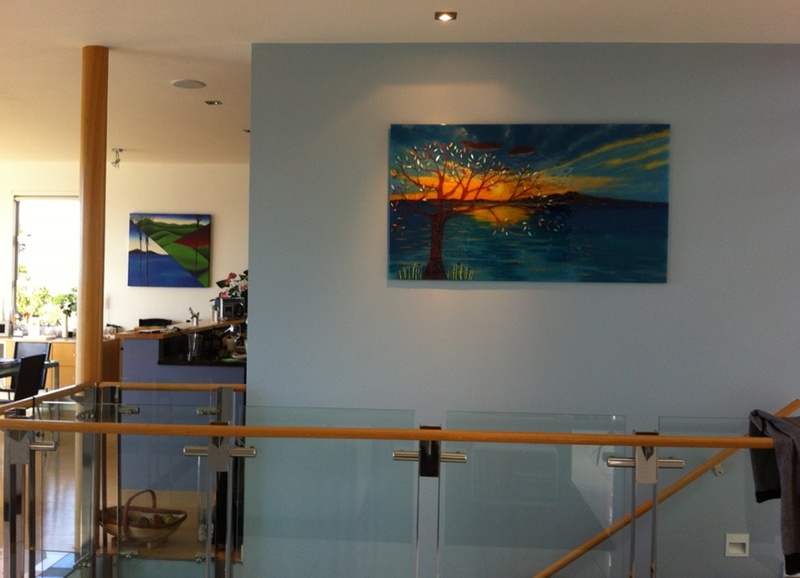 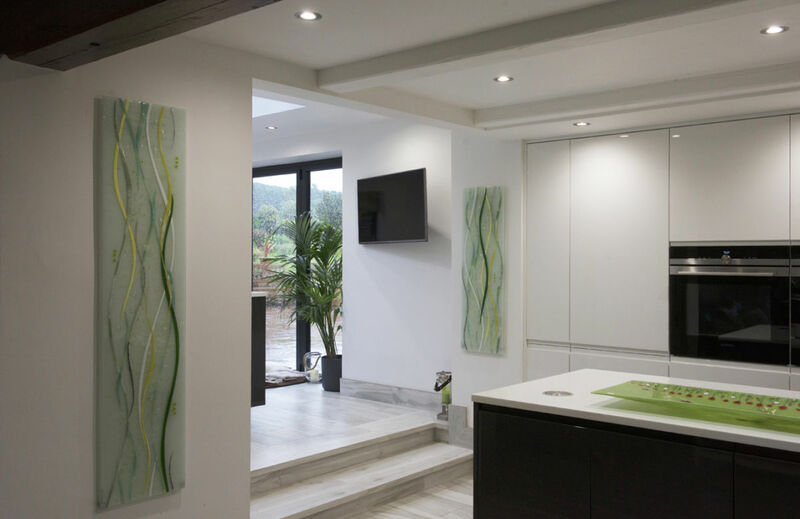 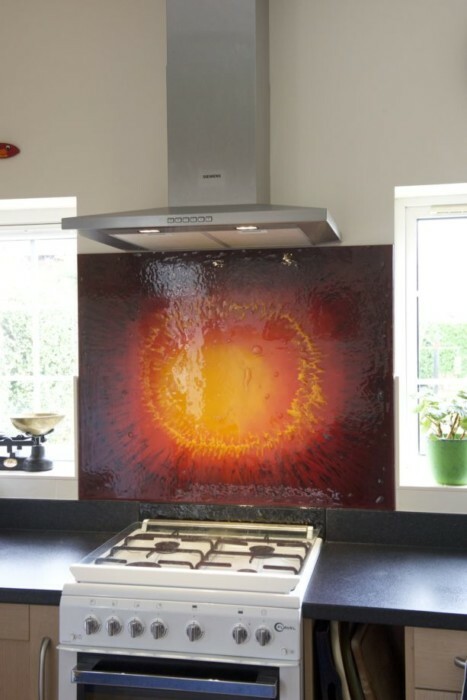 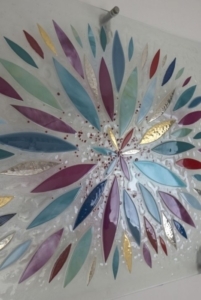 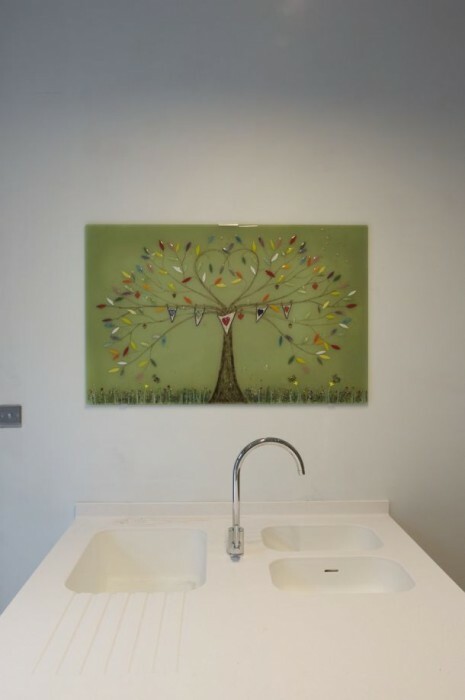 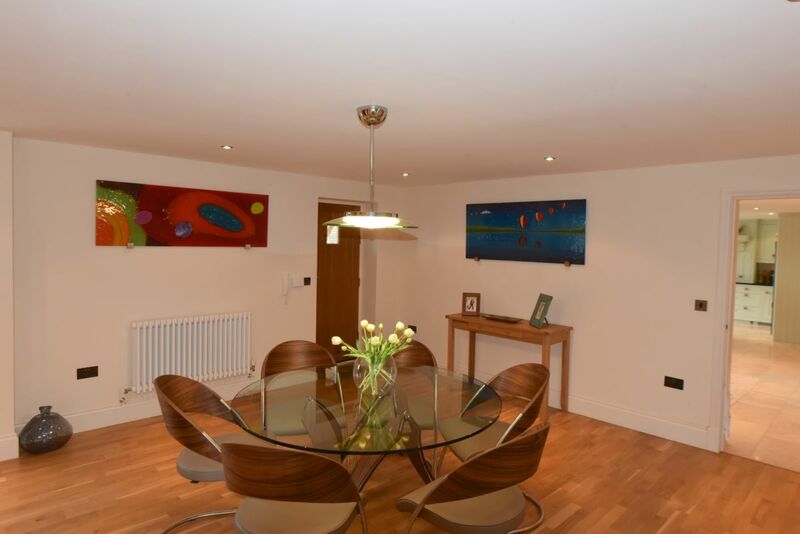 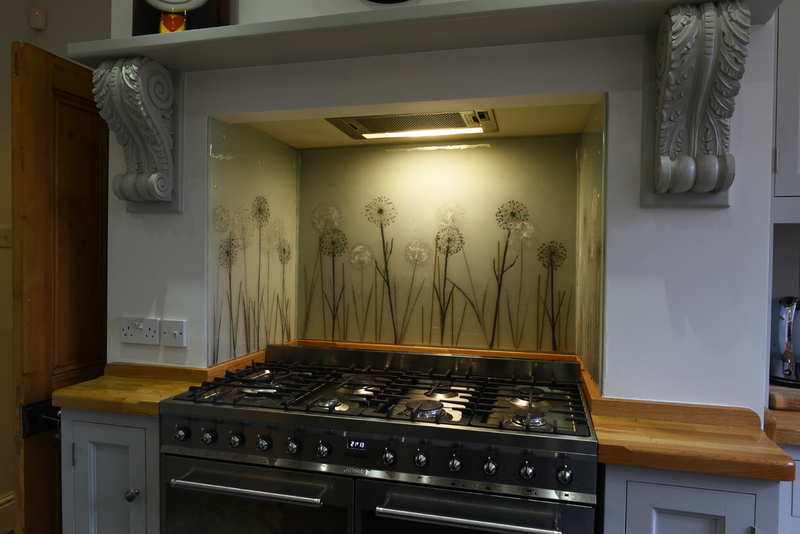 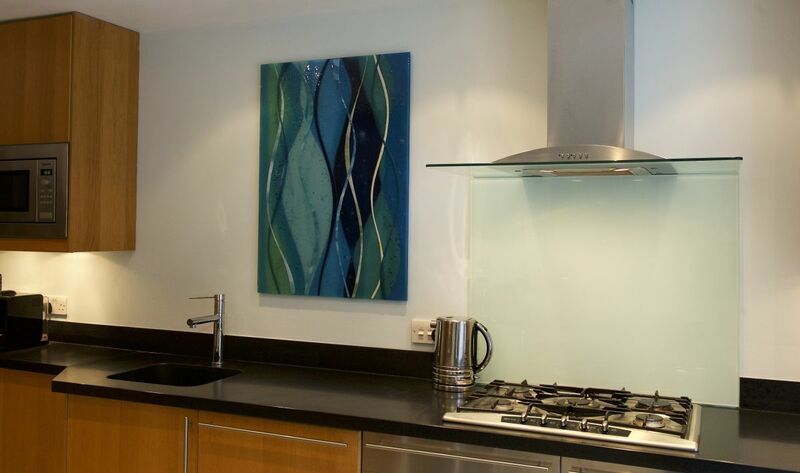 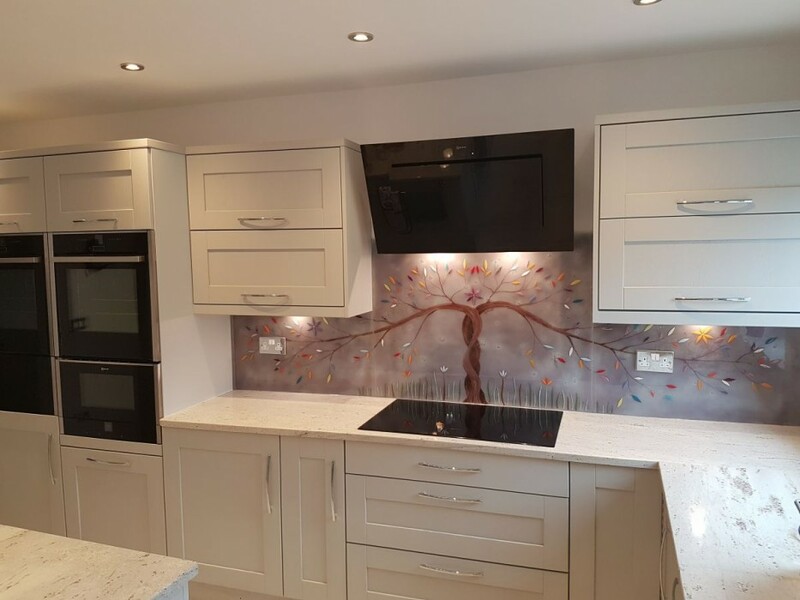 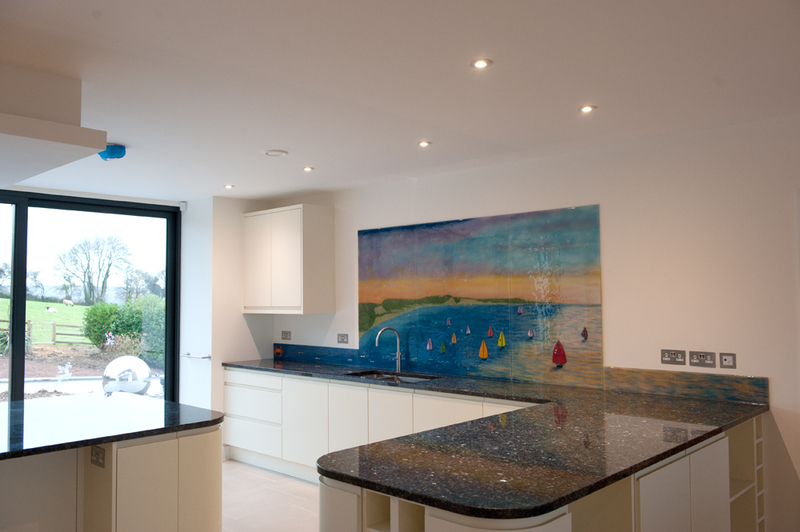 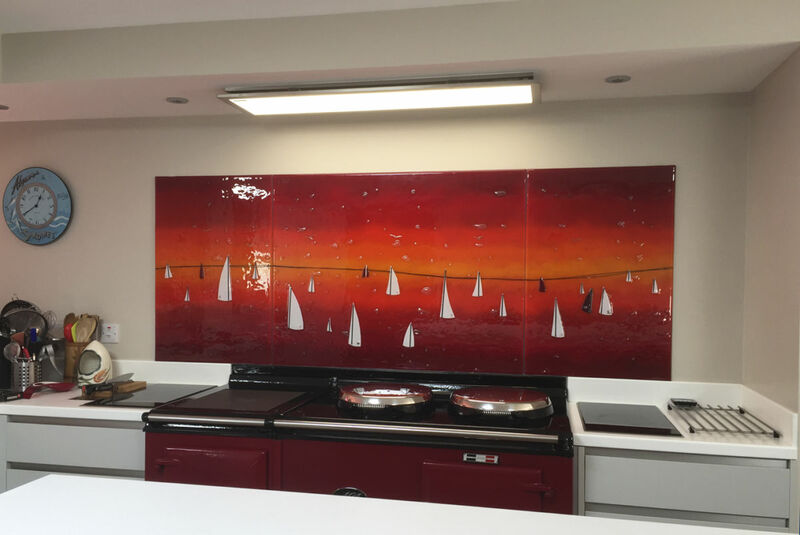 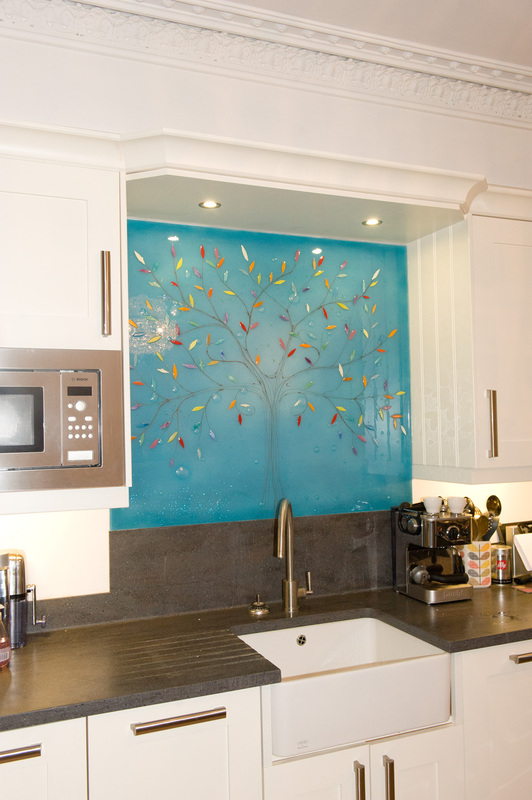 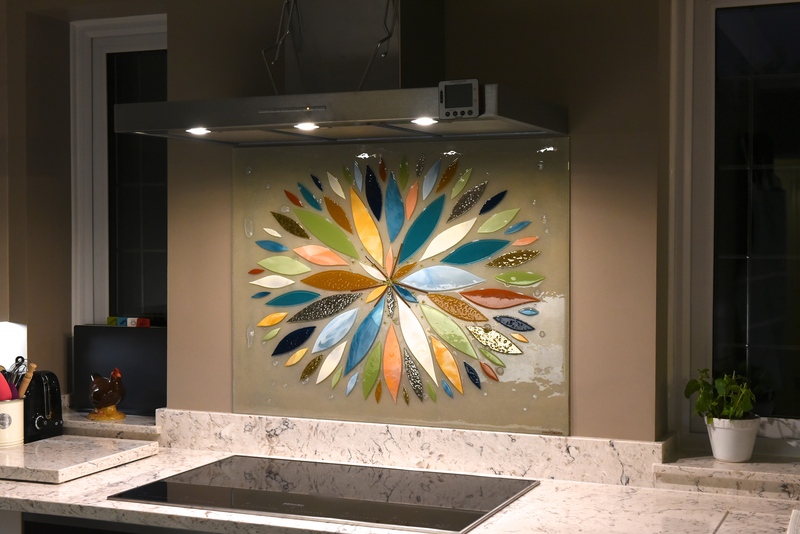 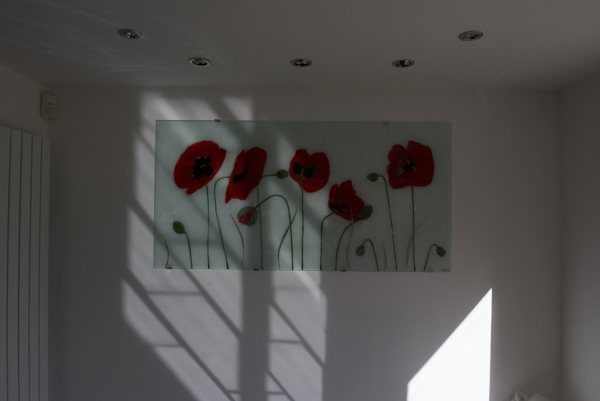 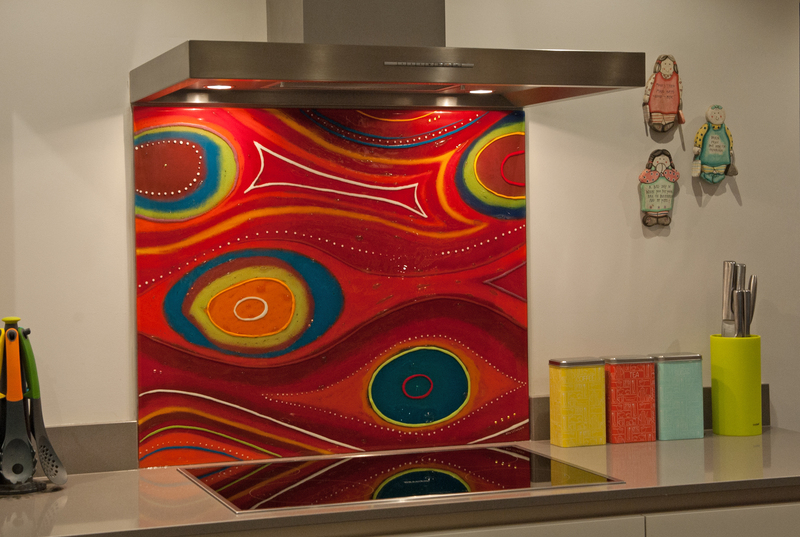 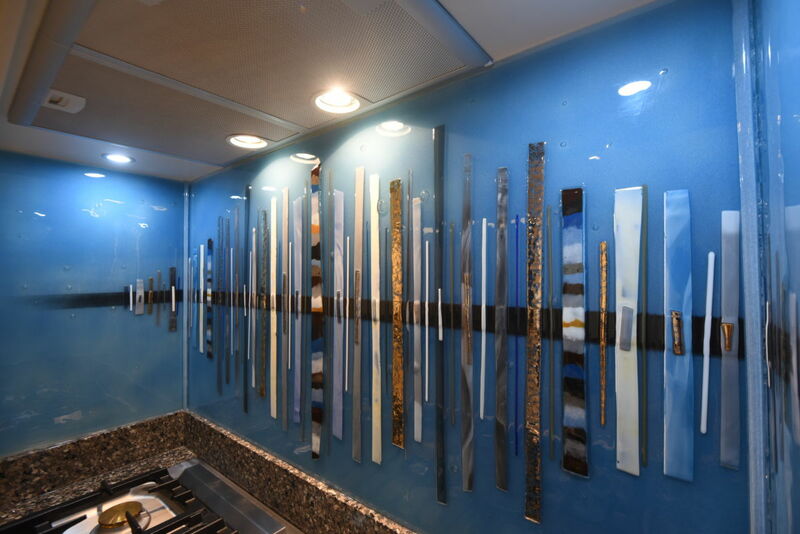 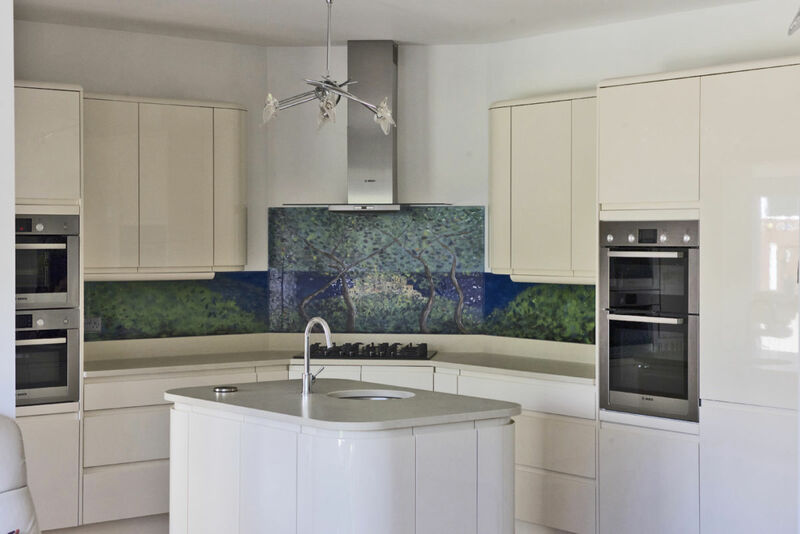 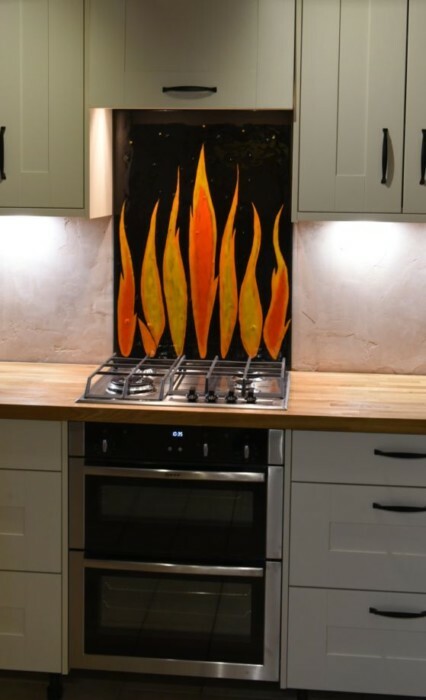 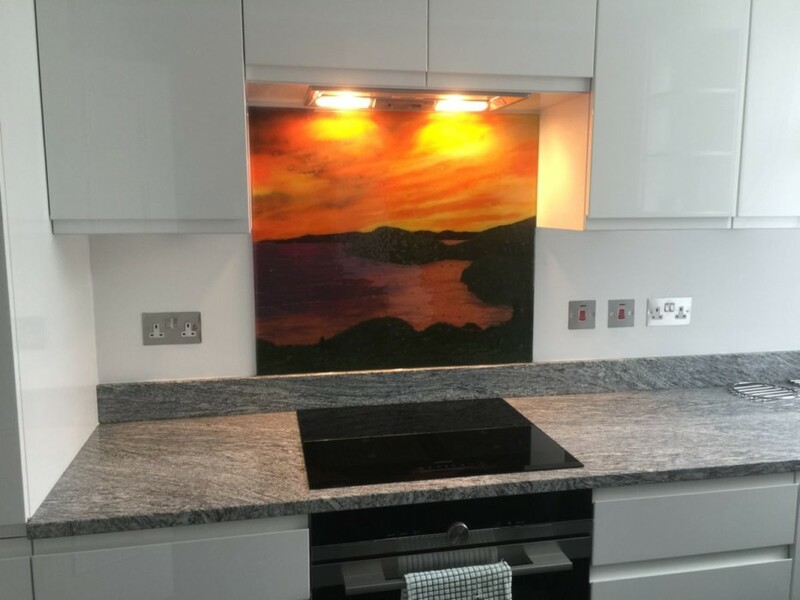 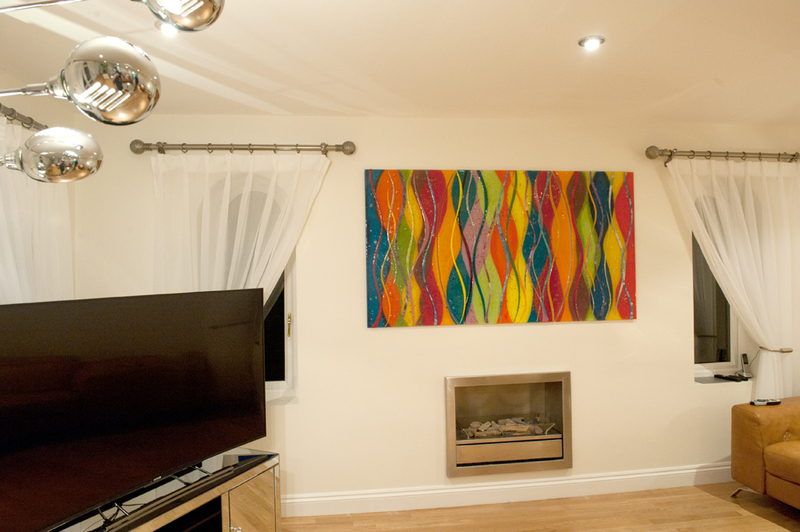 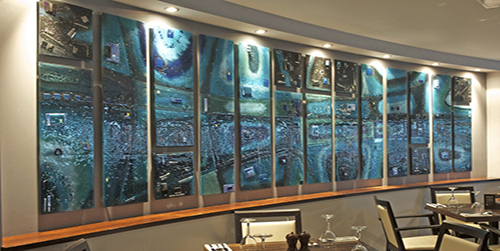 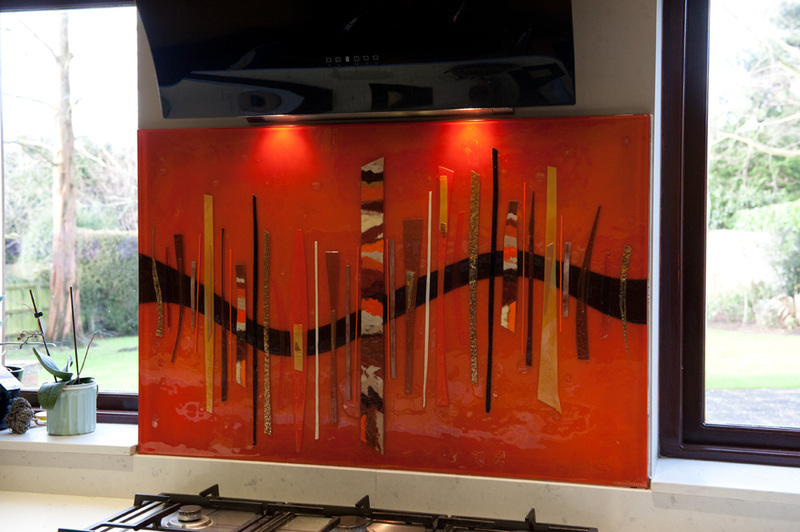 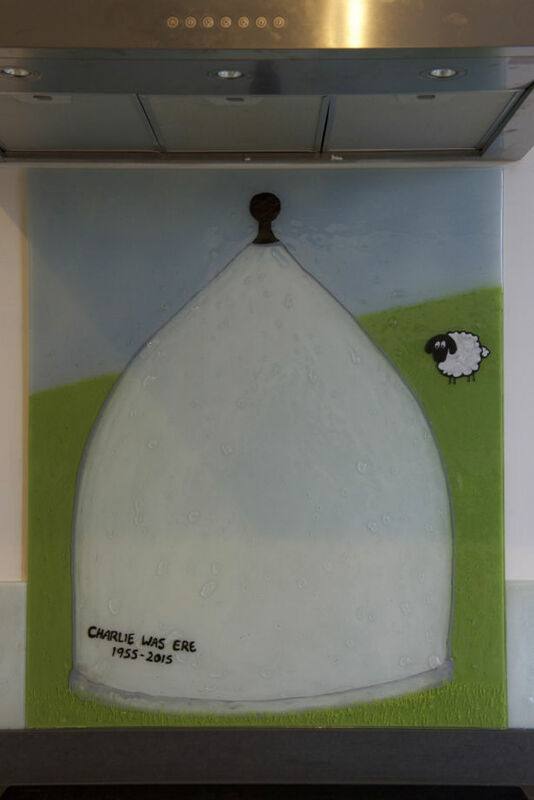 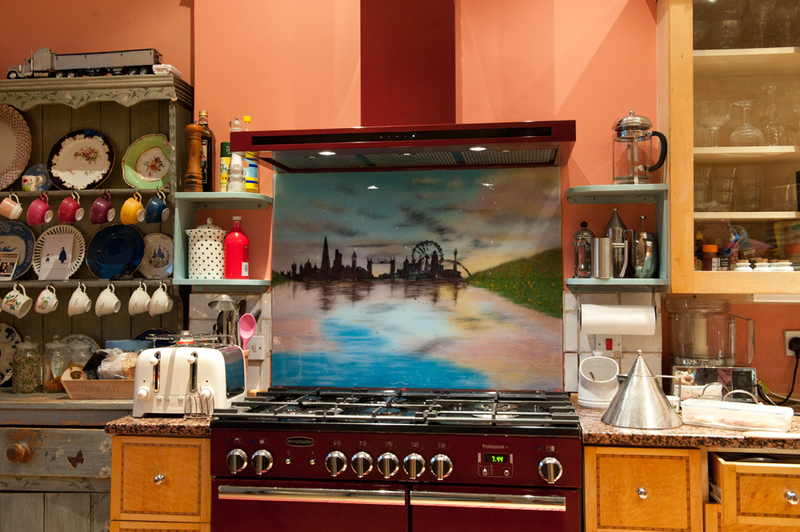 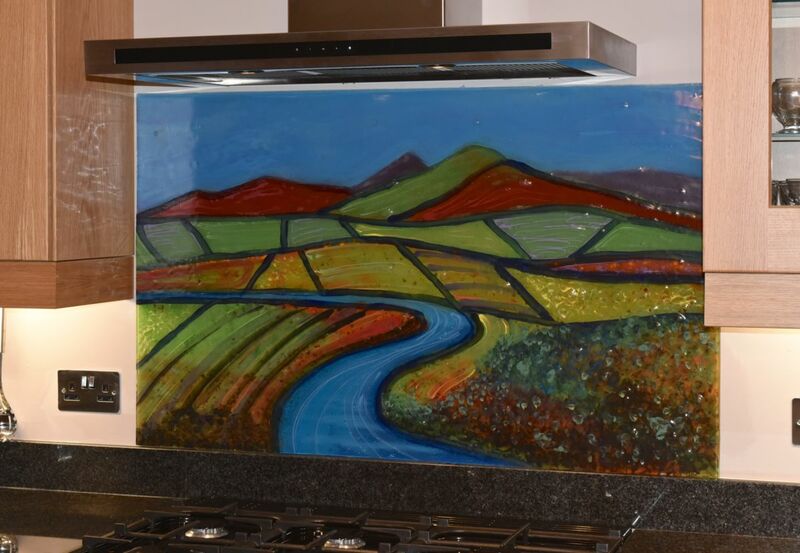 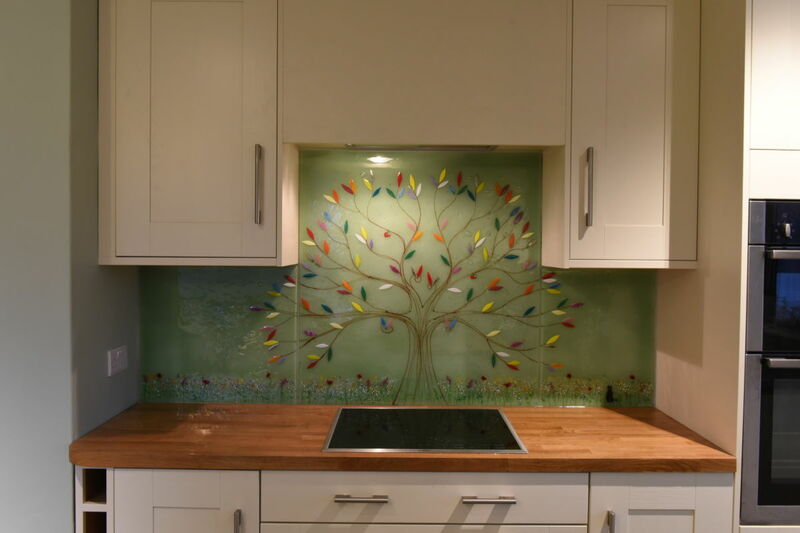 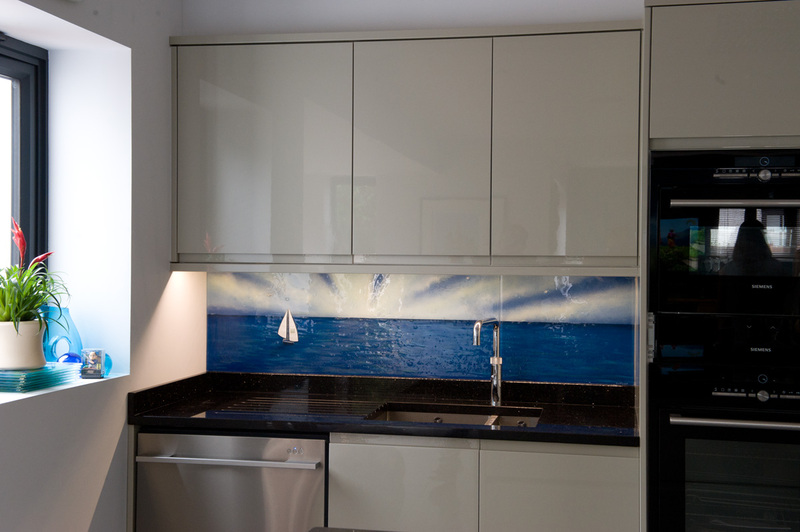 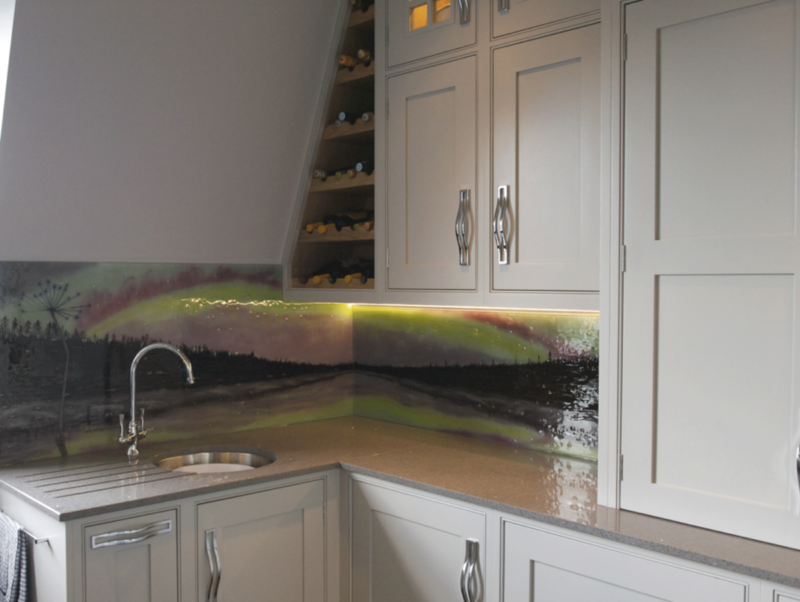 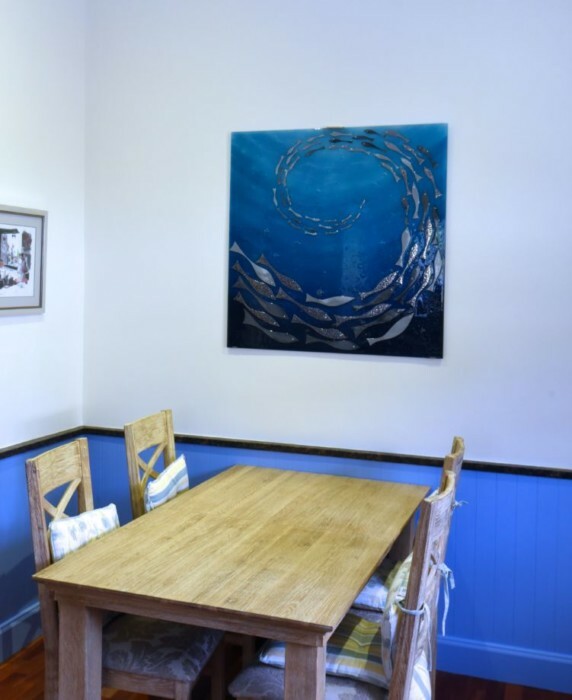 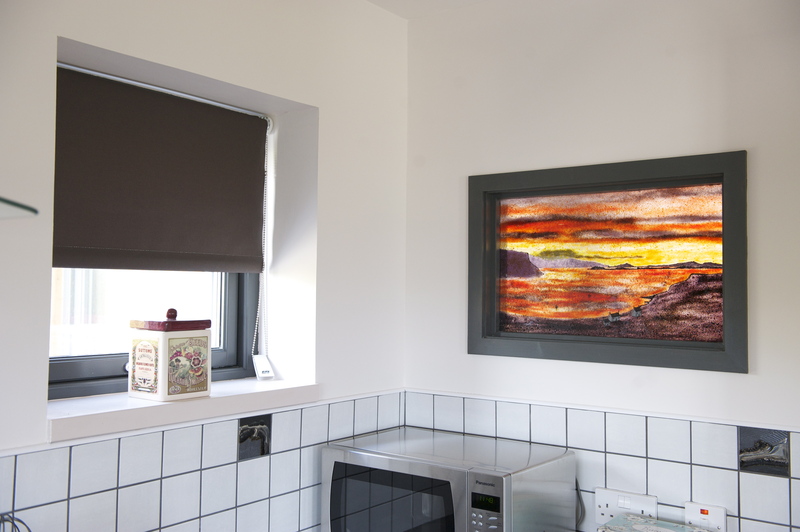 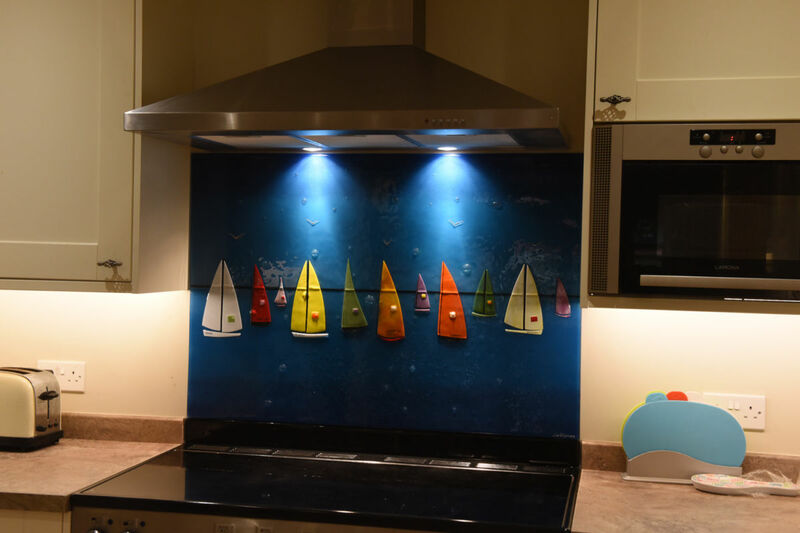 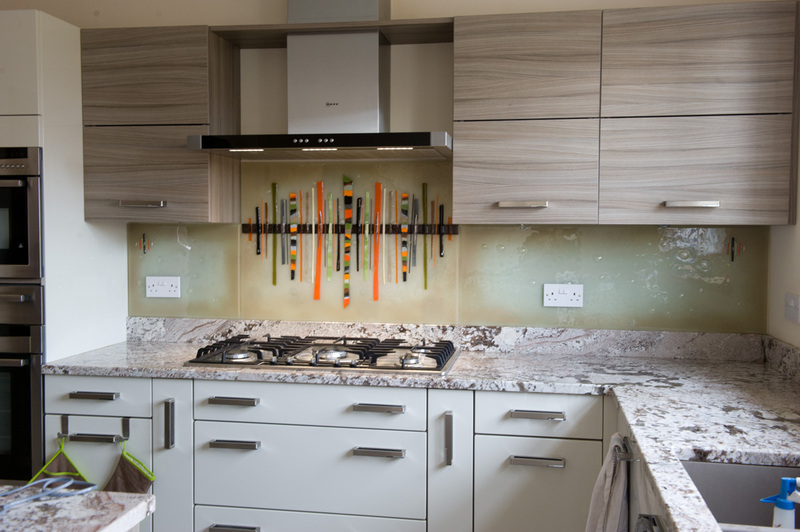 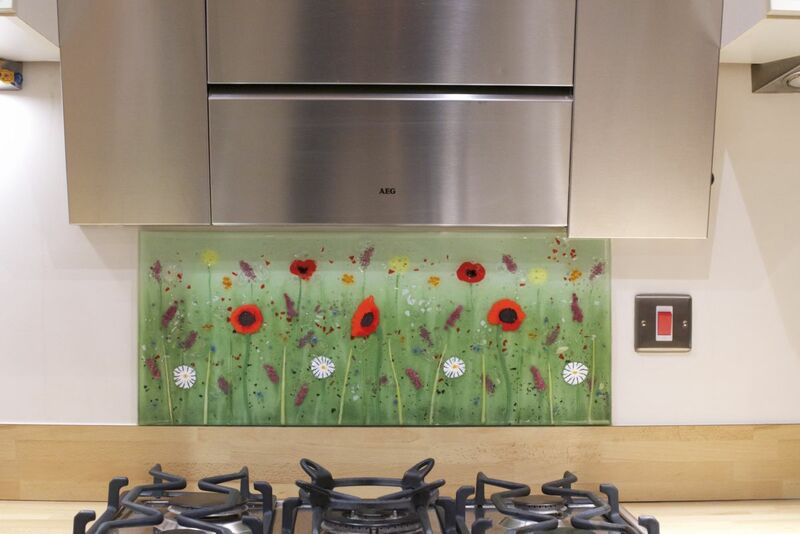 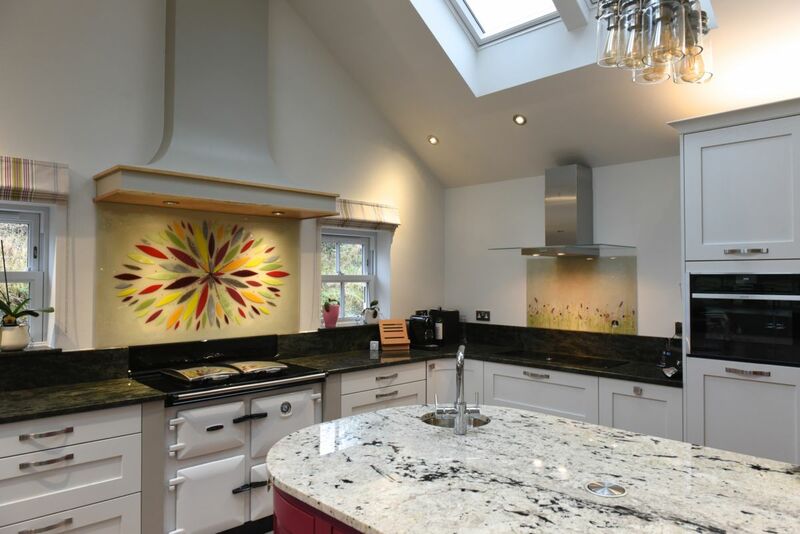 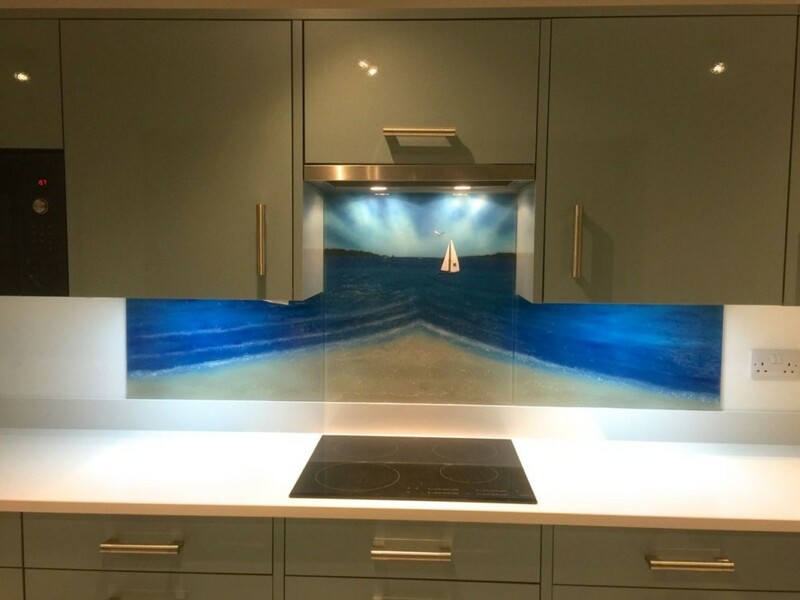 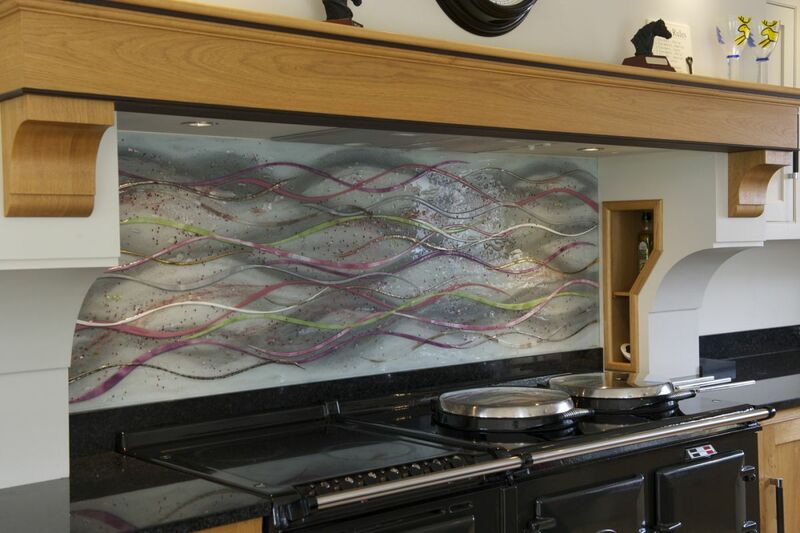 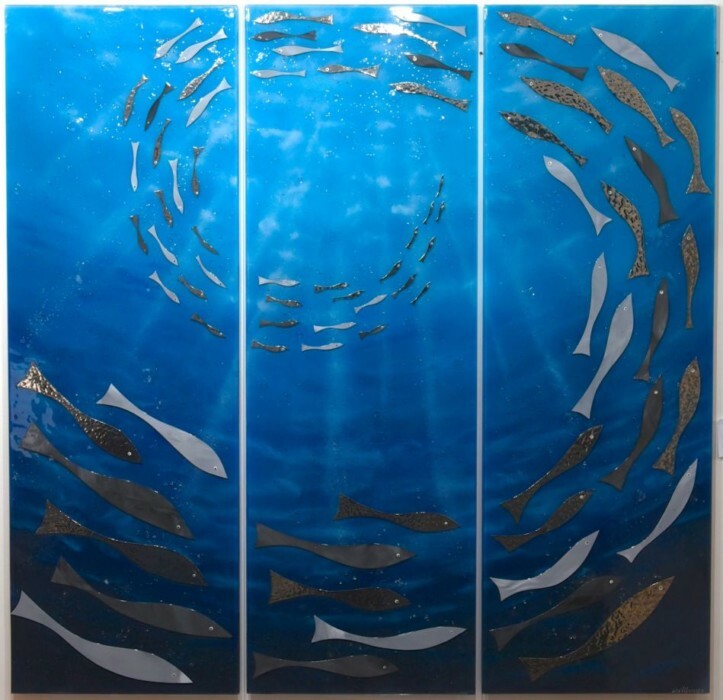 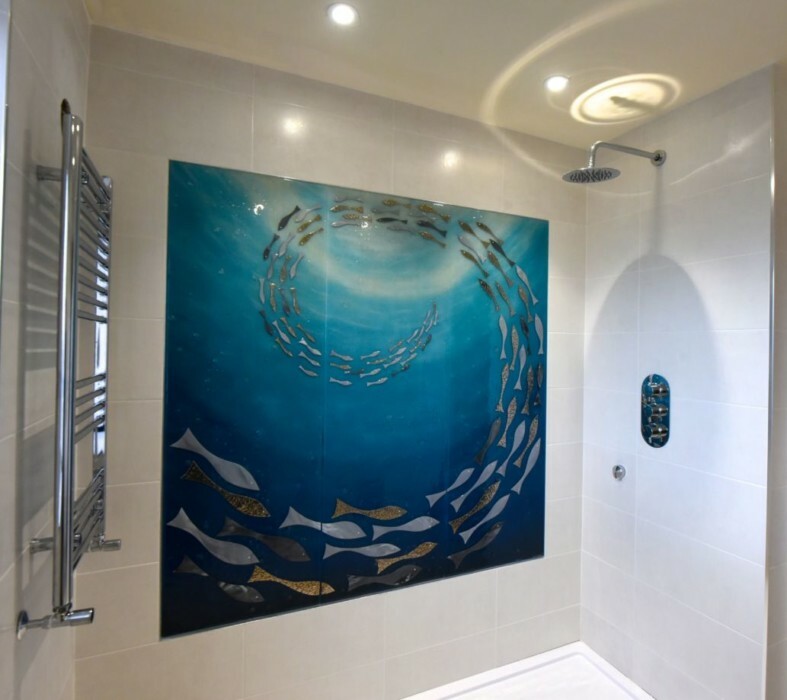 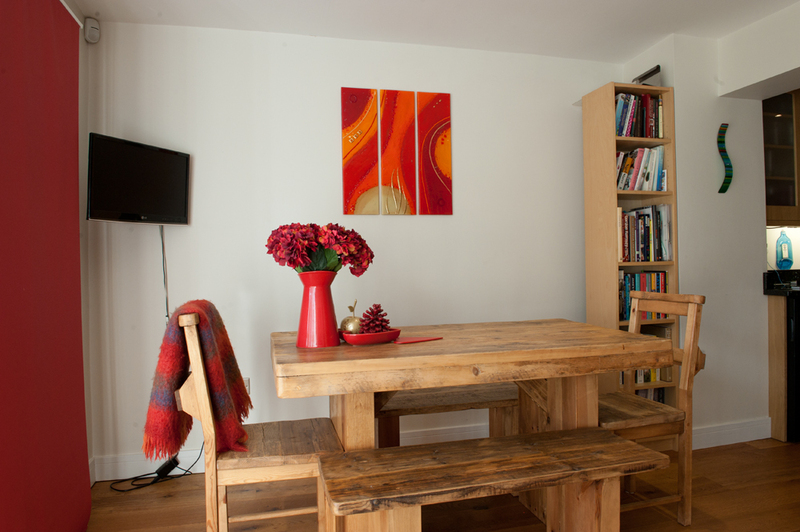 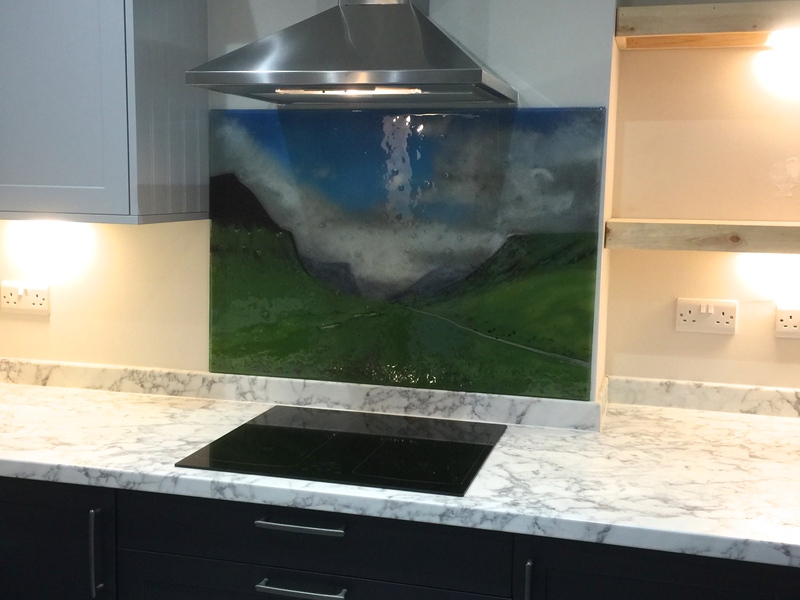 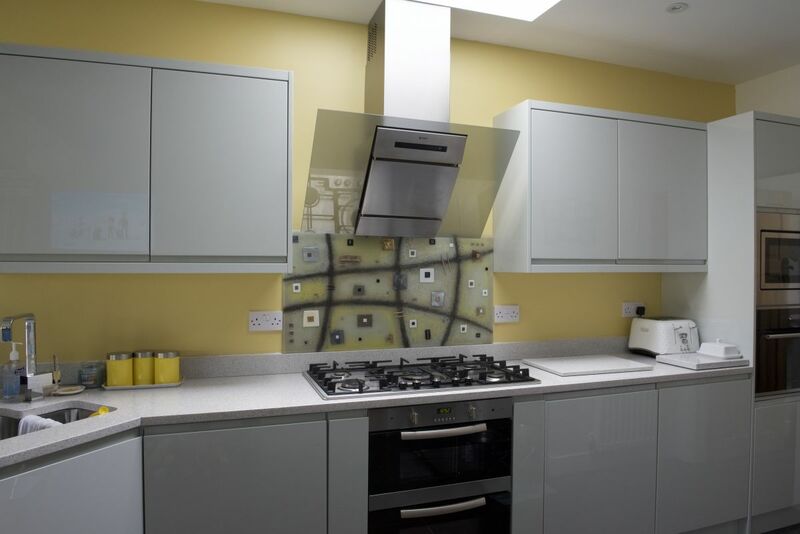 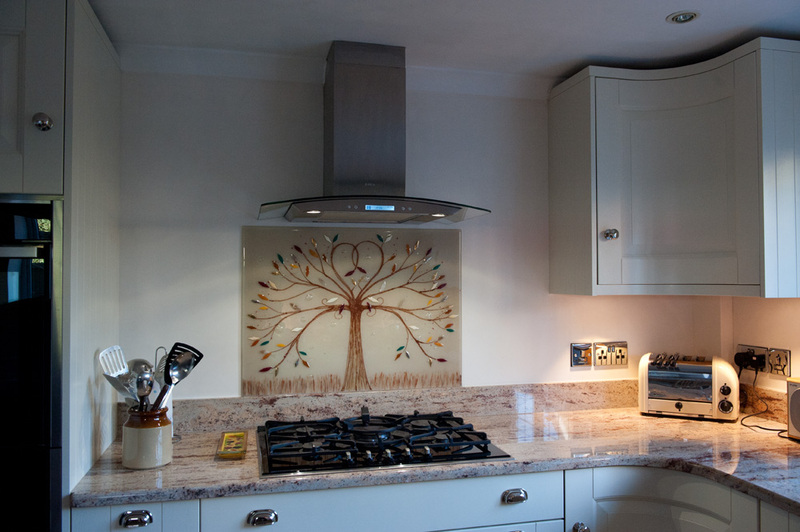 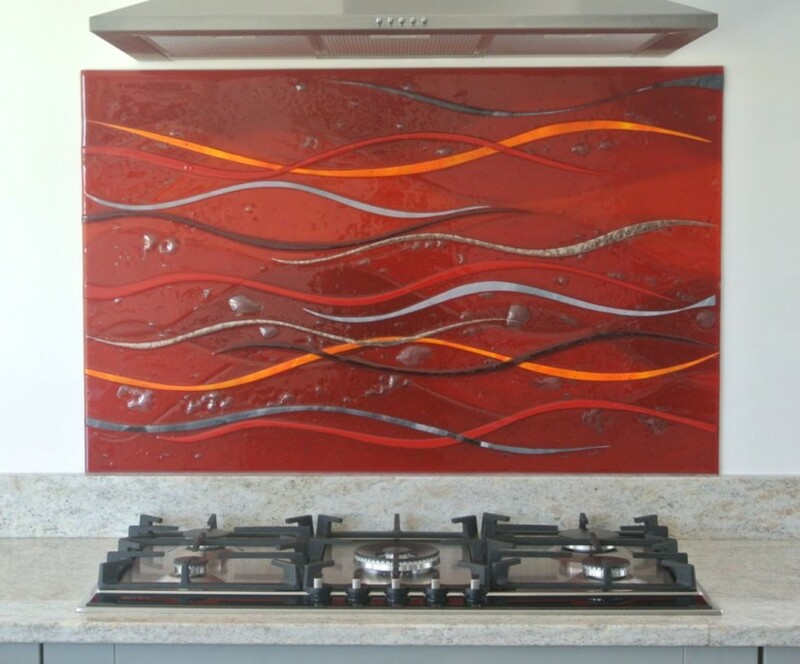 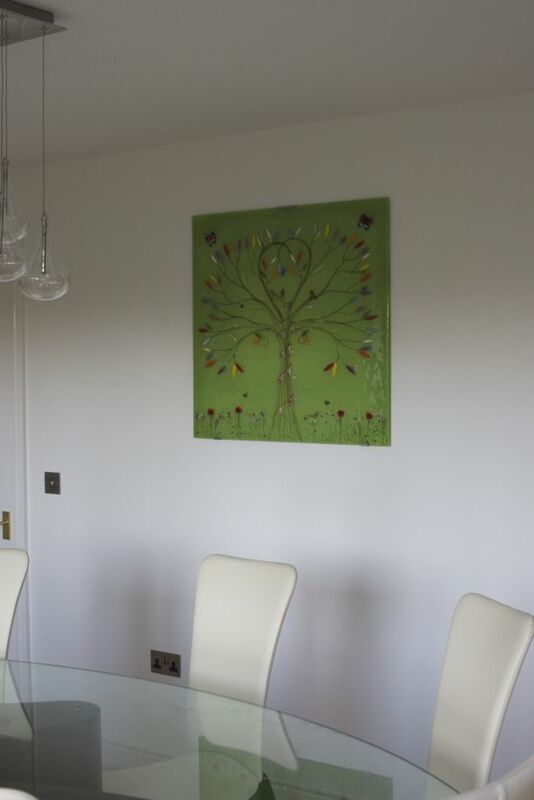 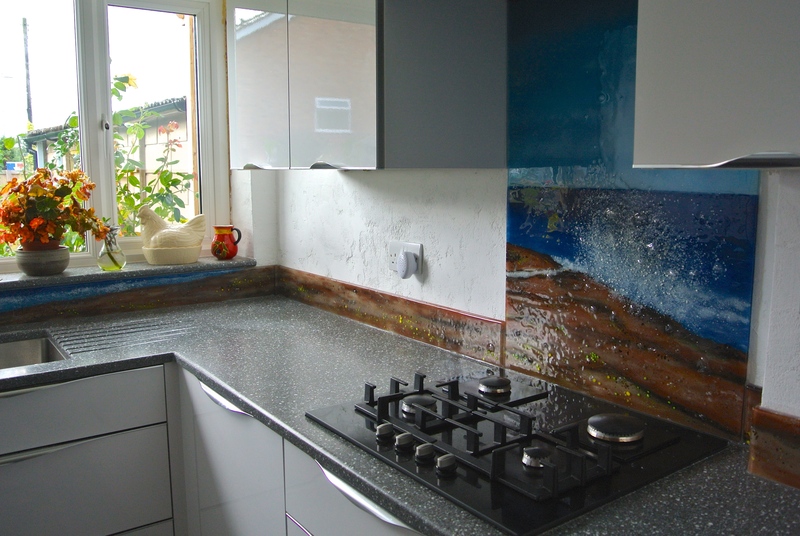 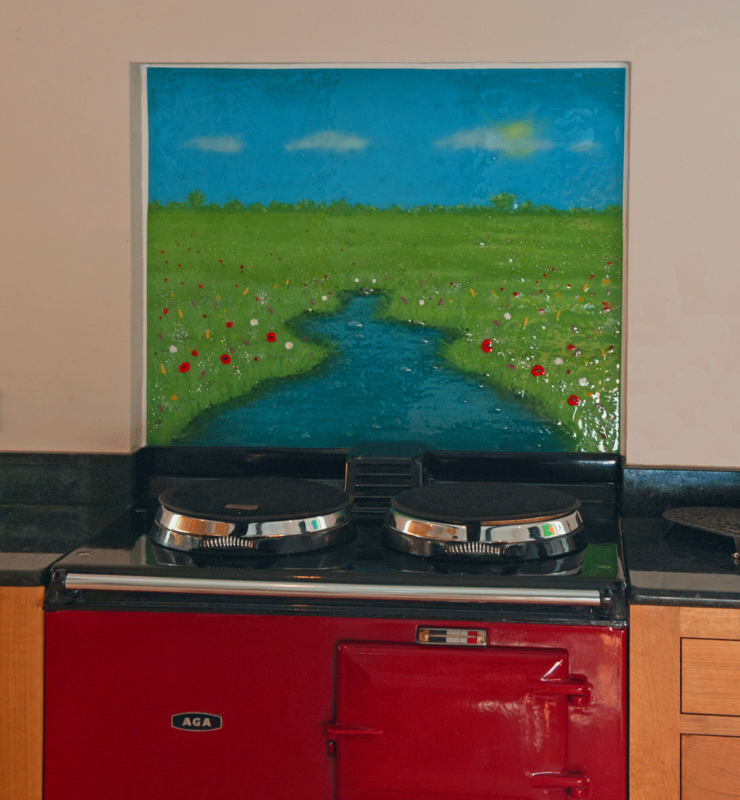 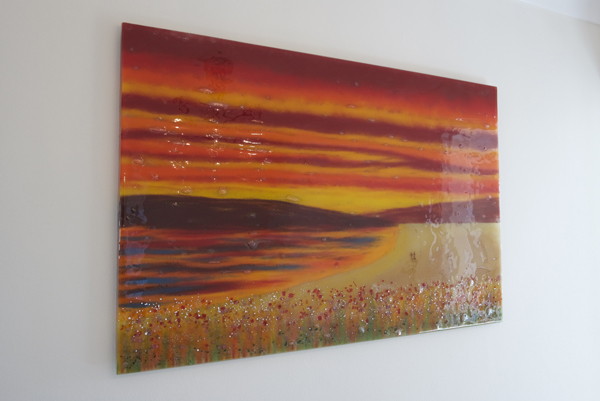 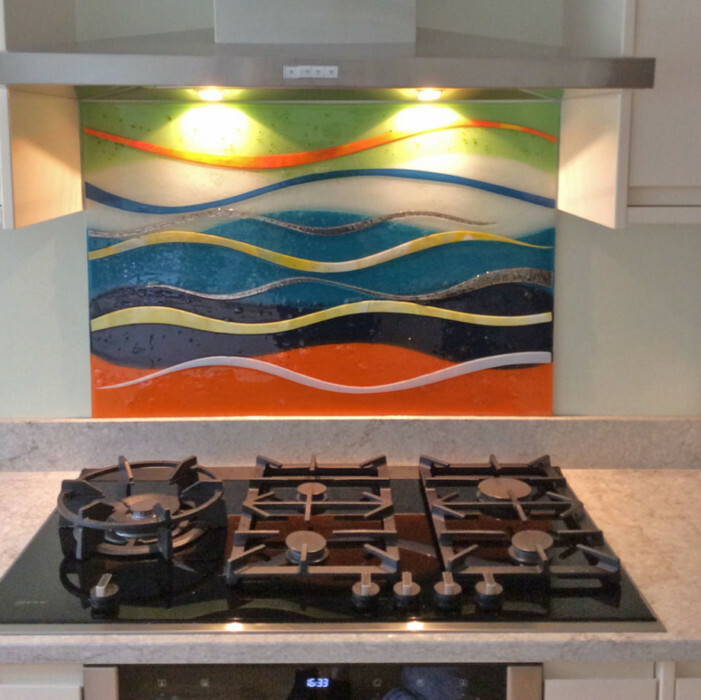 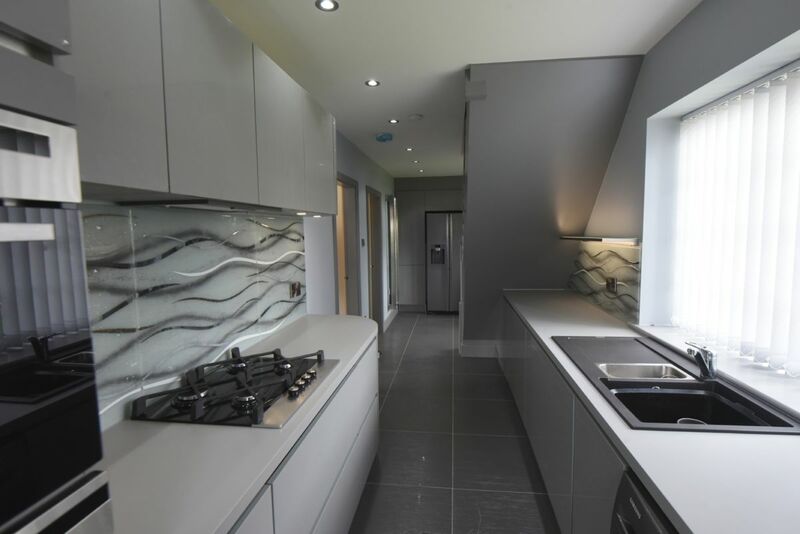 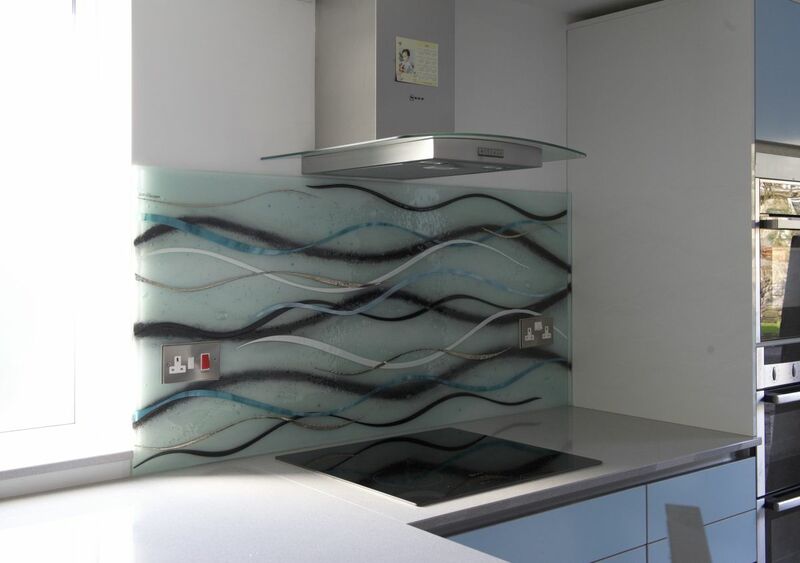 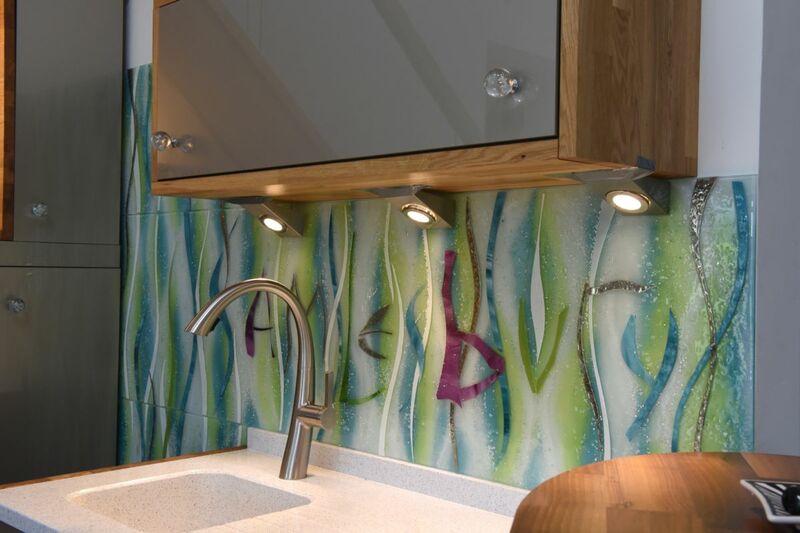 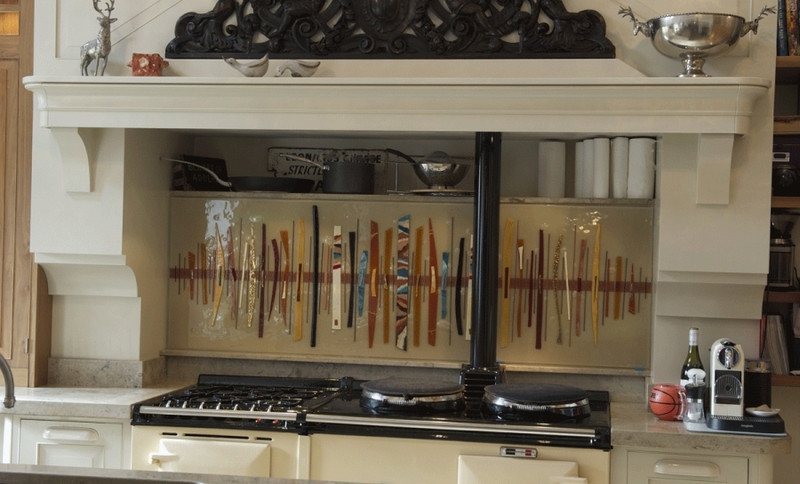 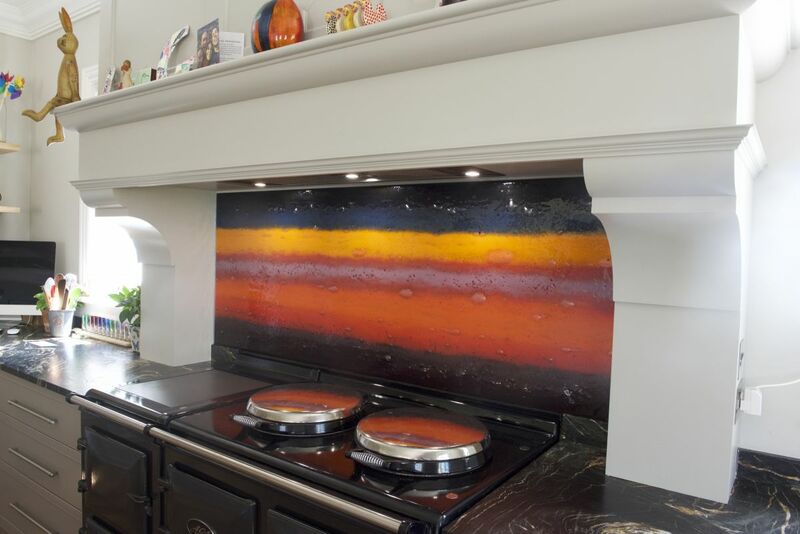 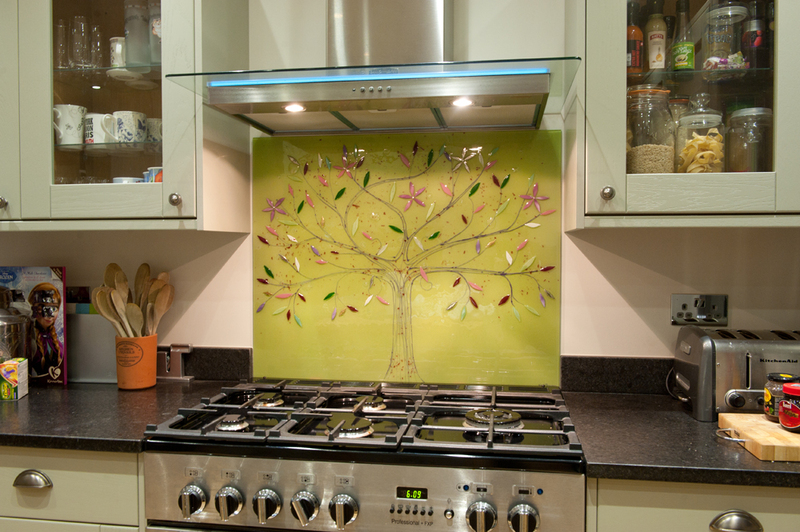 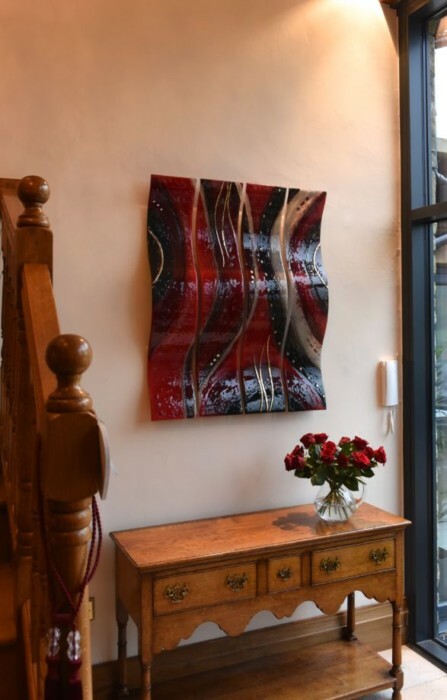 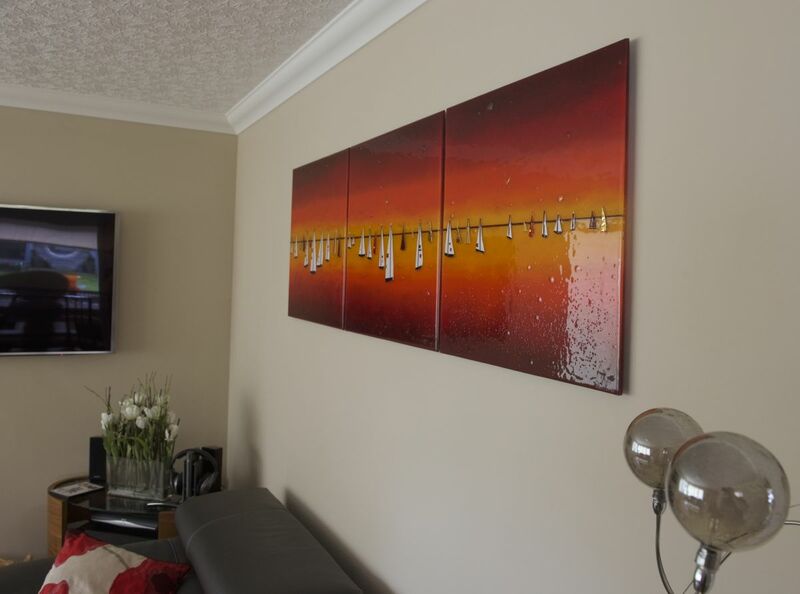 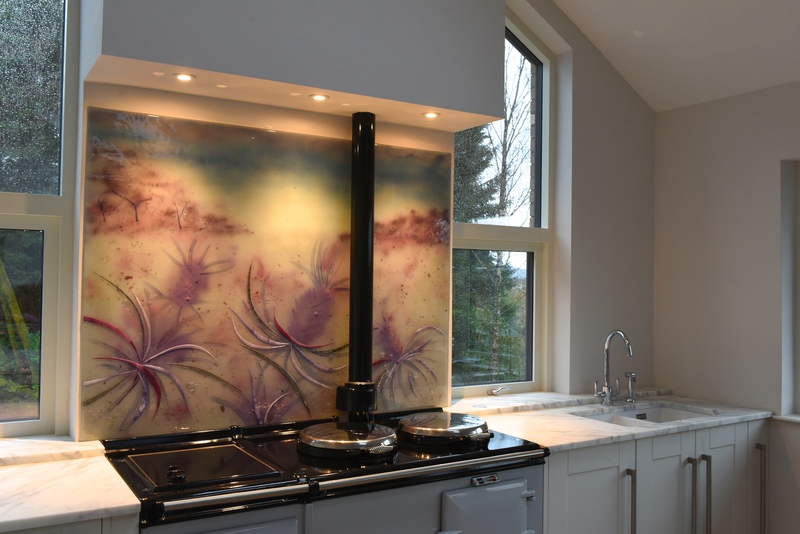 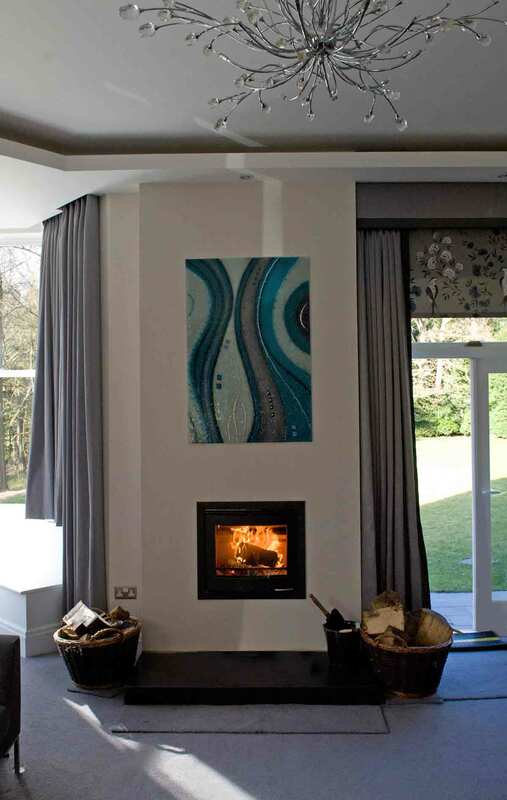 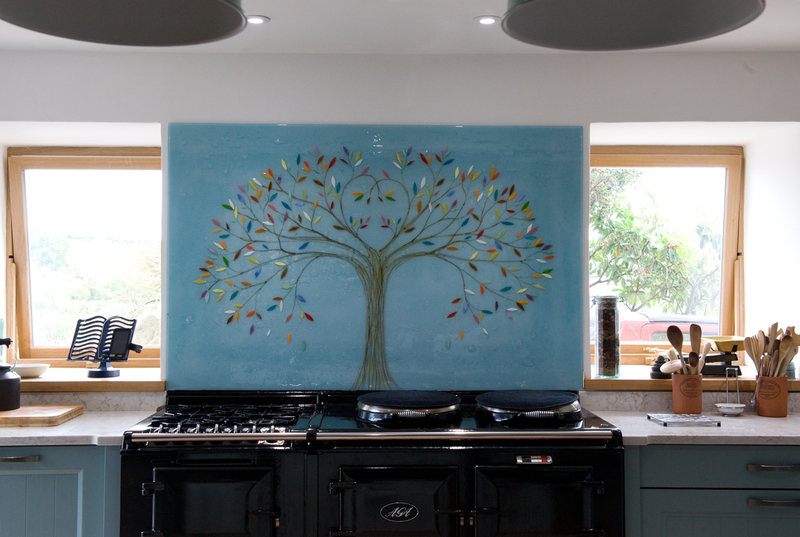 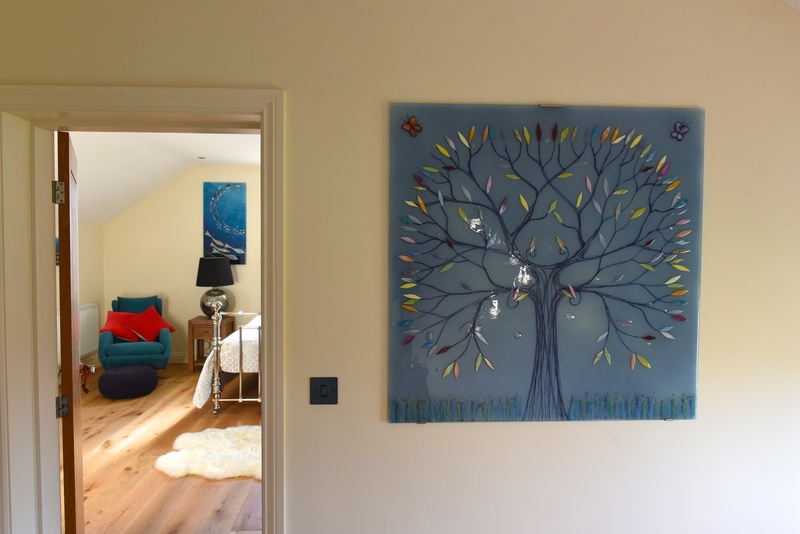 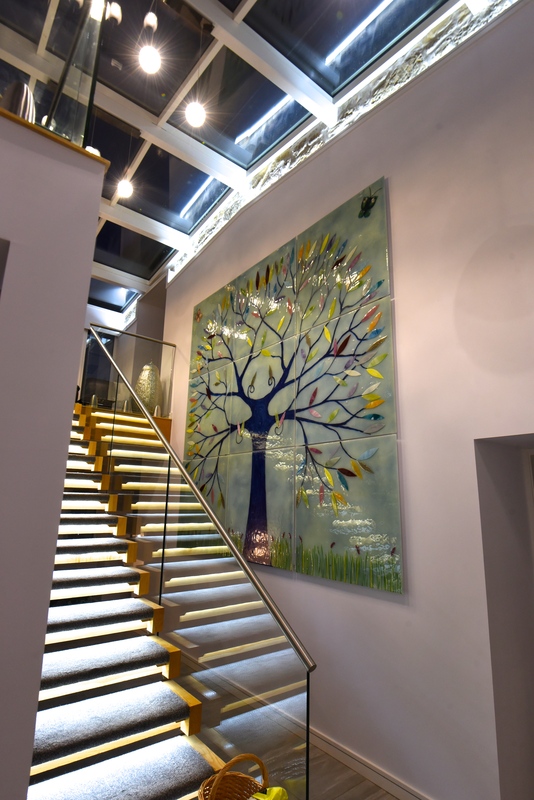 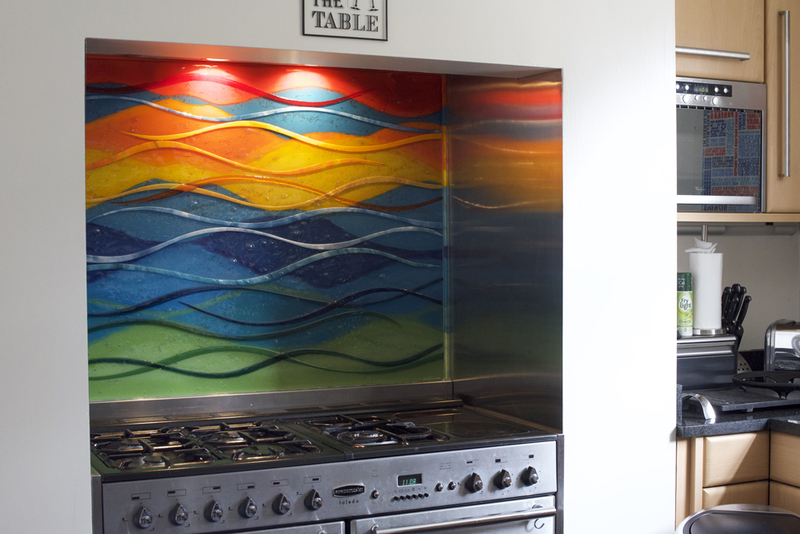 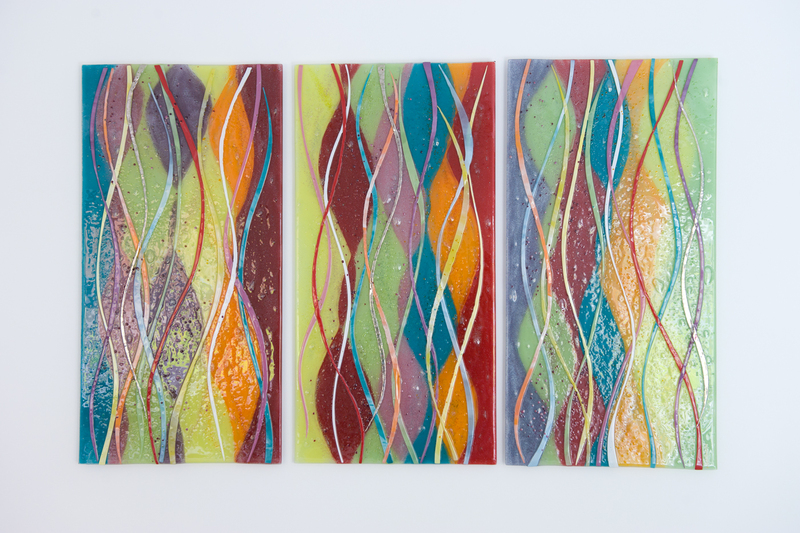 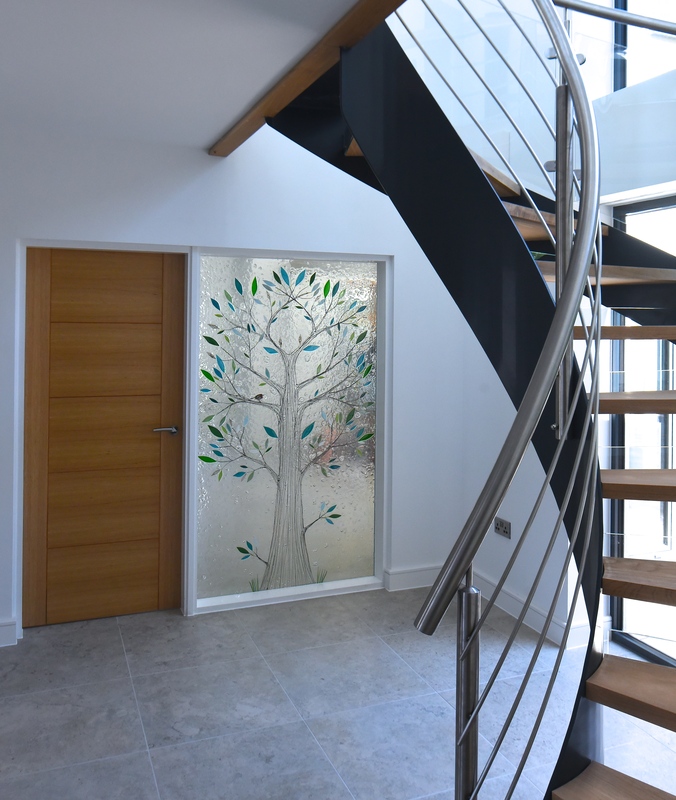 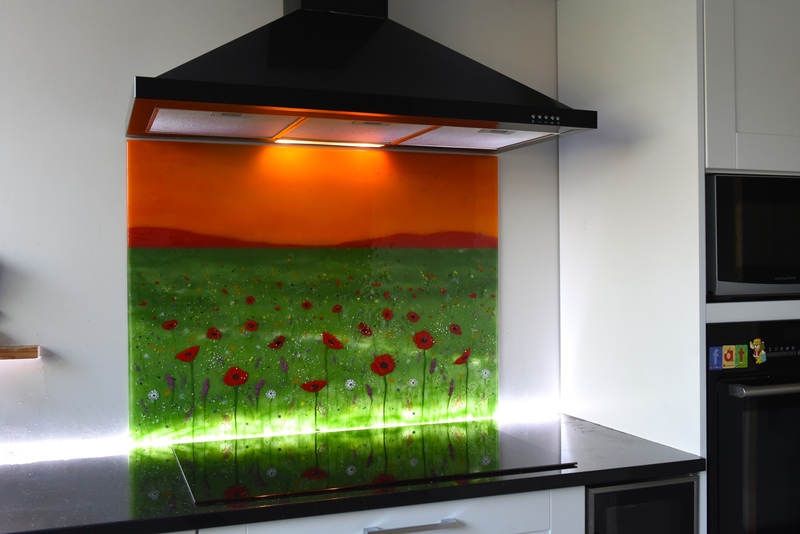 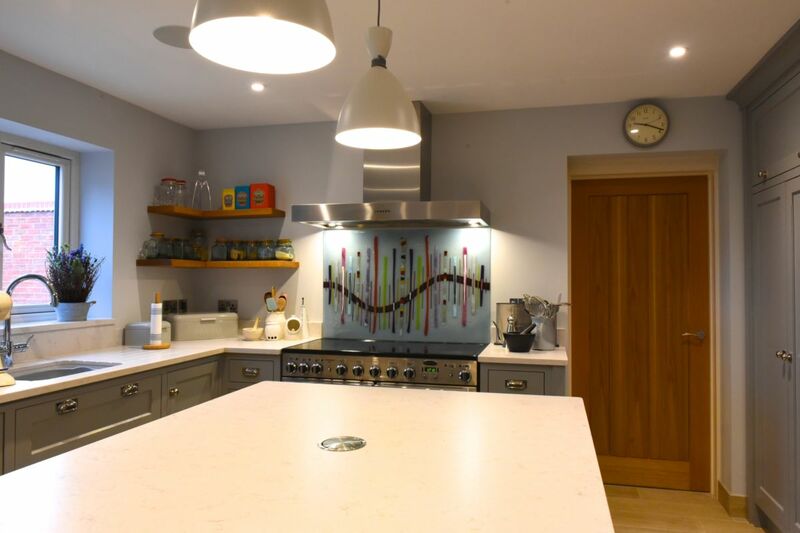 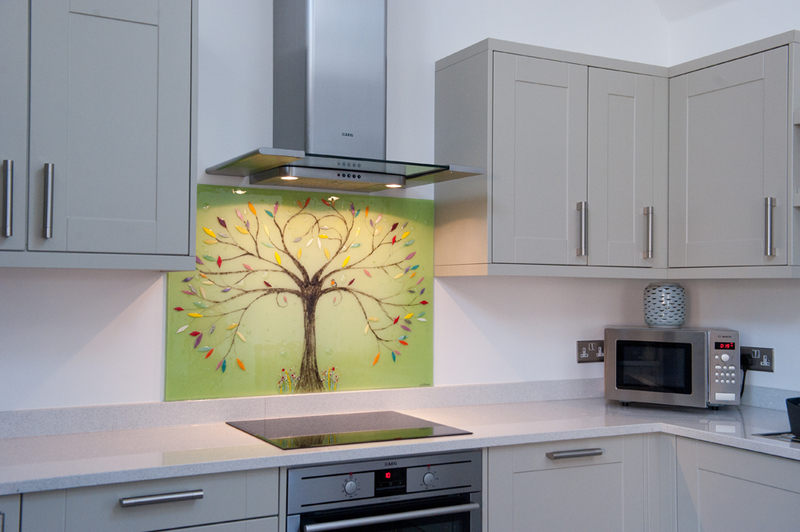 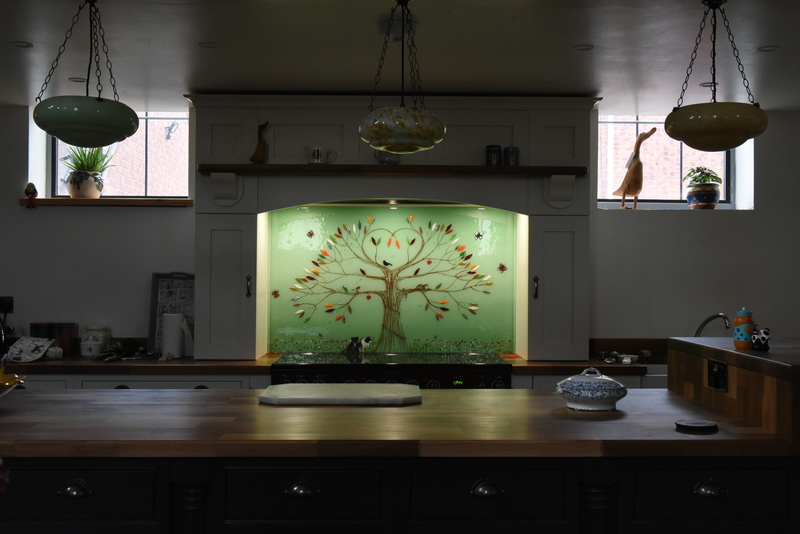 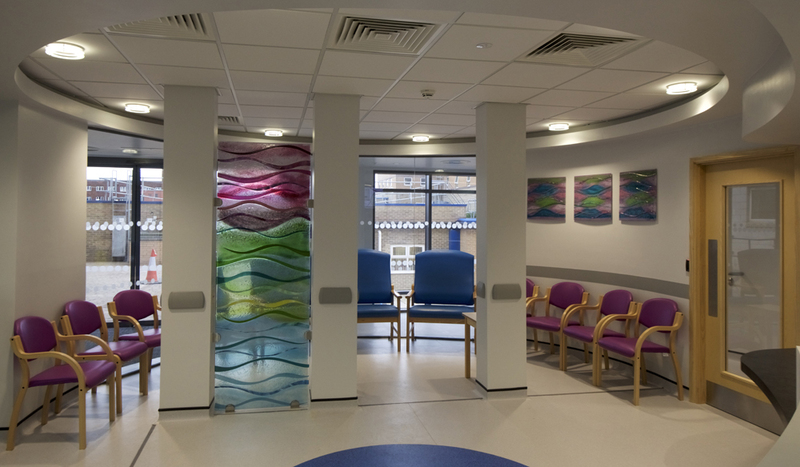 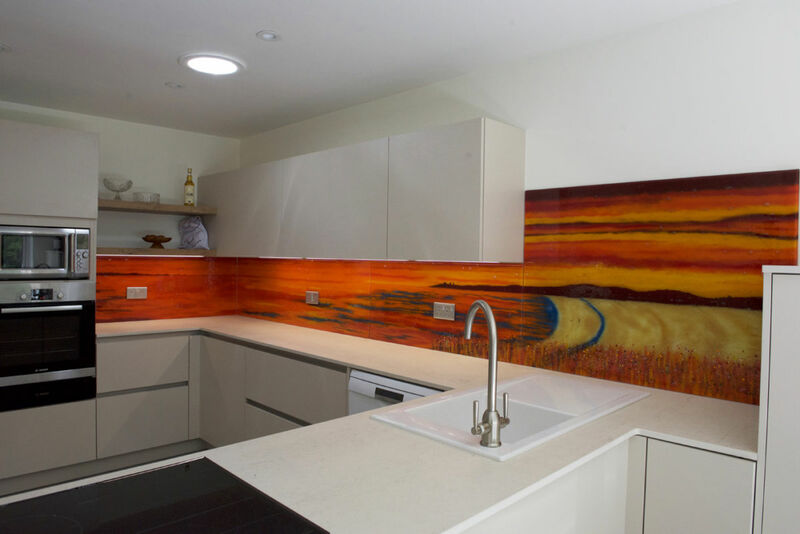 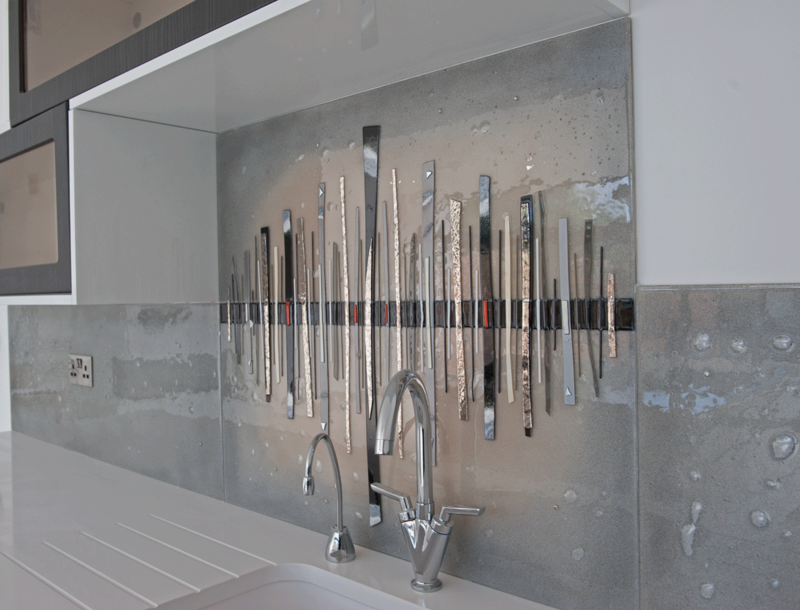 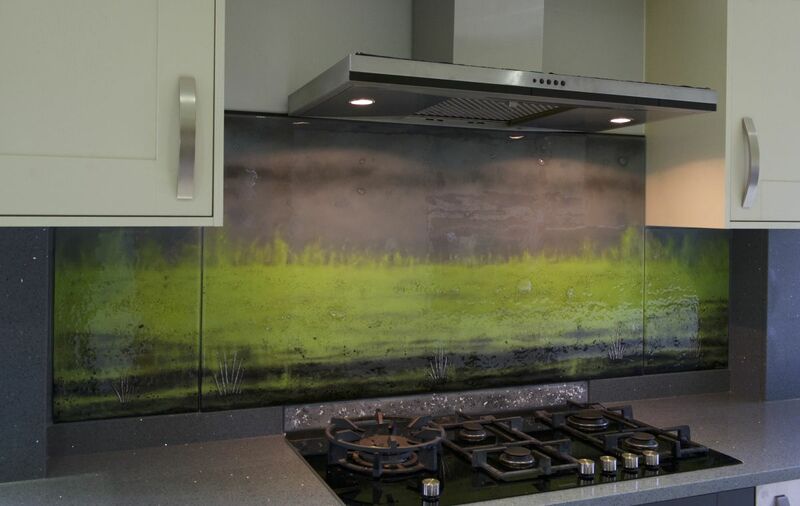 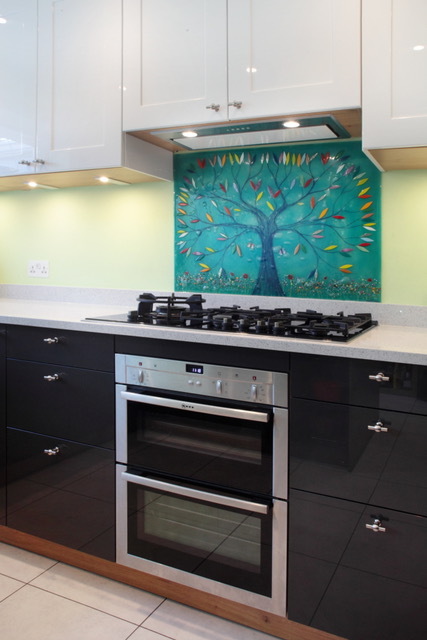 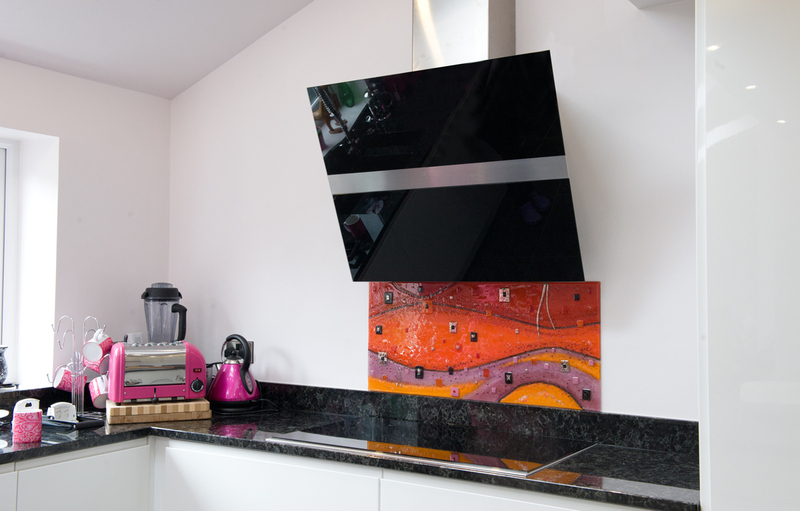 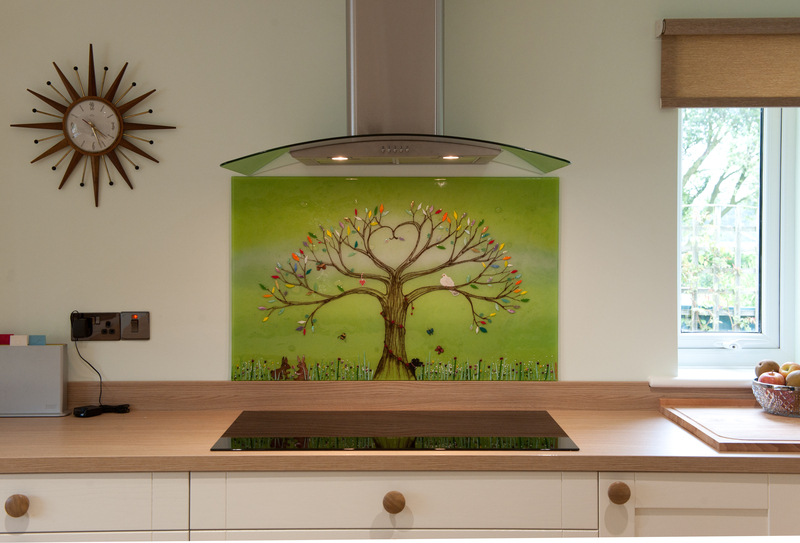 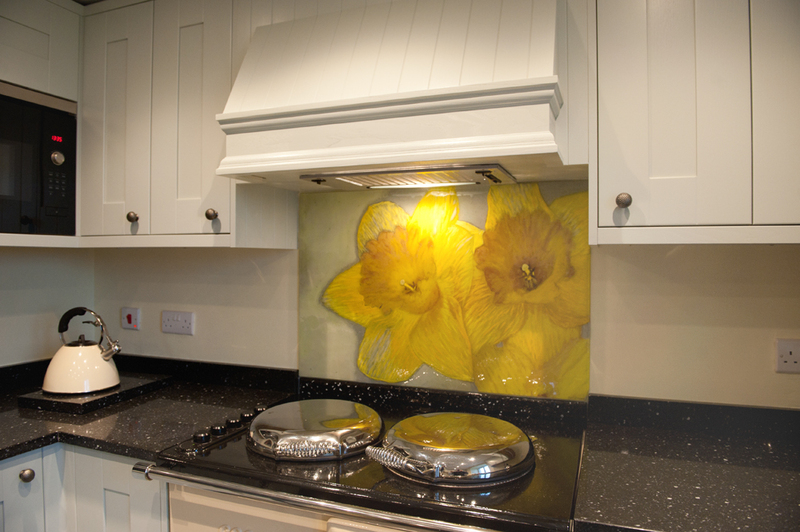 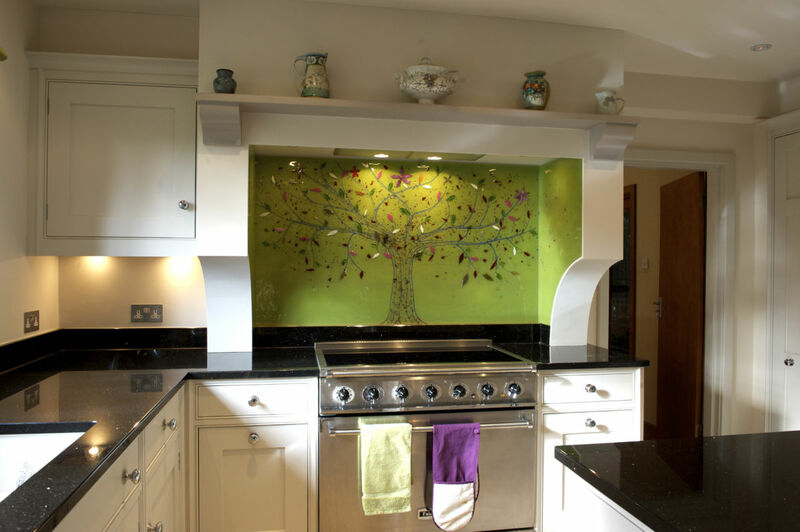 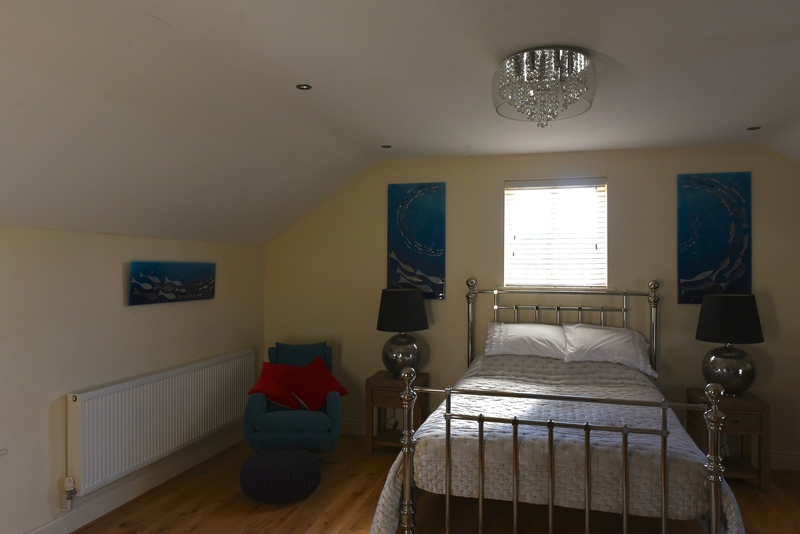 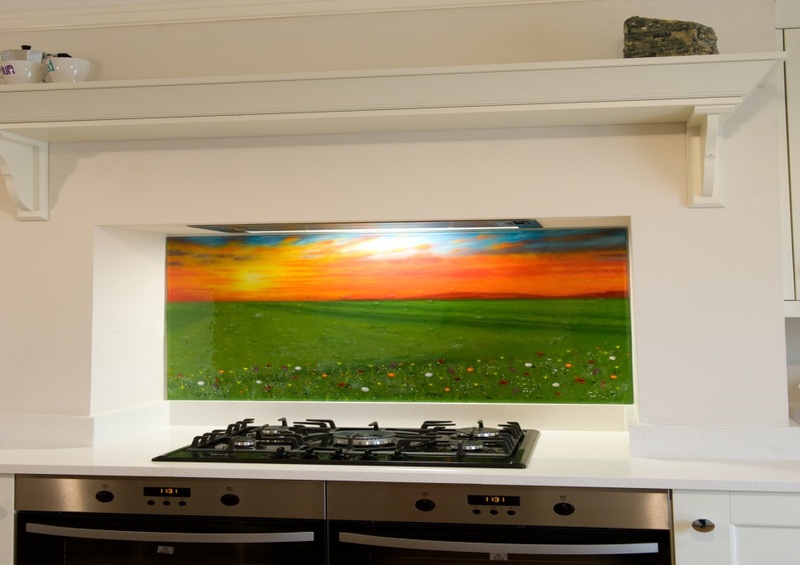 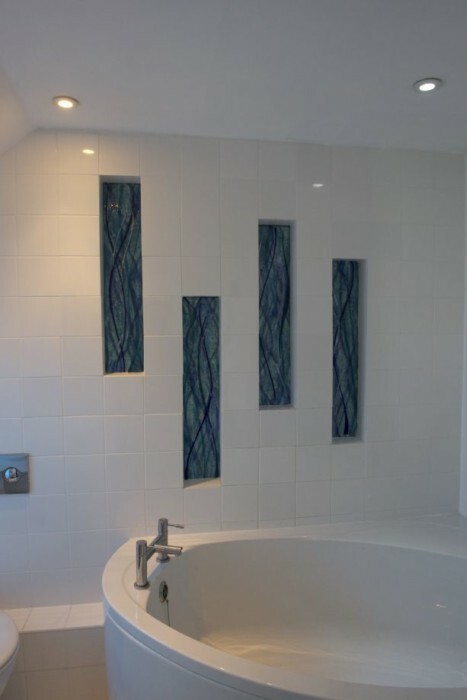 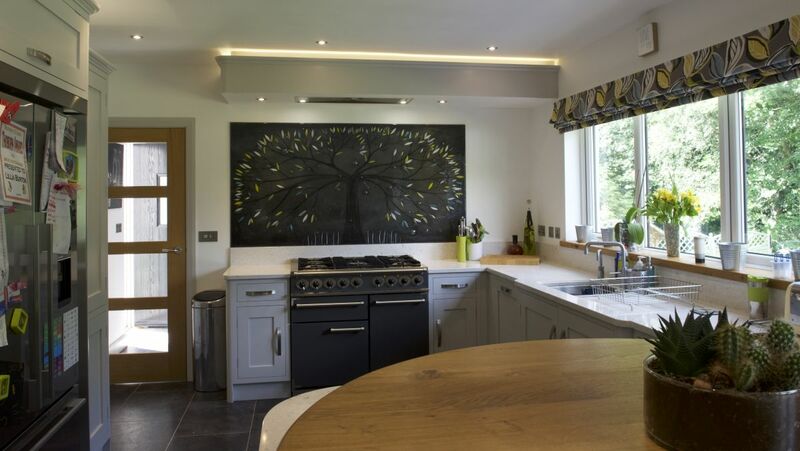 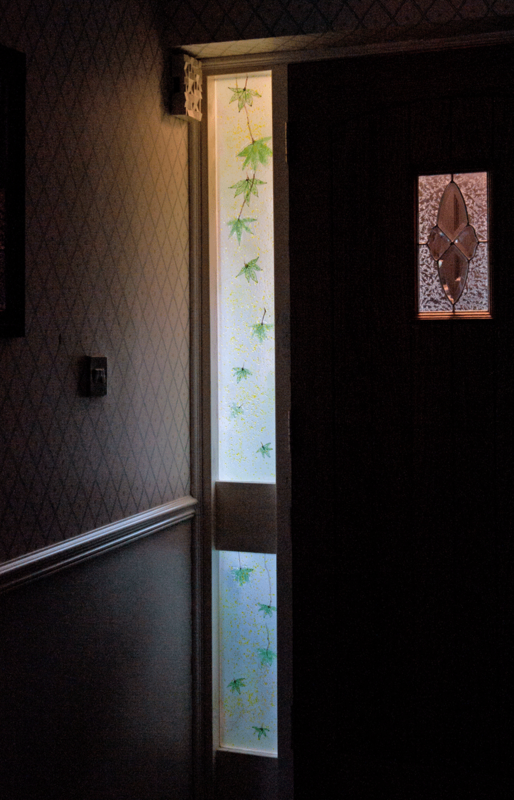 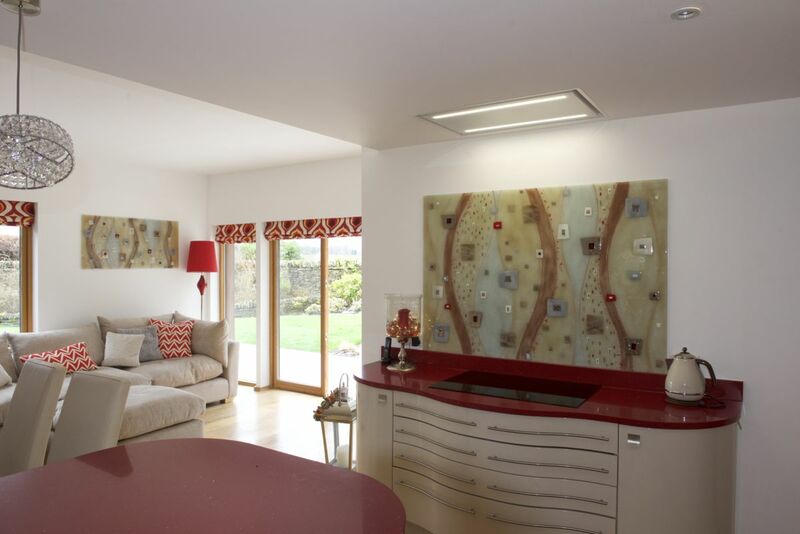 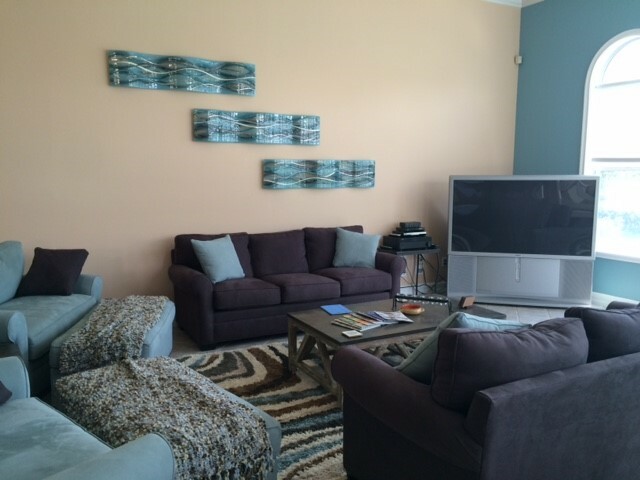 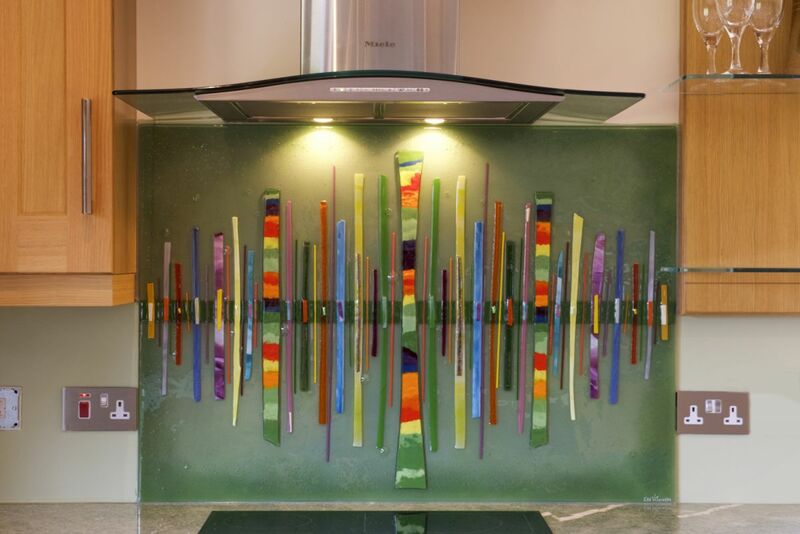 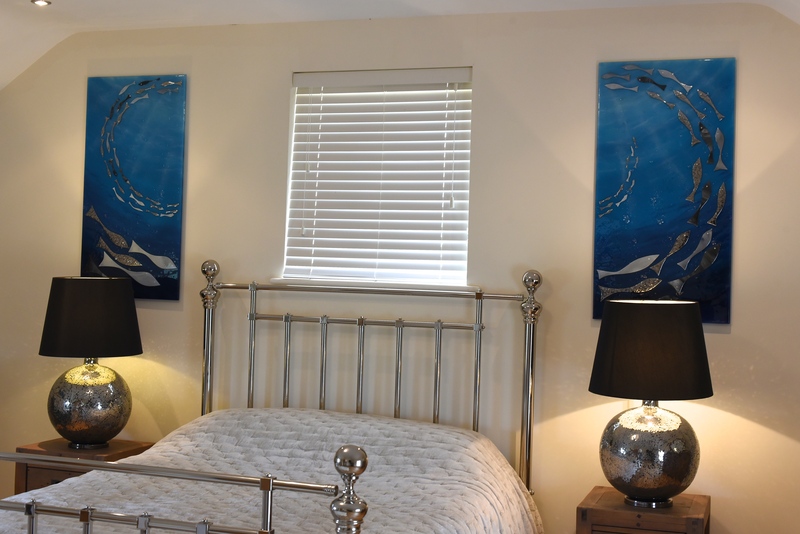 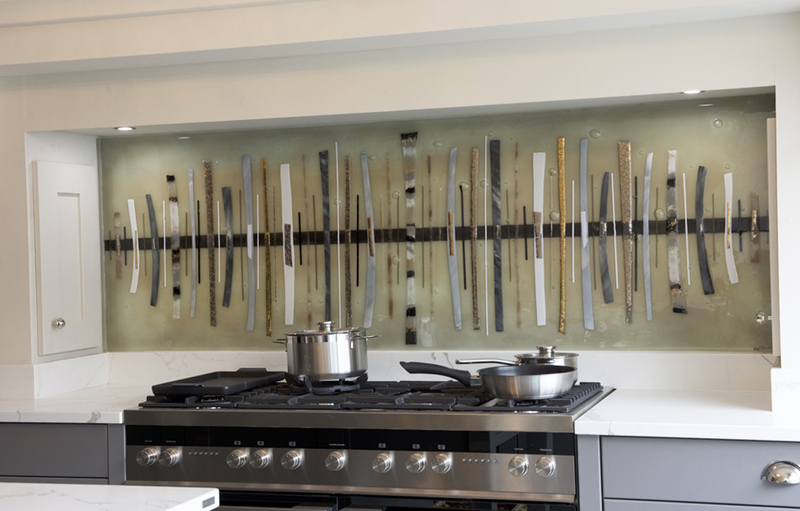 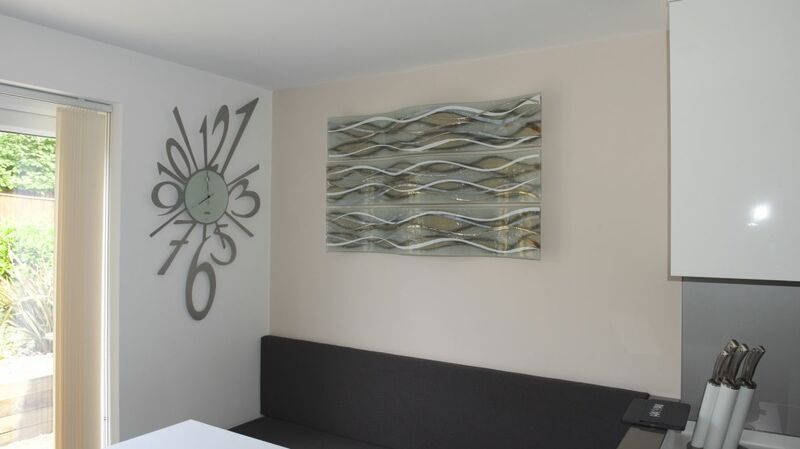 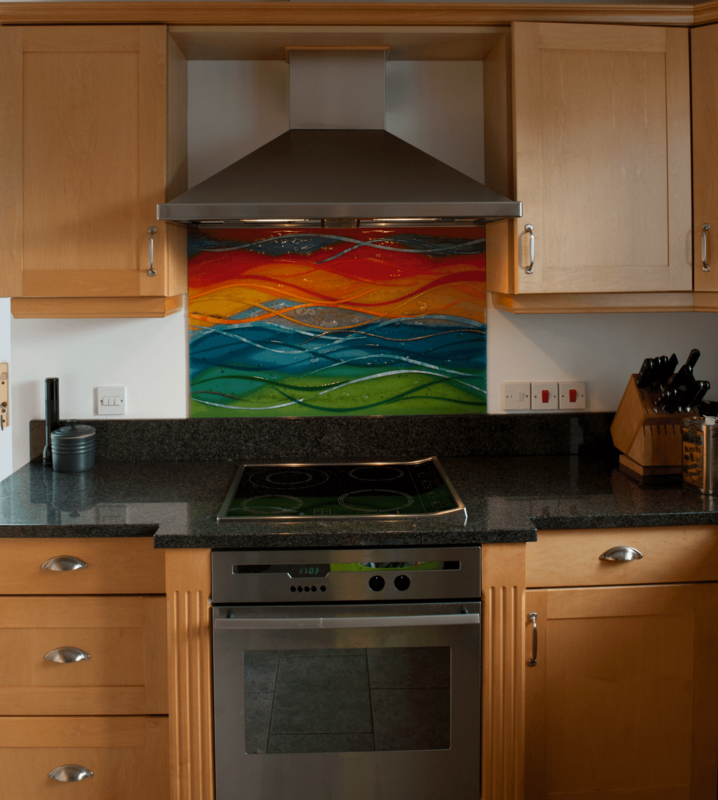 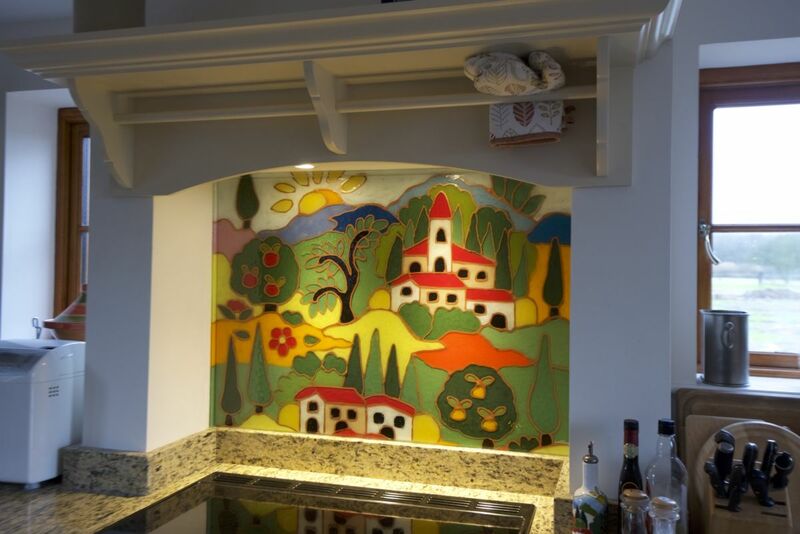 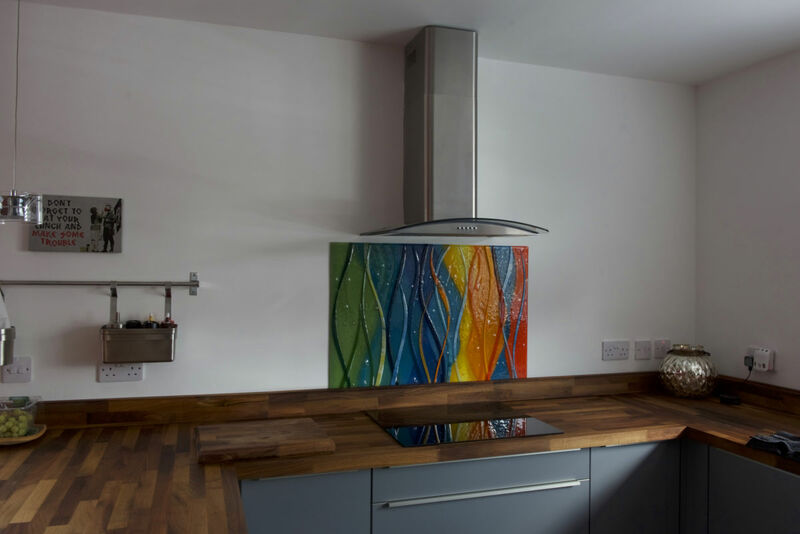 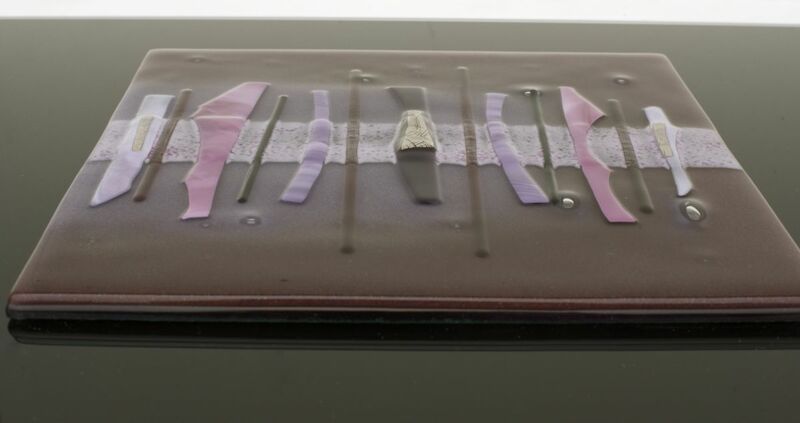 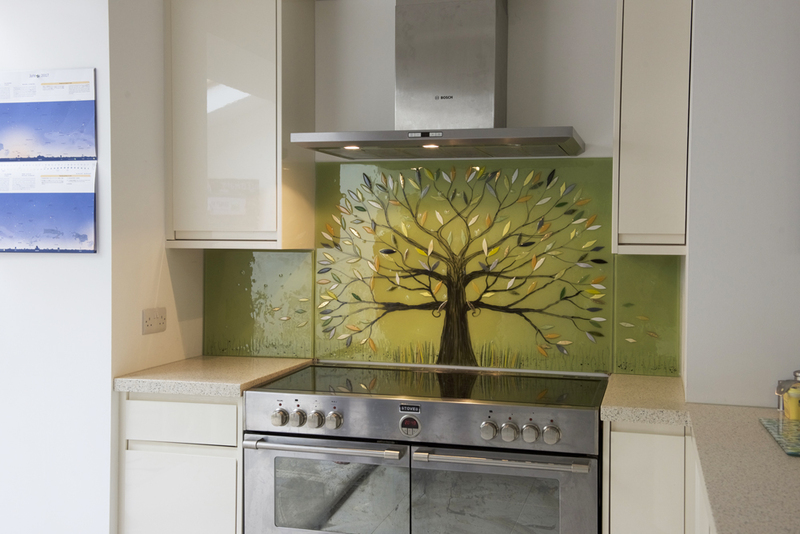 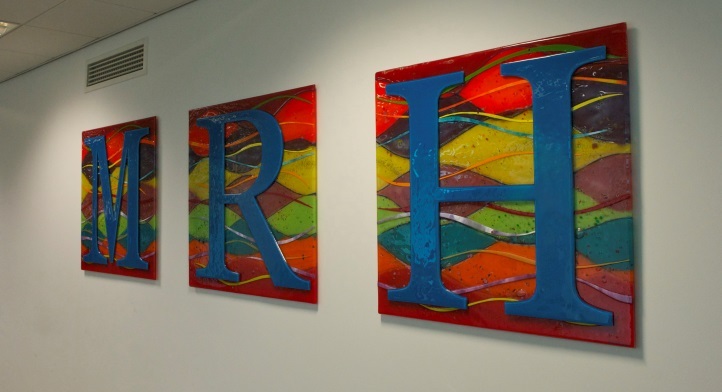 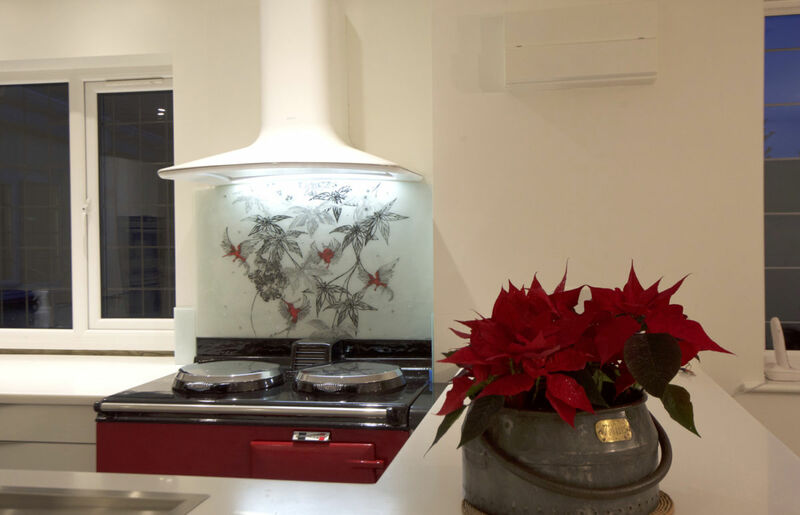 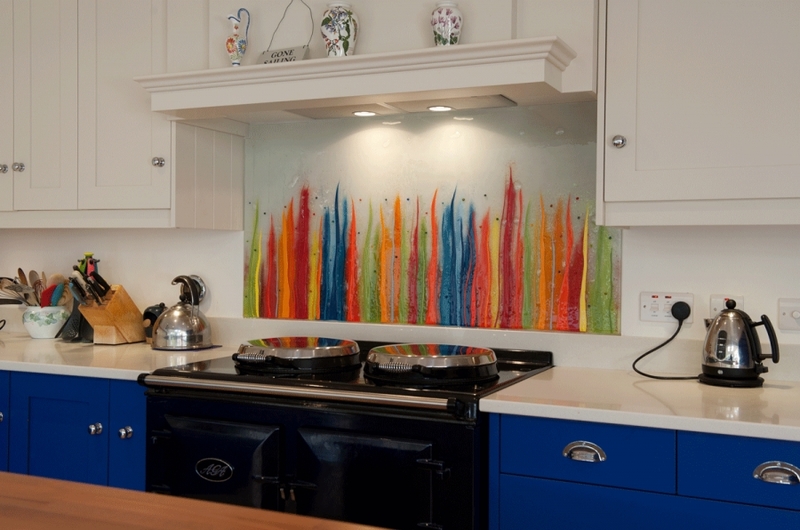 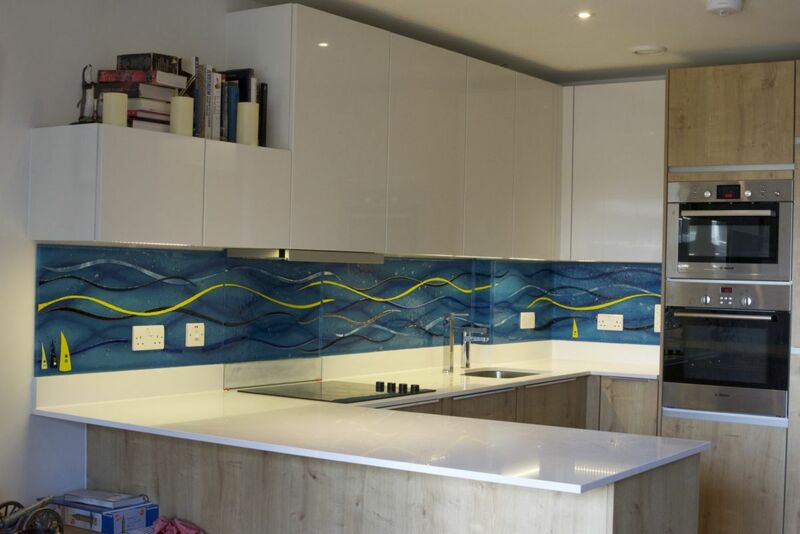 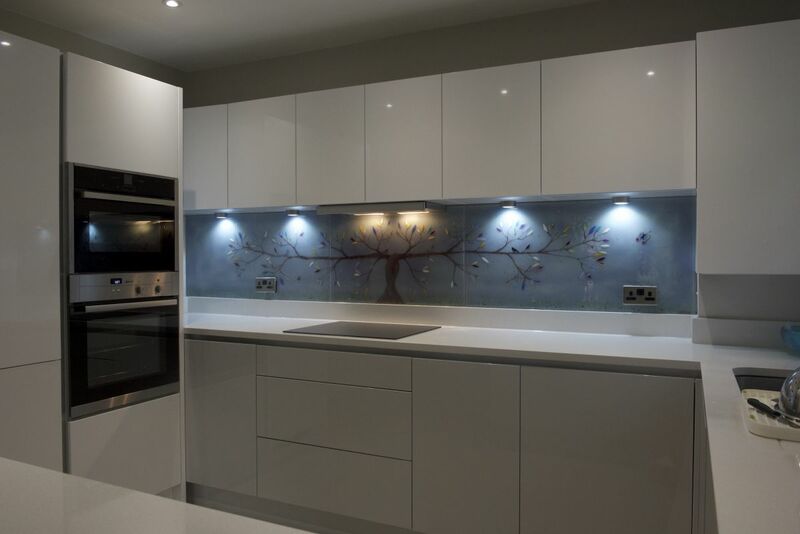 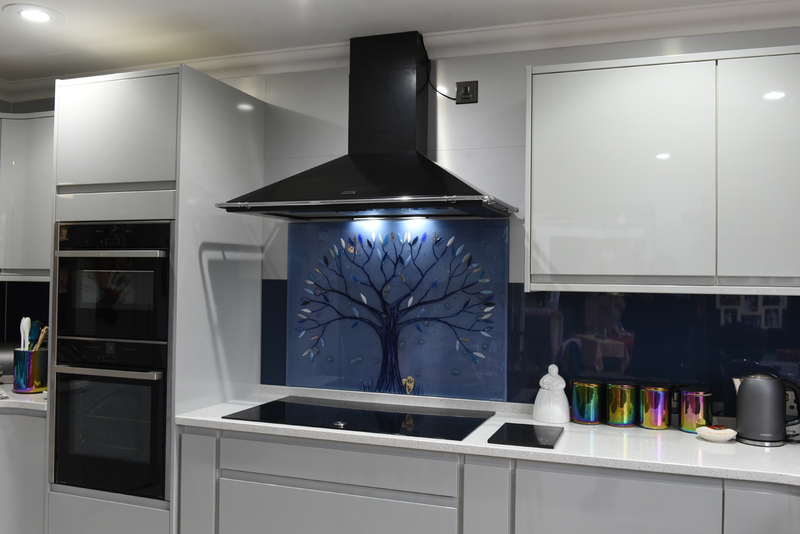 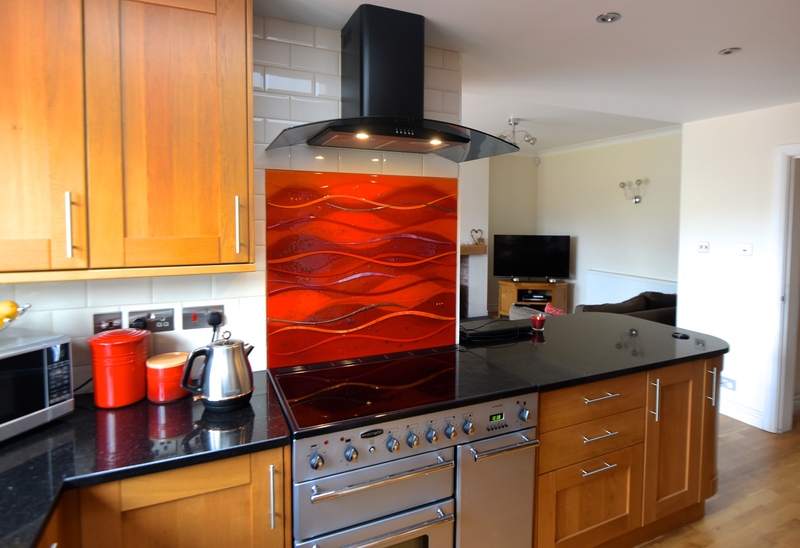 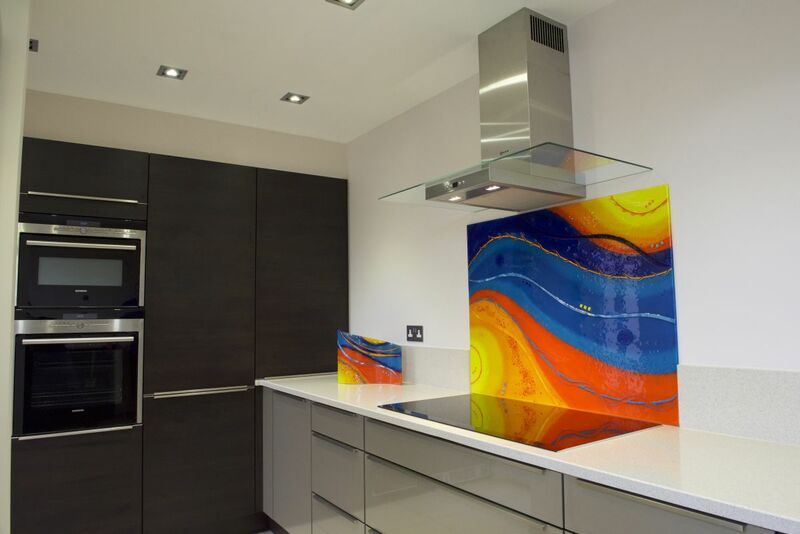 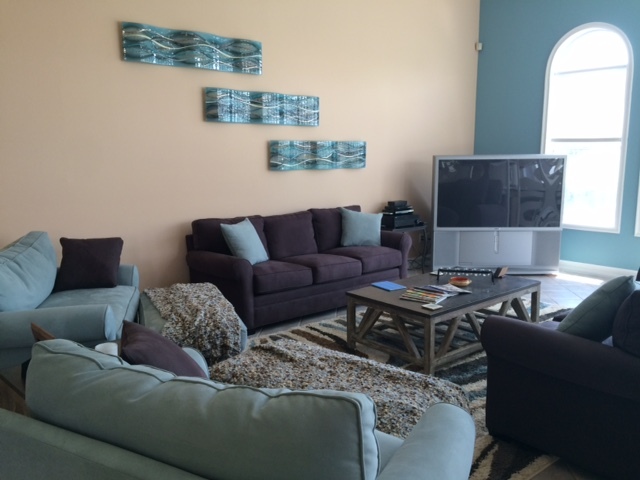 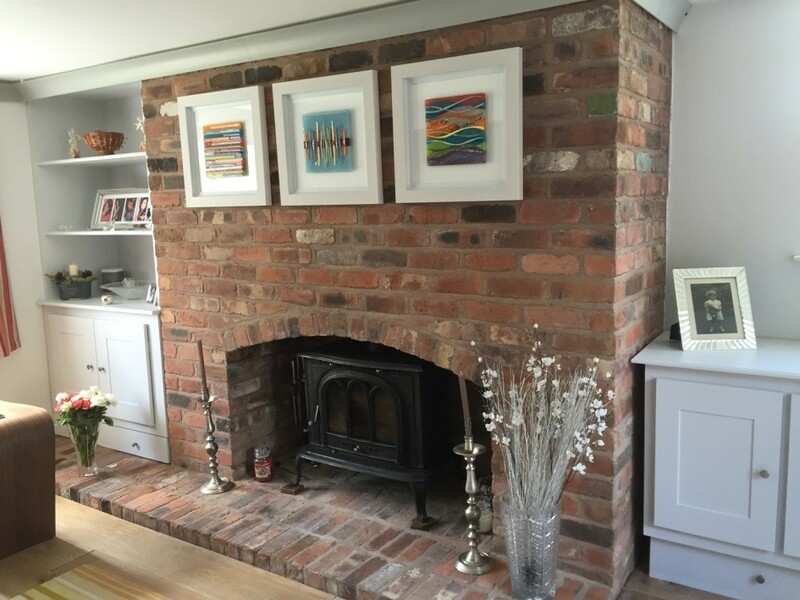 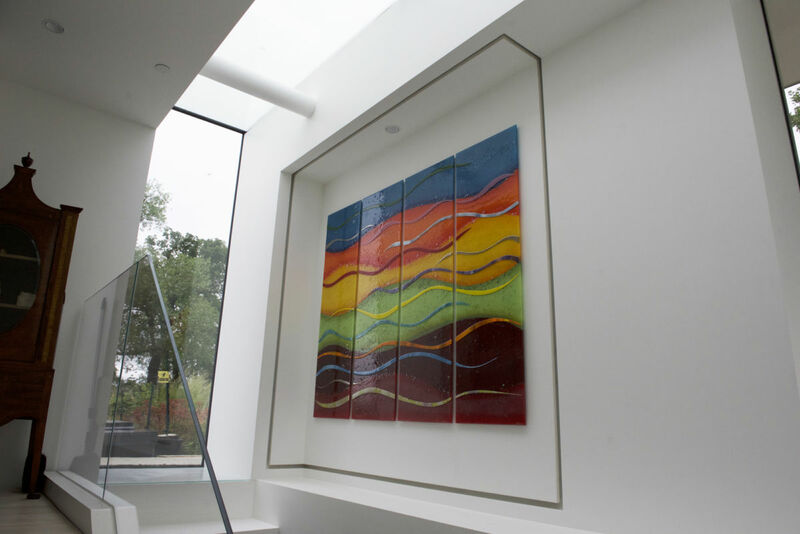 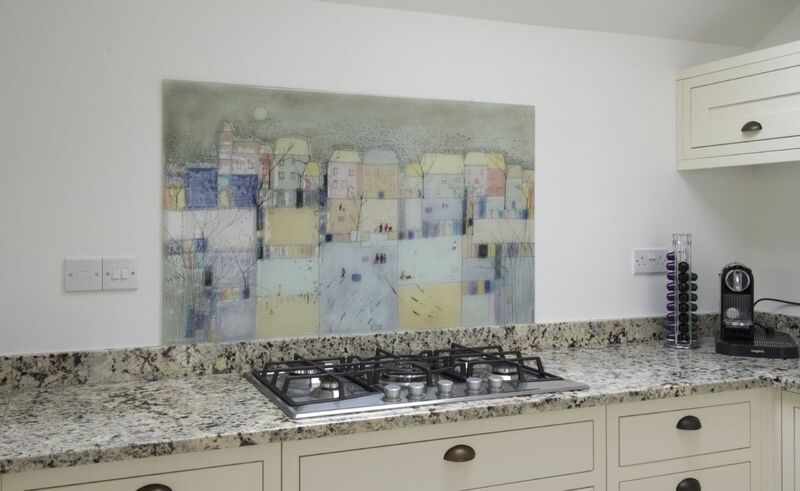 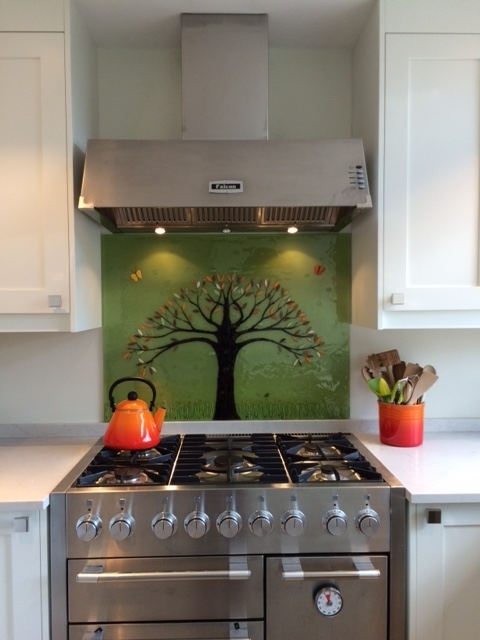 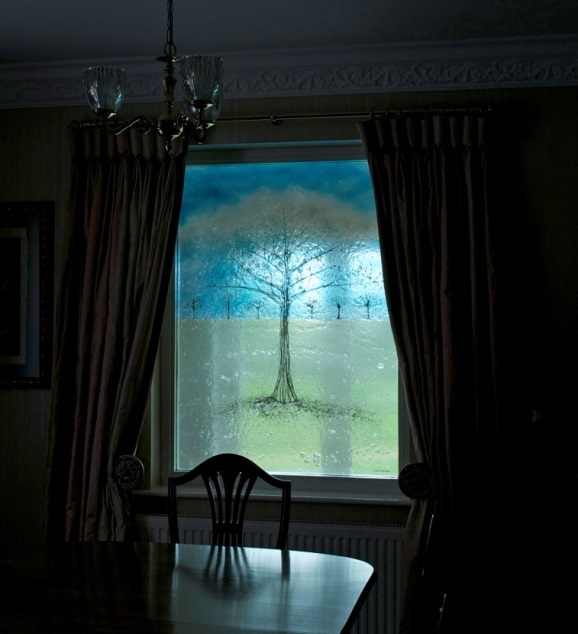 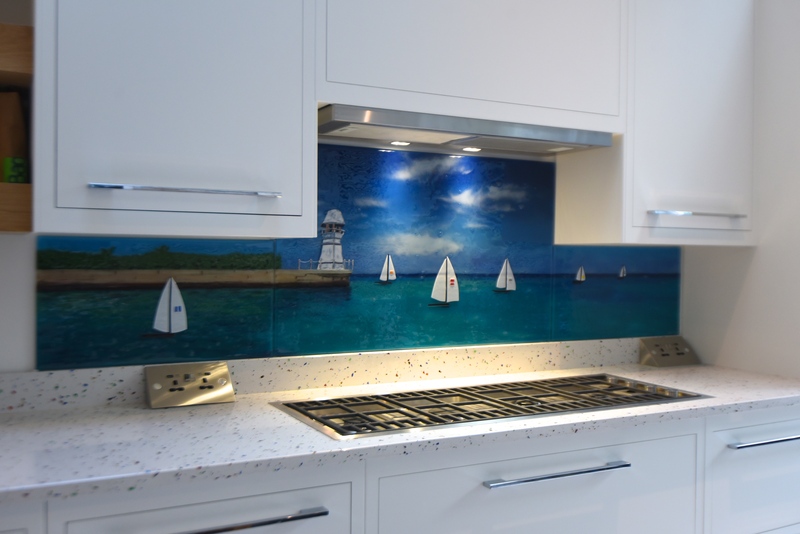 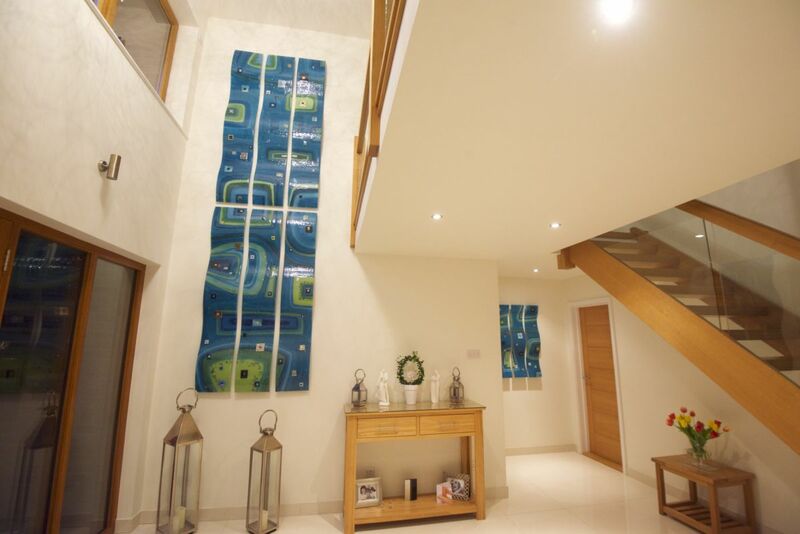 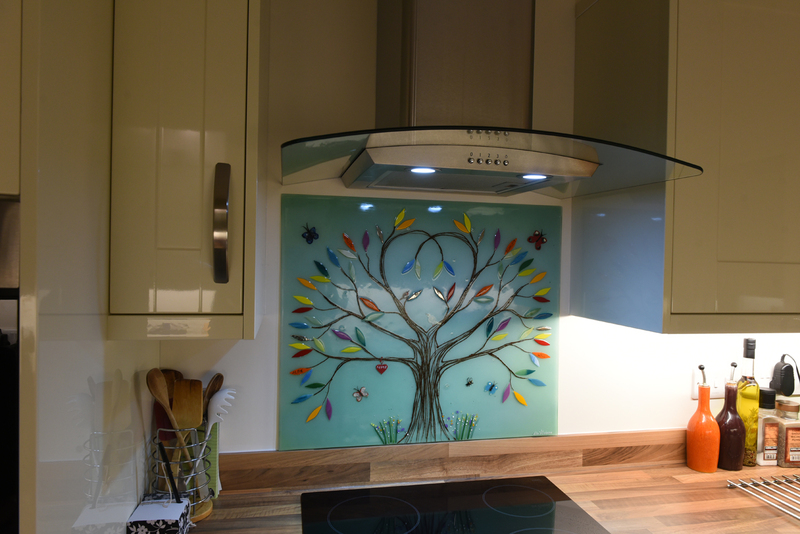 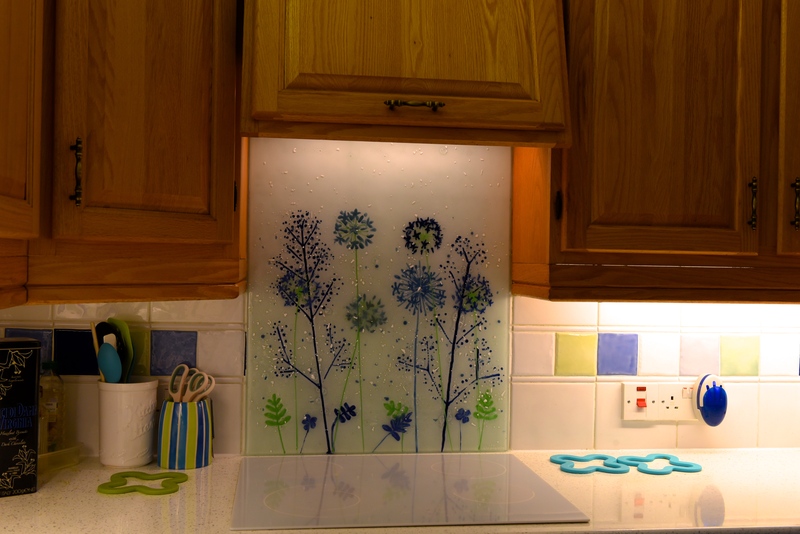 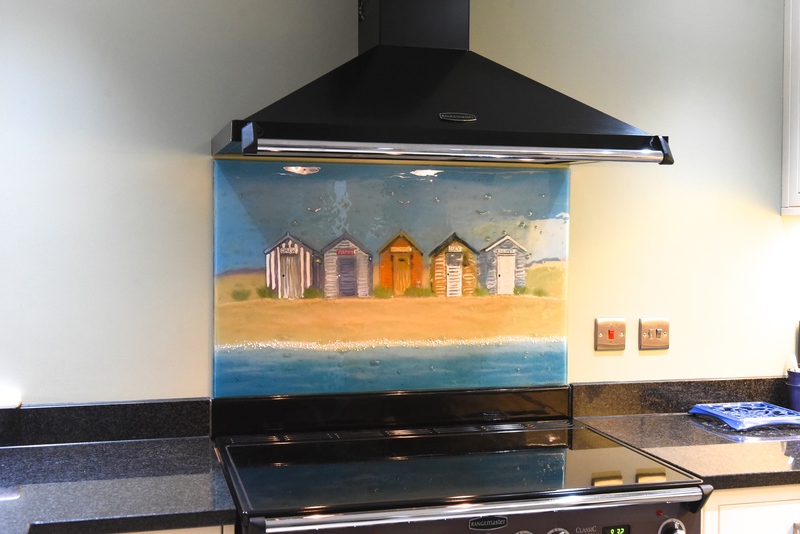 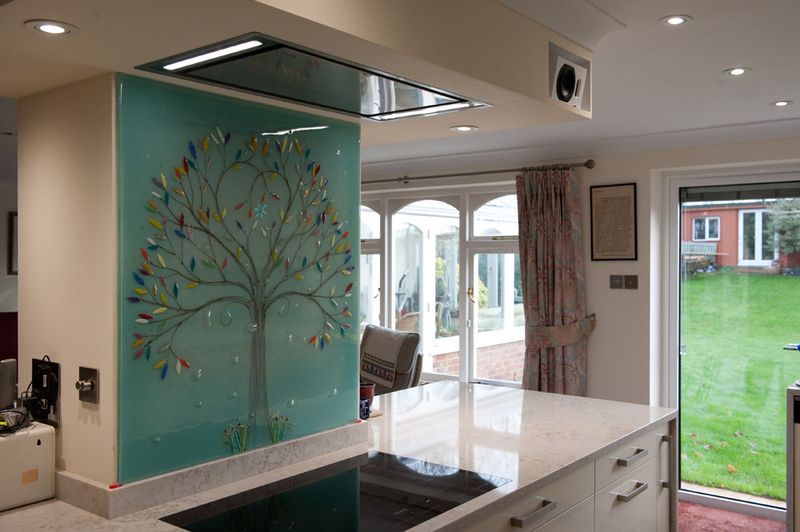 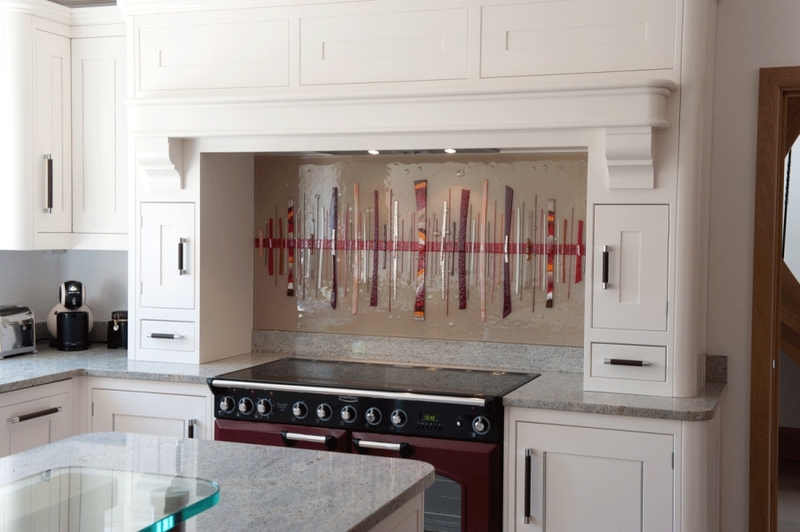 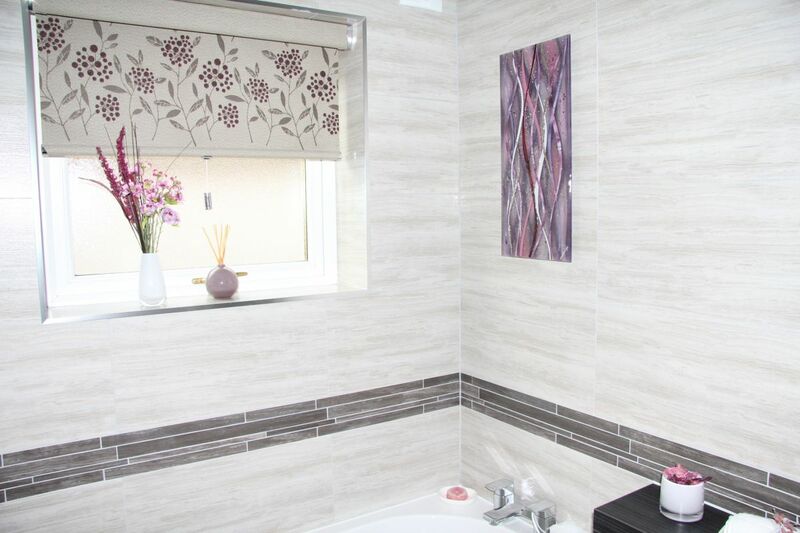 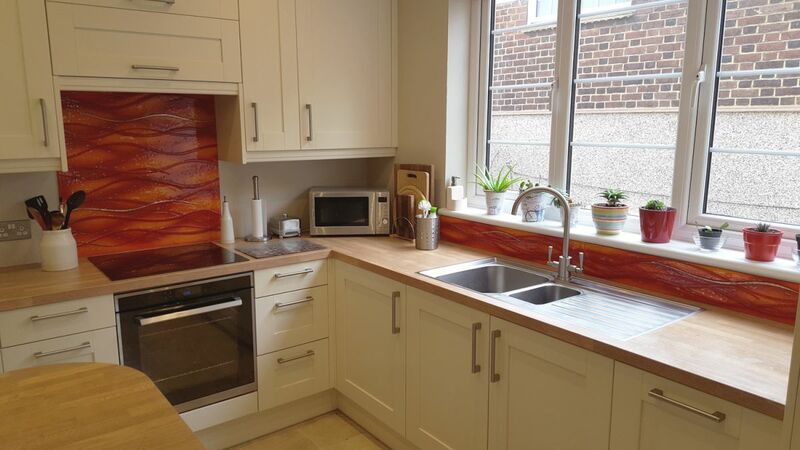 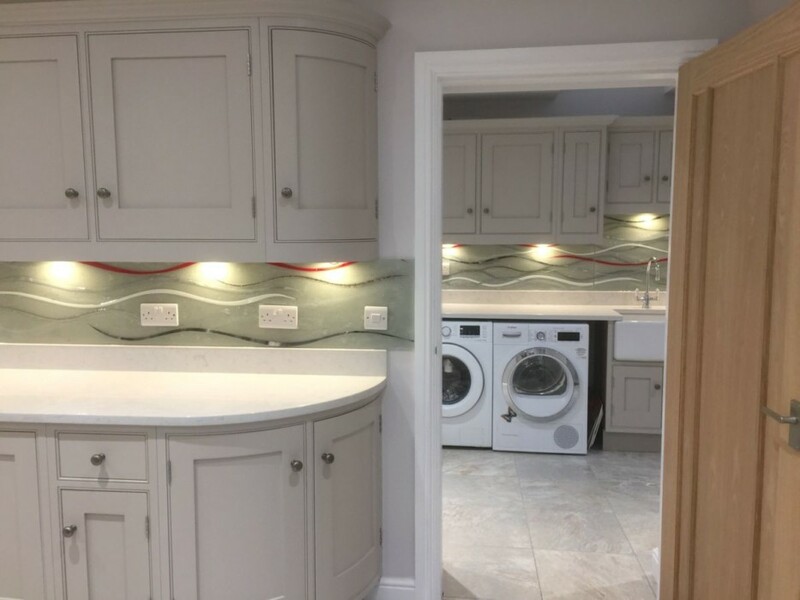 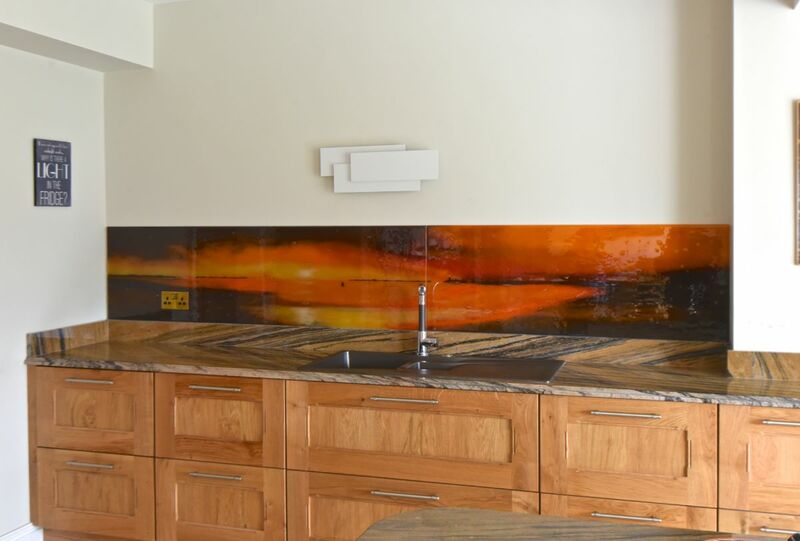 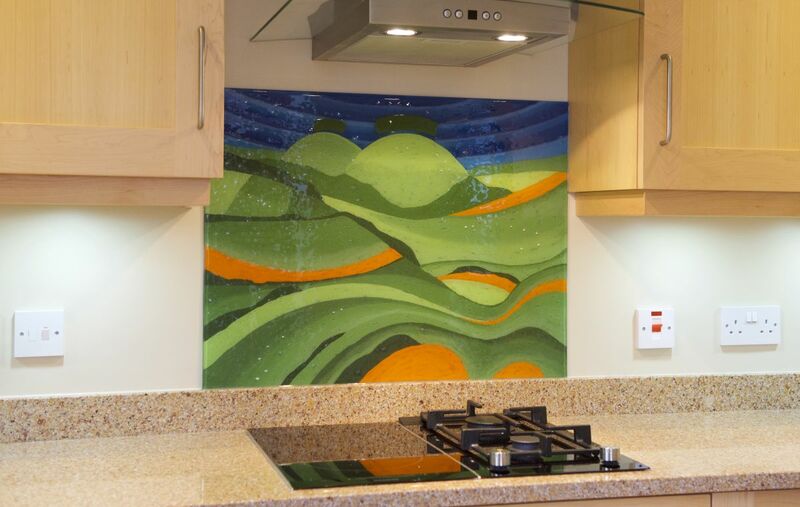 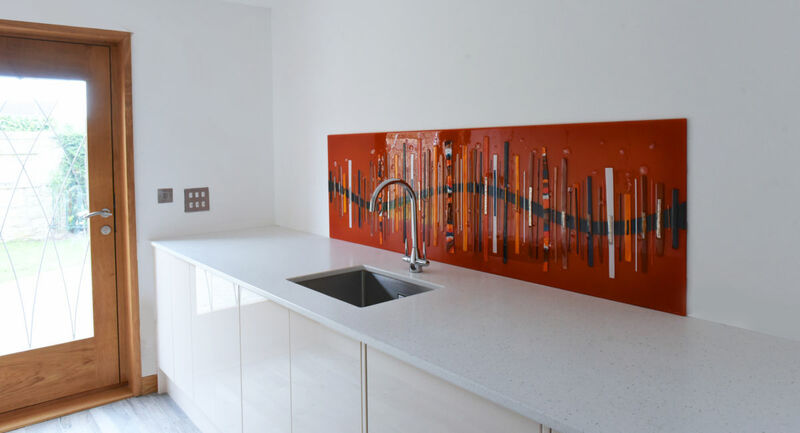 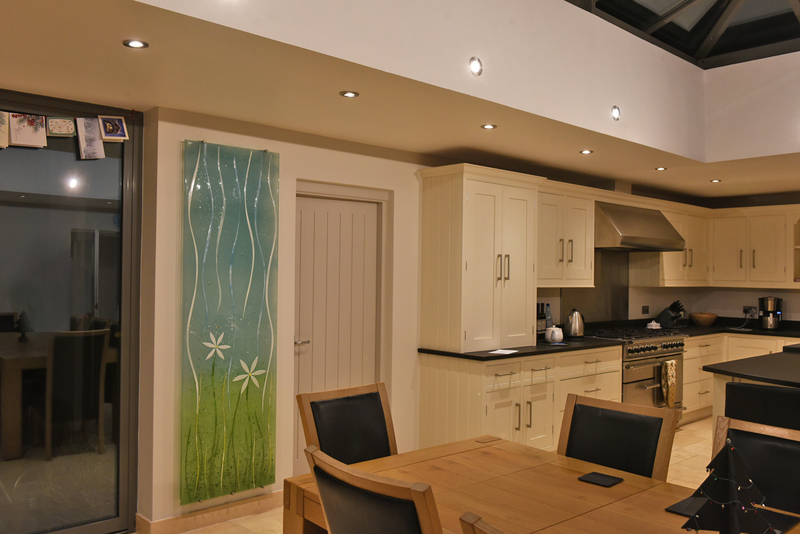 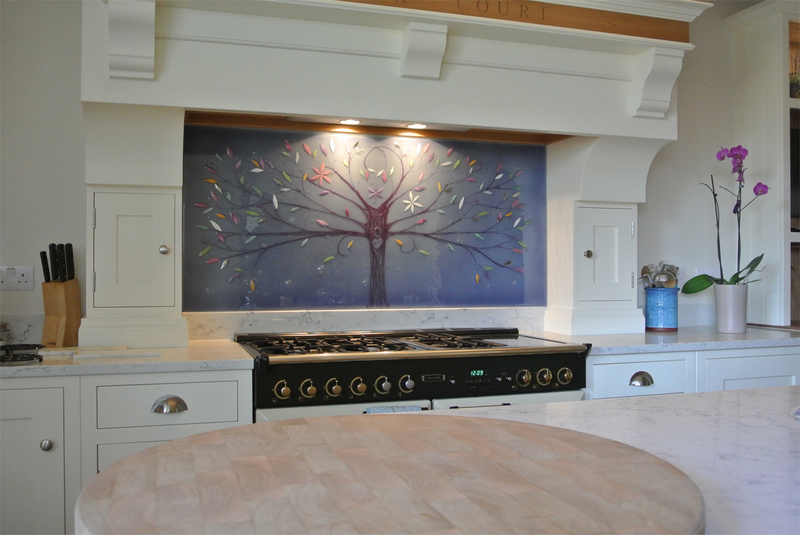 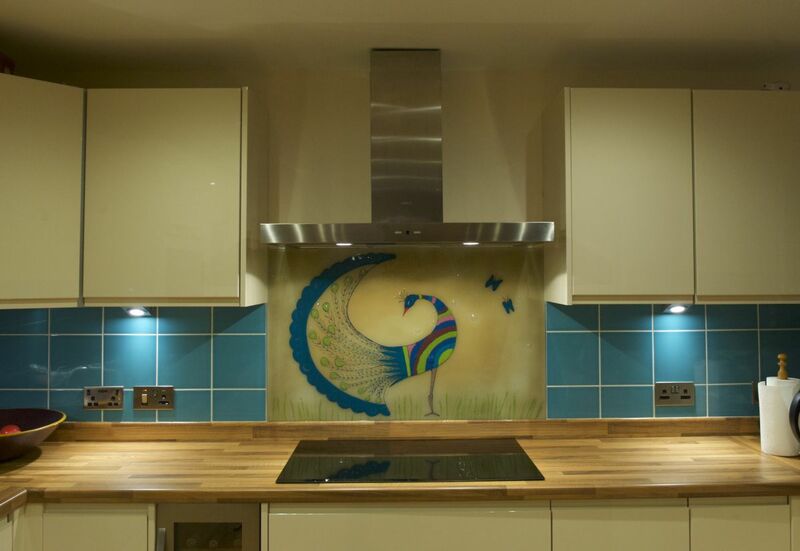 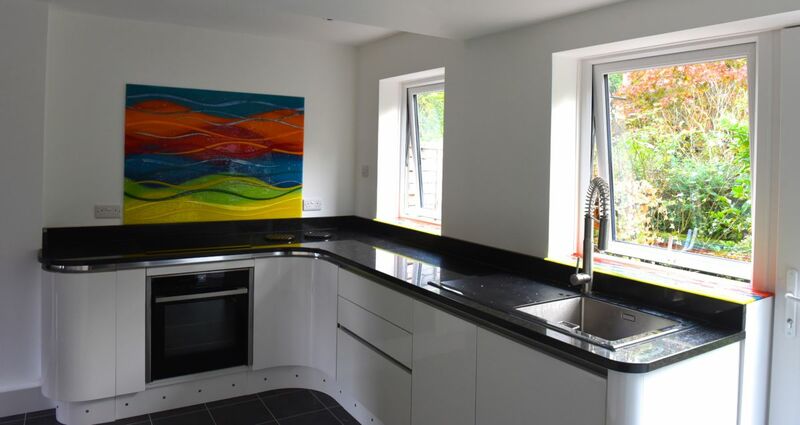 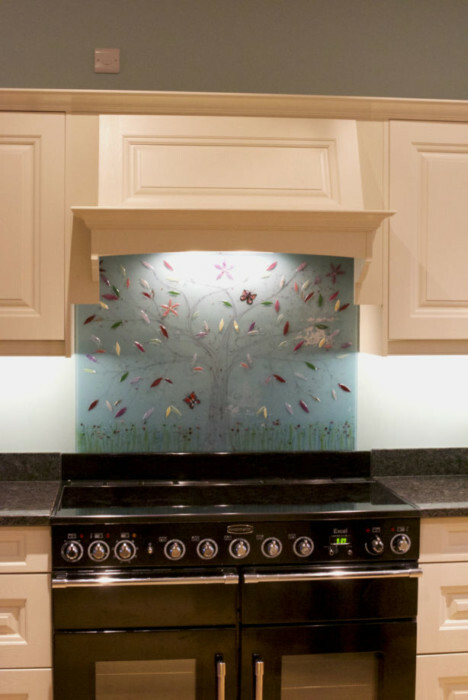 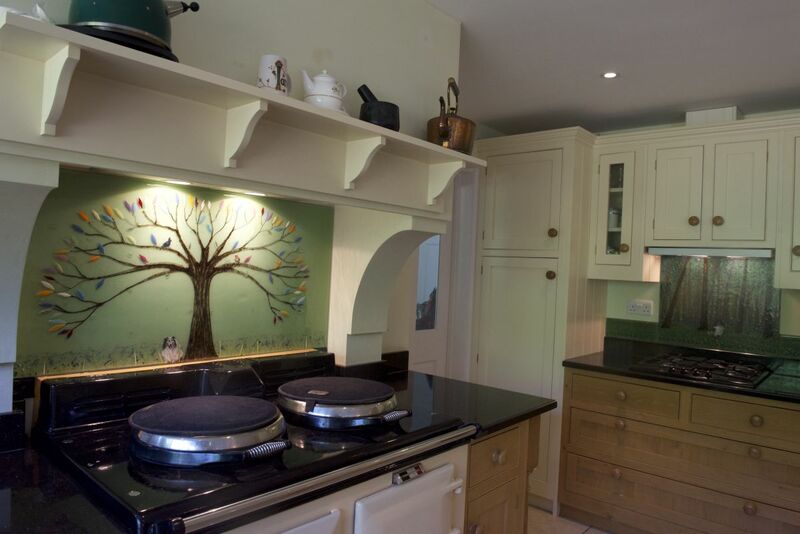 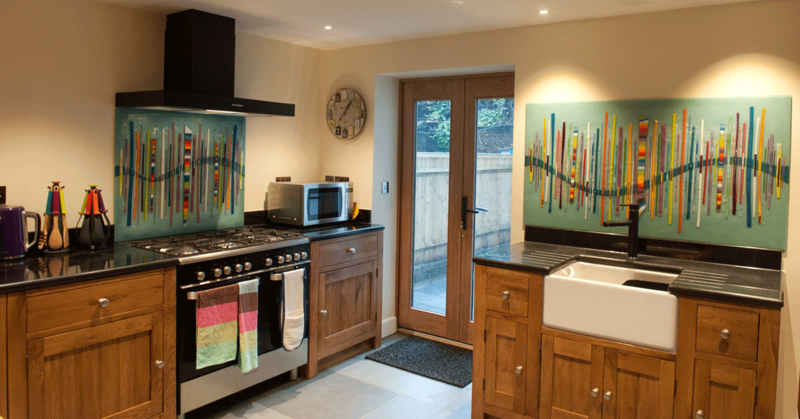 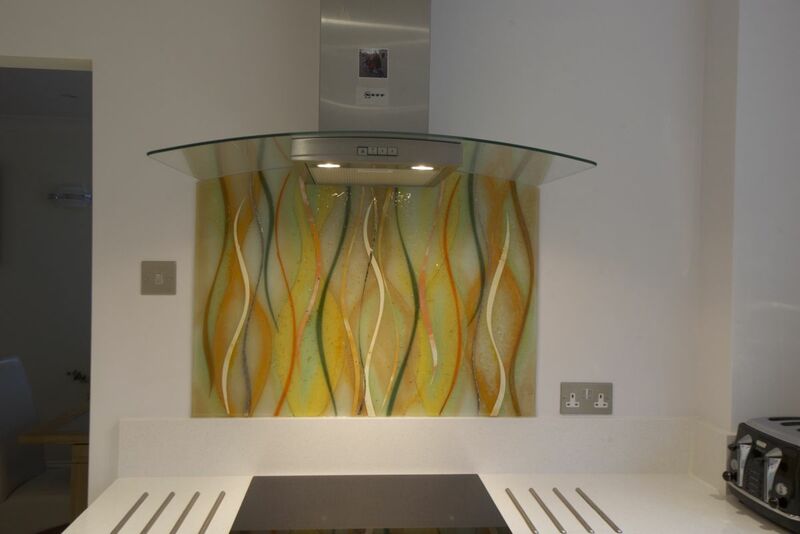 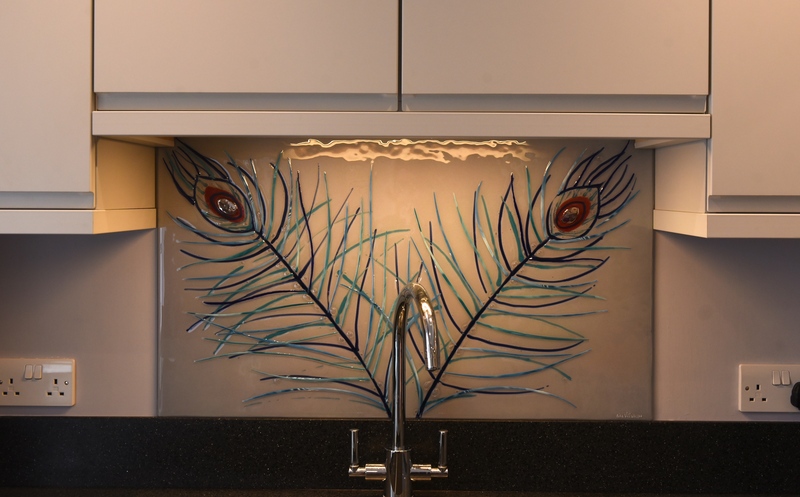 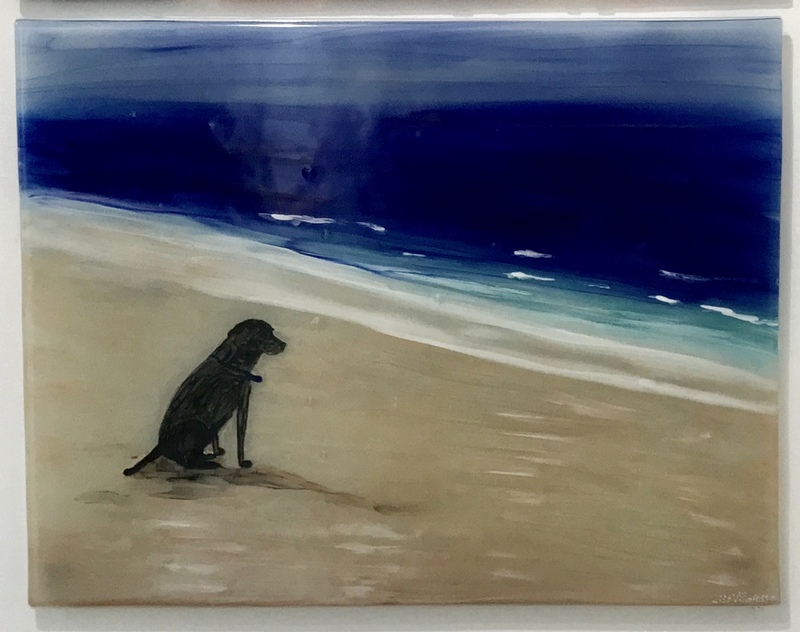 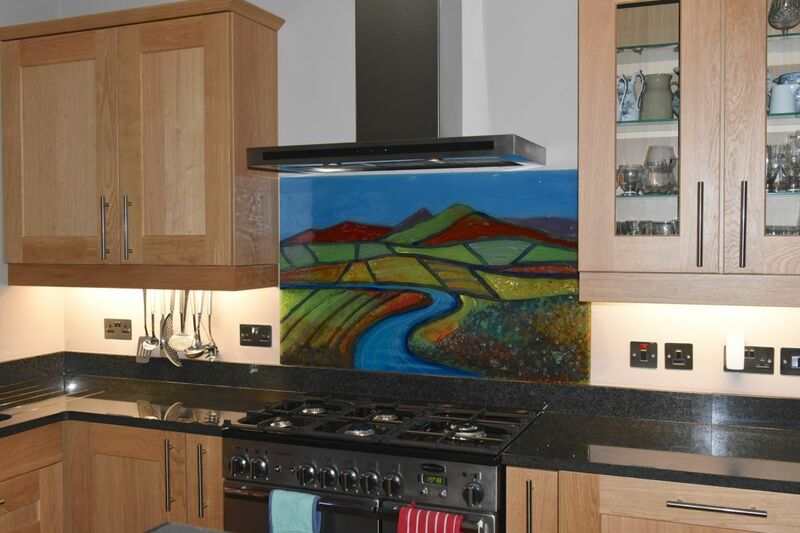 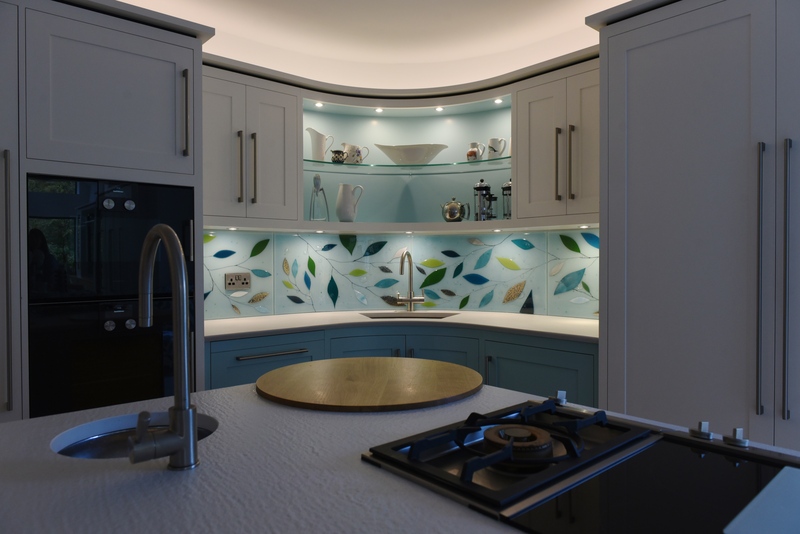 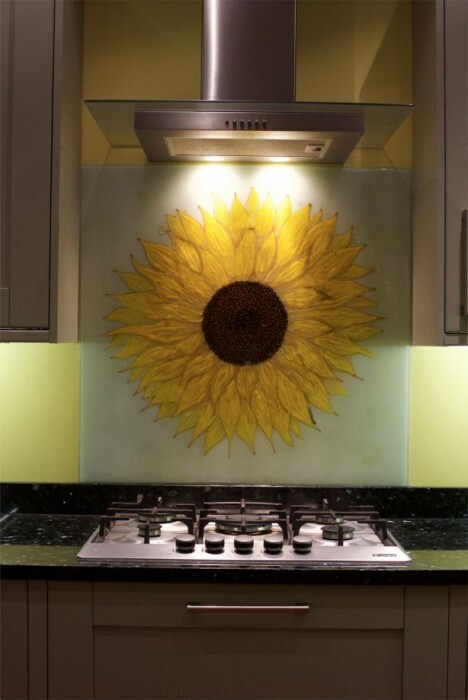 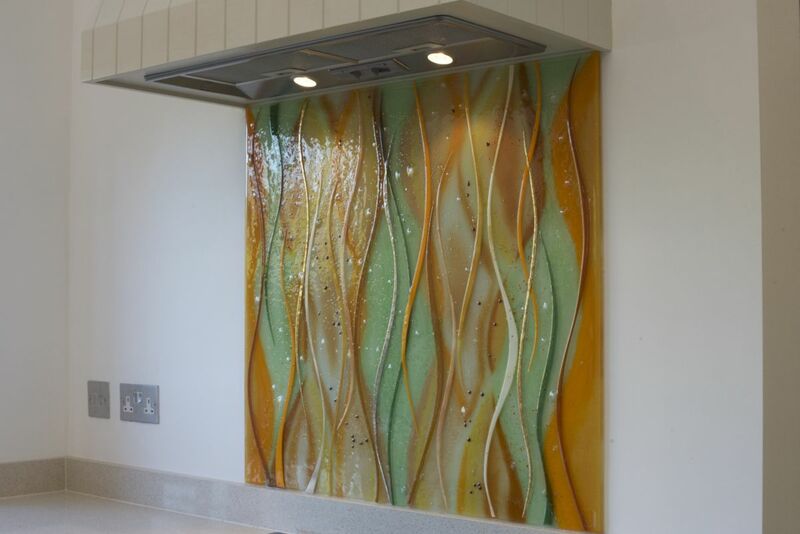 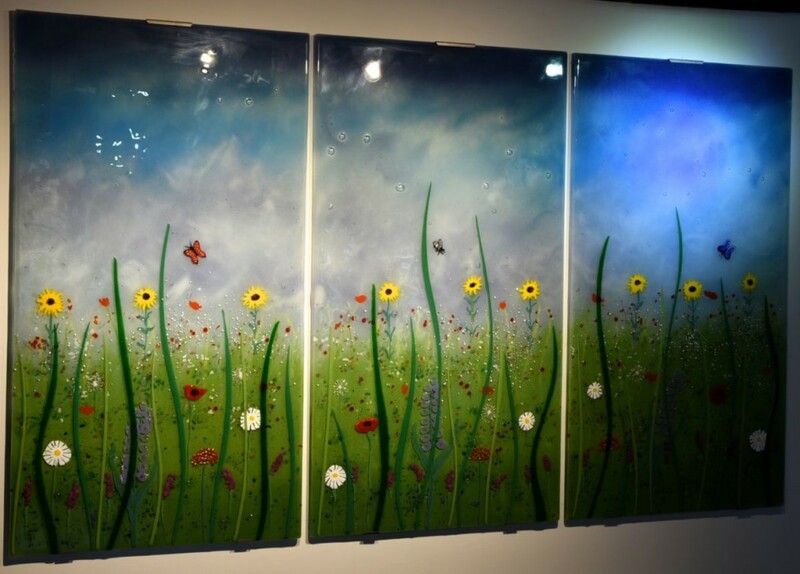 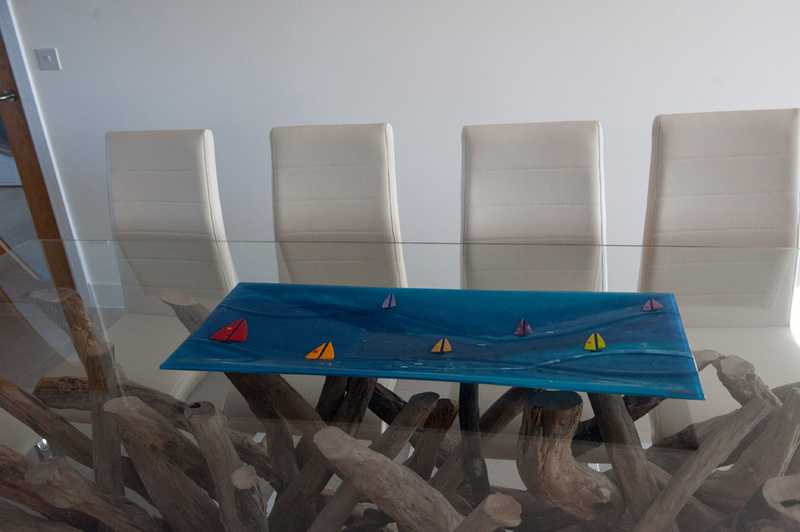 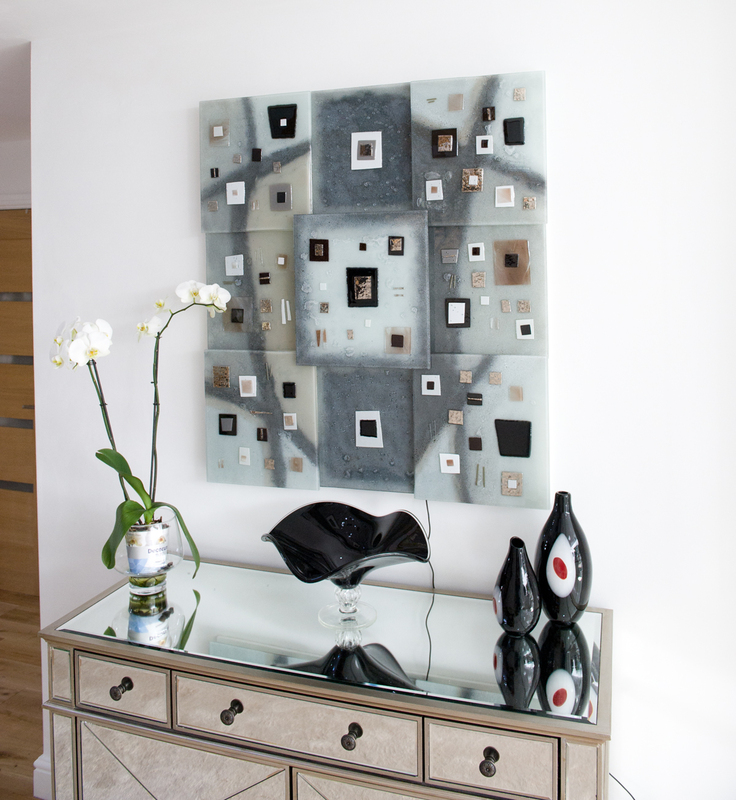 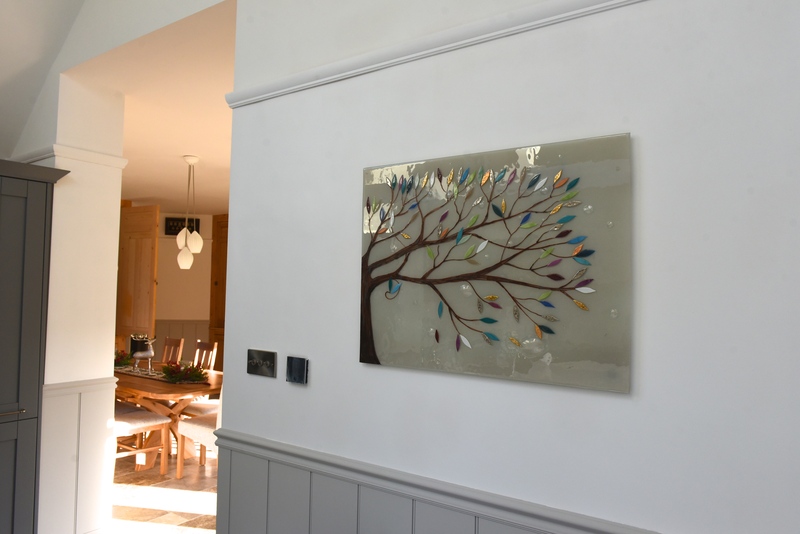 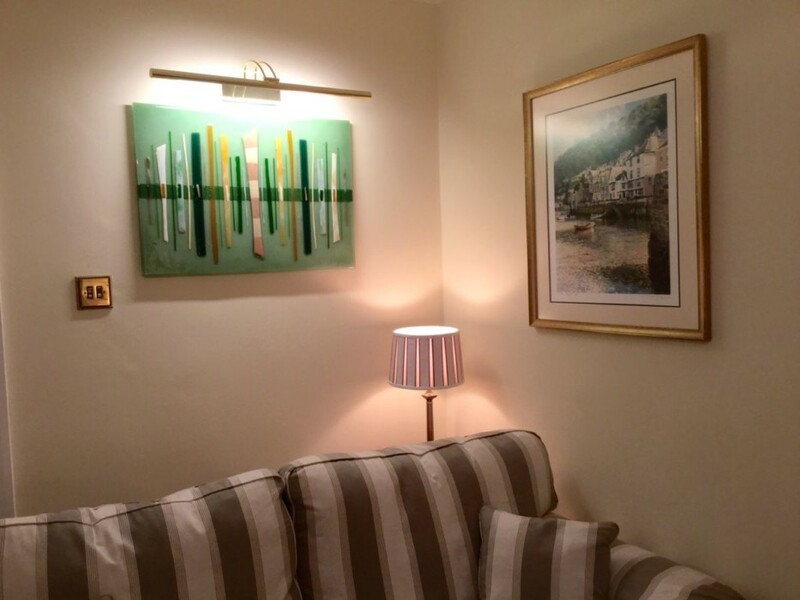 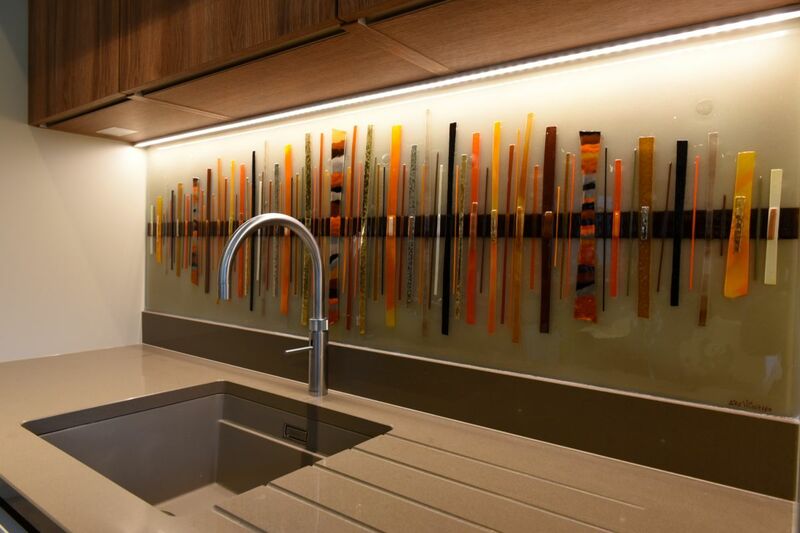 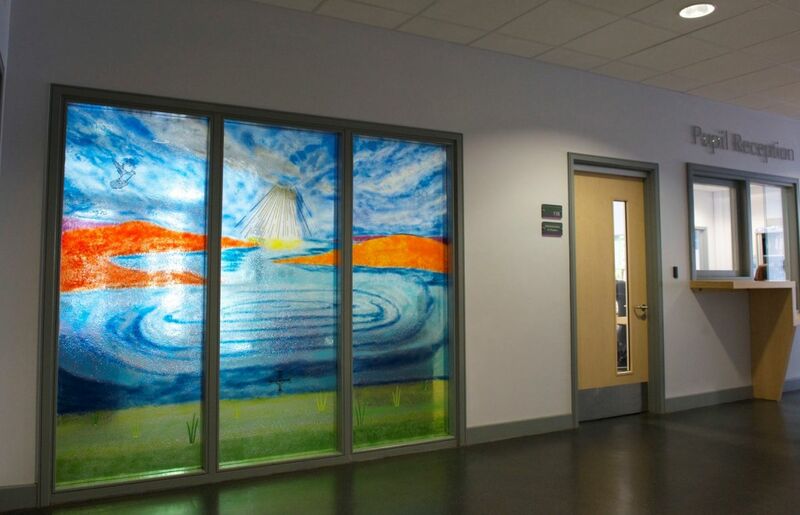 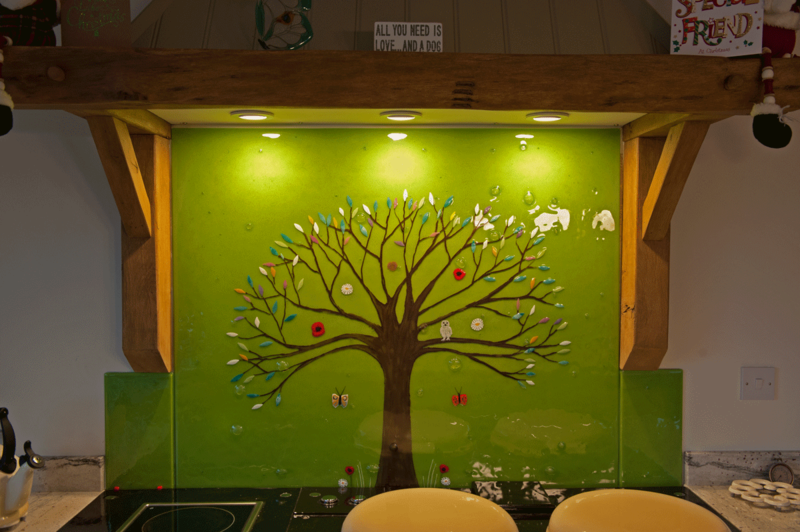 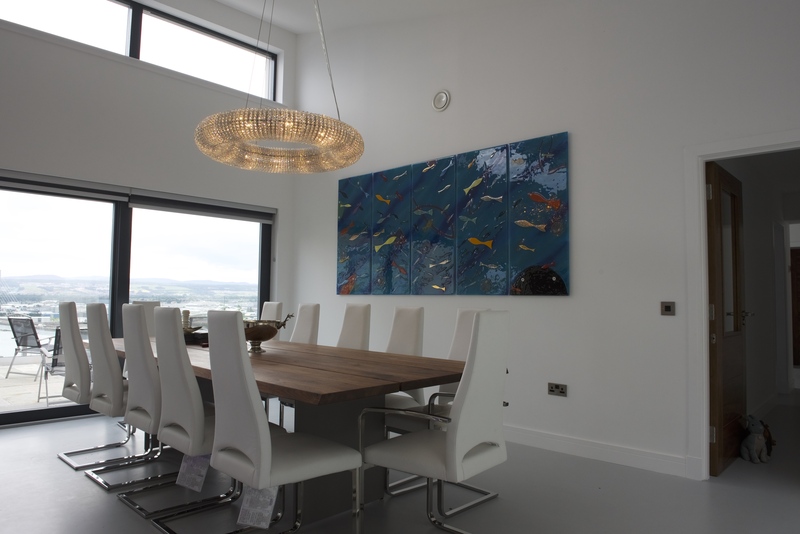 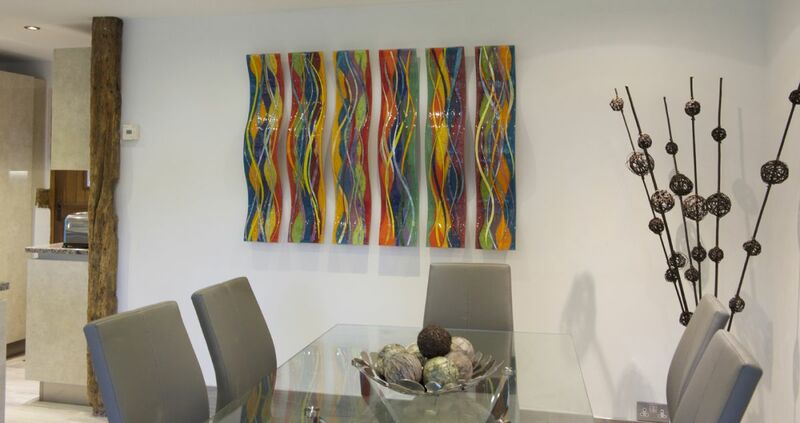 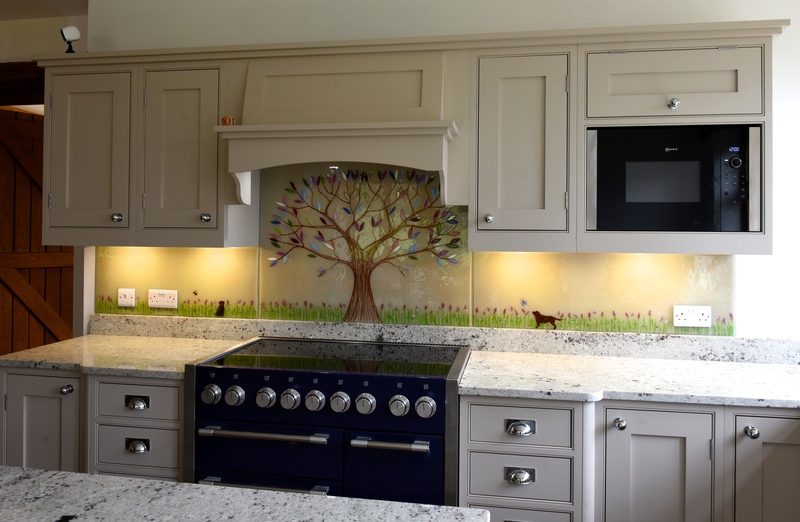 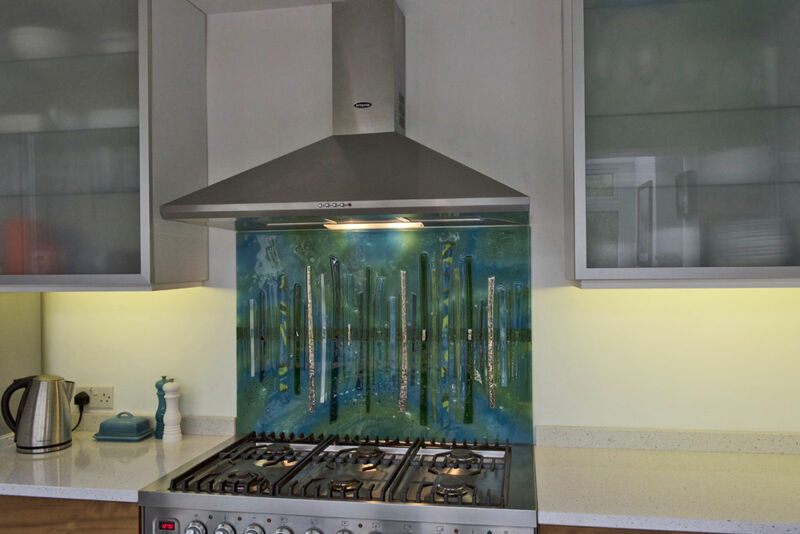 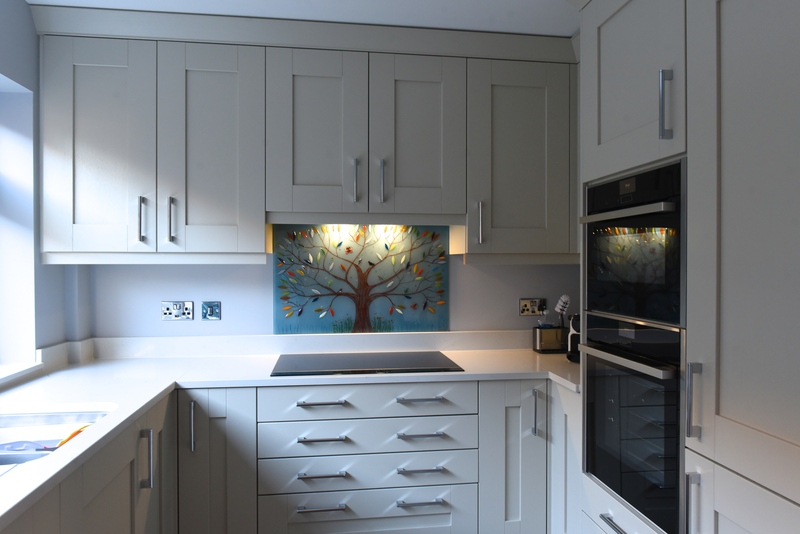 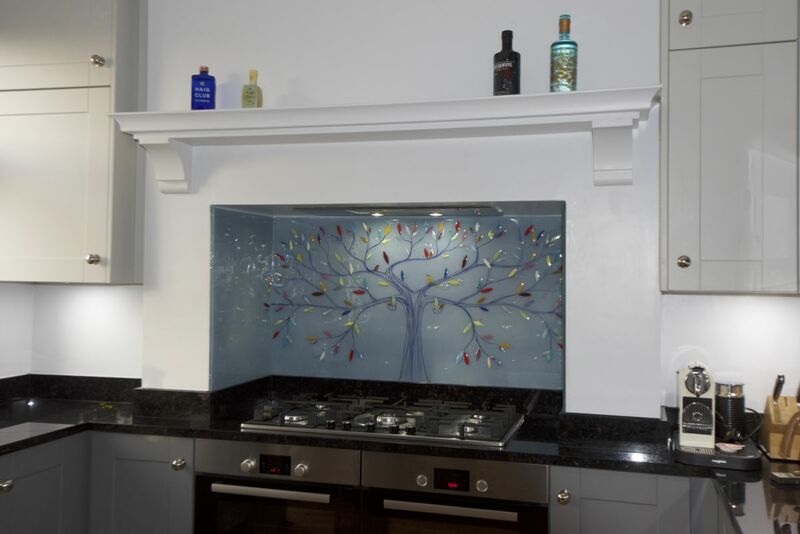 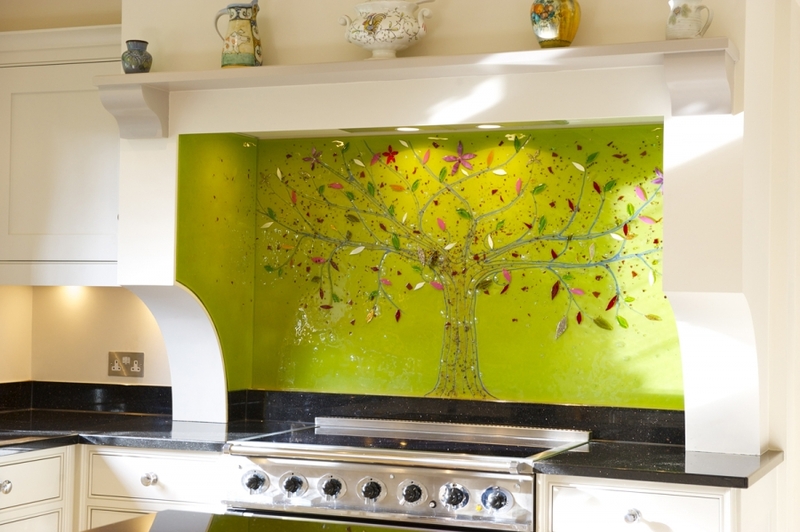 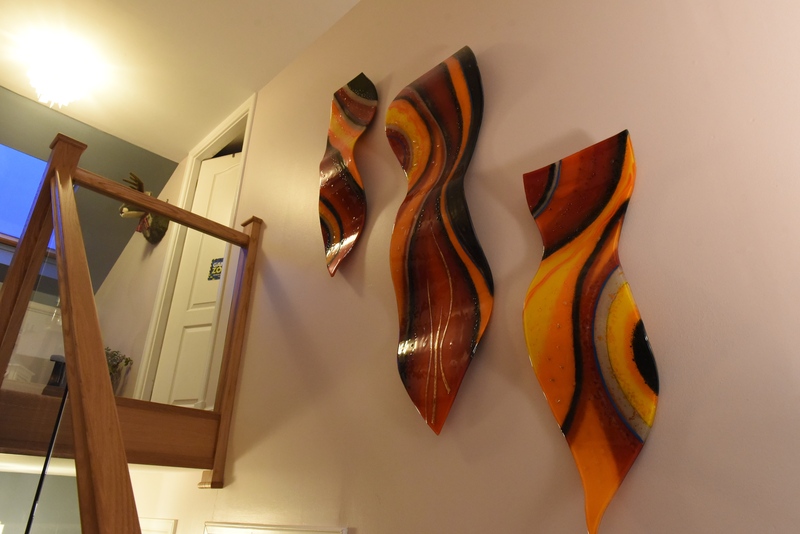 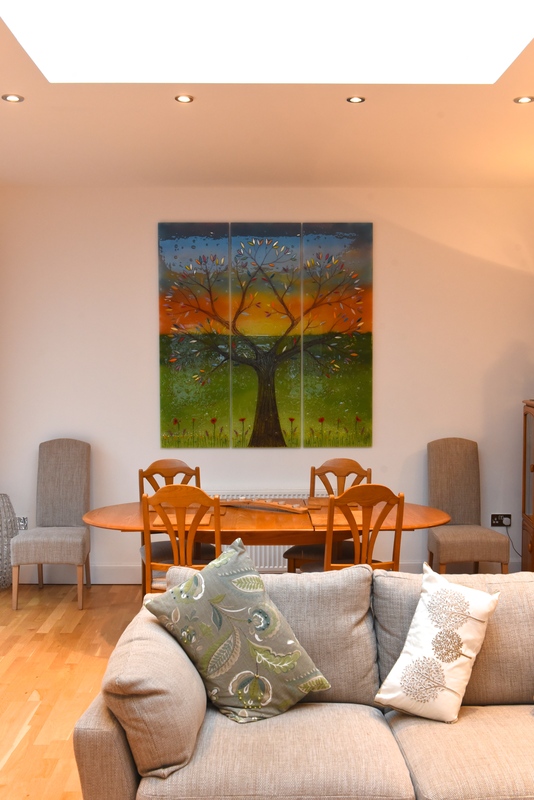 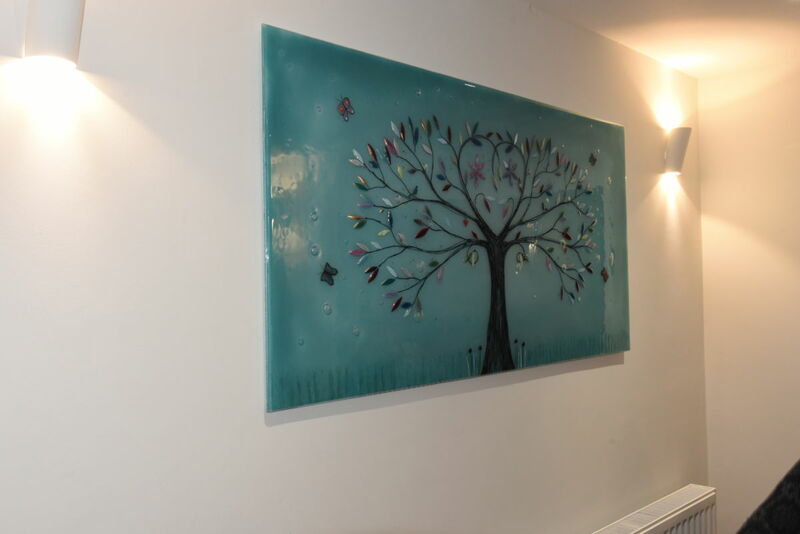 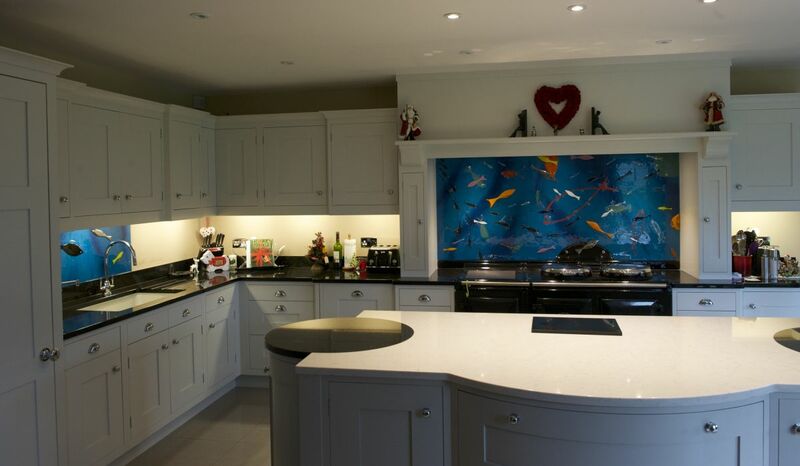 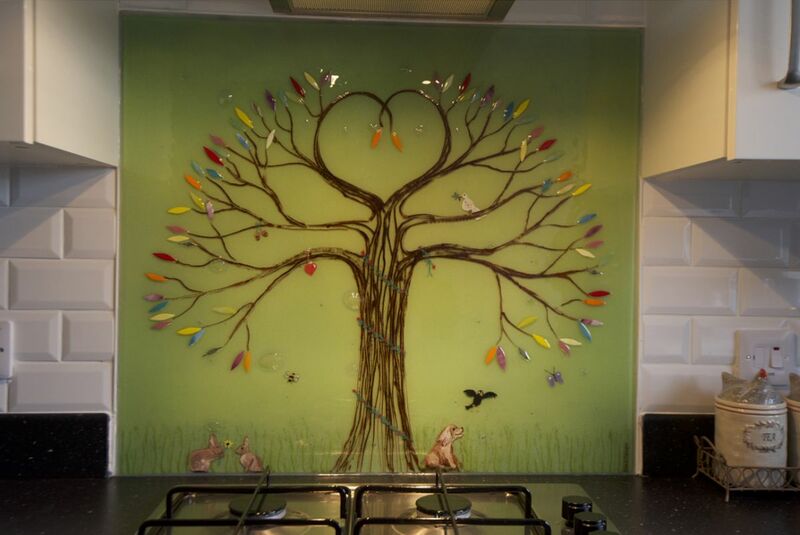 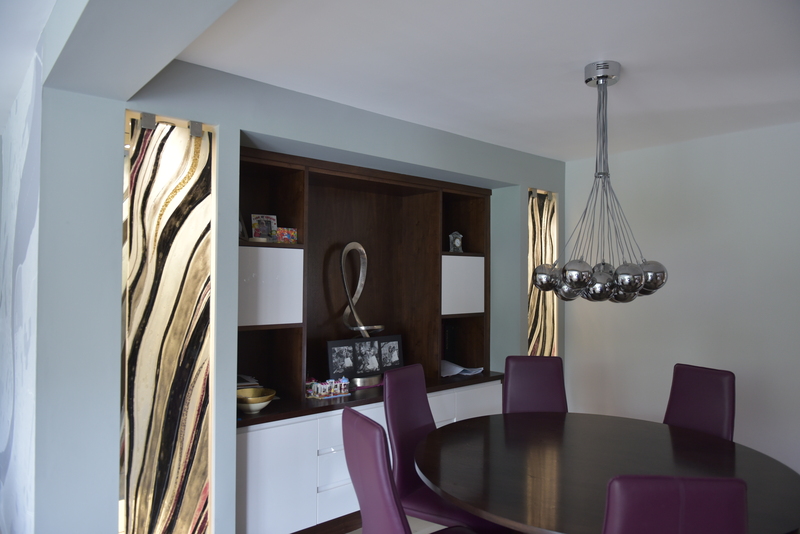 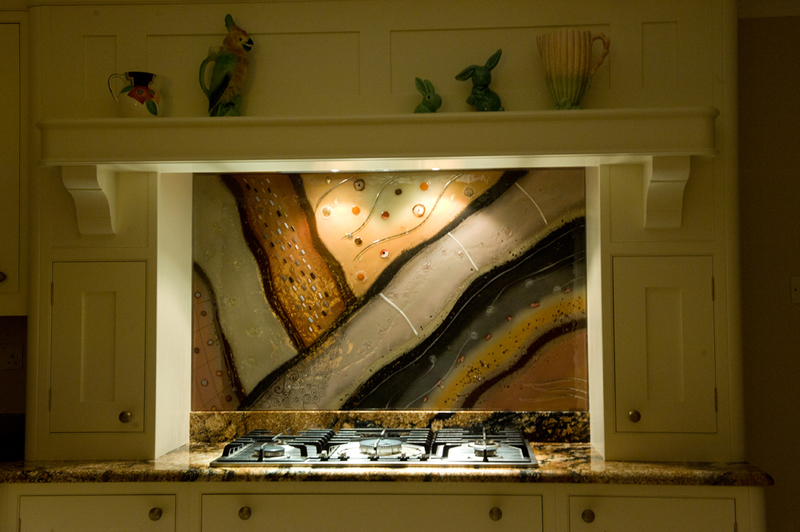 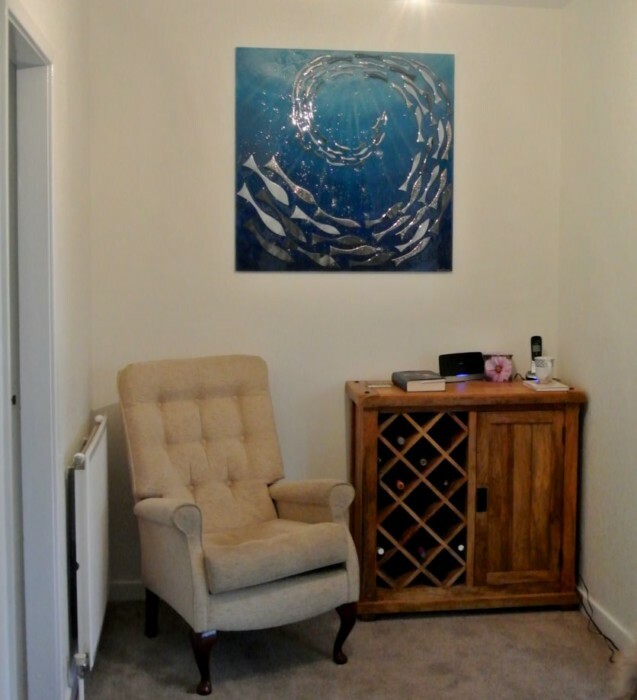 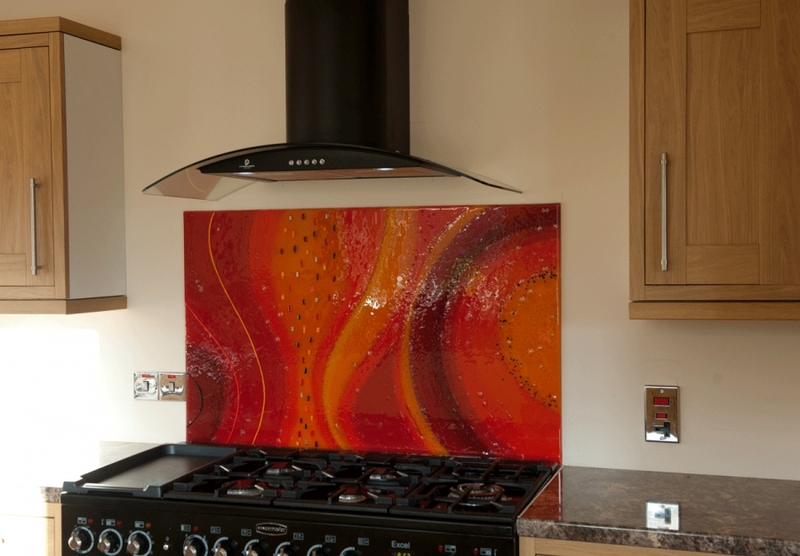 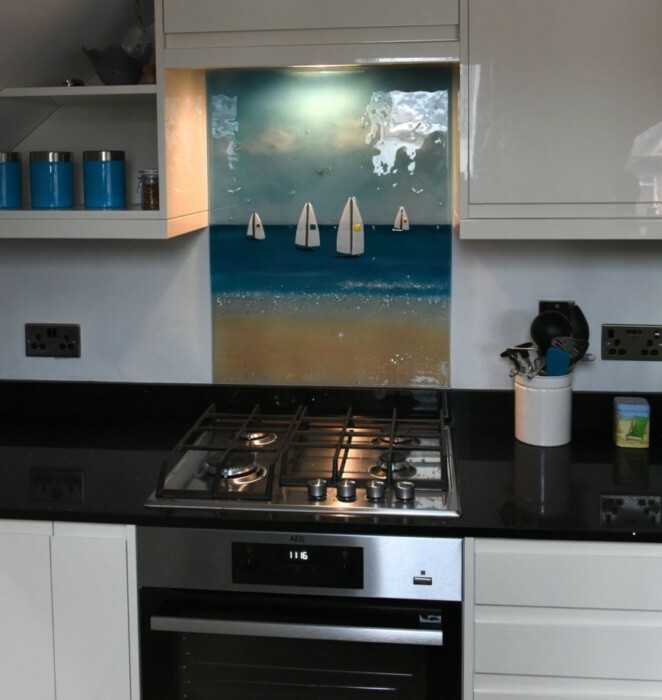 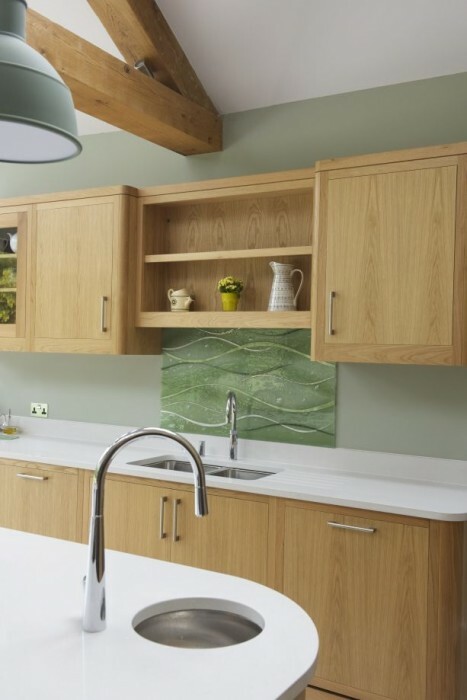 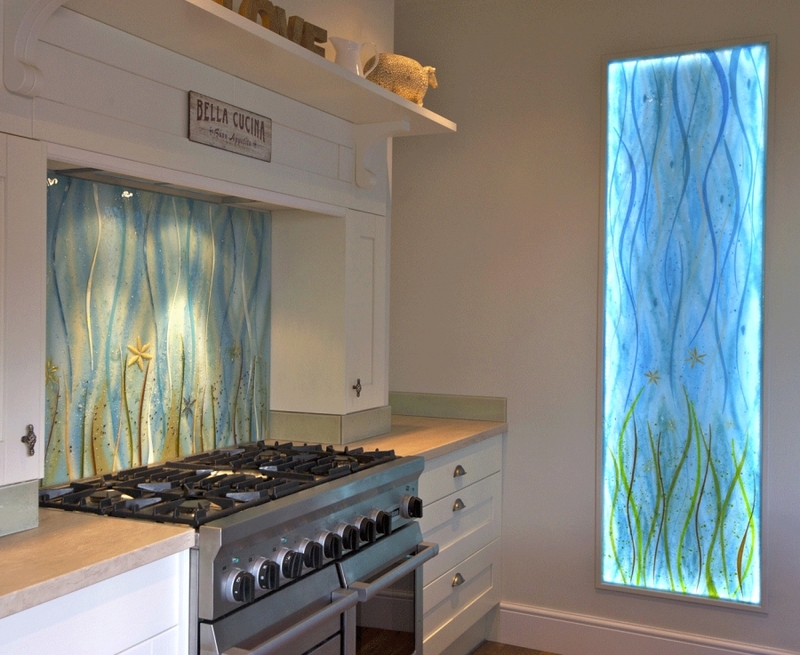 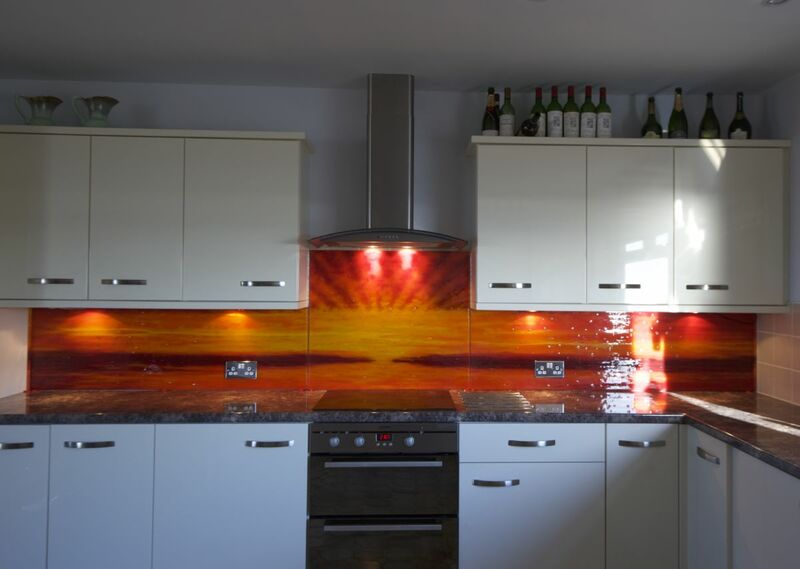 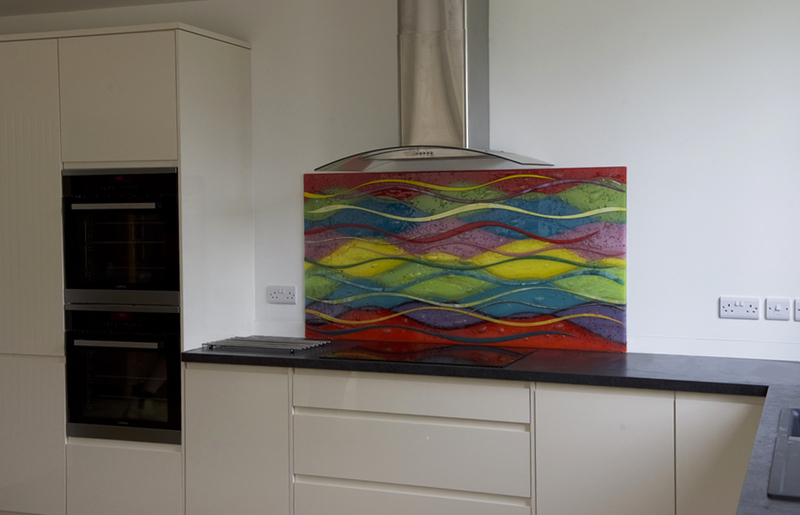 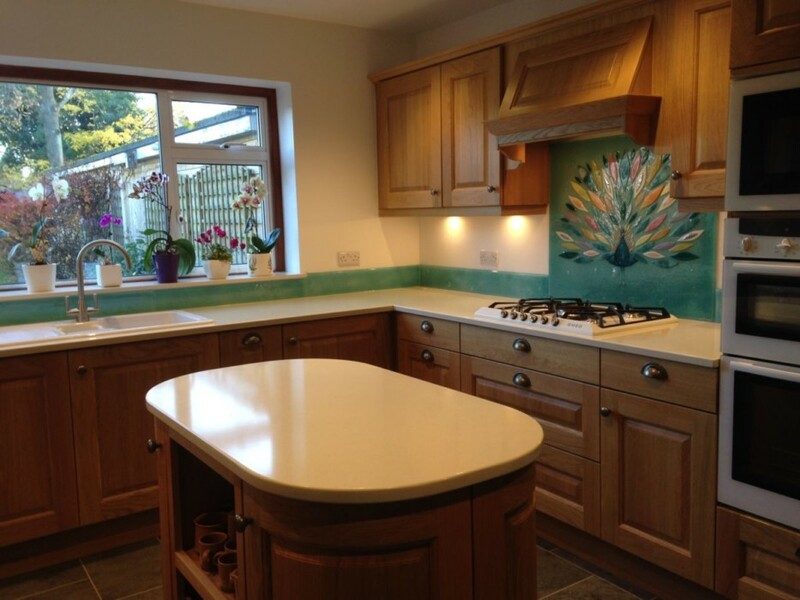 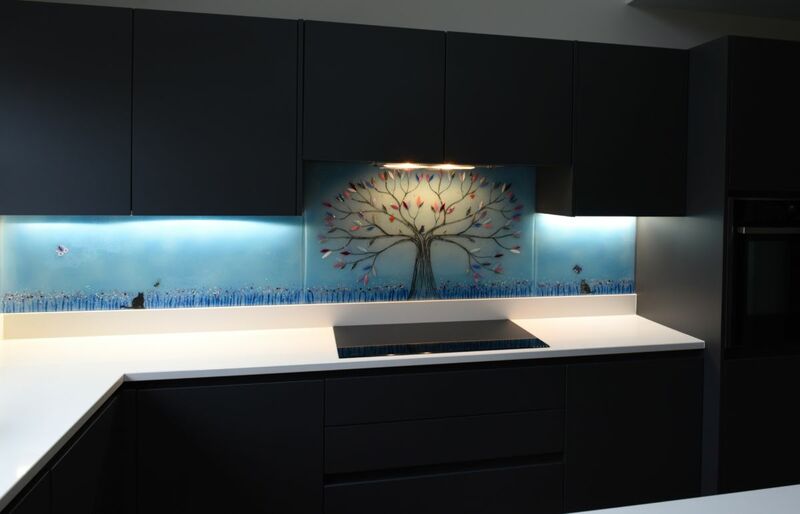 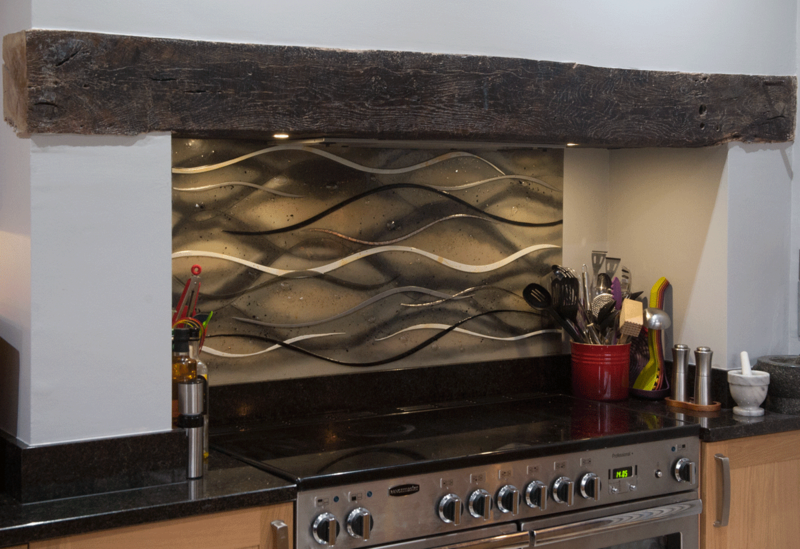 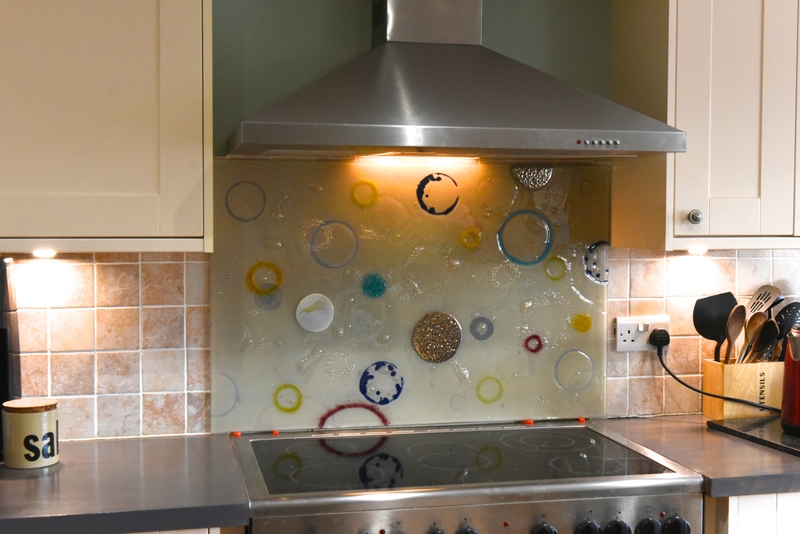 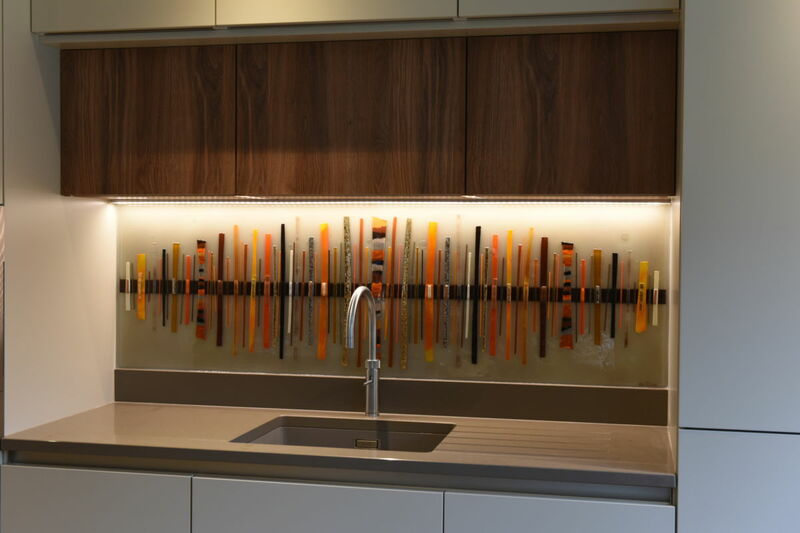 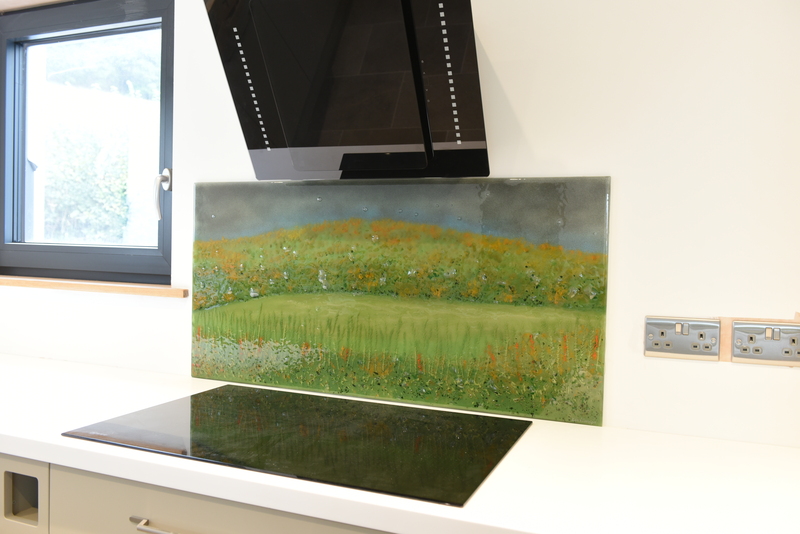 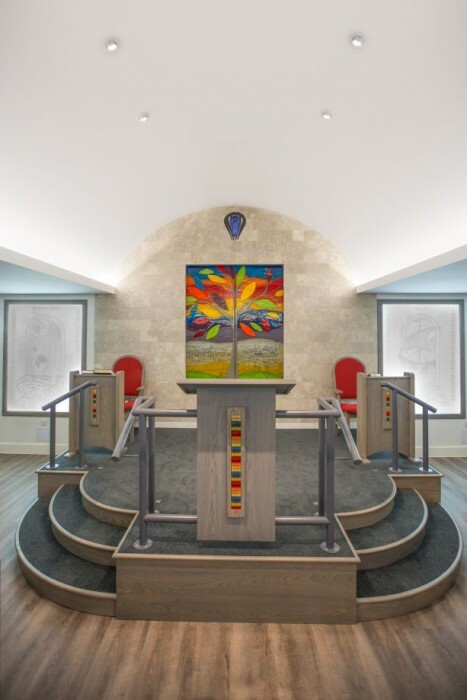 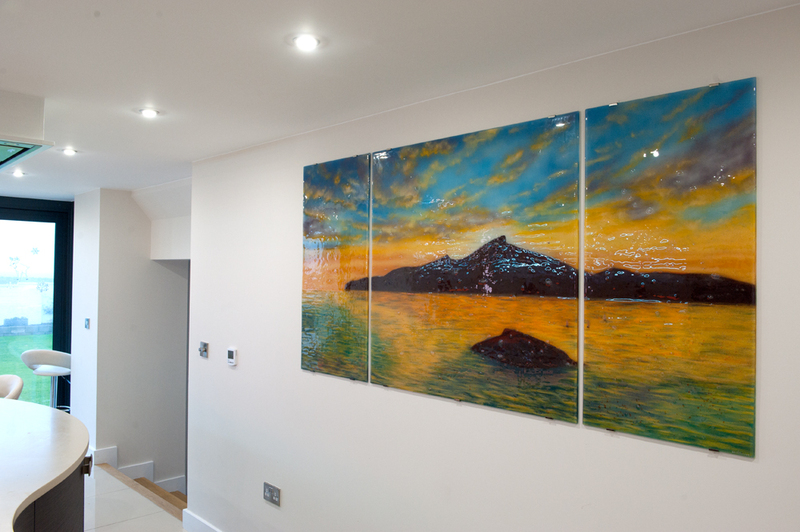 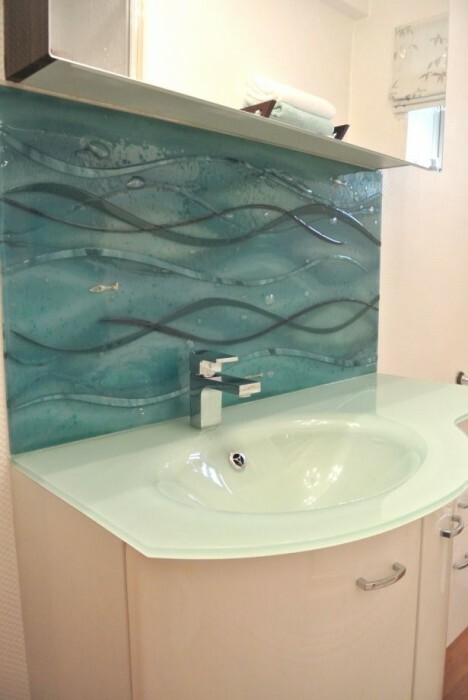 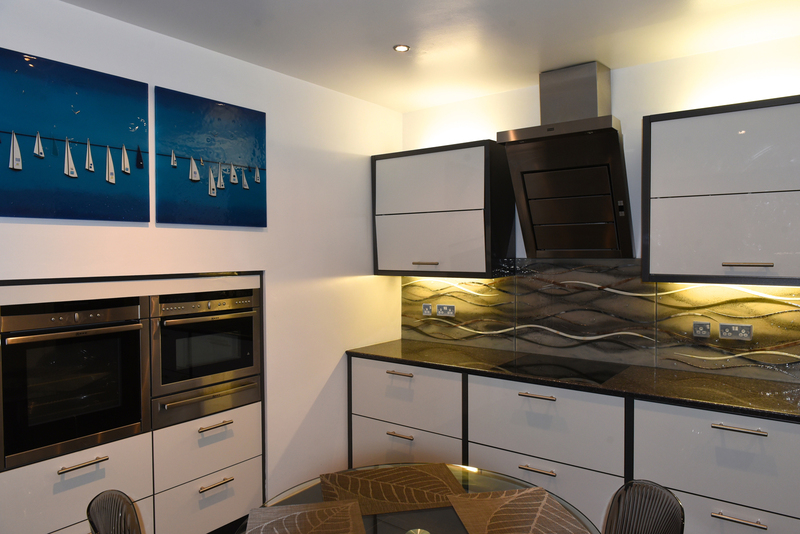 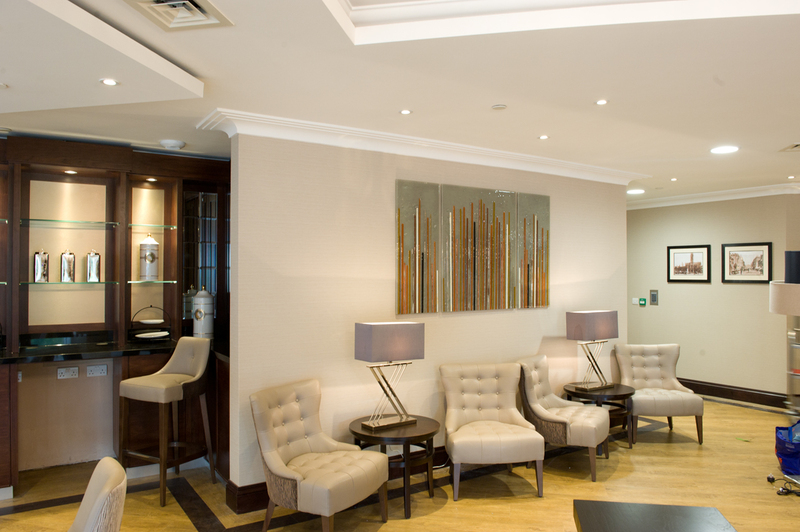 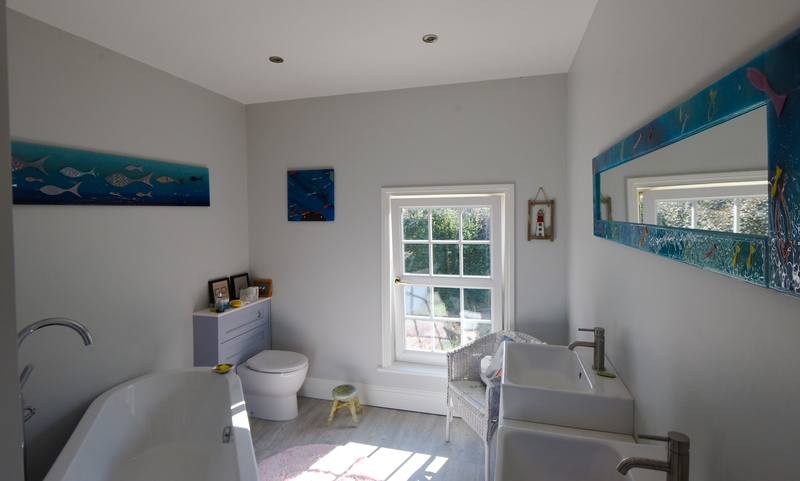 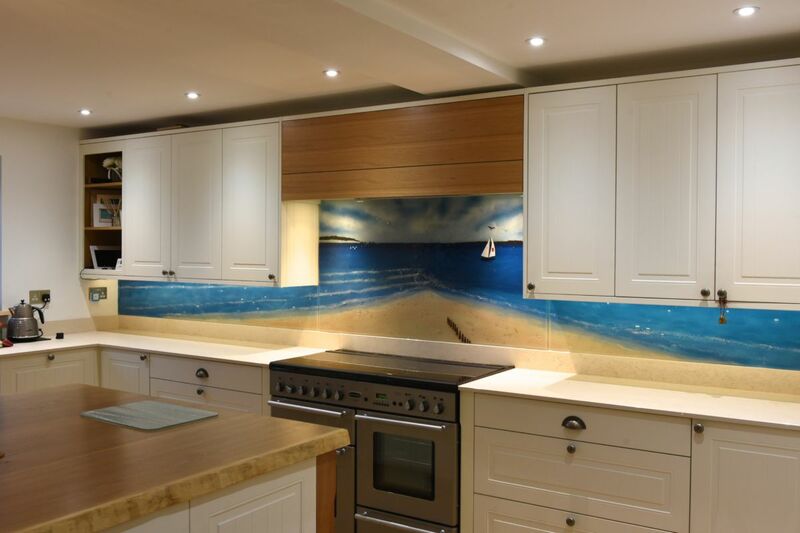 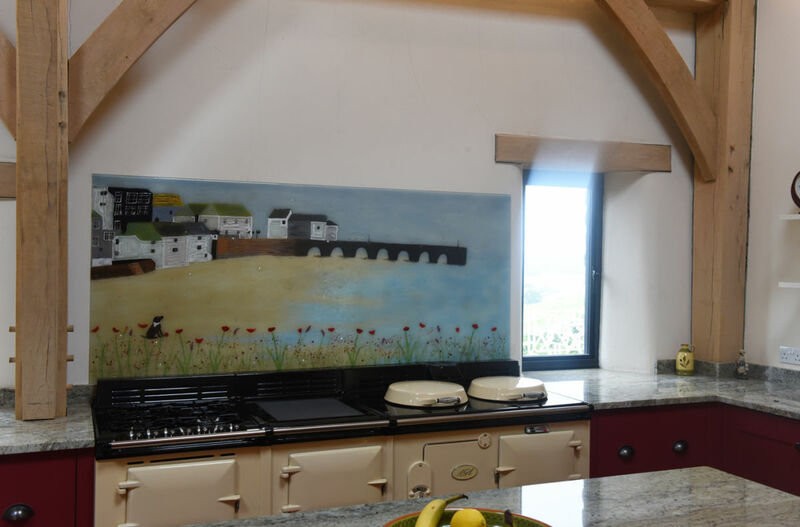 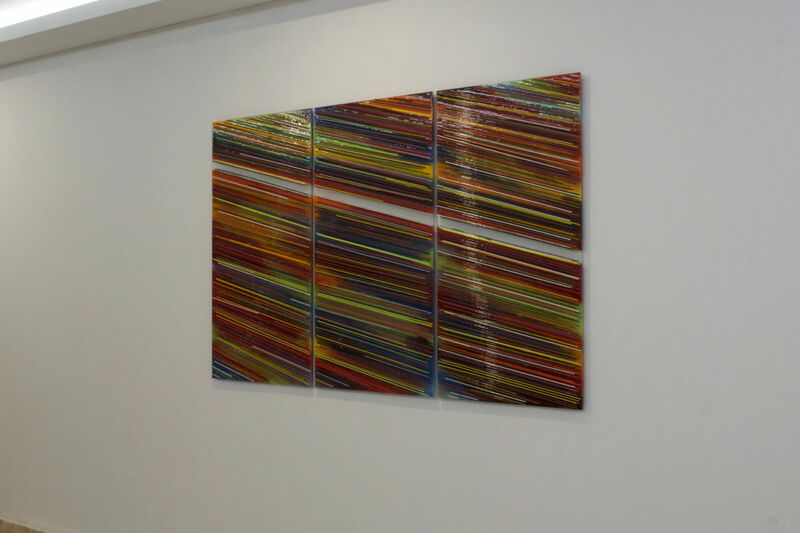 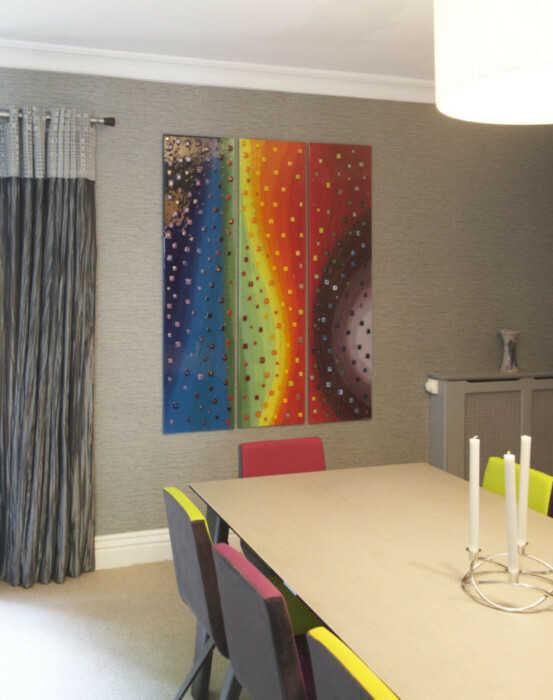 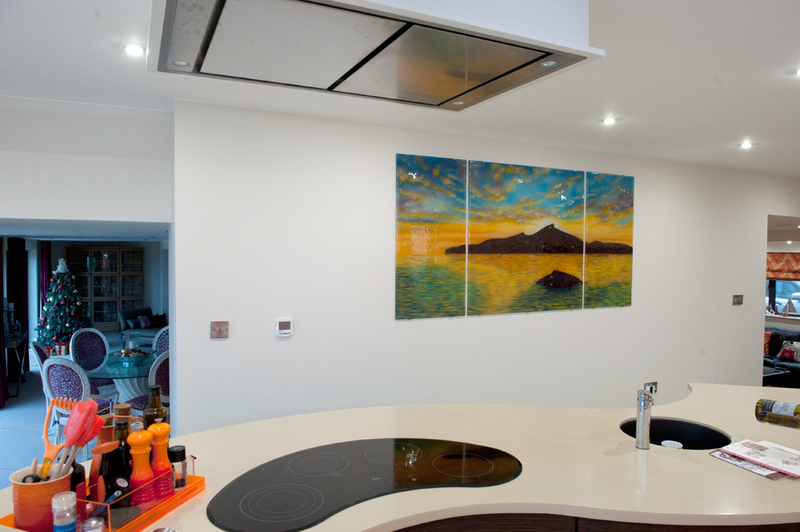 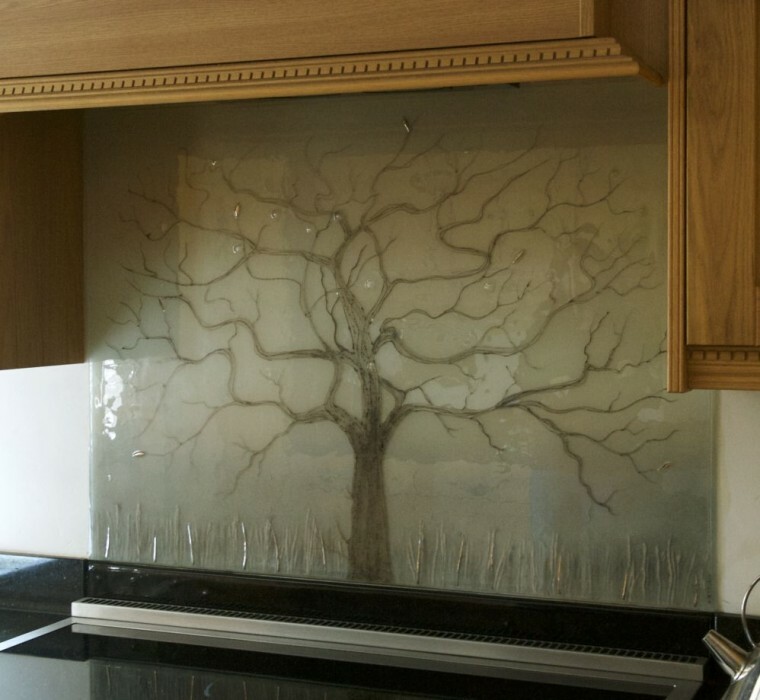 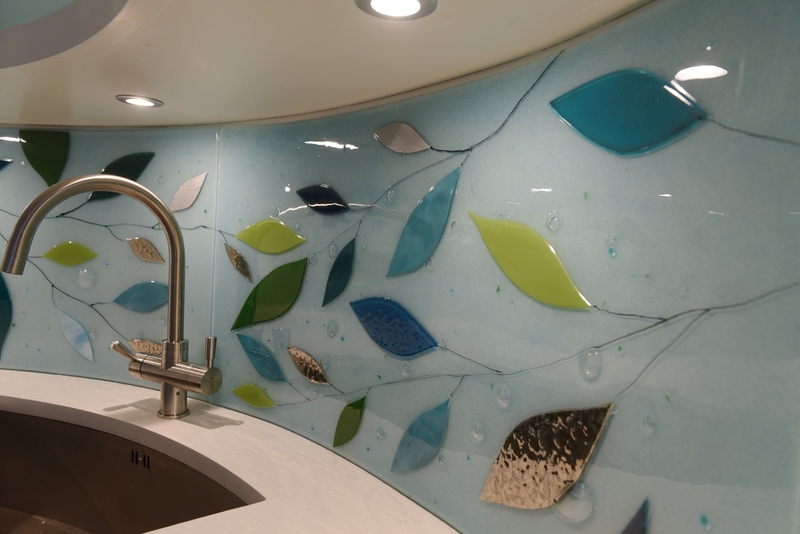 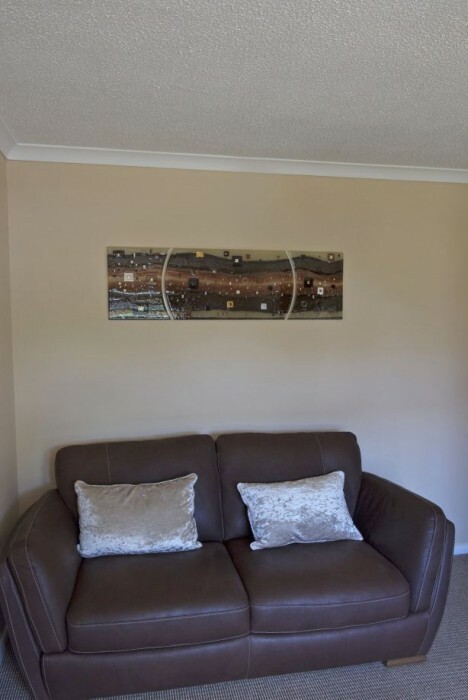 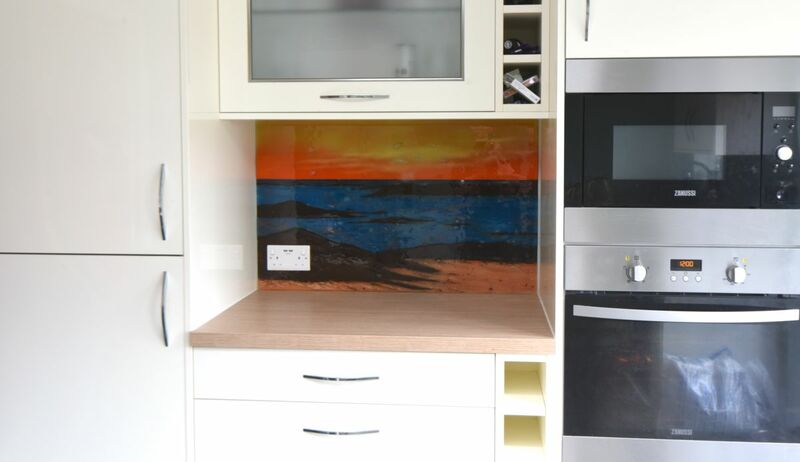 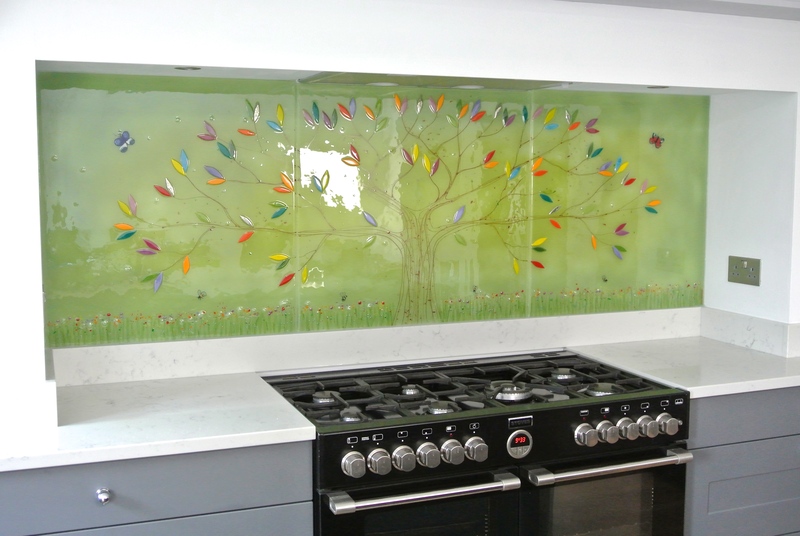 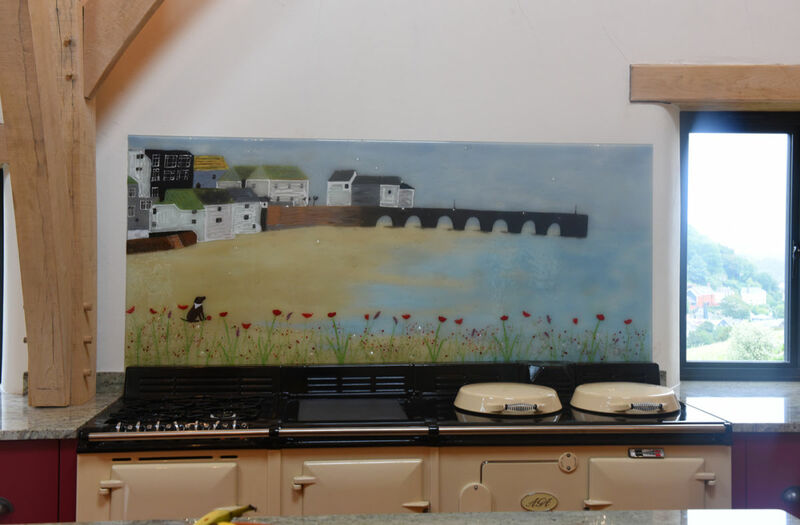 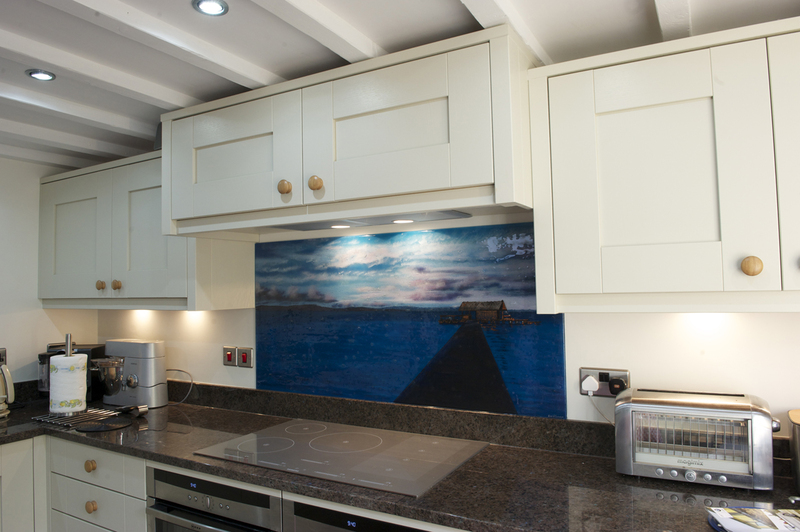 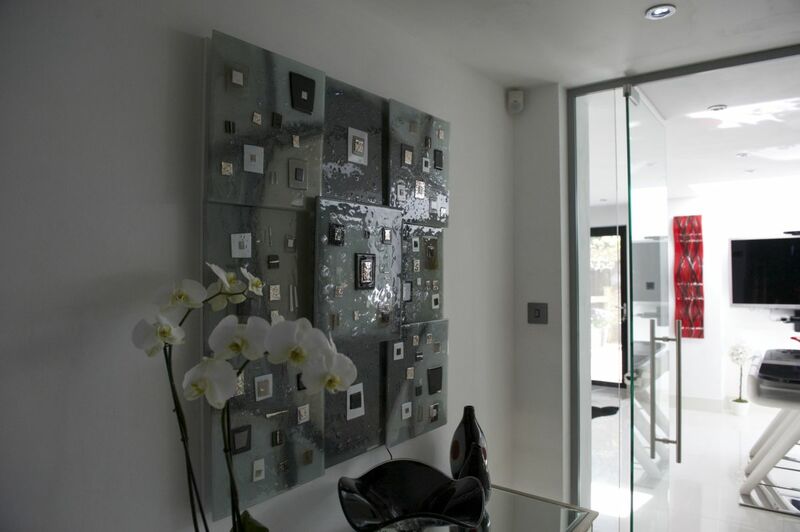 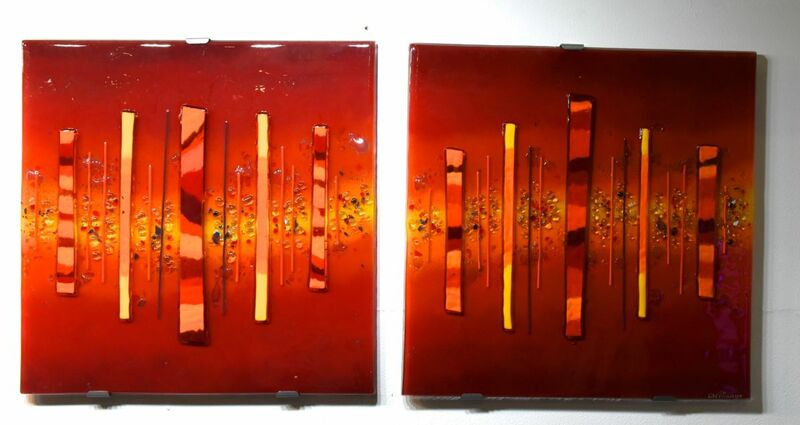 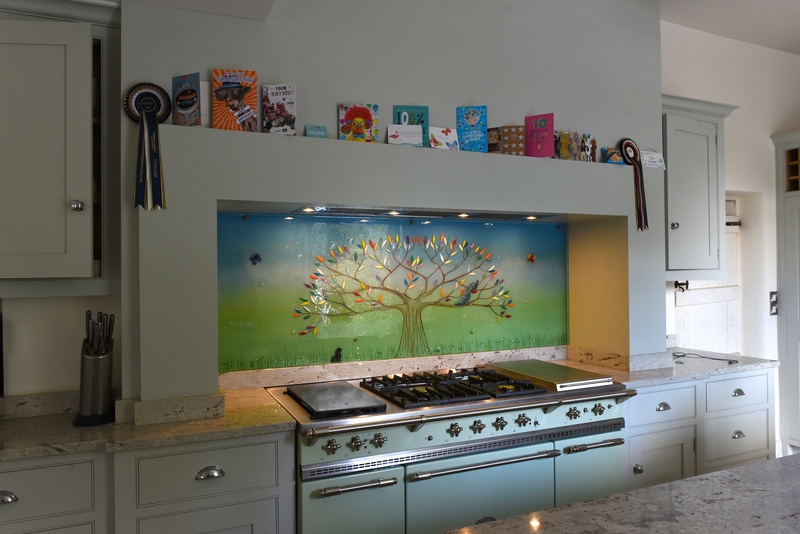 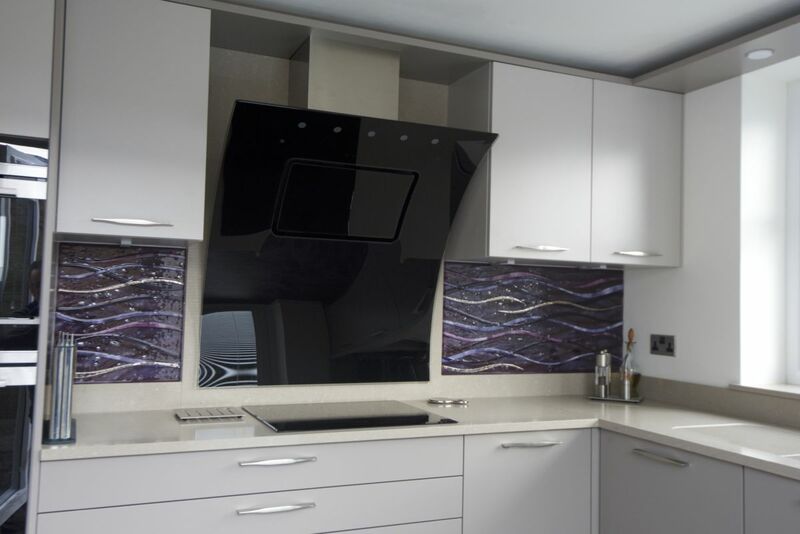 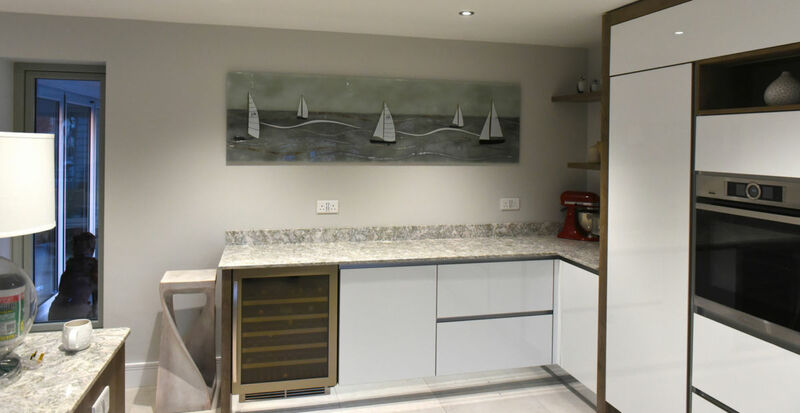 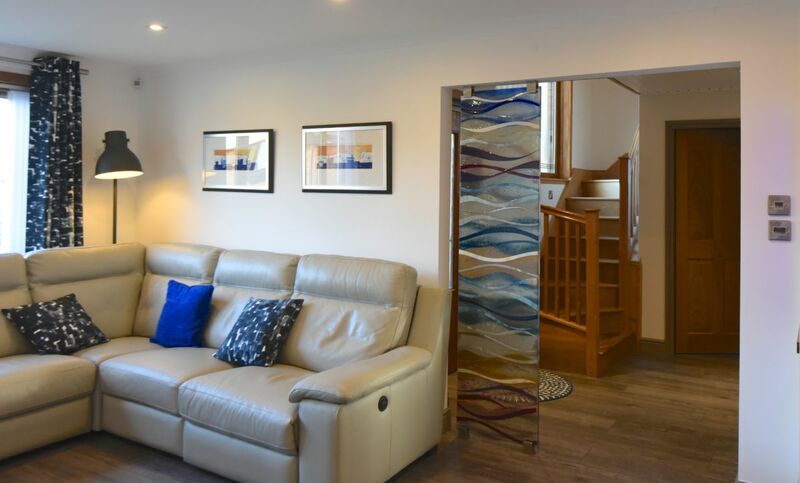 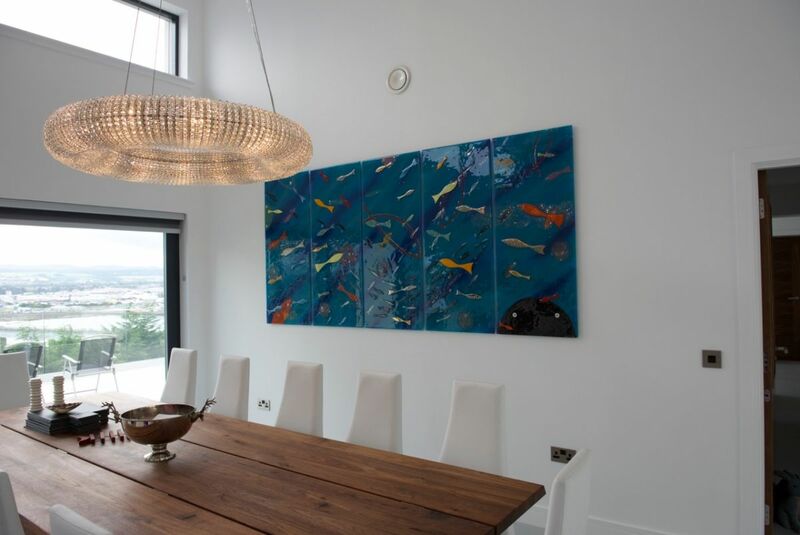 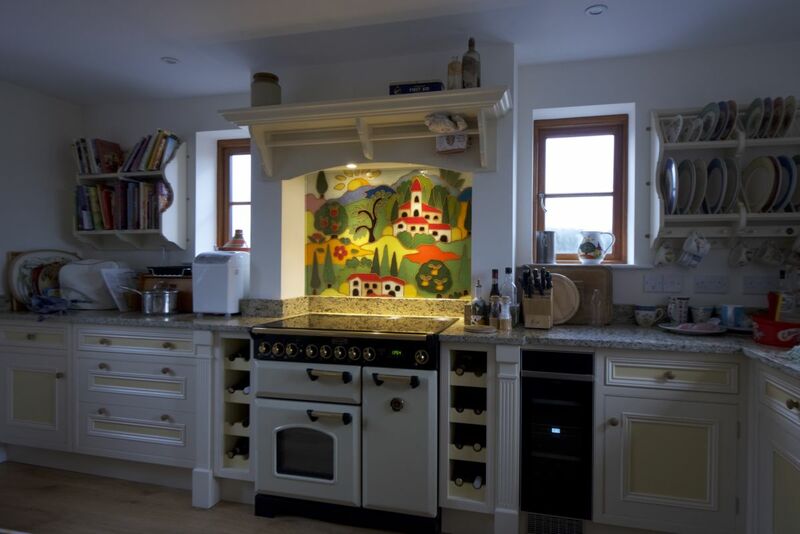 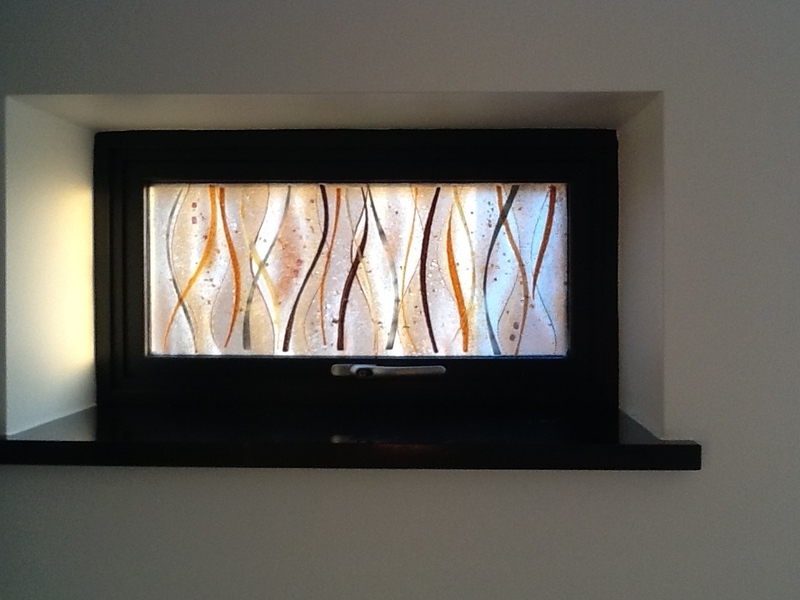 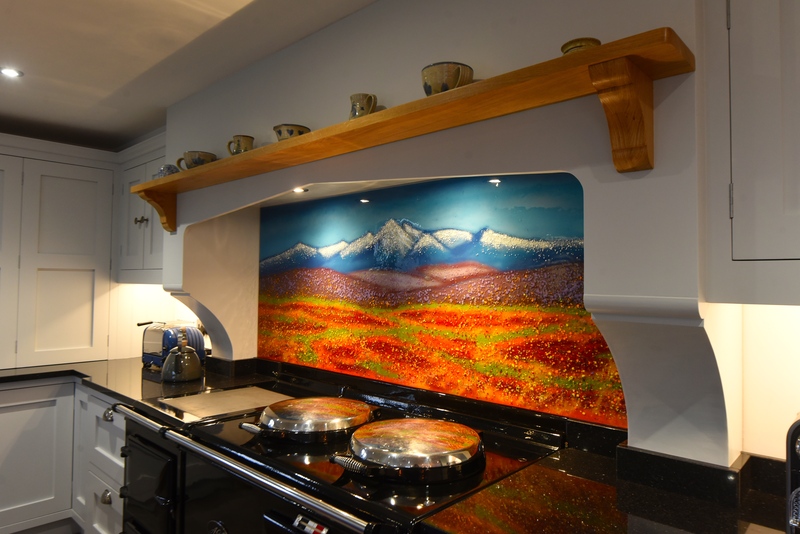 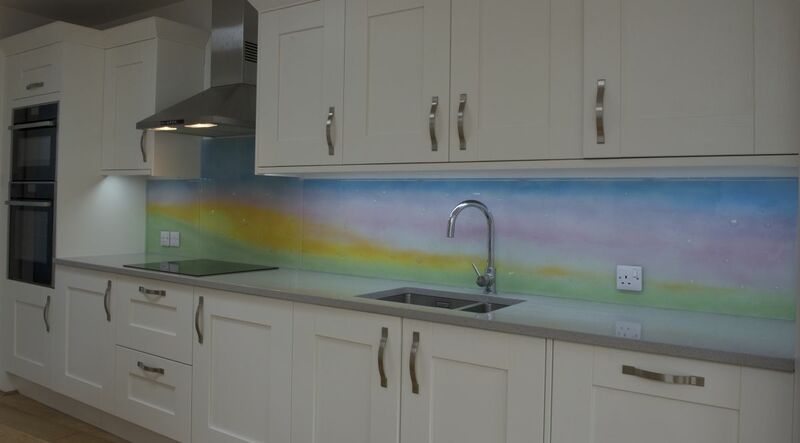 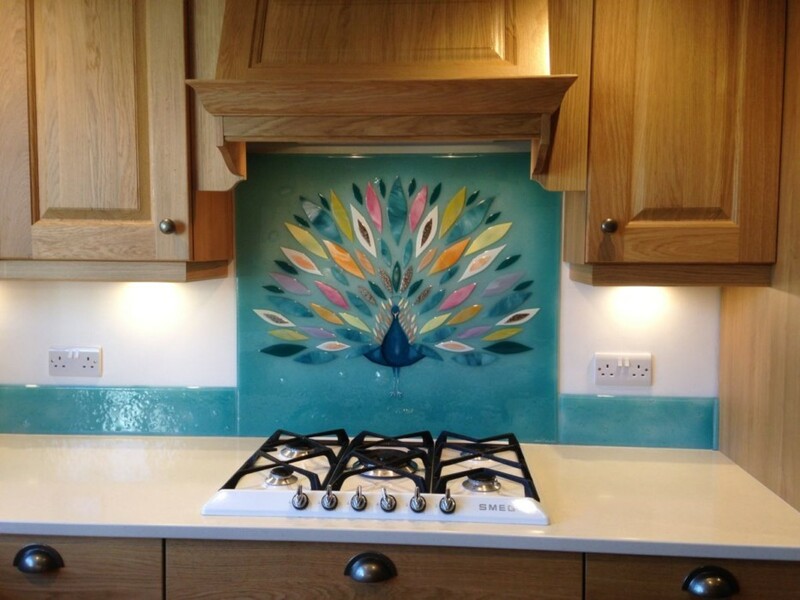 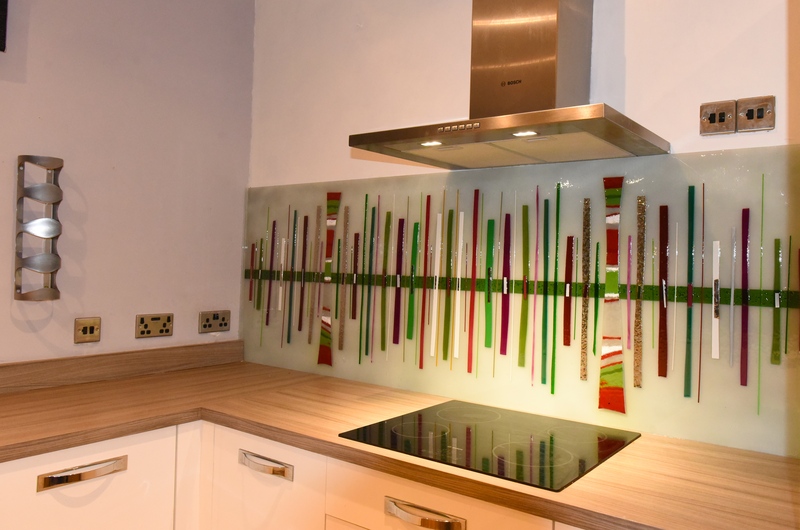 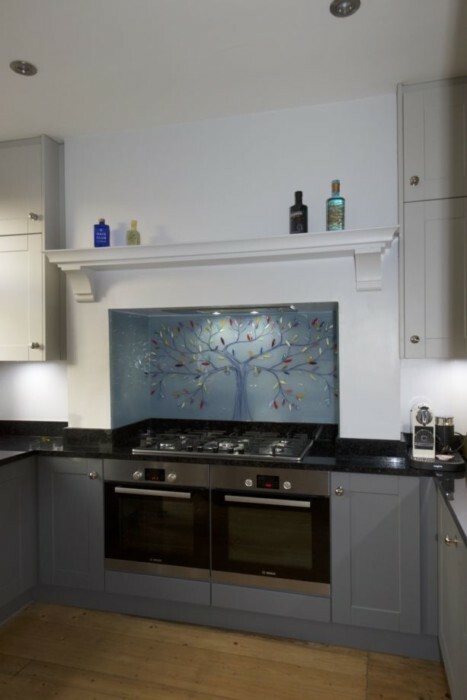 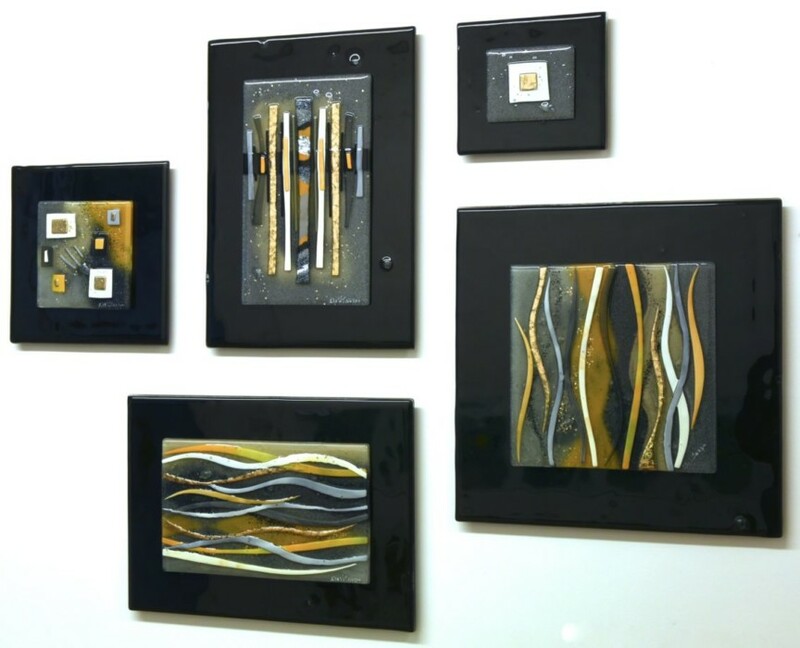 Photographs really can’t do the end result justice, which is usually the case with our fused glass art, but they definitely give a sense of the impact that this particular piece brings to the room. 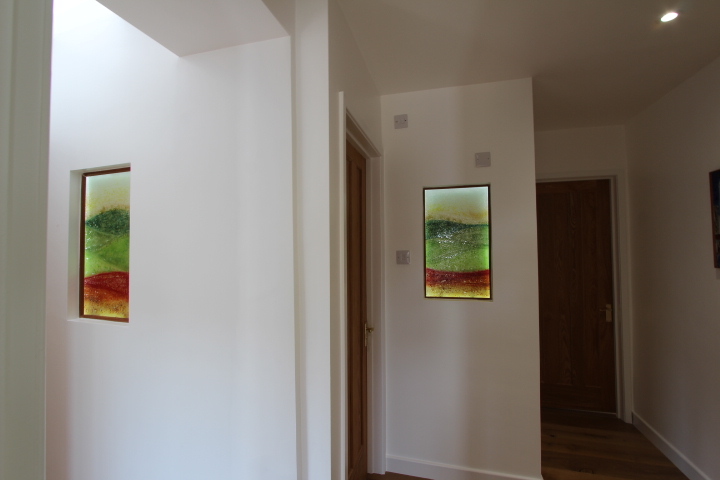 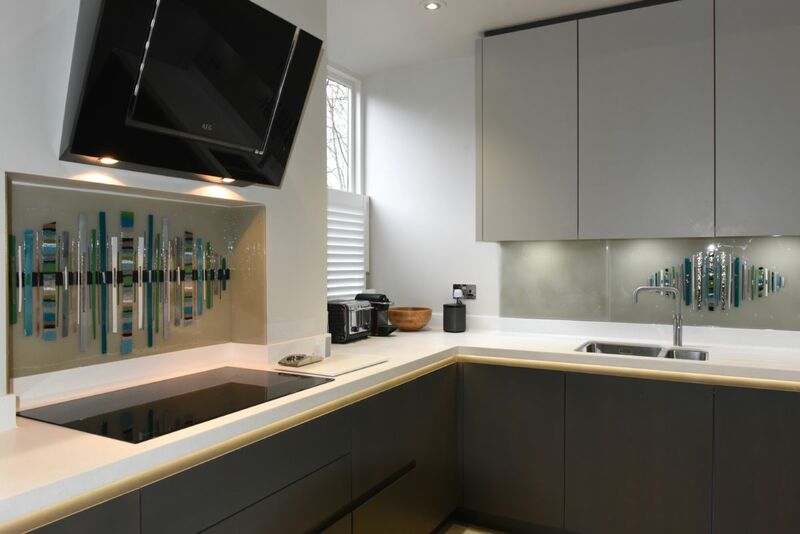 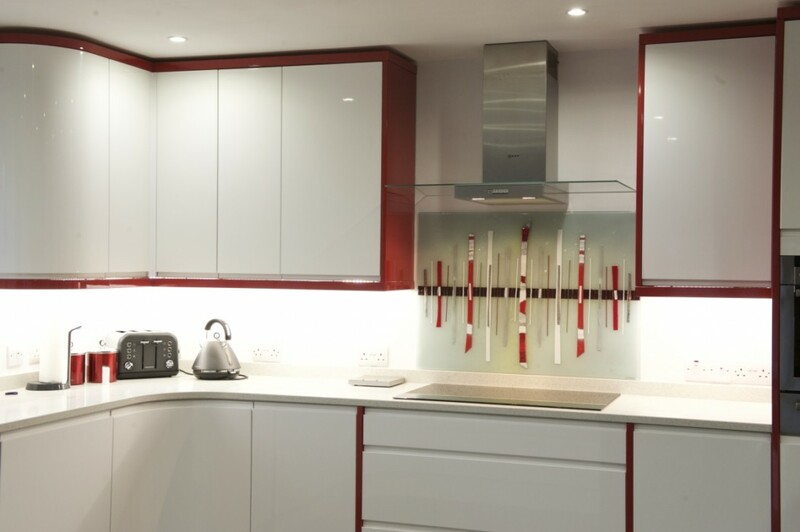 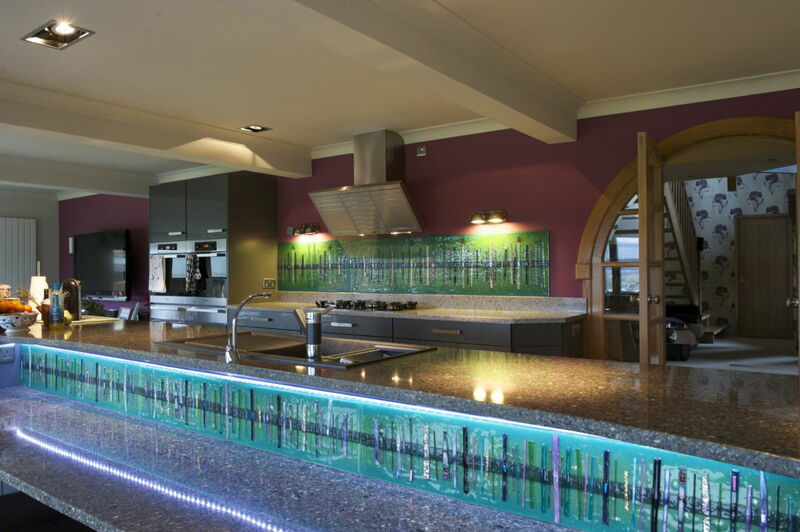 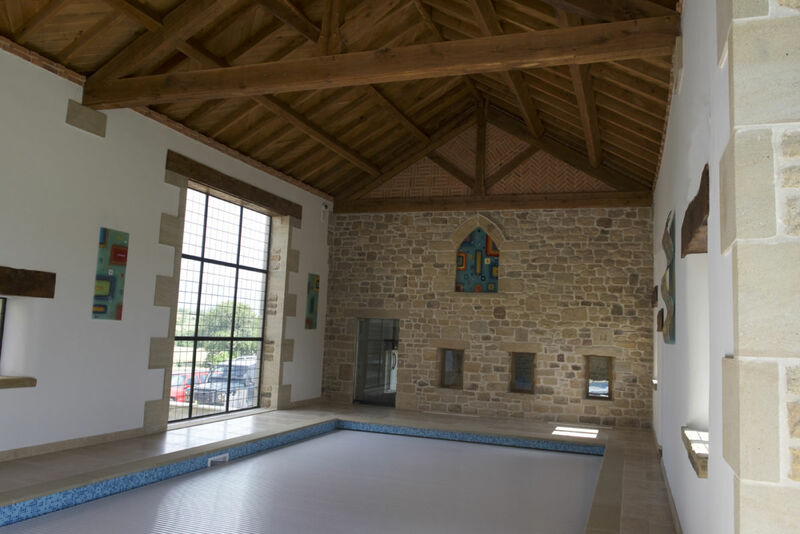 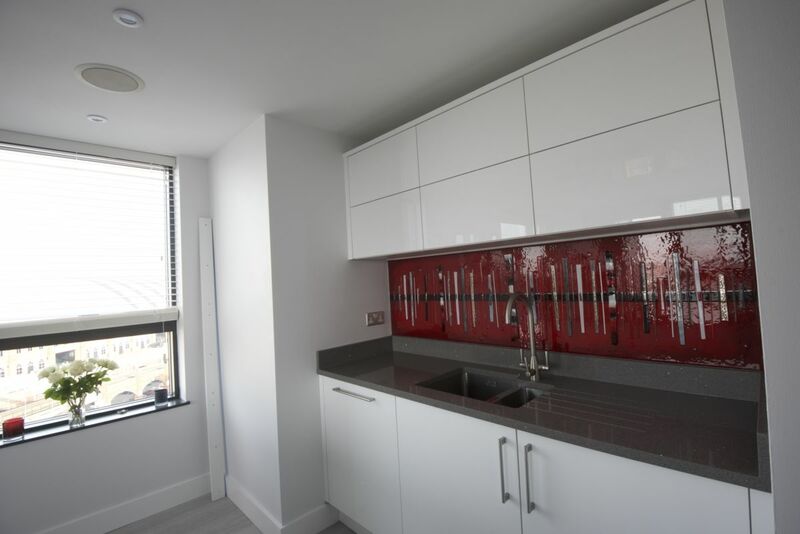 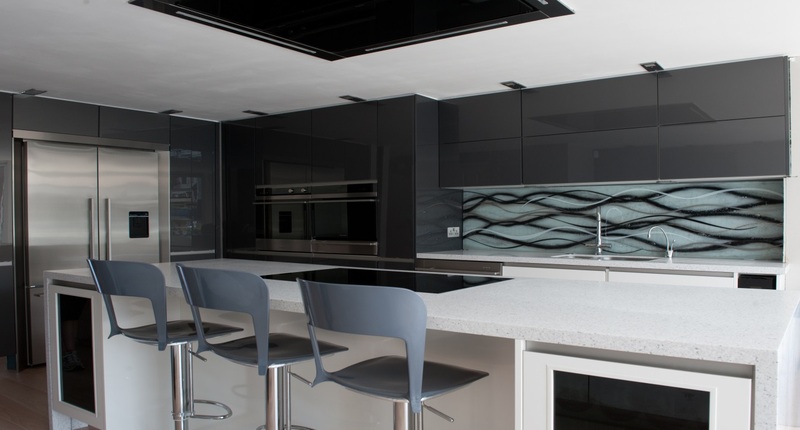 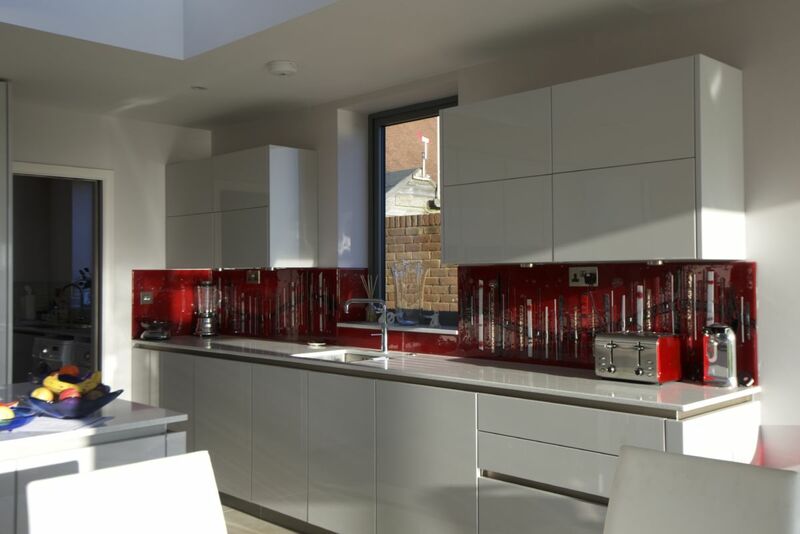 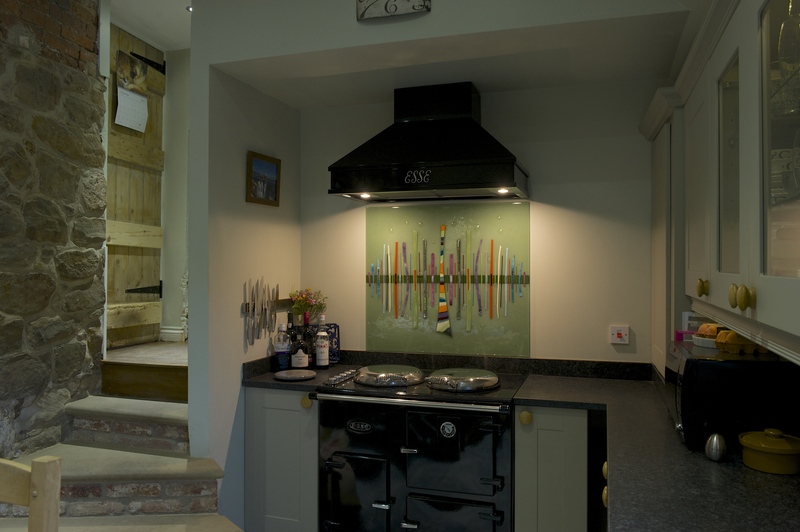 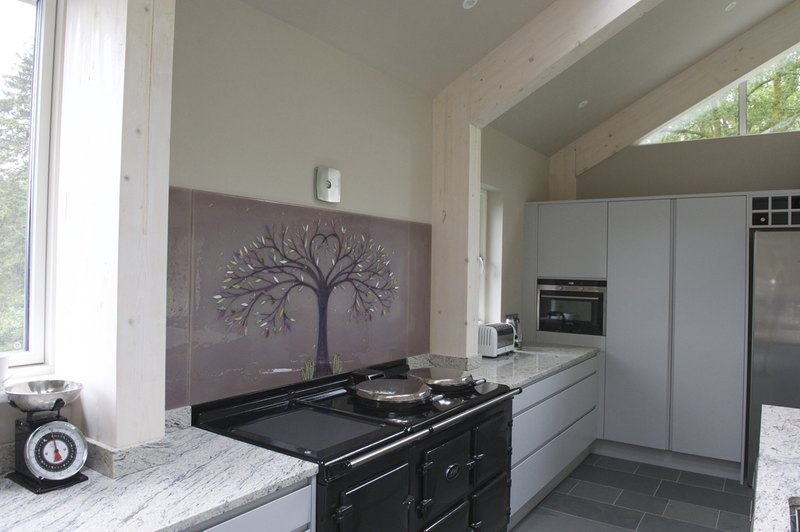 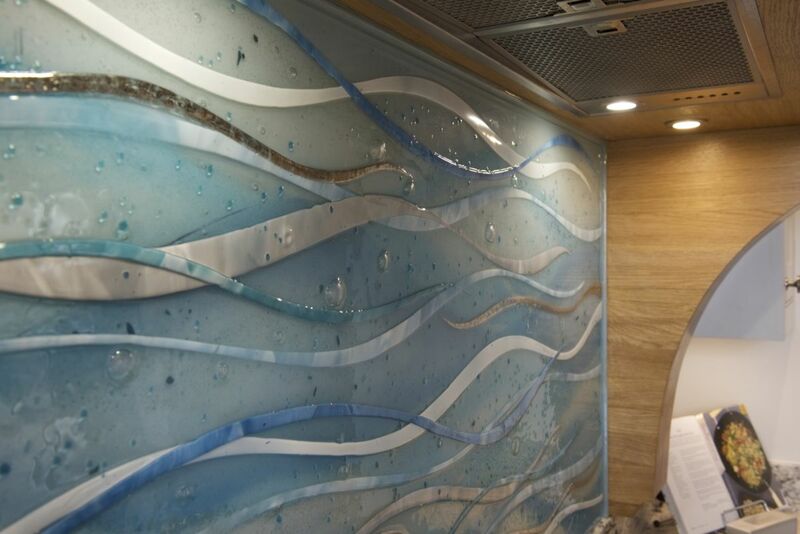 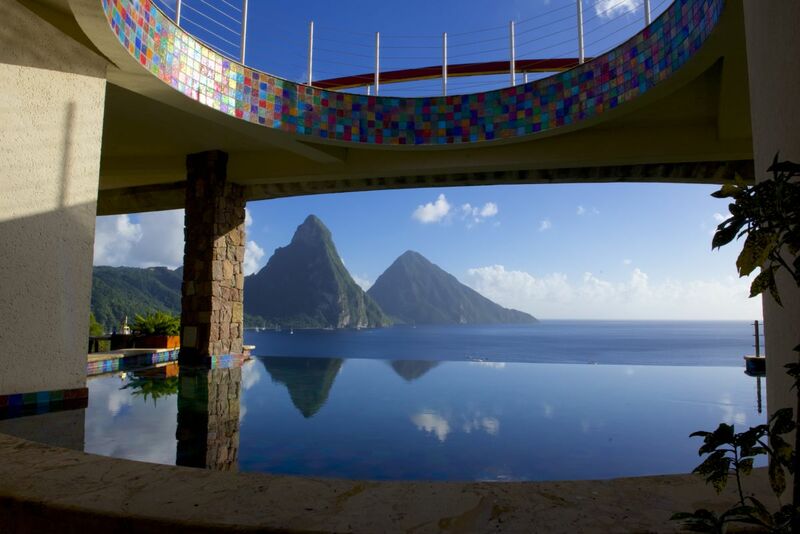 The glass looks incredible put in place, with the colour of the wall showing through clearly. 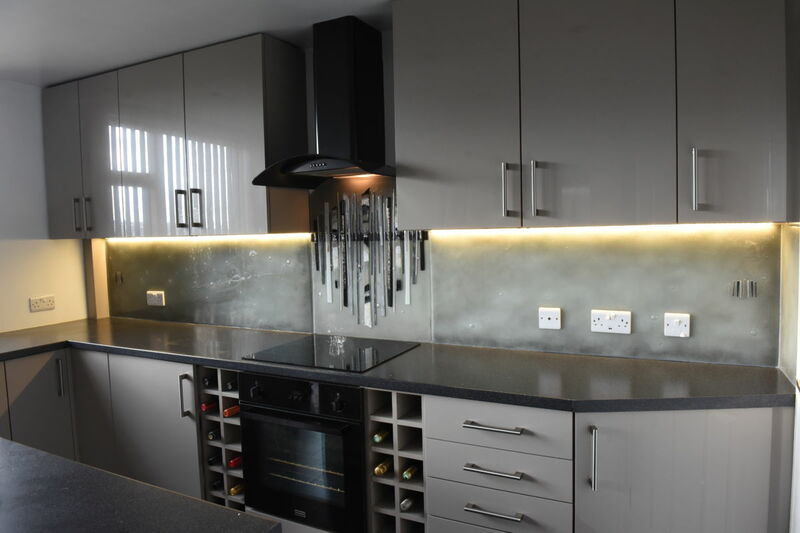 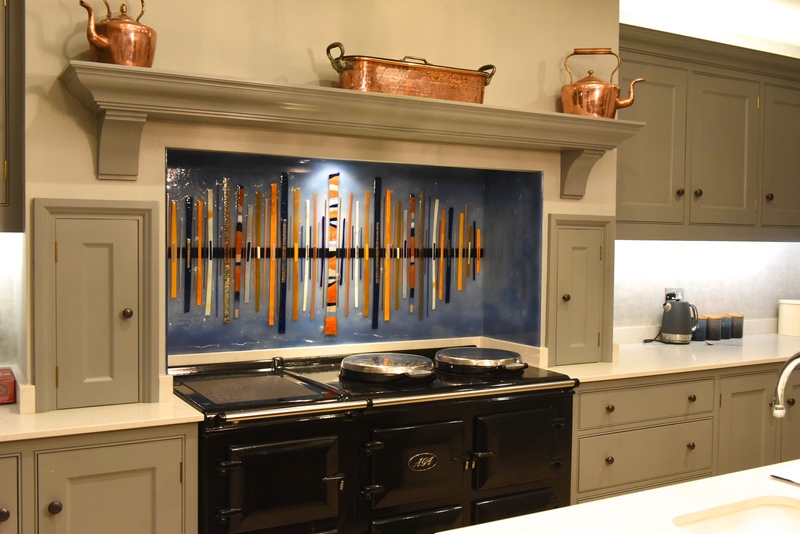 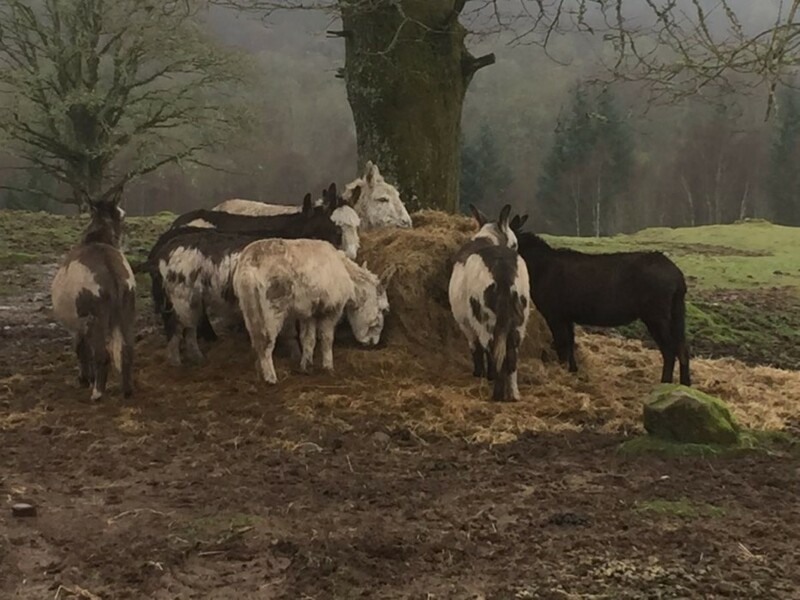 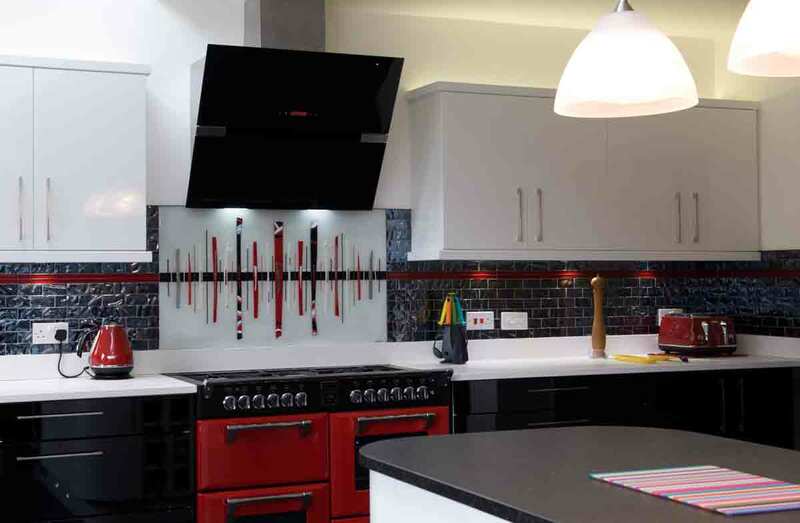 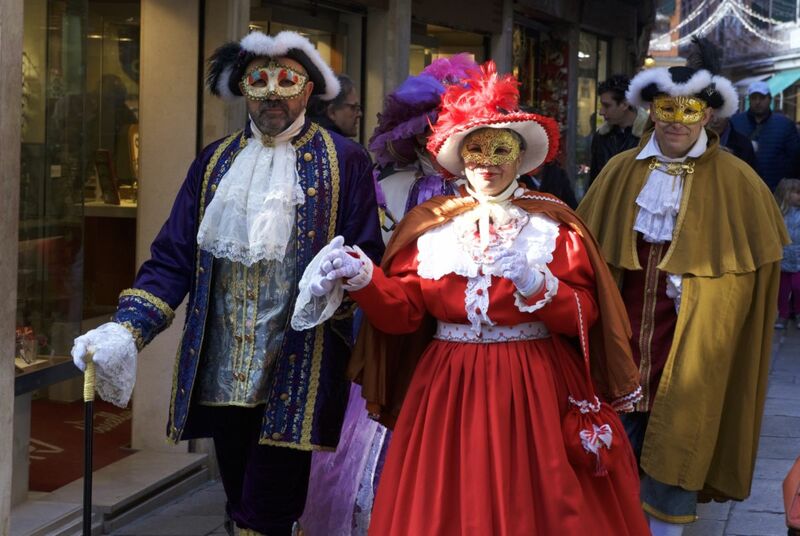 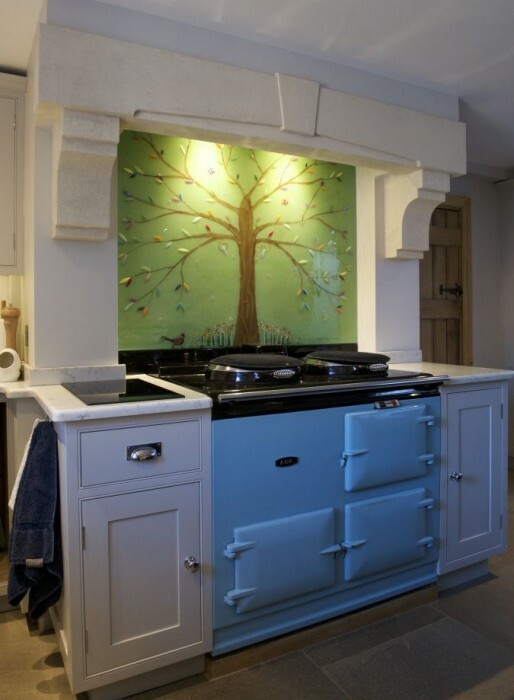 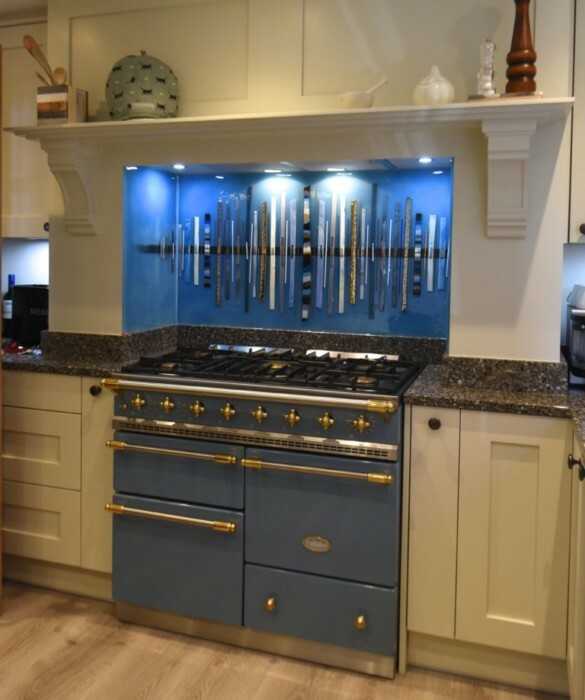 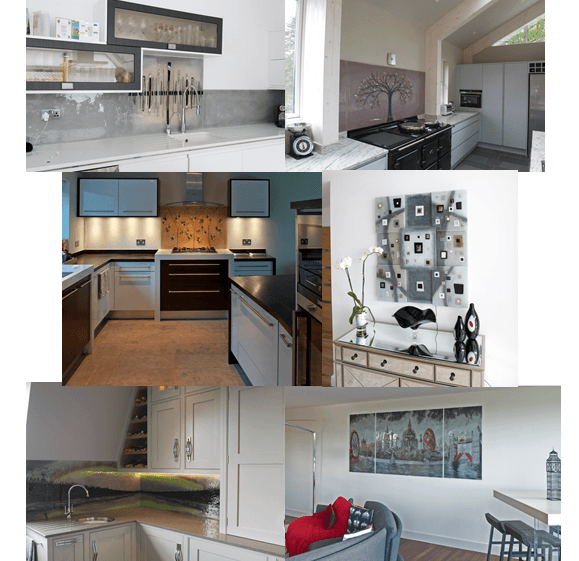 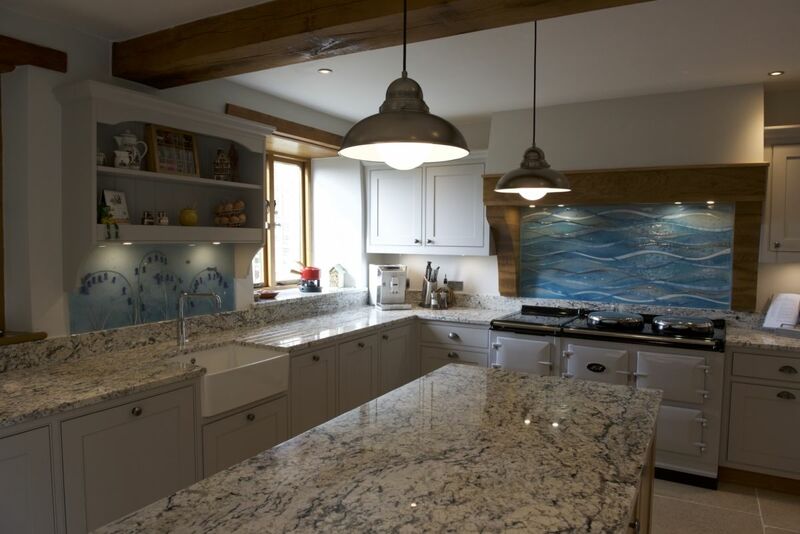 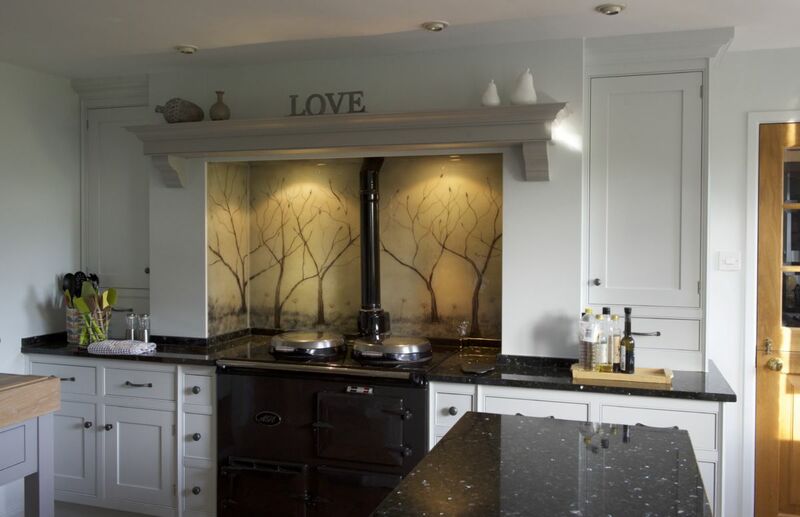 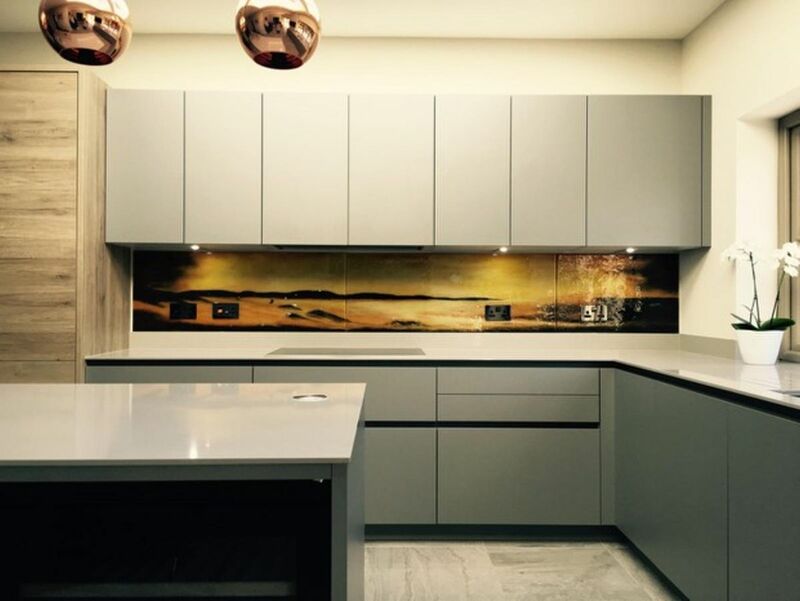 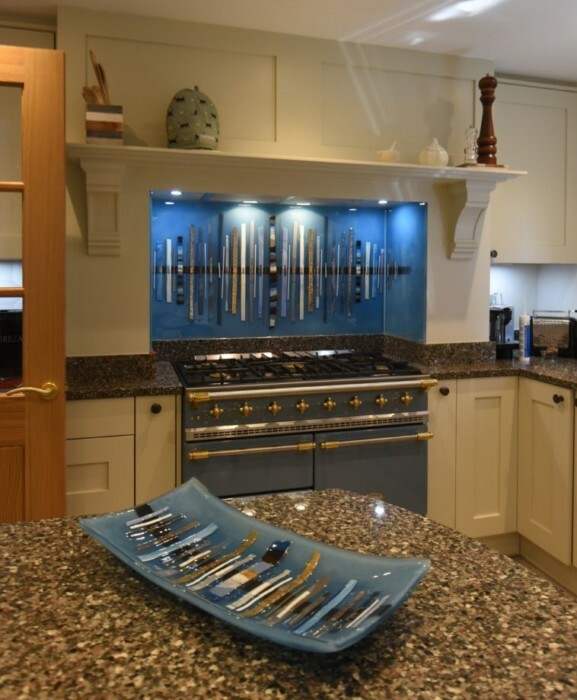 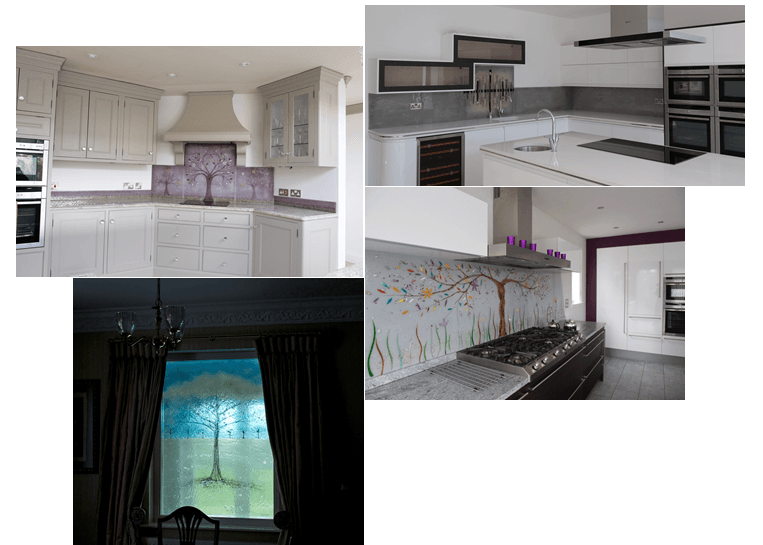 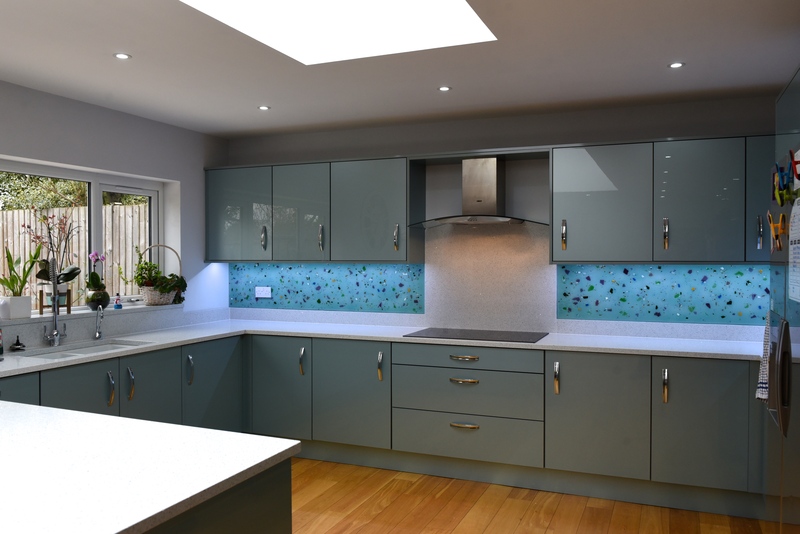 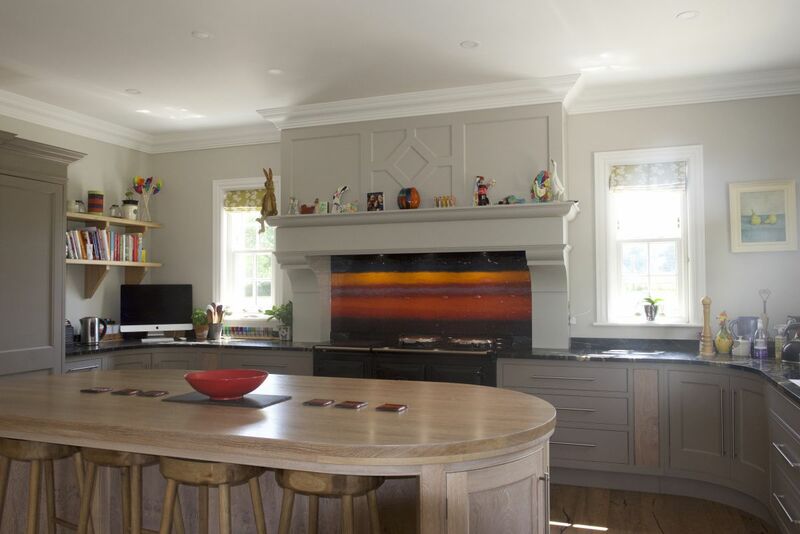 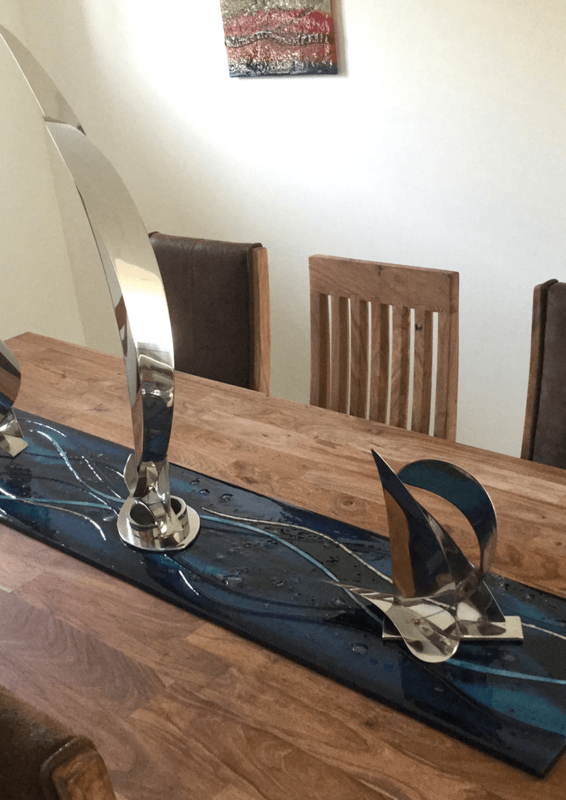 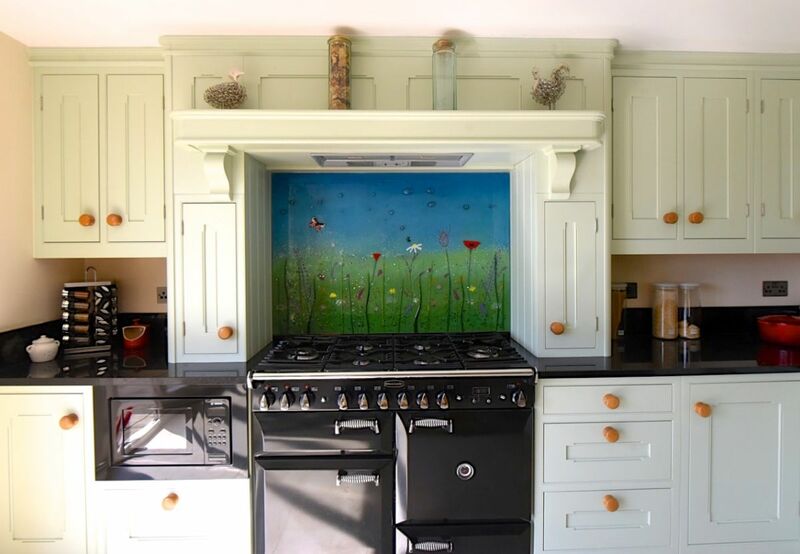 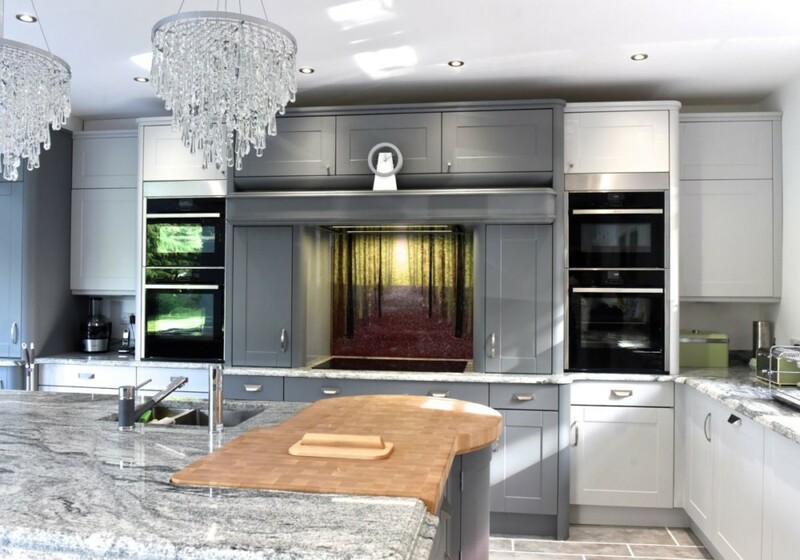 As you see from the images in this blog, the design of the piece is absolutely bursting with style, utilising metallics and a tremendous colour palette to create a very exciting feast for the eyes. 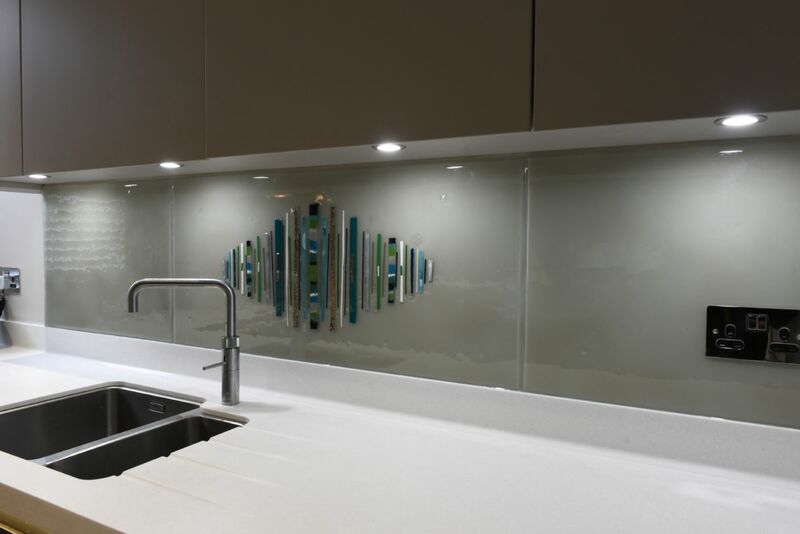 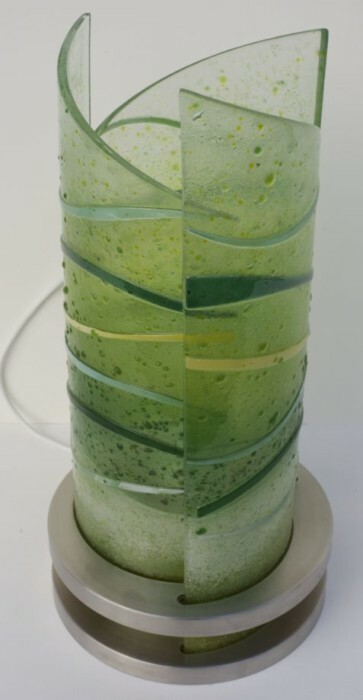 Unusually for most of the designs that we get asked to create, the background glass around the design is completely transparent, which definitely creates a very interesting effect. 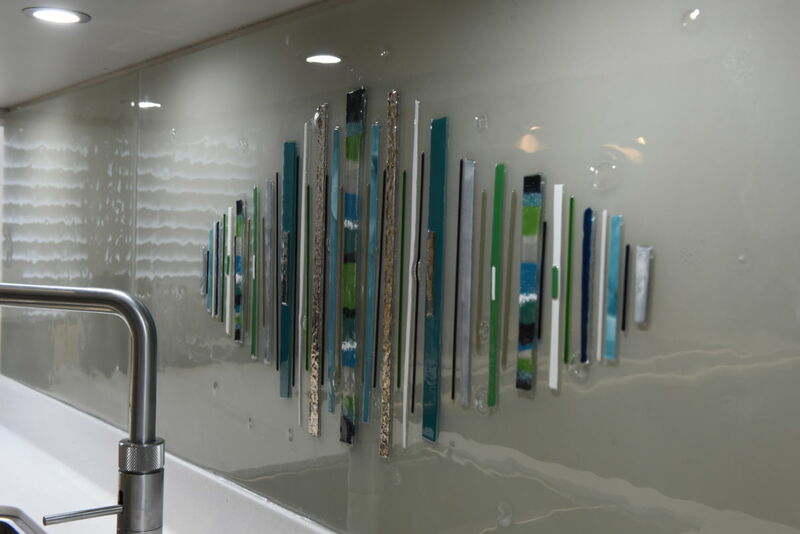 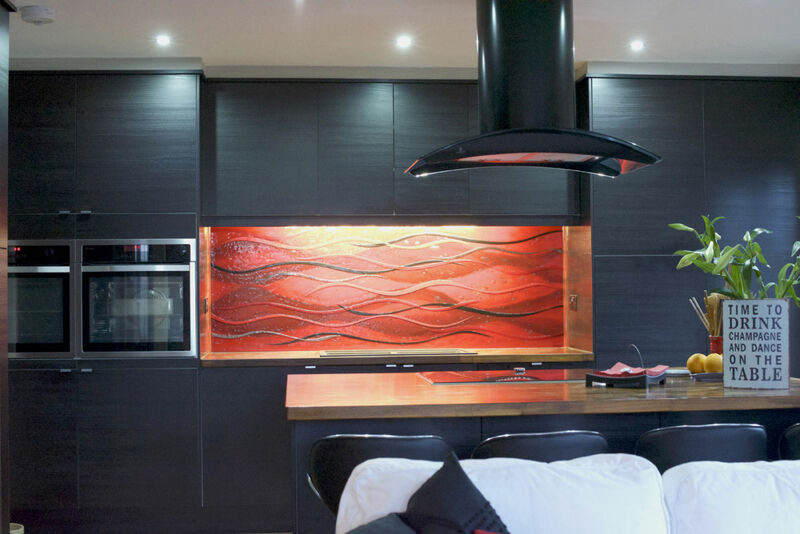 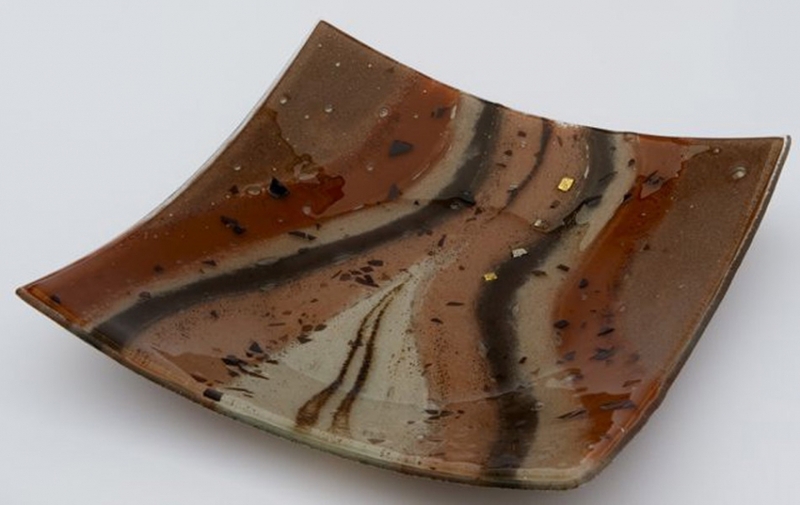 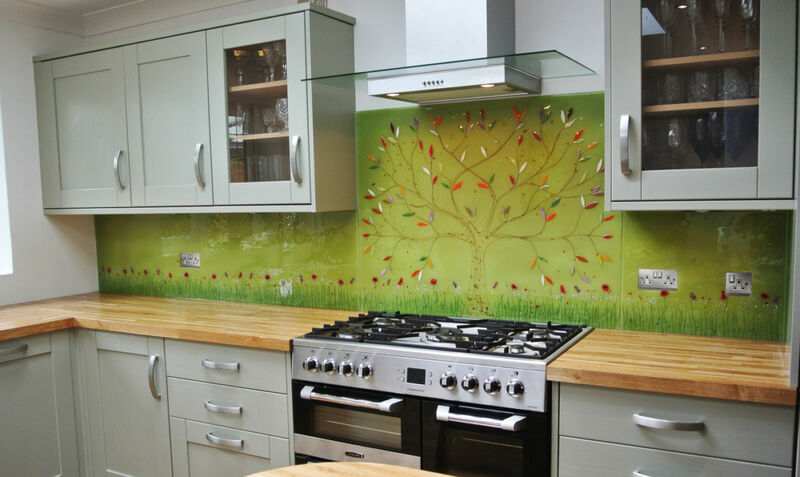 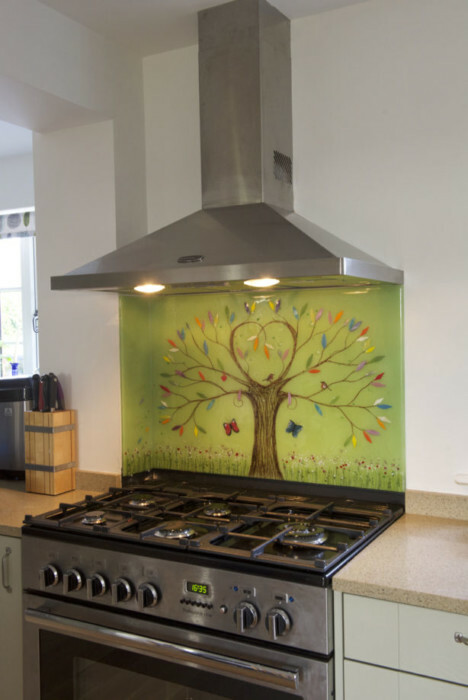 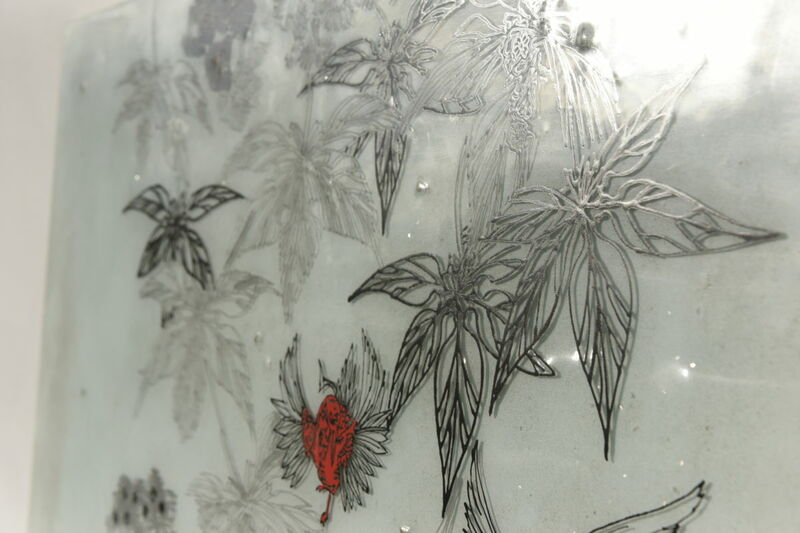 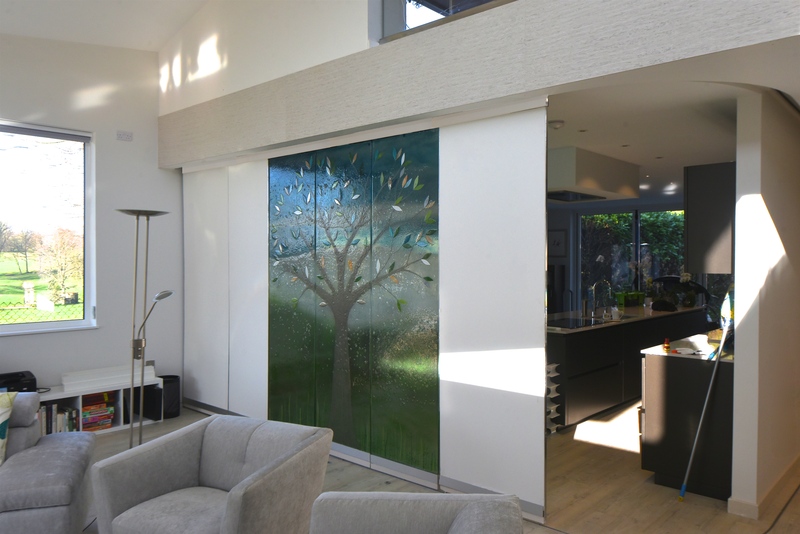 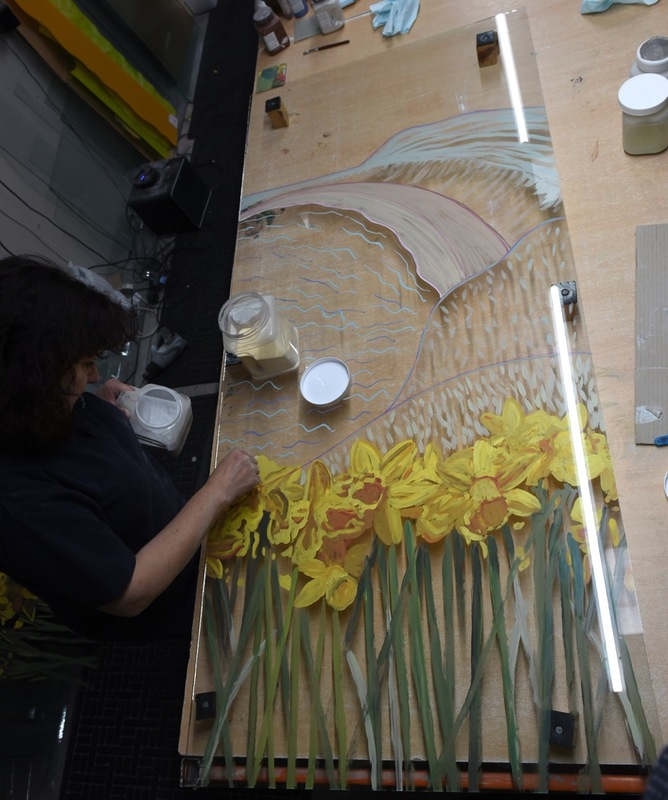 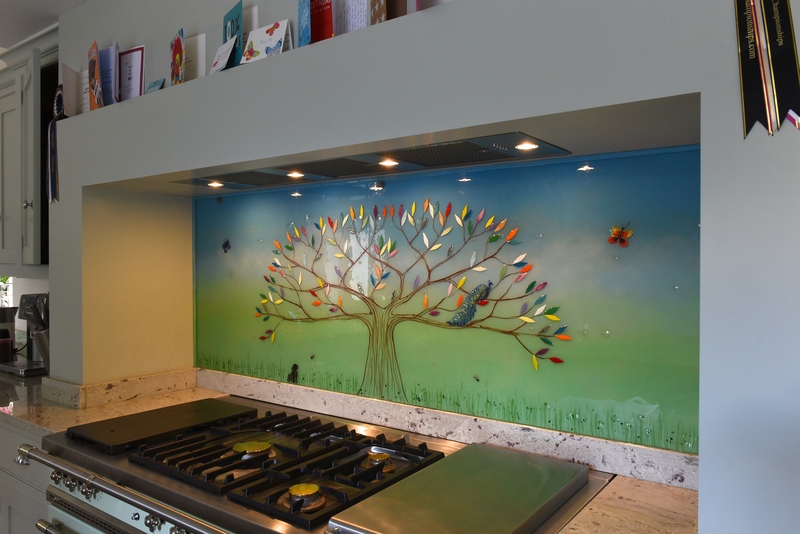 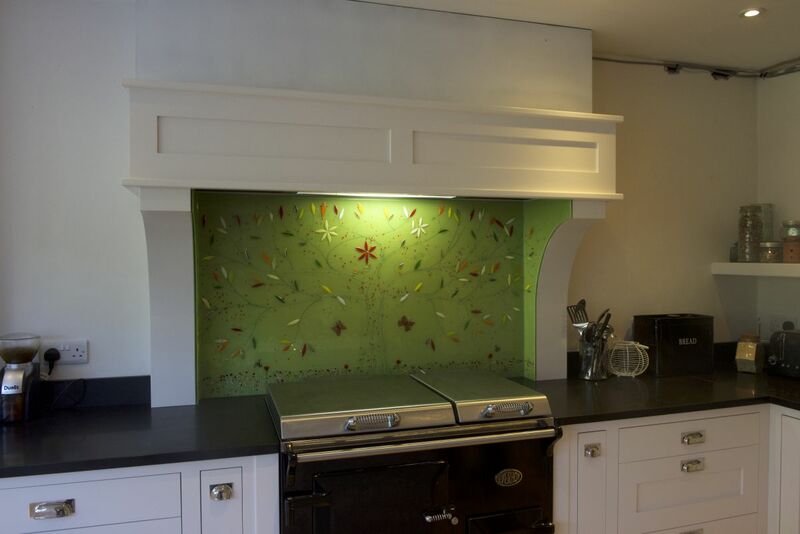 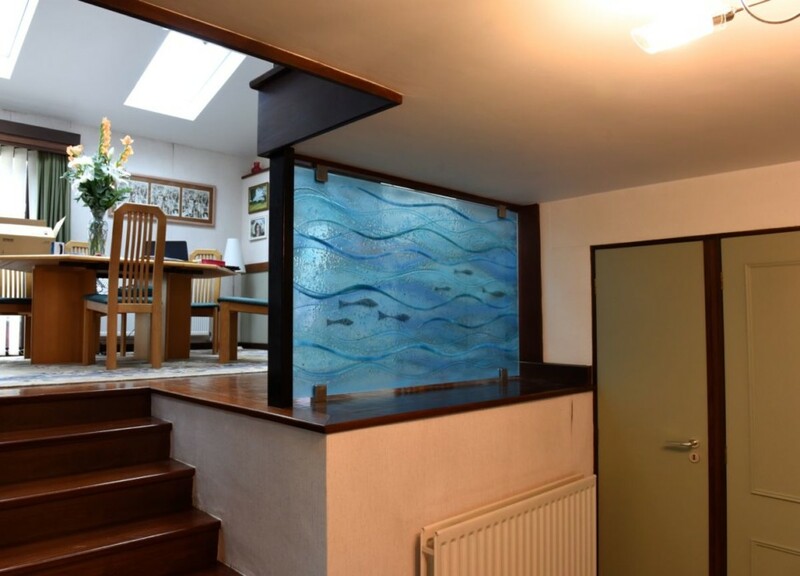 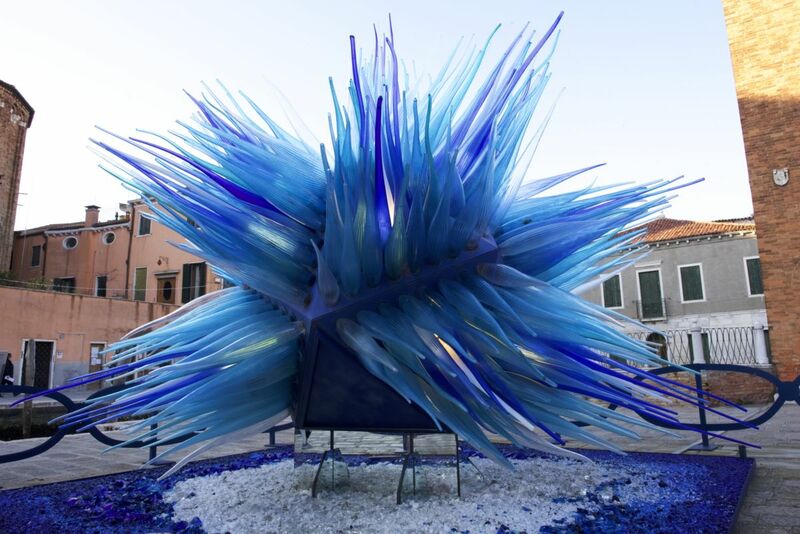 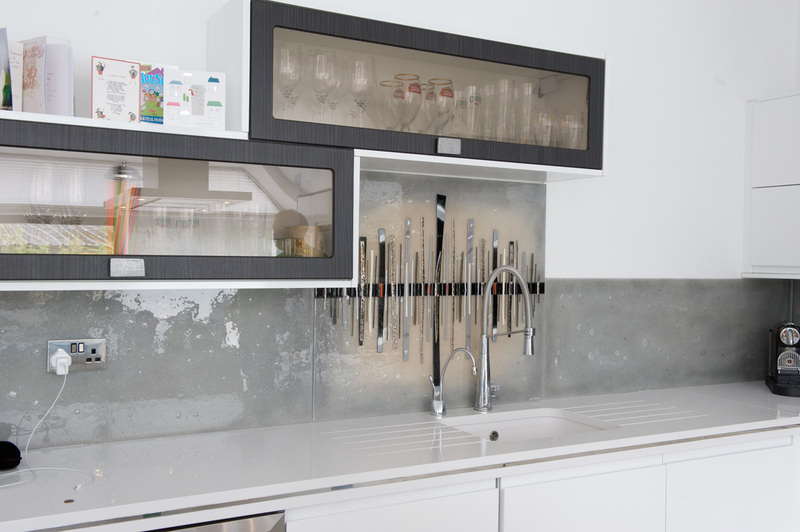 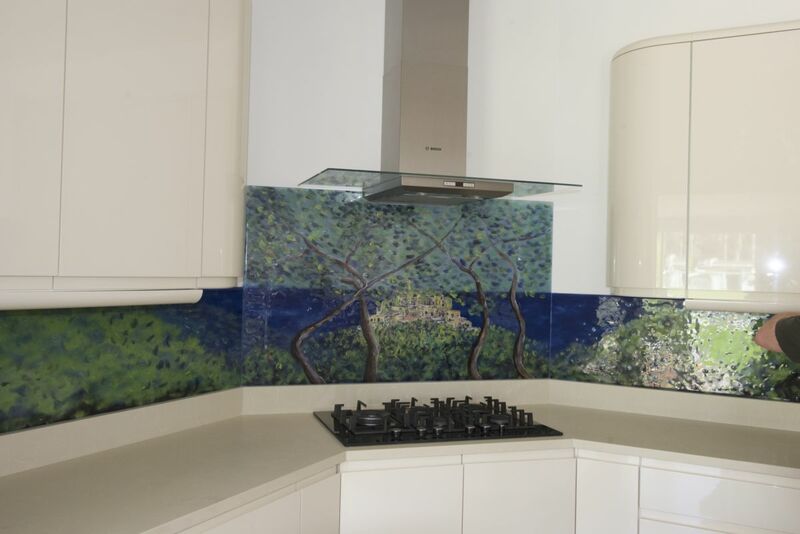 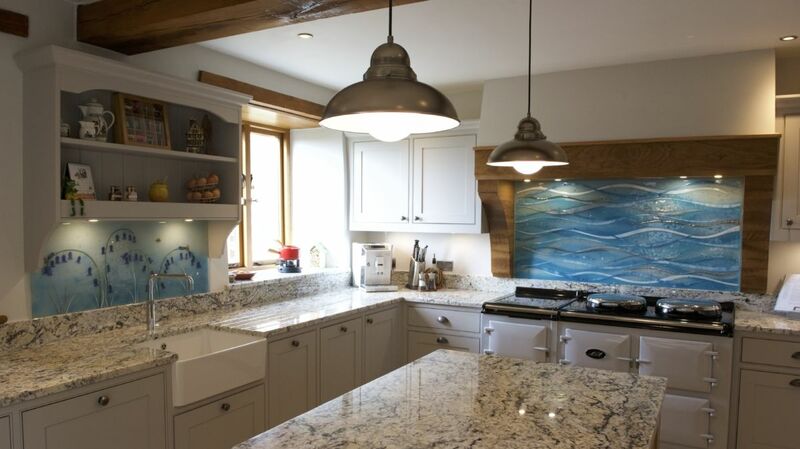 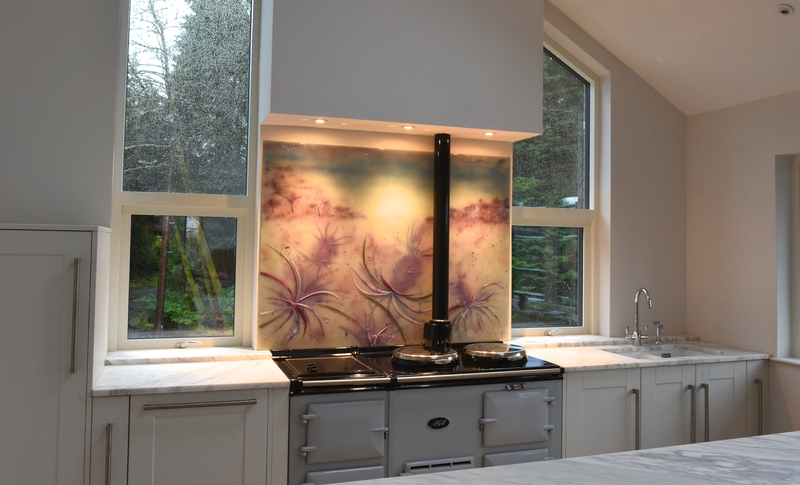 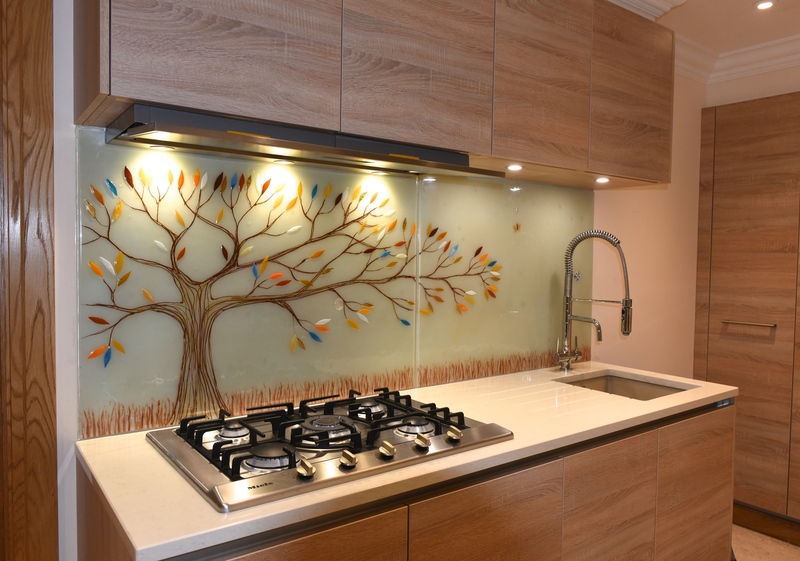 You could say that it allows the viewer to focus on the most important part of the glass, but it also means that the glass will always fit the wall behind it even if it’s moved or if the customer feels like a bit of a change in decoration. 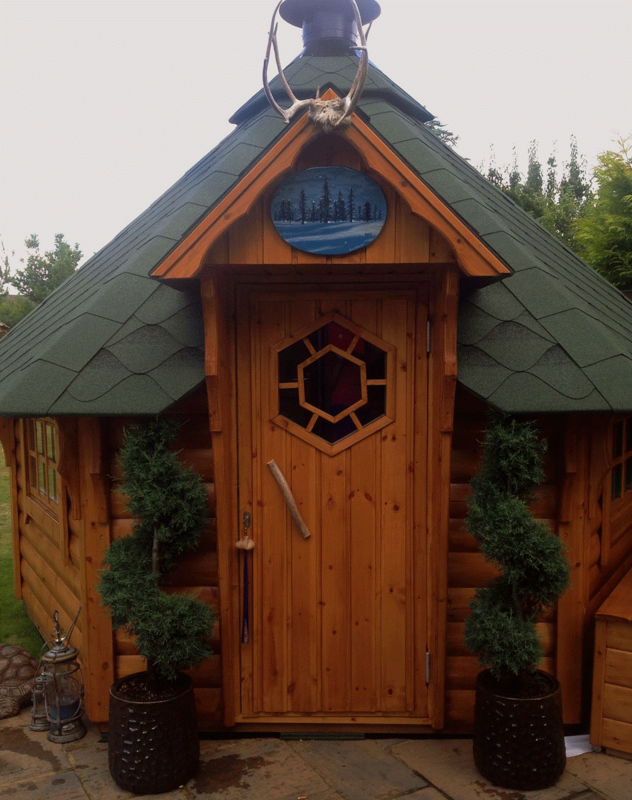 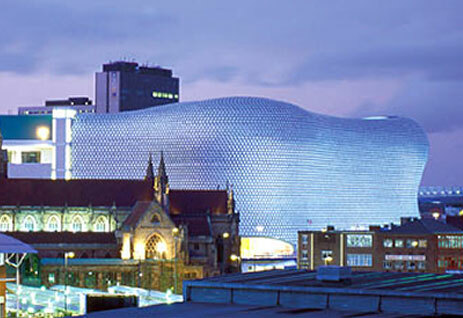 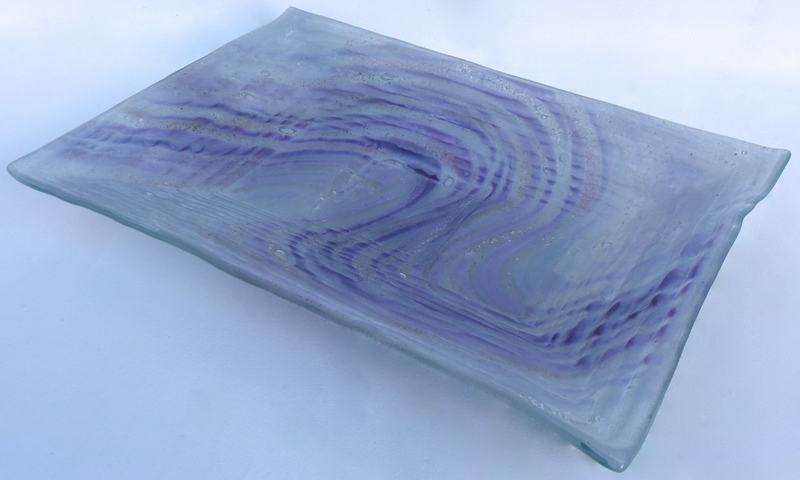 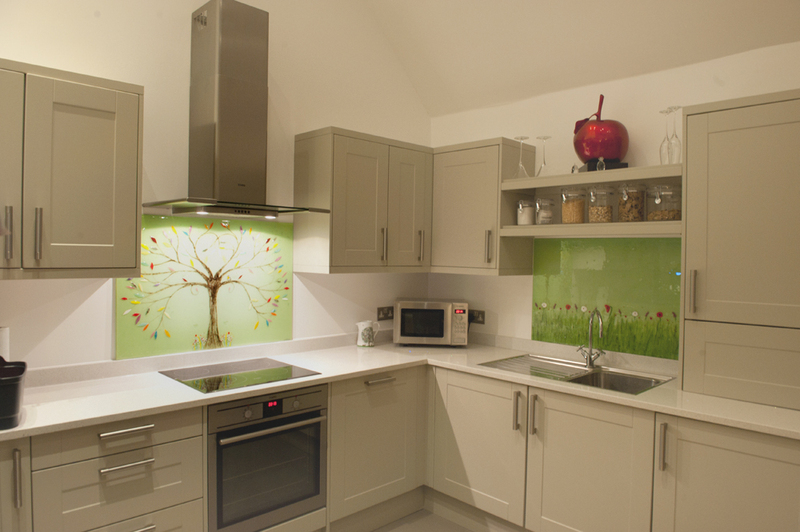 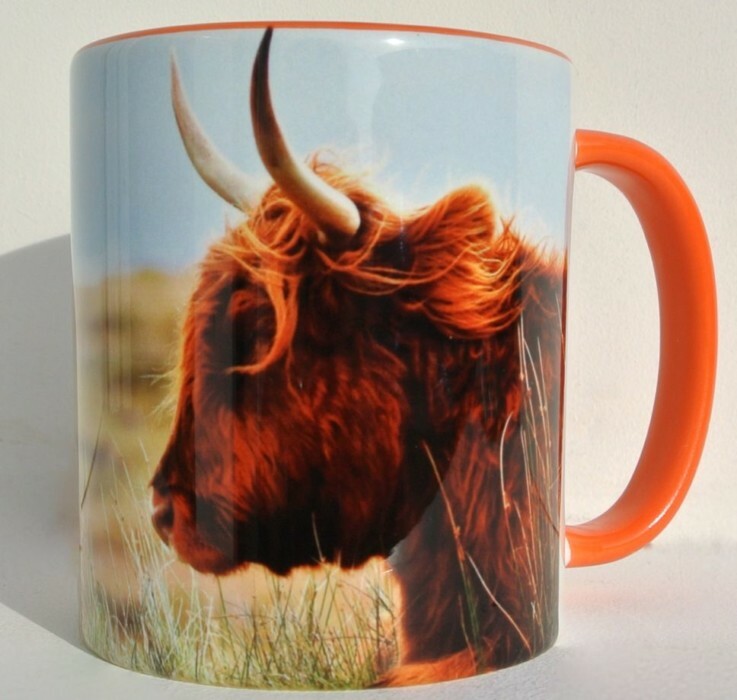 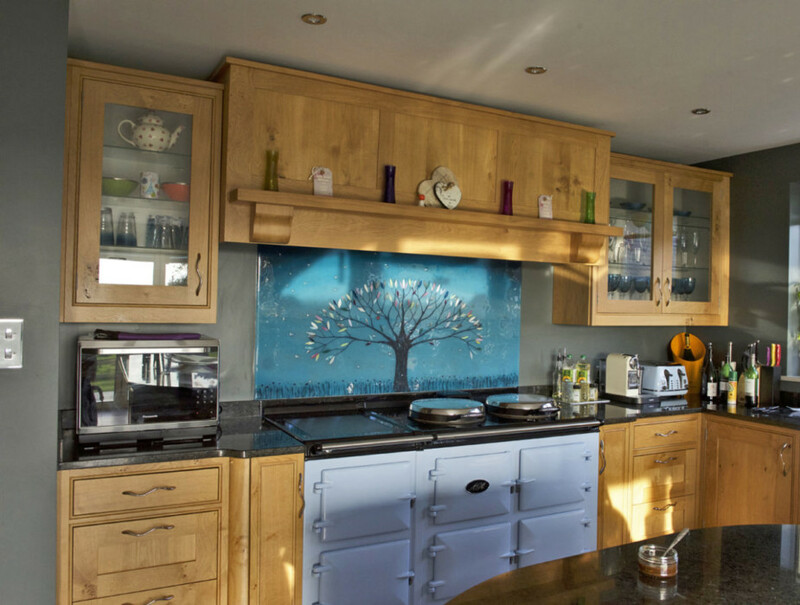 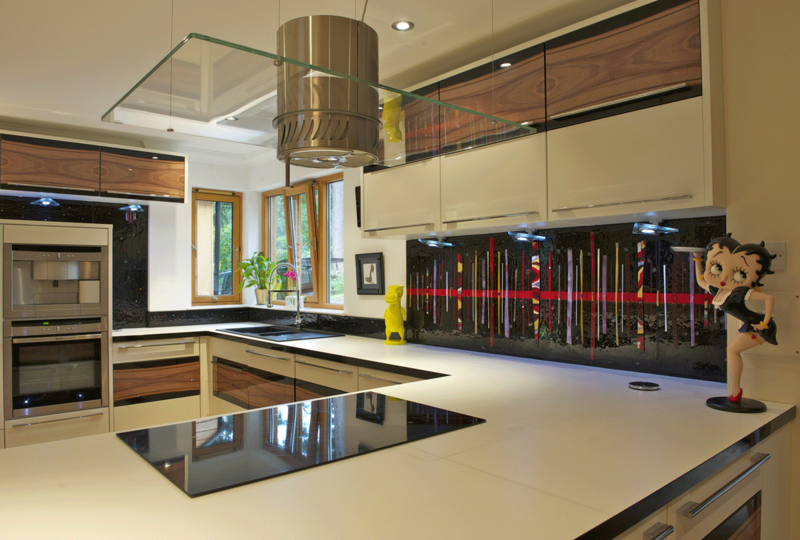 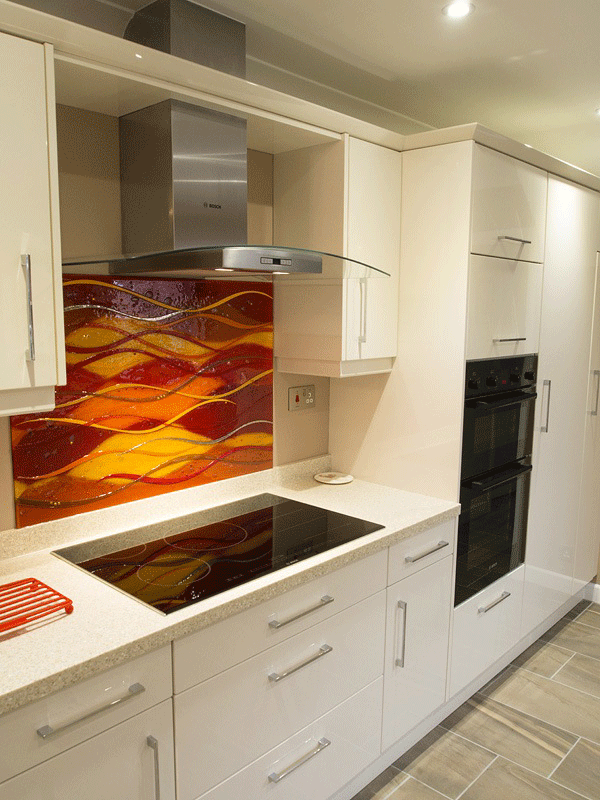 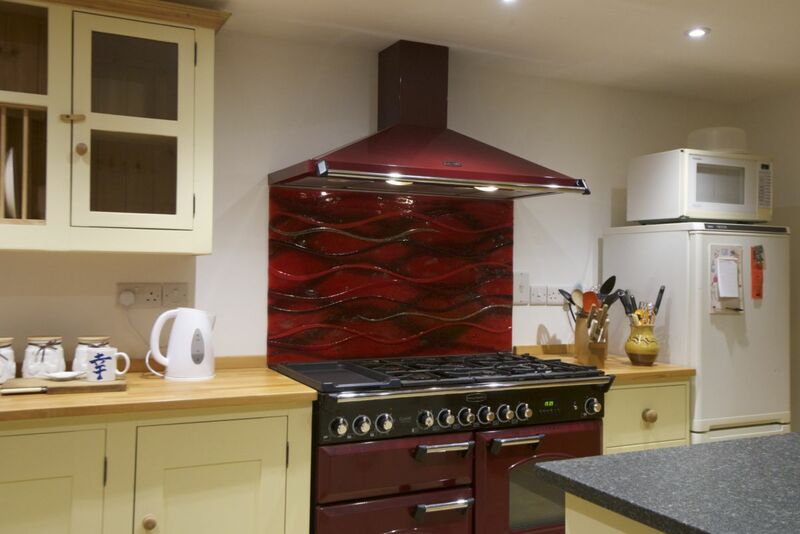 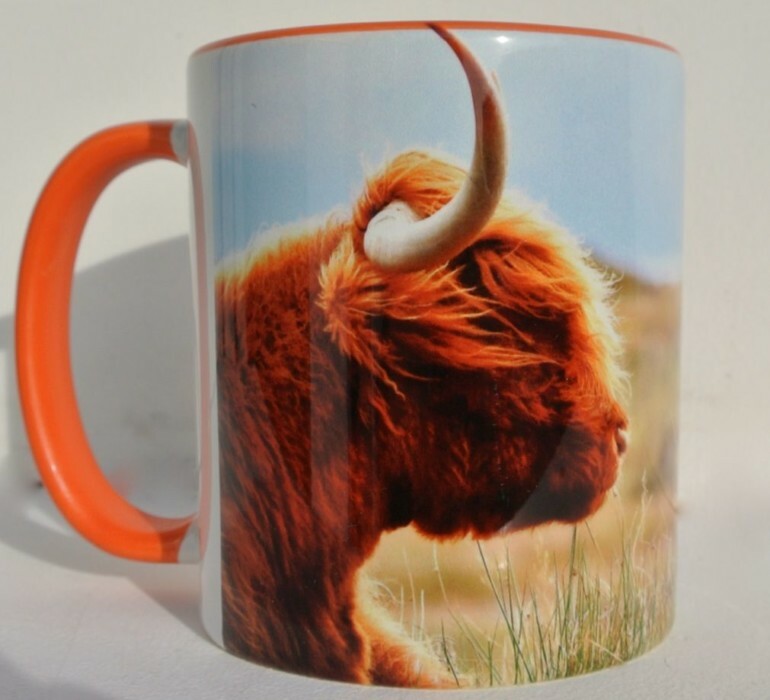 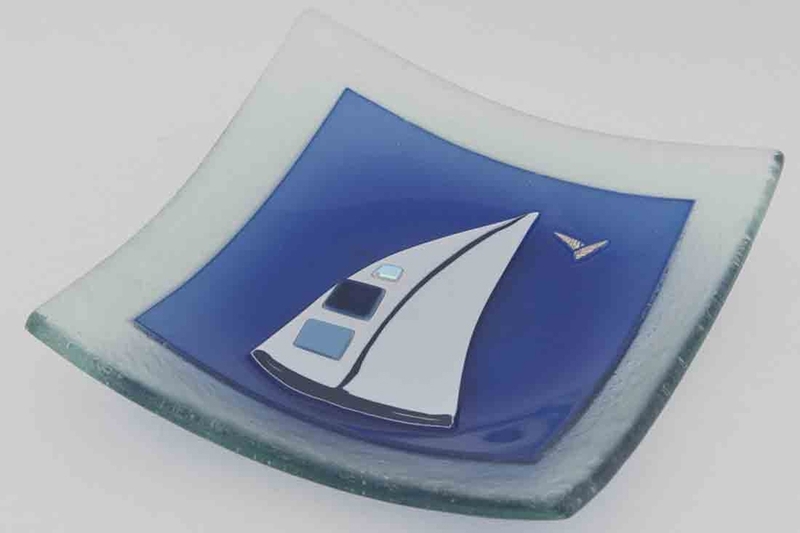 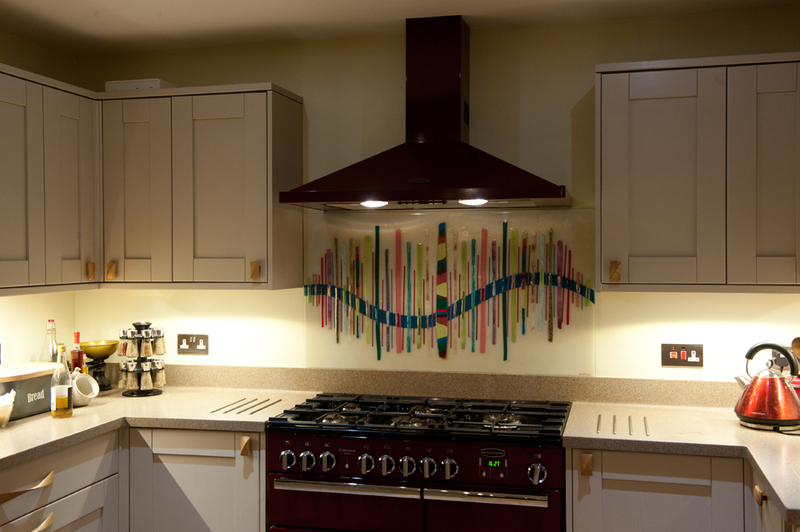 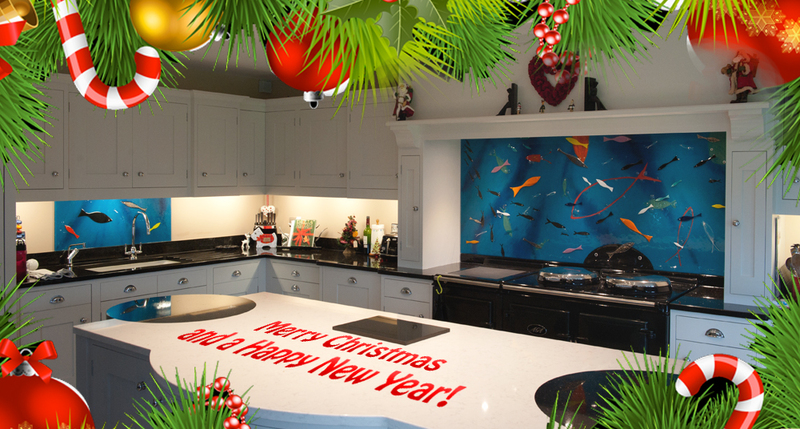 That kind of flexibility could be yours, along with the irreplicable bespoke charm that fused glass art is known for! 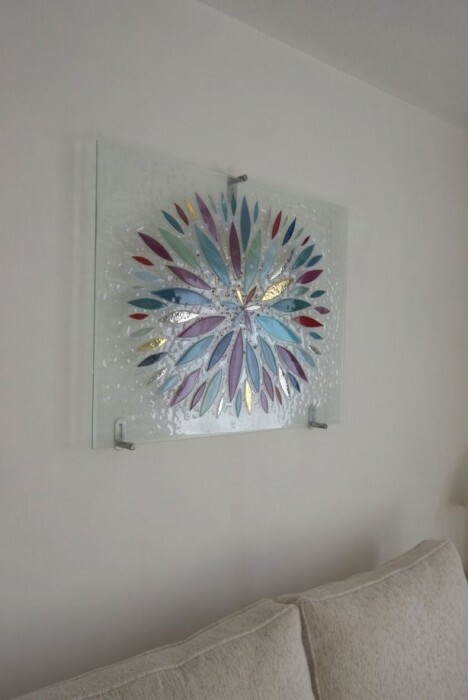 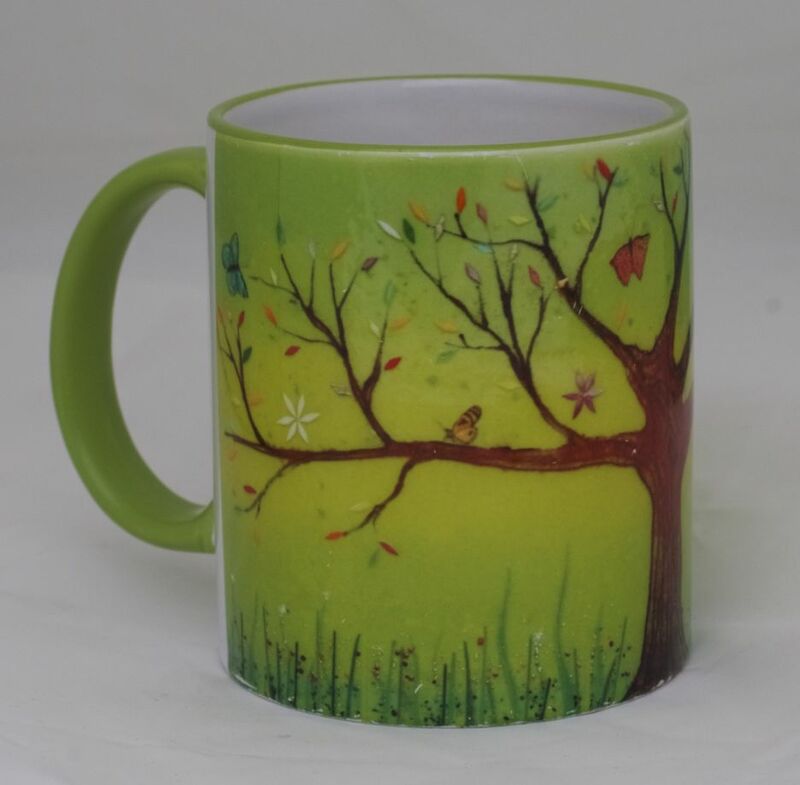 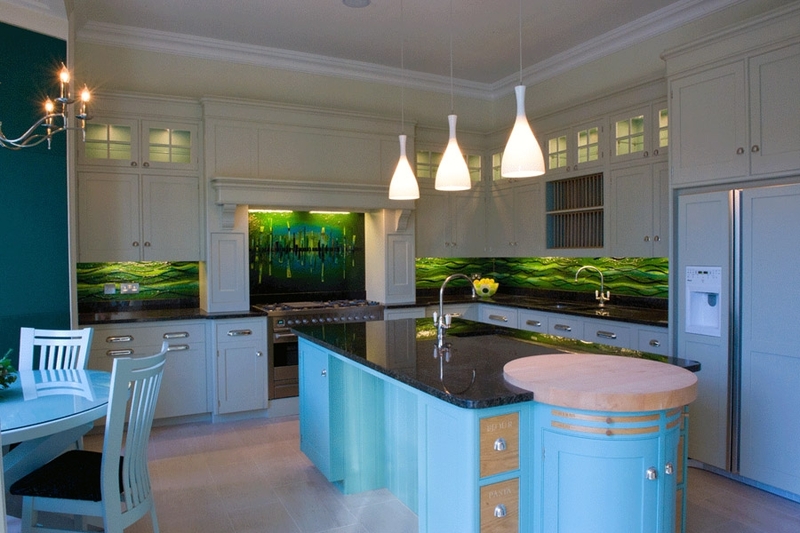 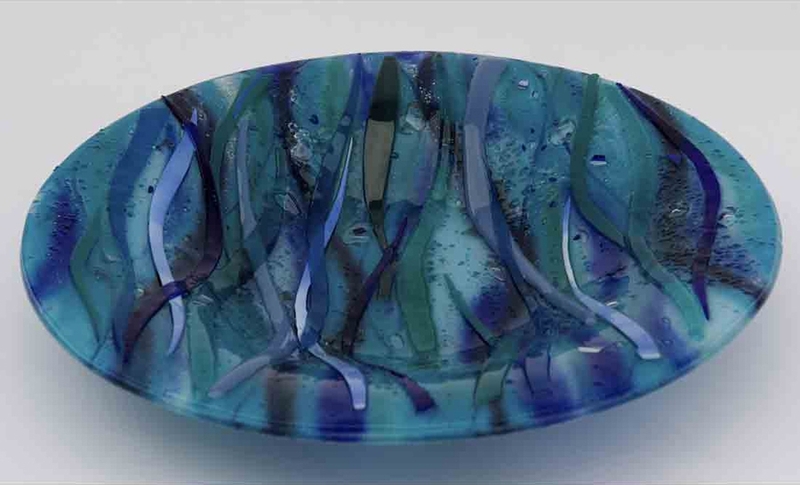 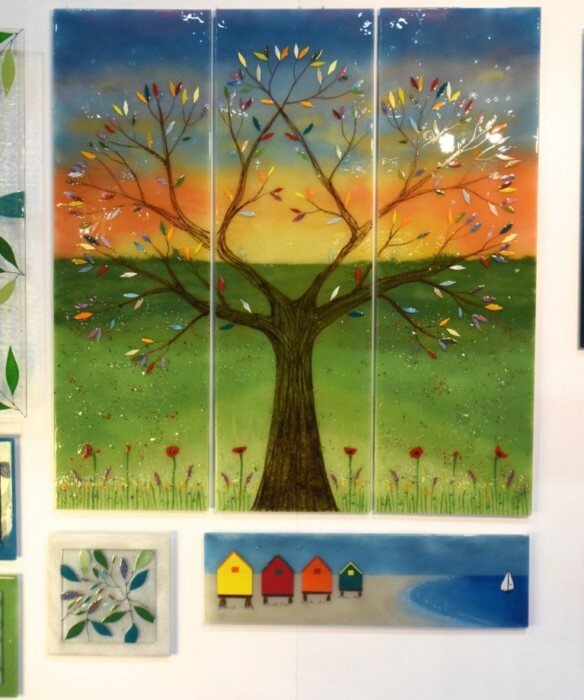 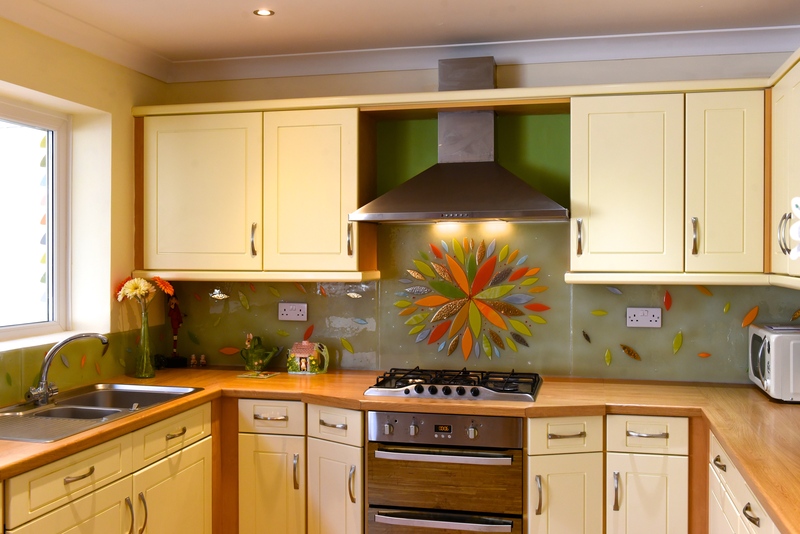 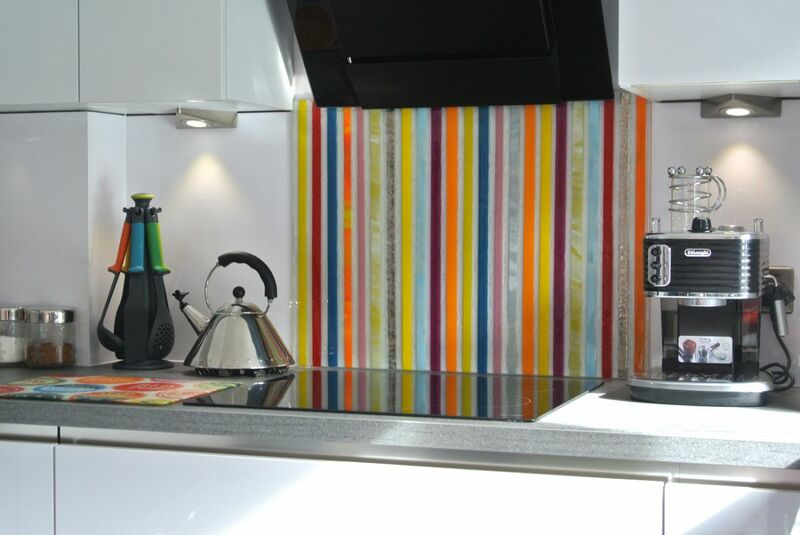 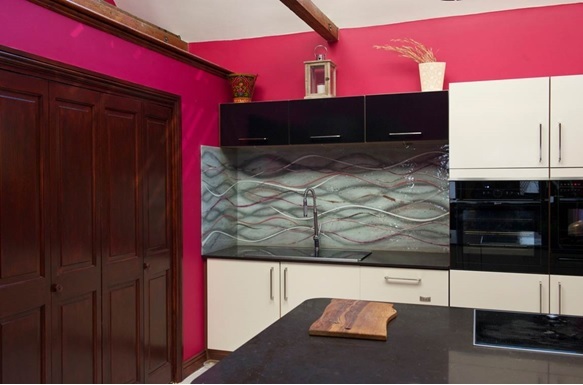 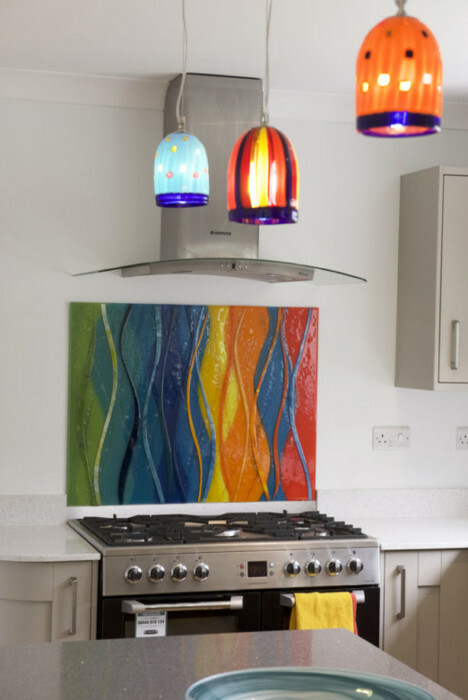 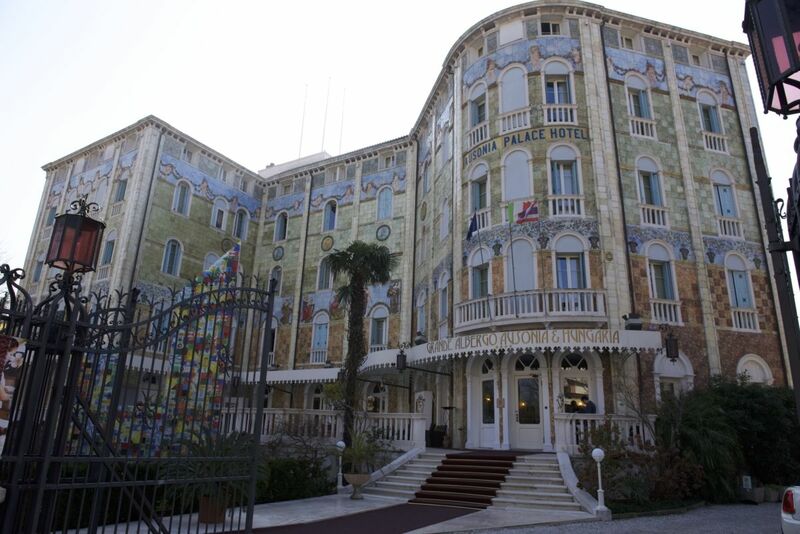 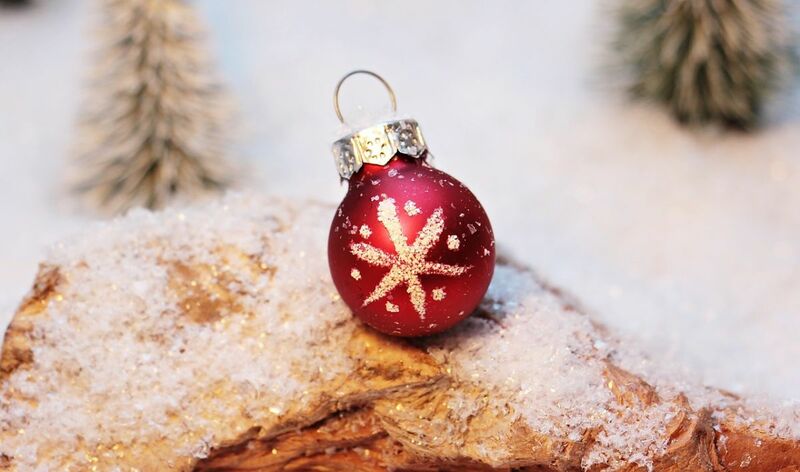 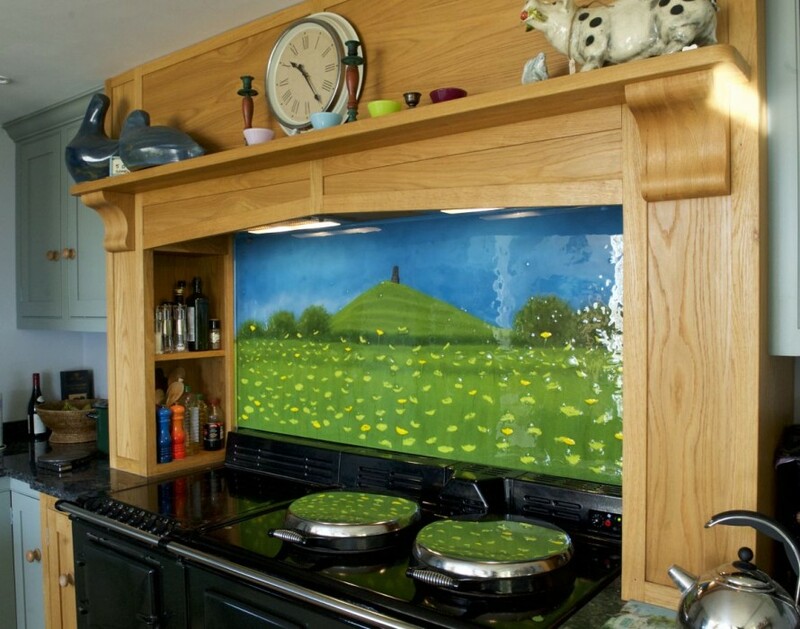 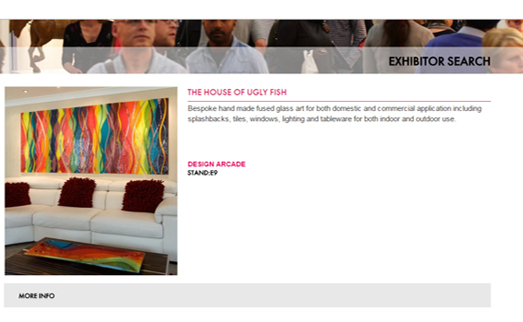 If the vivid colours and unique design of fused glass art make for a perfect fit with your own home, then come and find beauty here at The House of Ugly Fish! 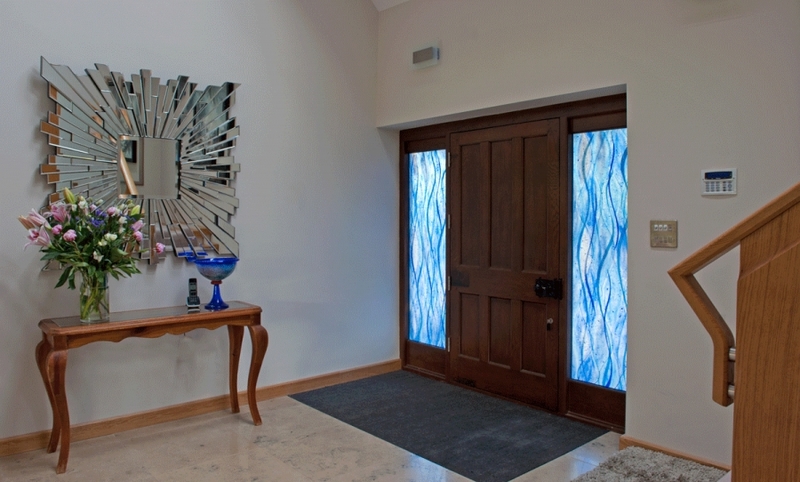 Don’t wait to get in contact as soon as you can. 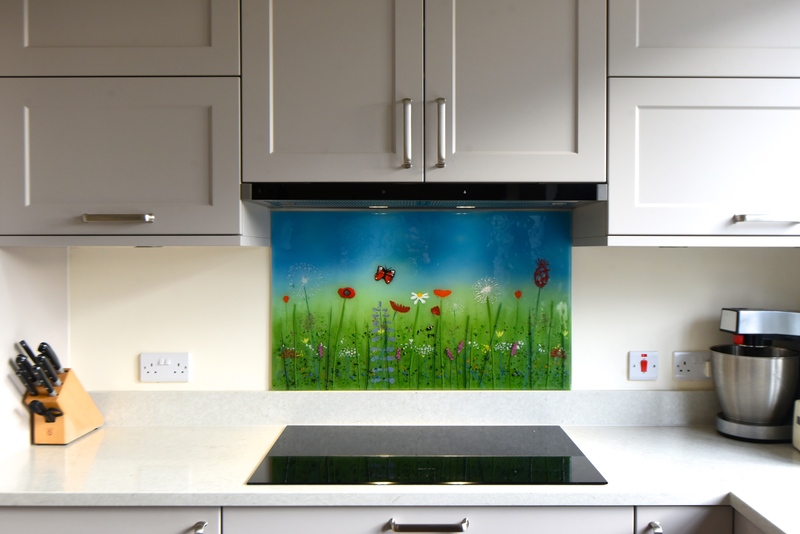 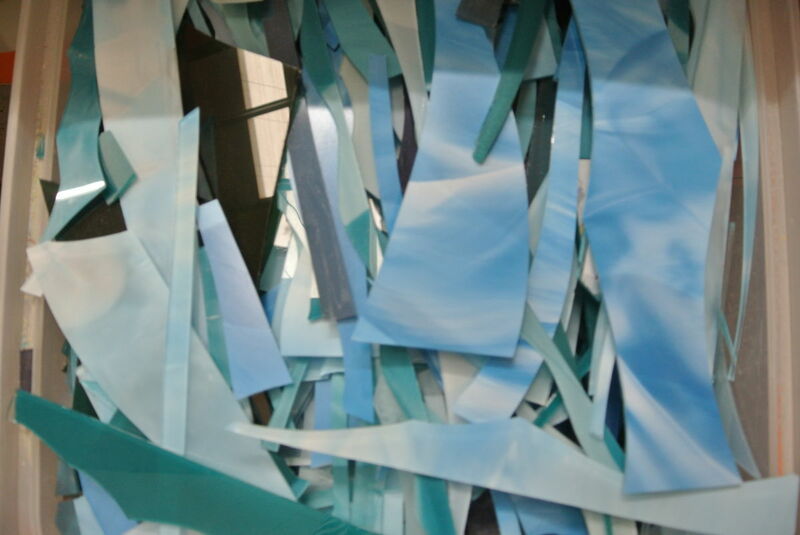 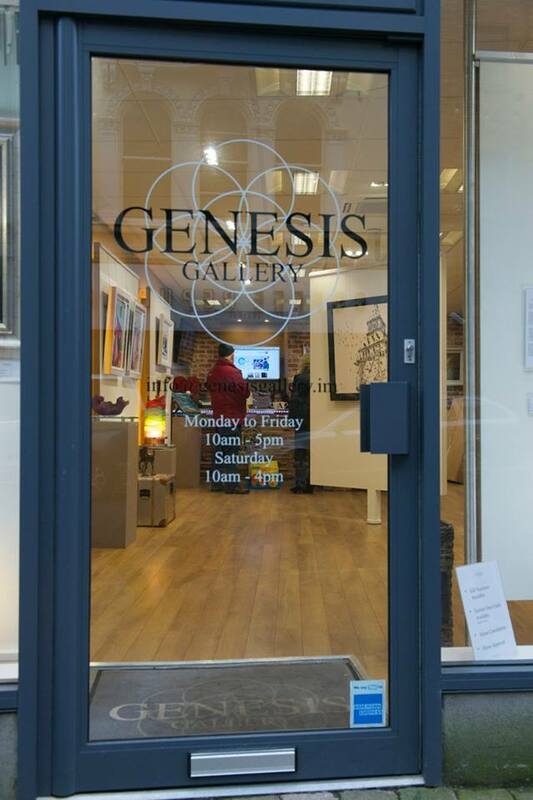 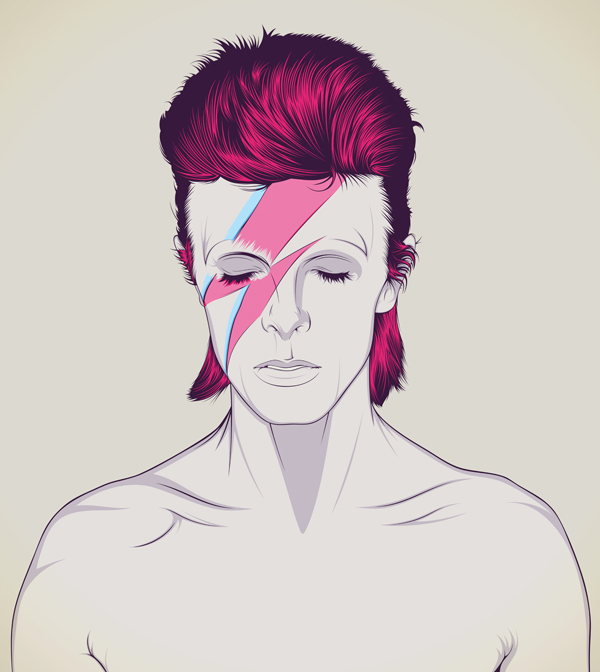 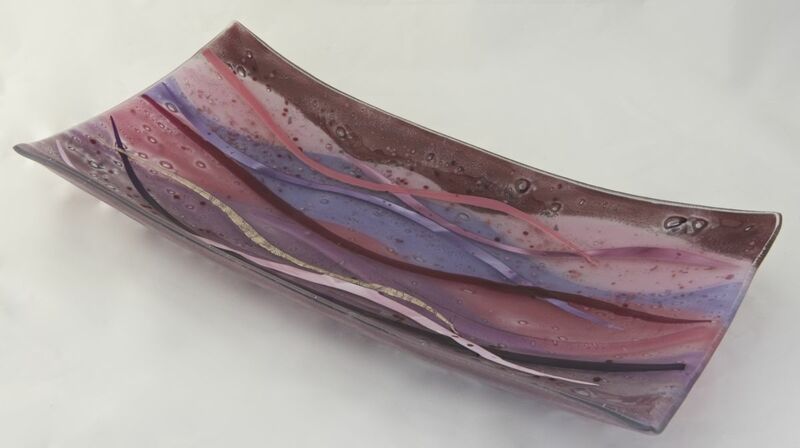 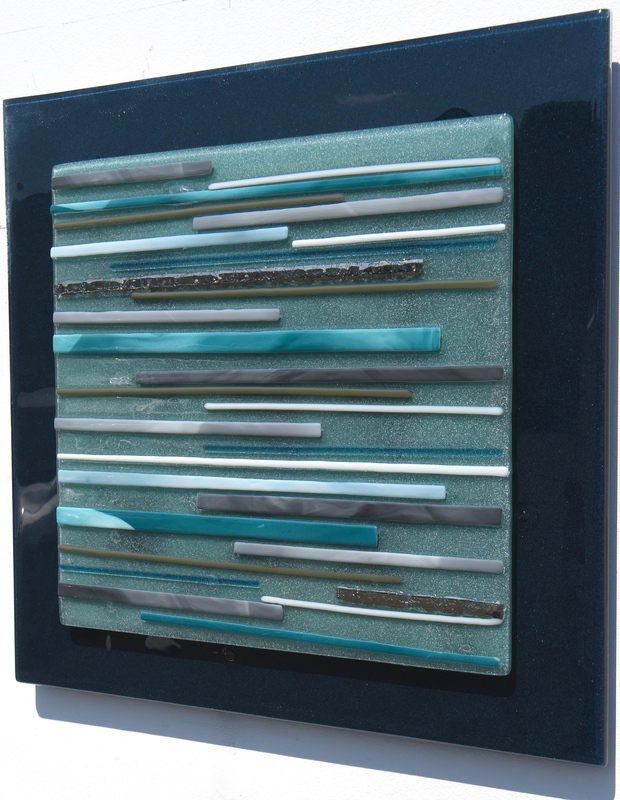 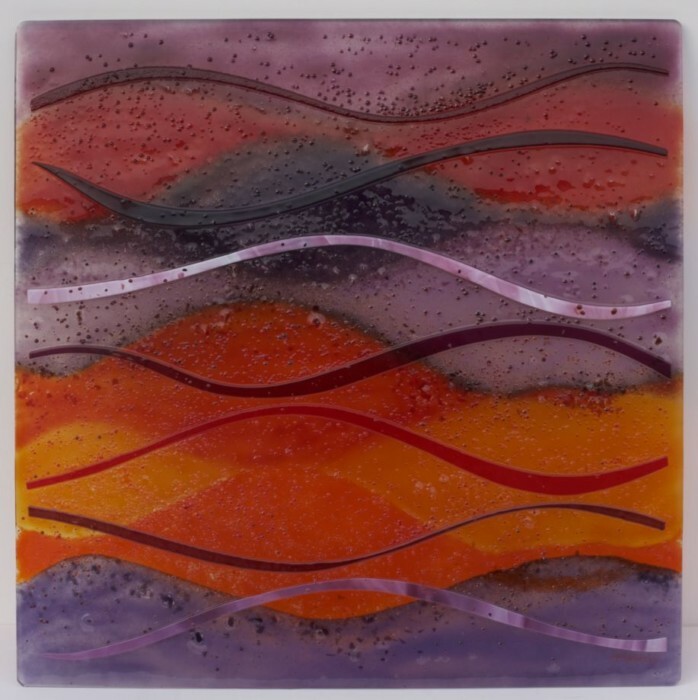 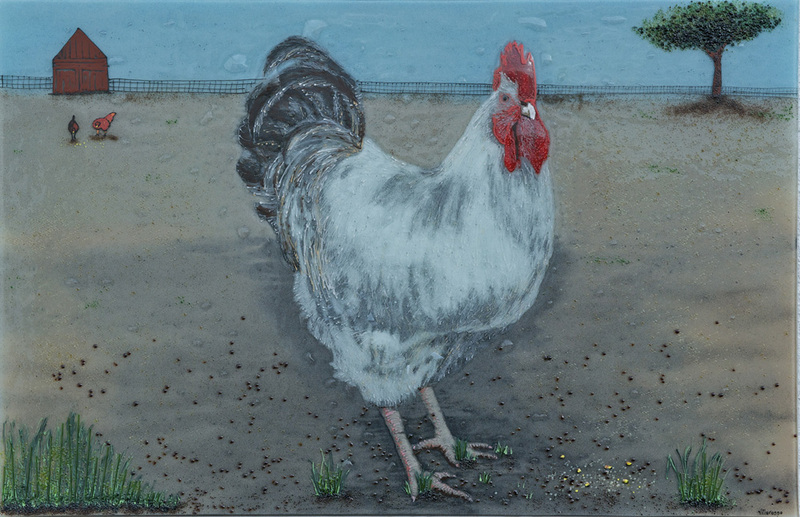 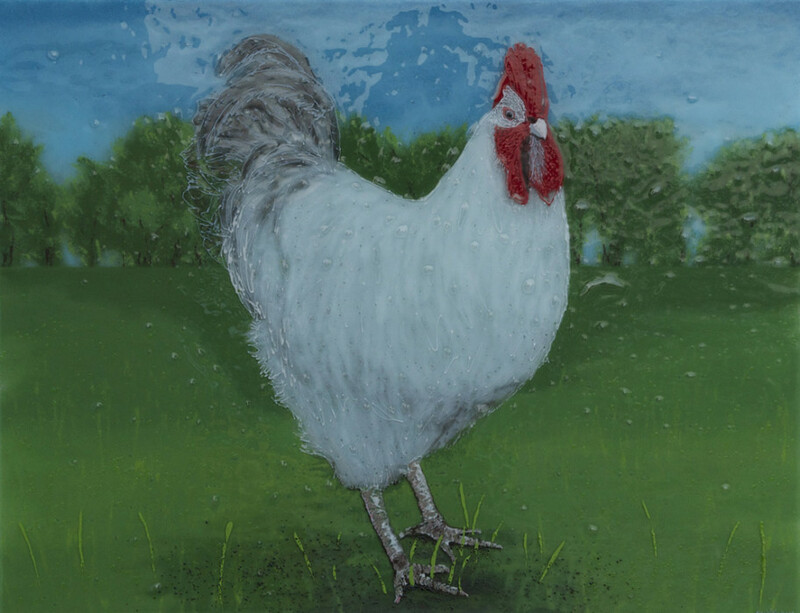 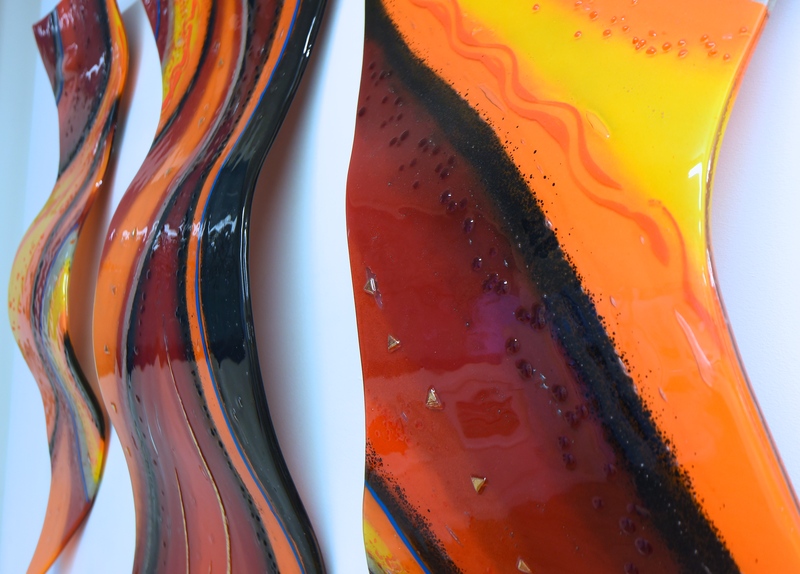 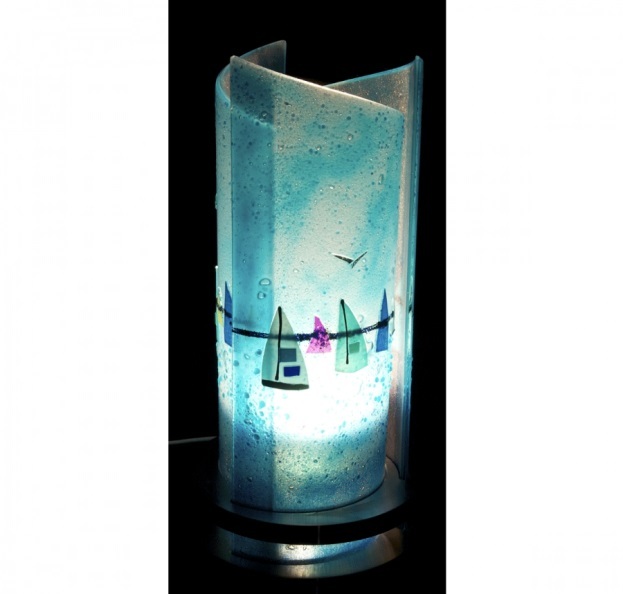 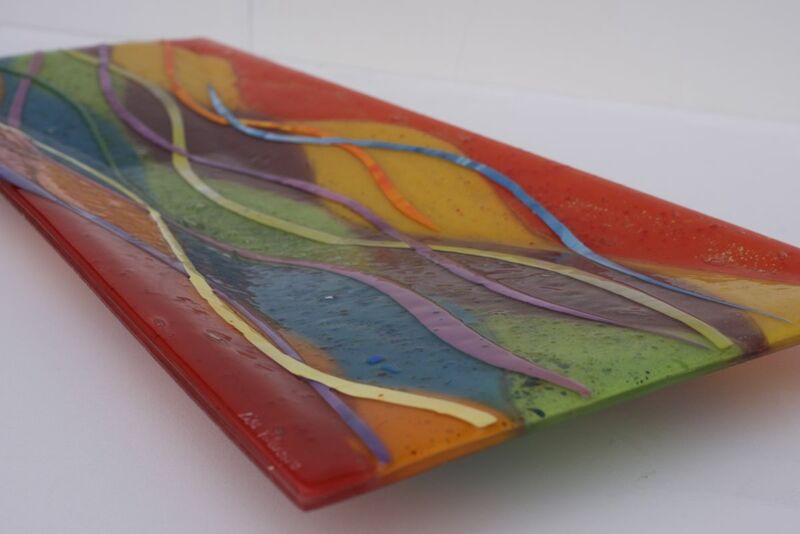 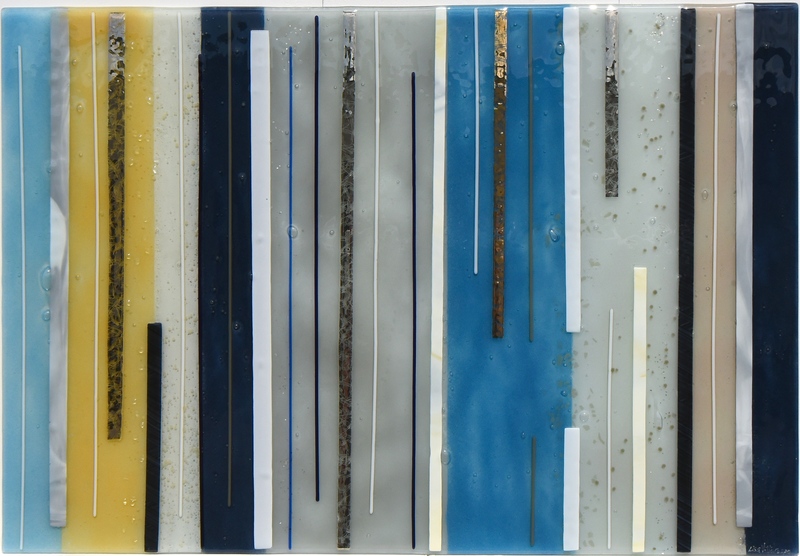 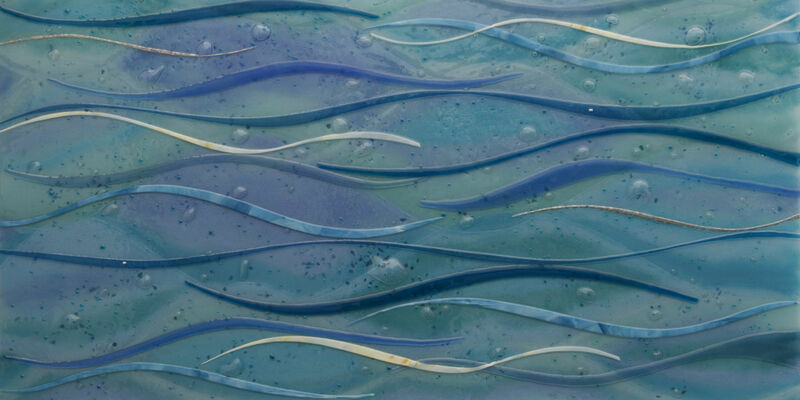 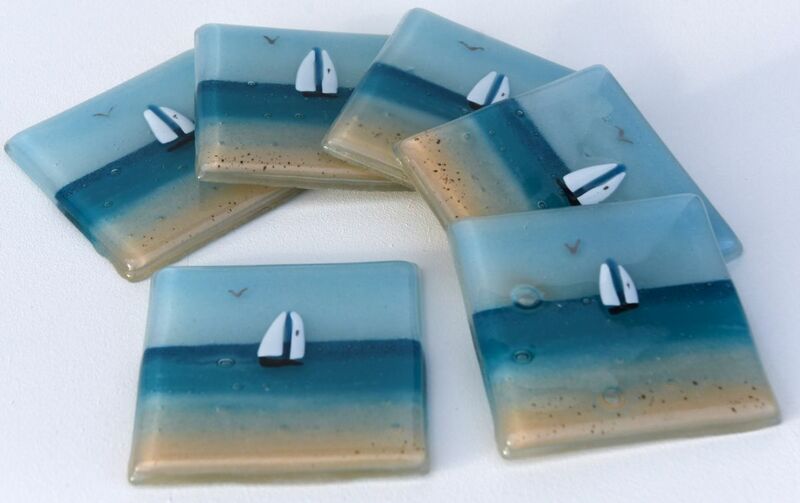 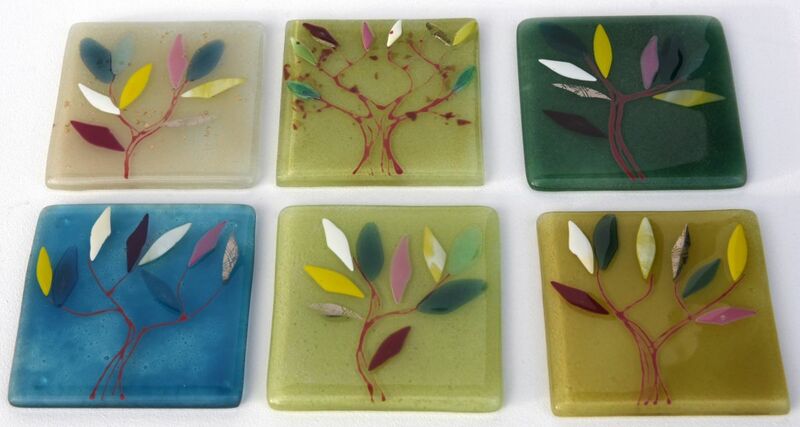 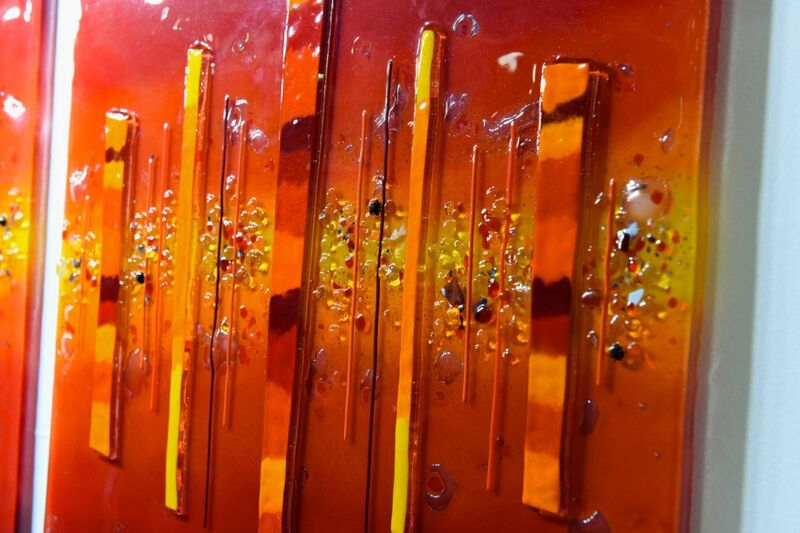 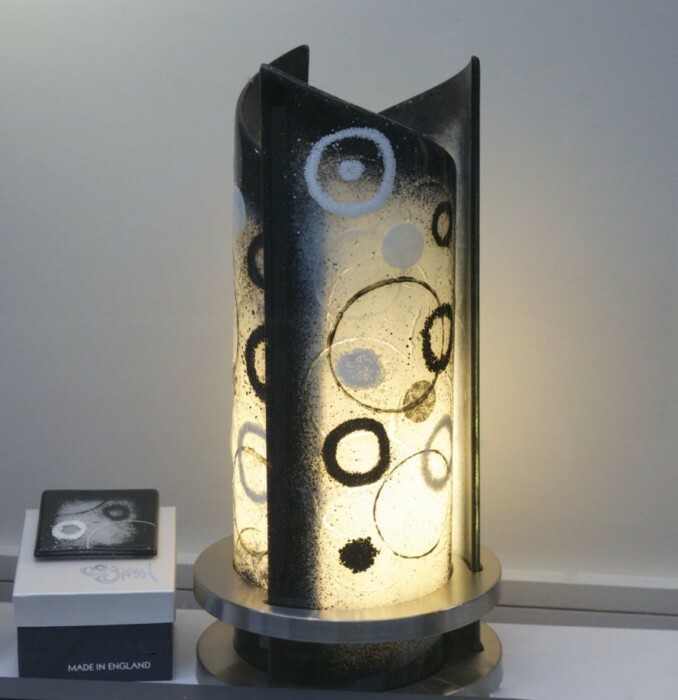 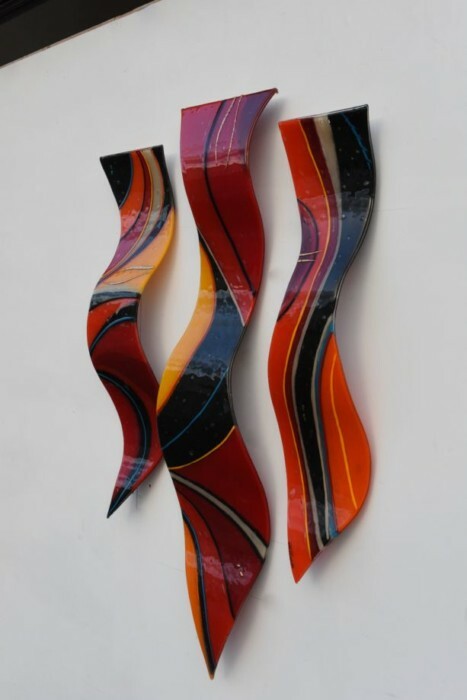 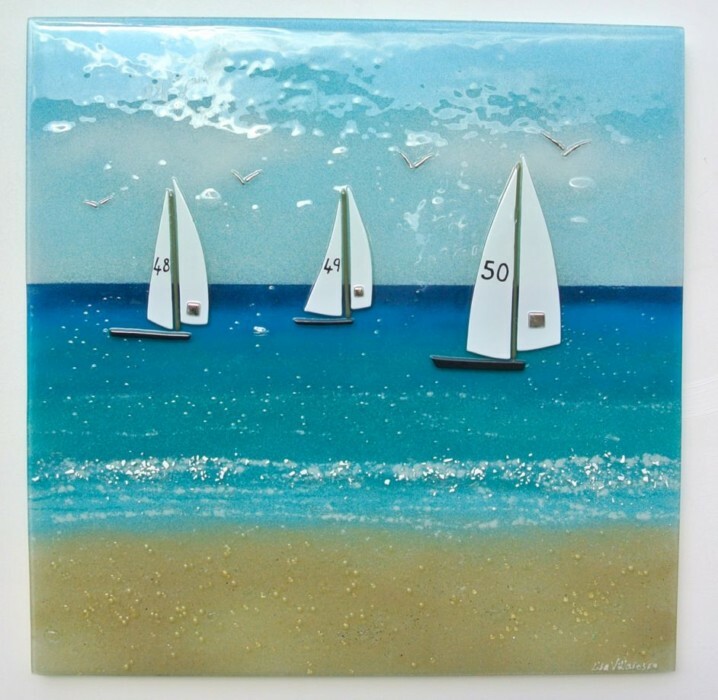 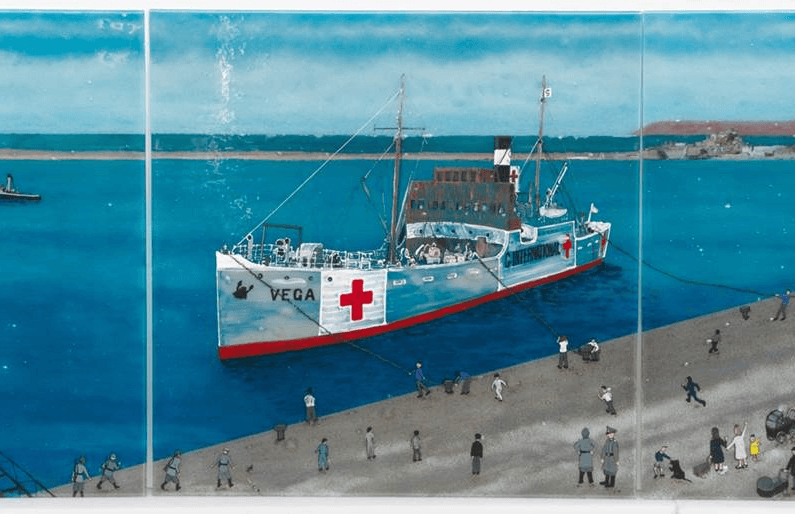 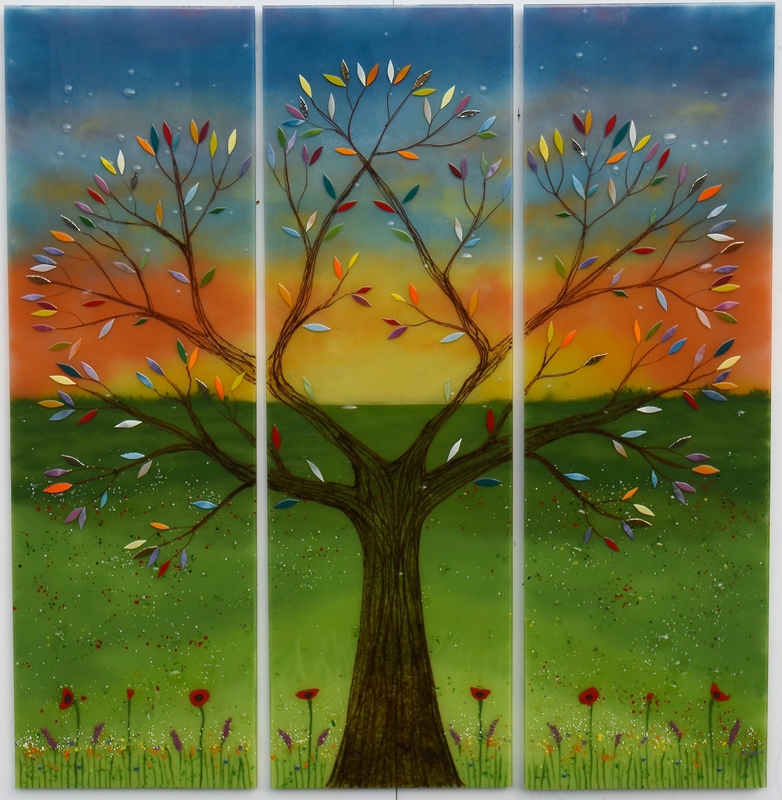 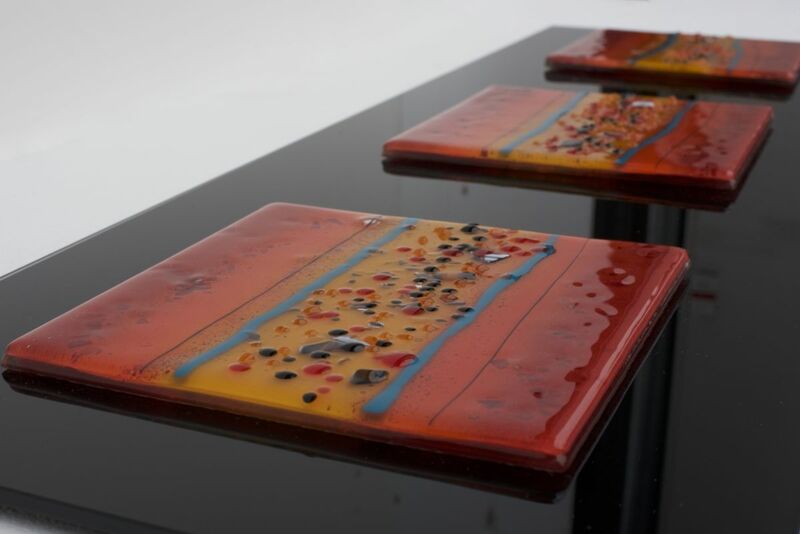 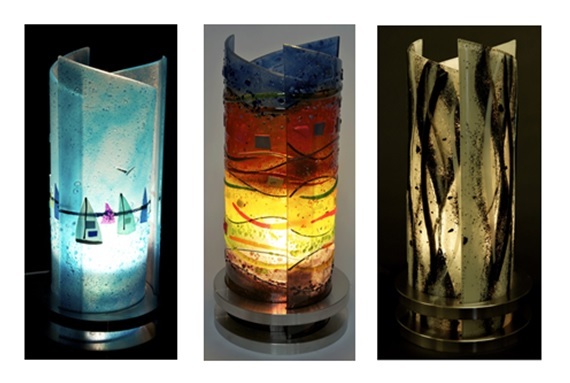 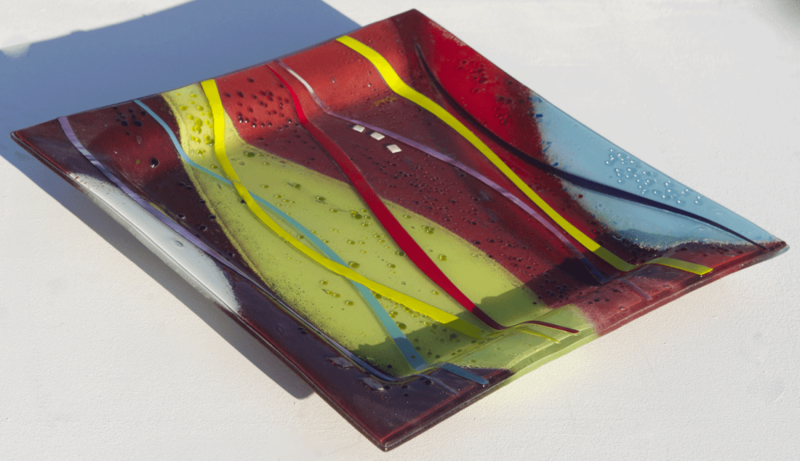 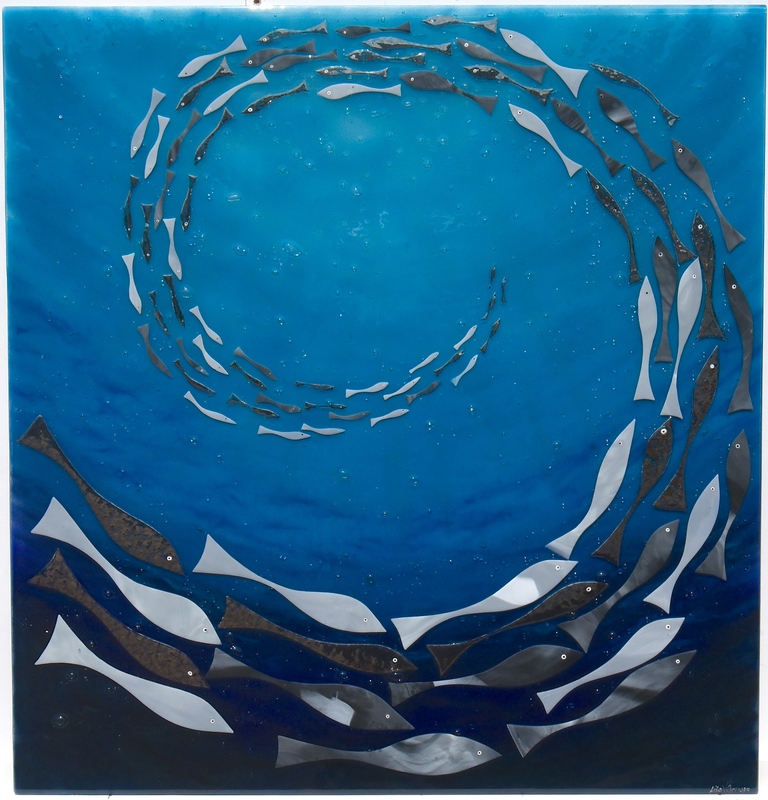 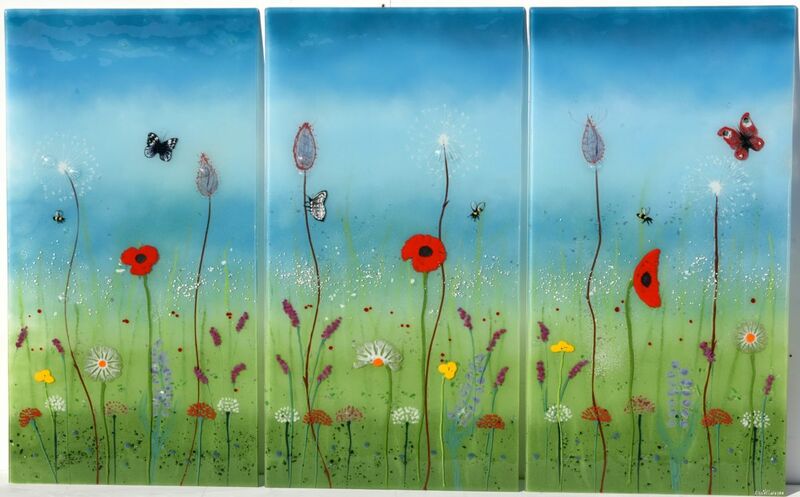 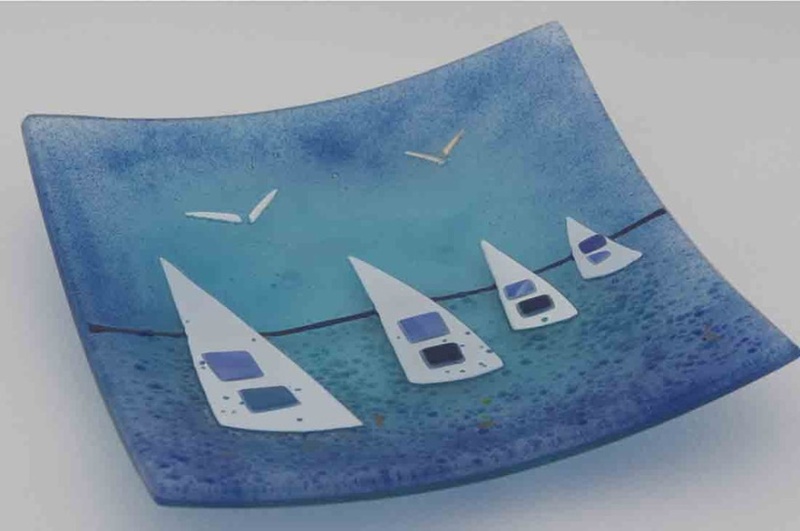 Our full details can be found right here on our website, and there’s never been a better time to invest in fused glass art. 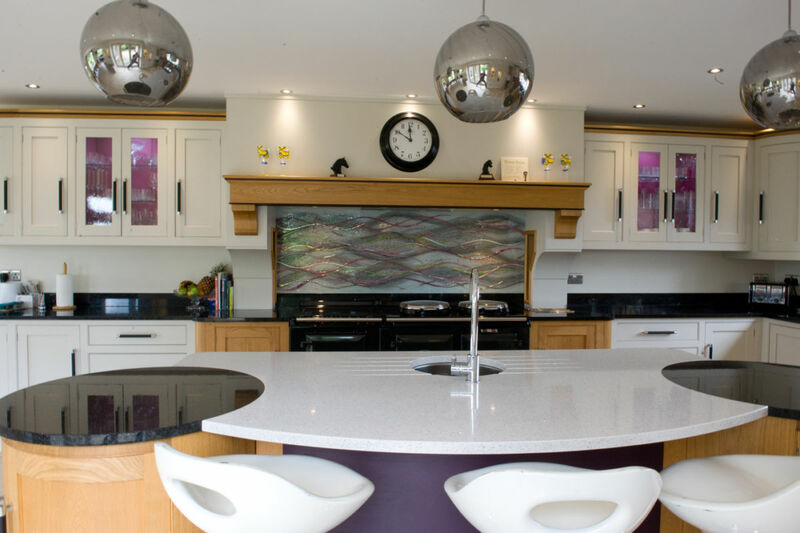 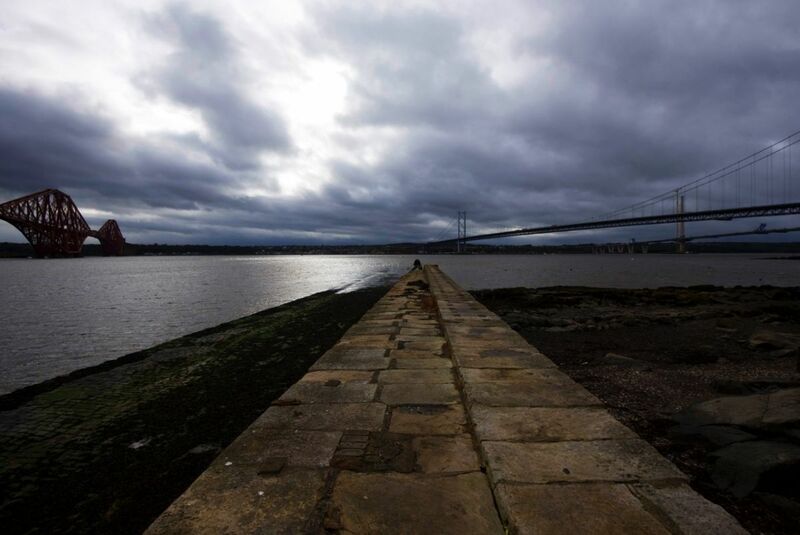 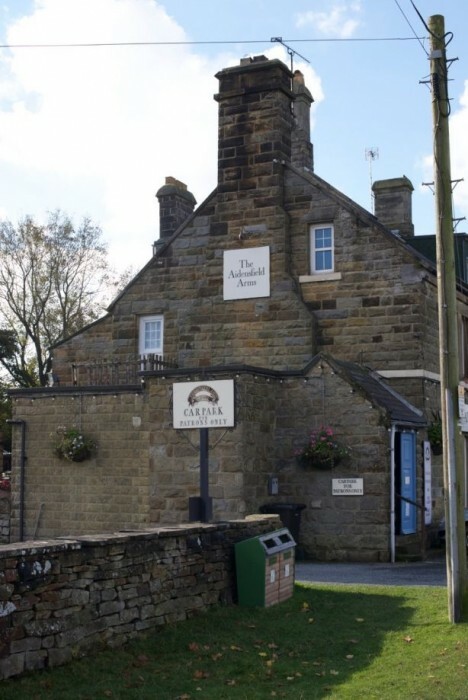 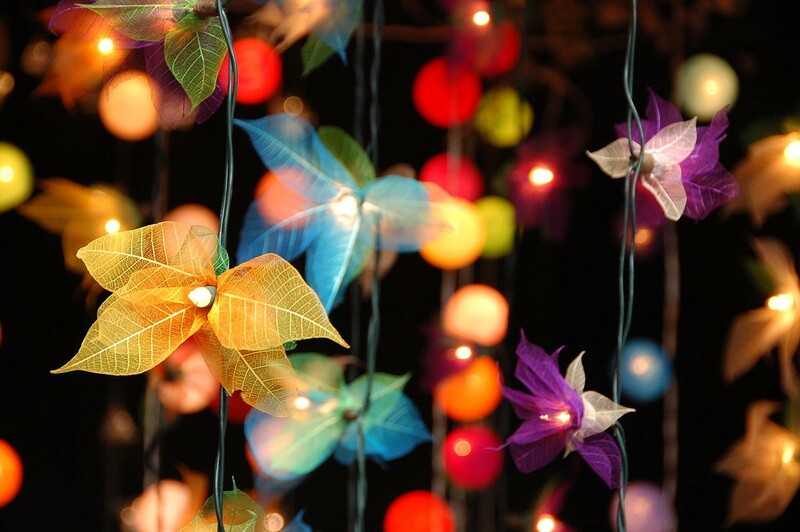 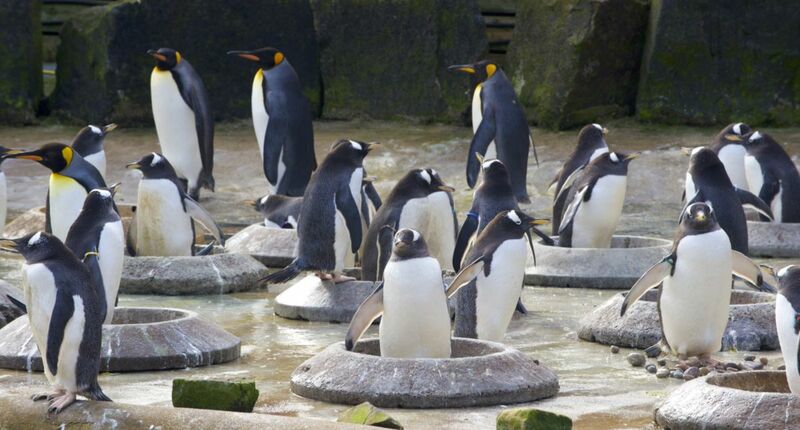 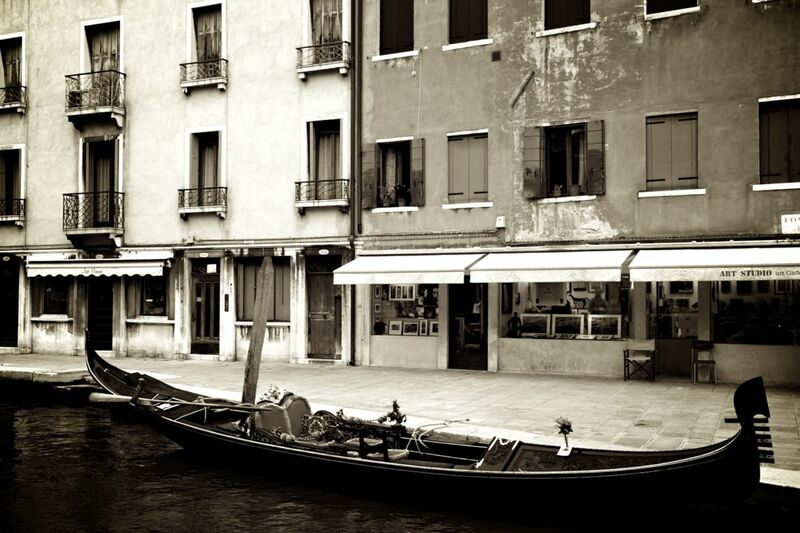 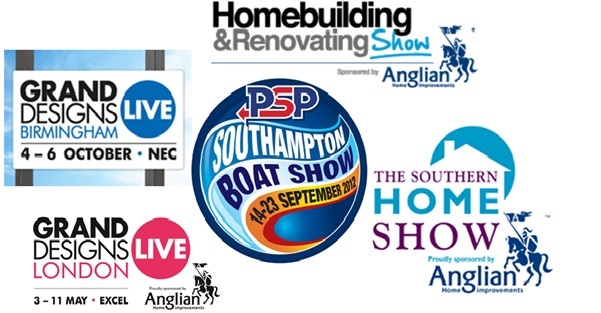 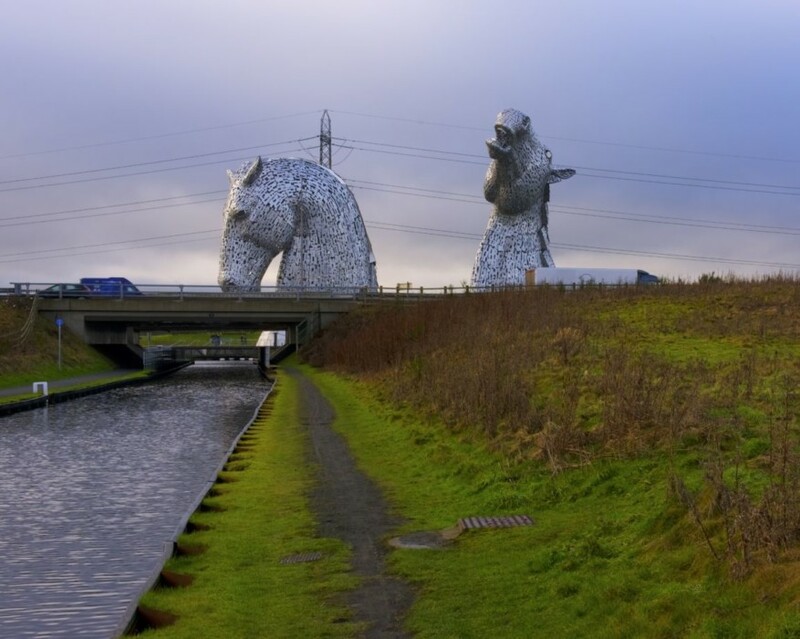 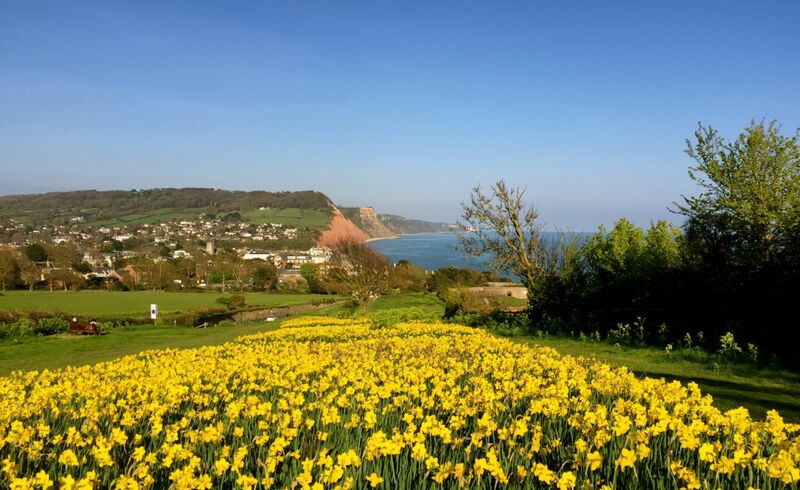 Drop us an email or pick up the phone and have a chat! 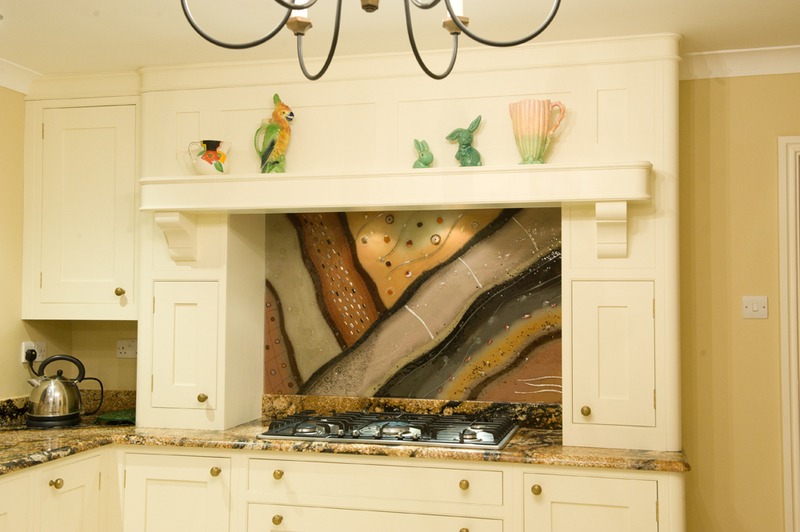 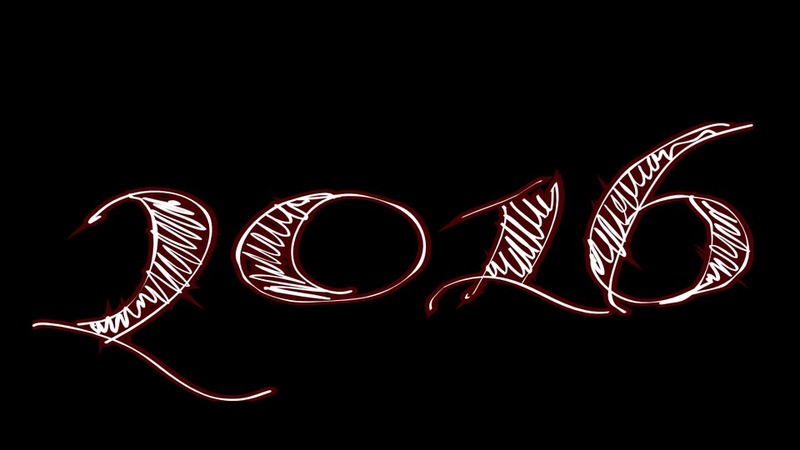 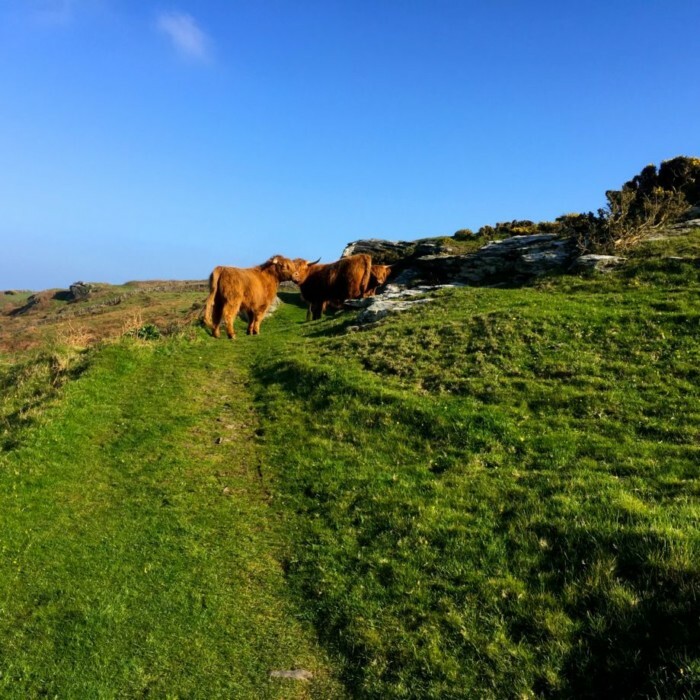 We look forward to hearing from you either way!